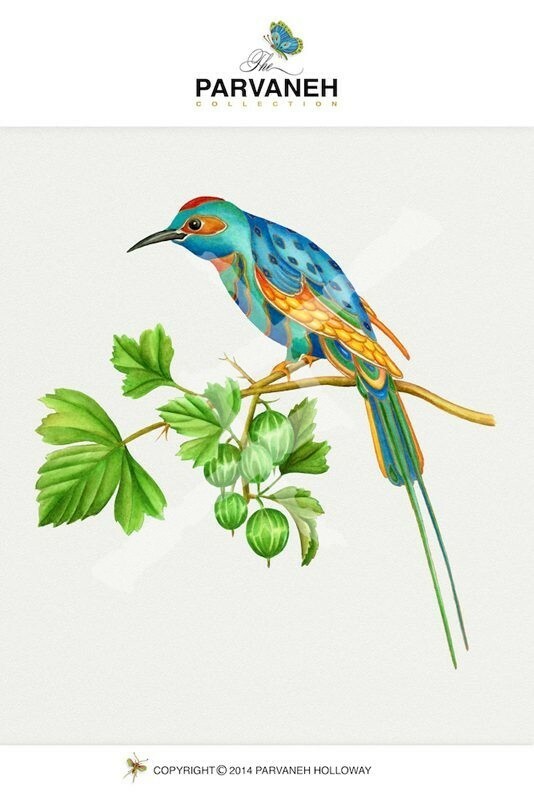 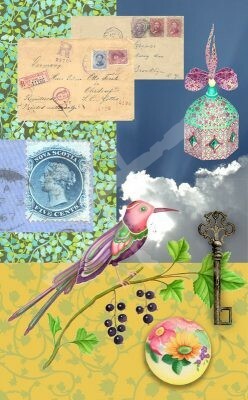 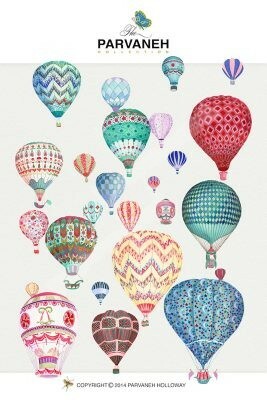 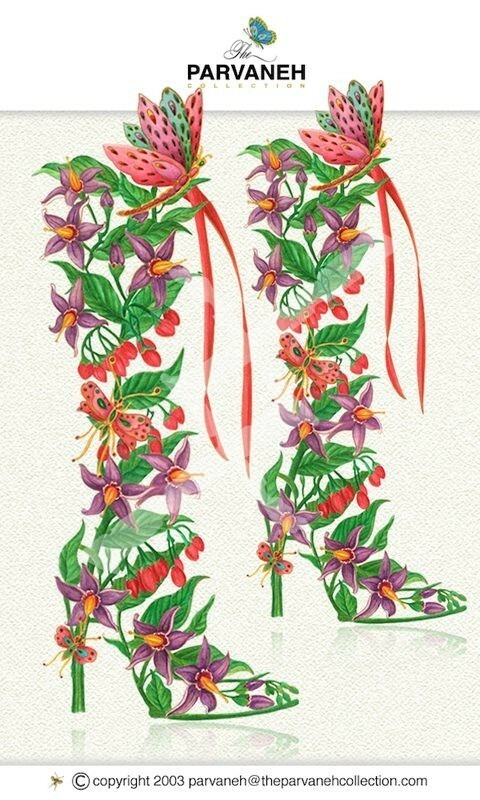 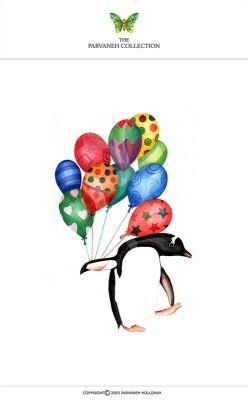 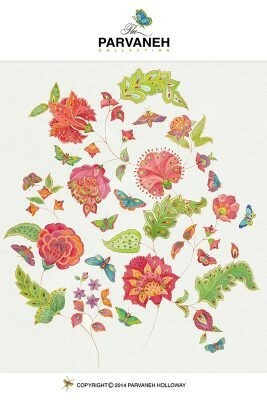 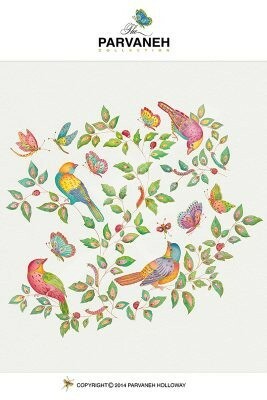 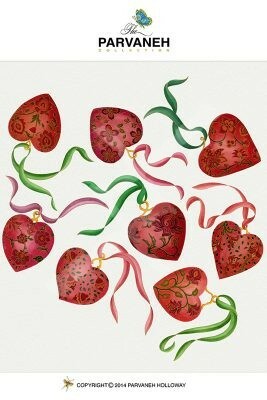 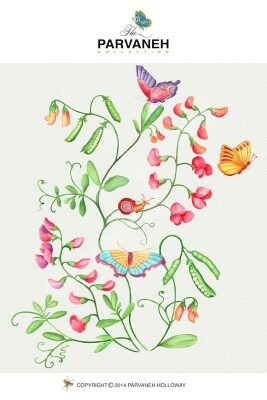 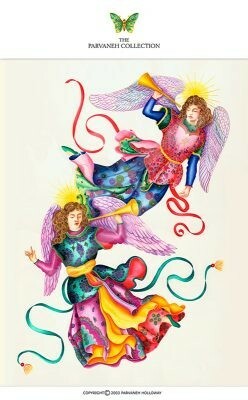 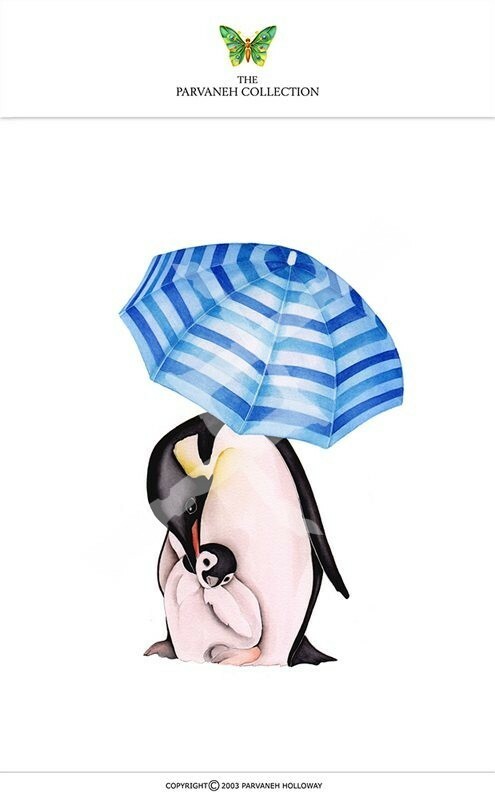 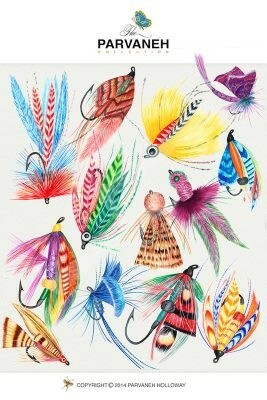 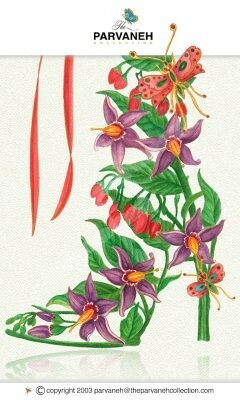 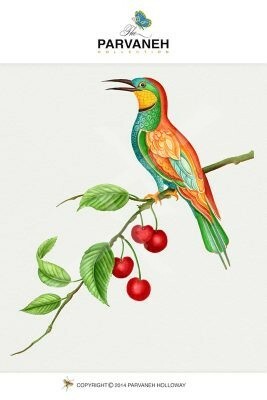 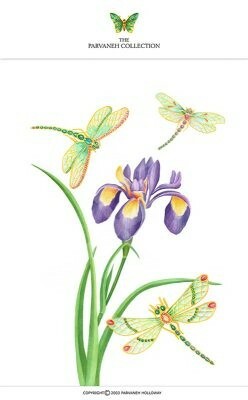 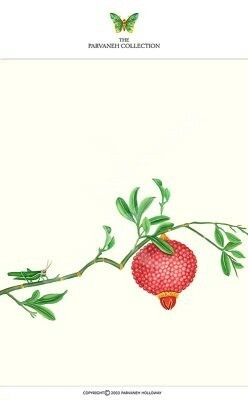 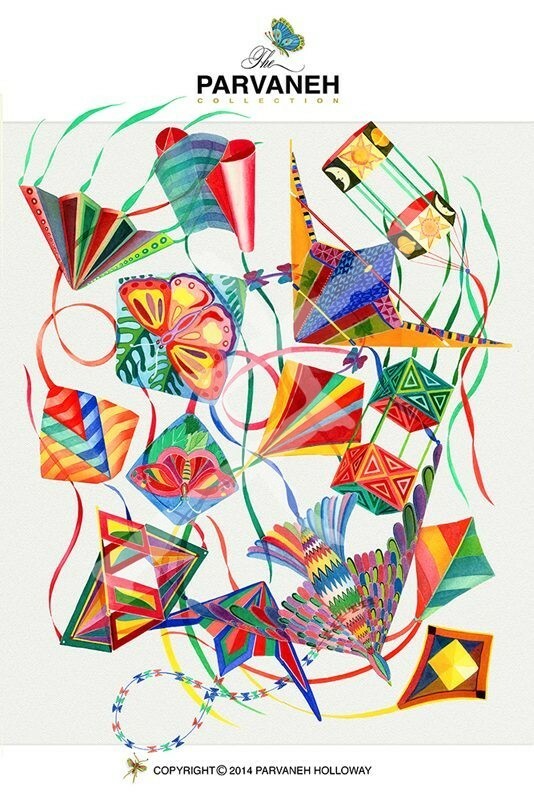 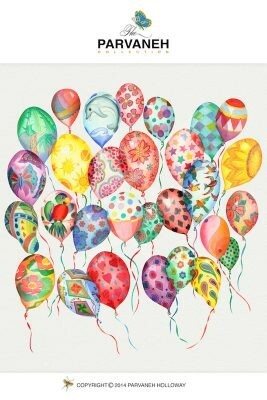 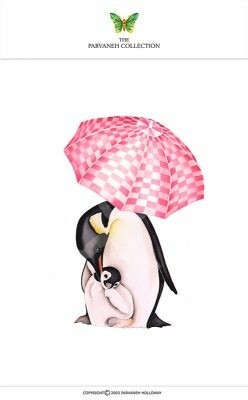 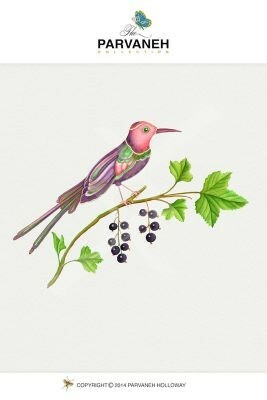 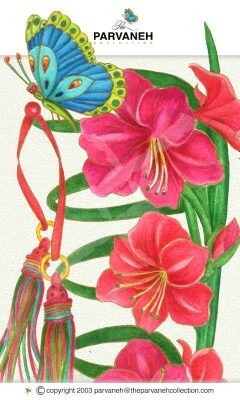 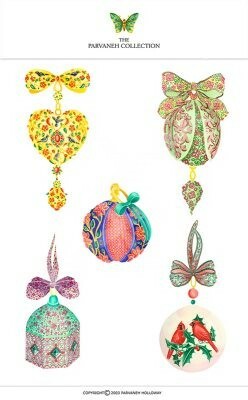 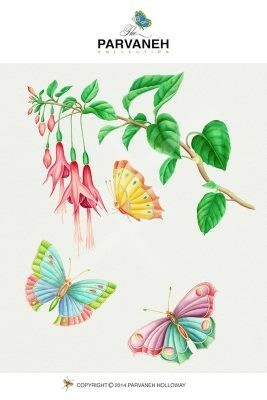 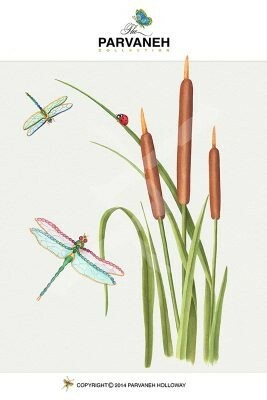 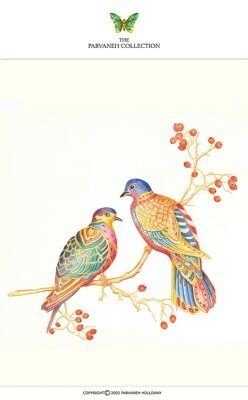 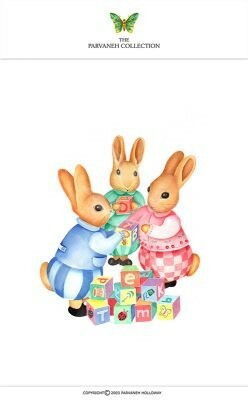 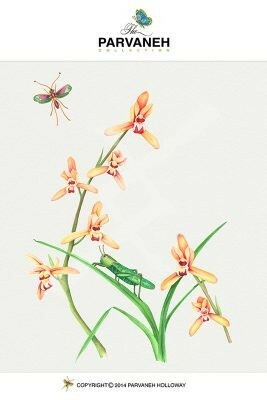 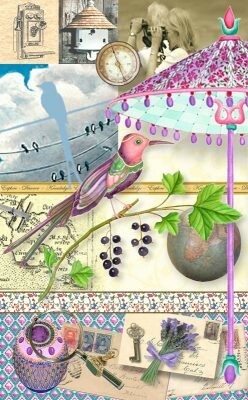 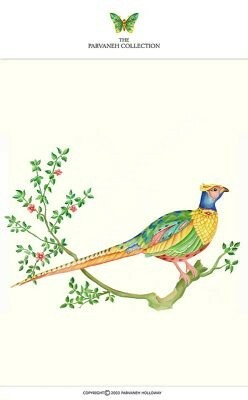 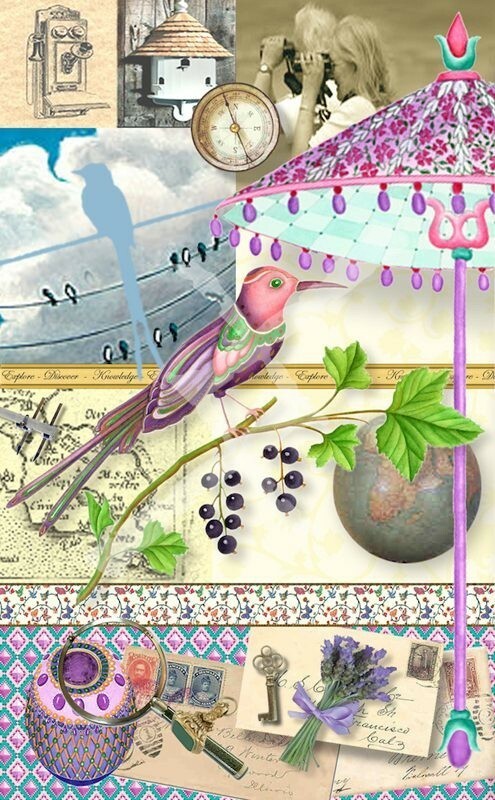 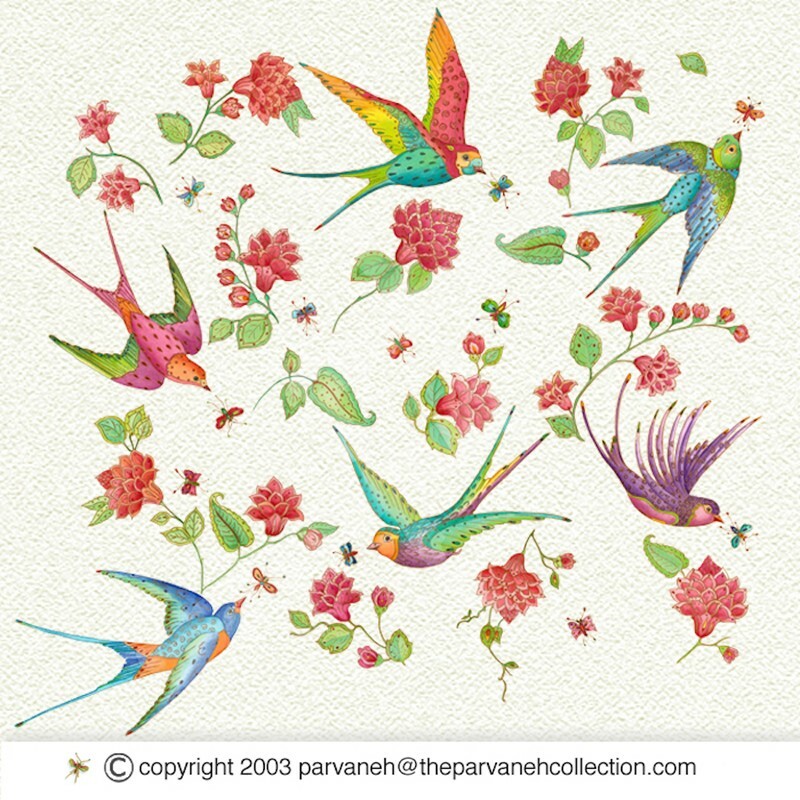 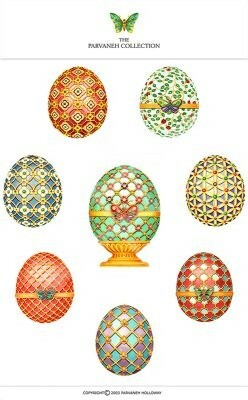 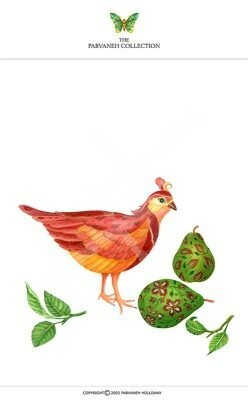 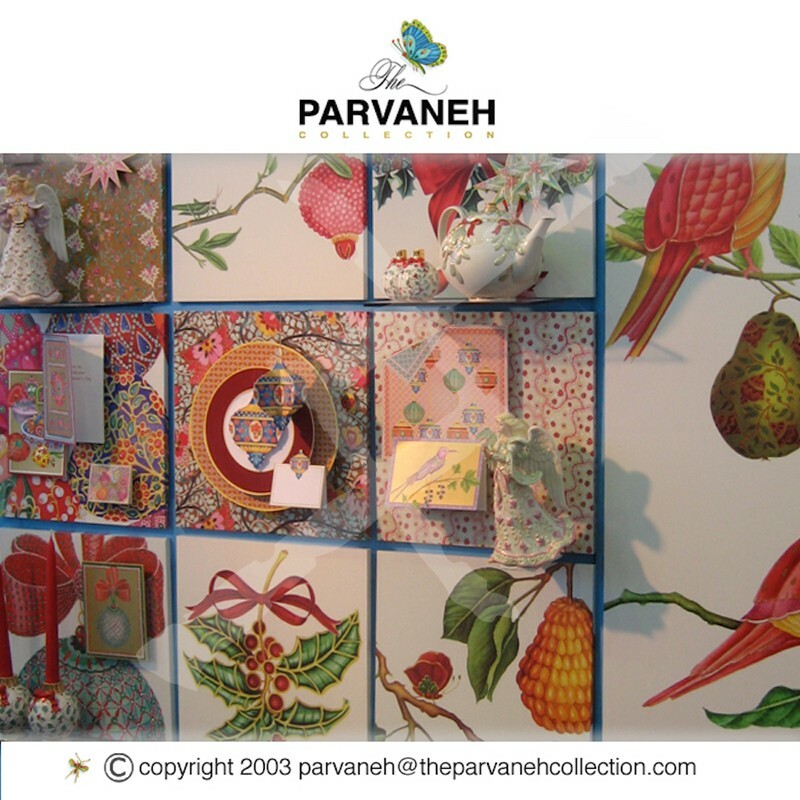 Parvaneh Holloway’s career as an artist and illustrator began after graduating from the London Central School of Art. 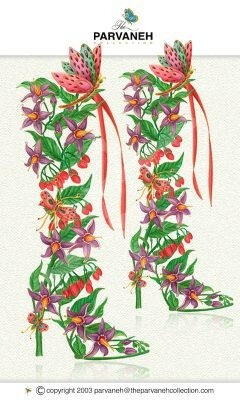 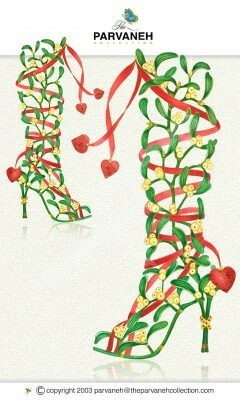 She worked first in the fashion industry in France, London, and New York. 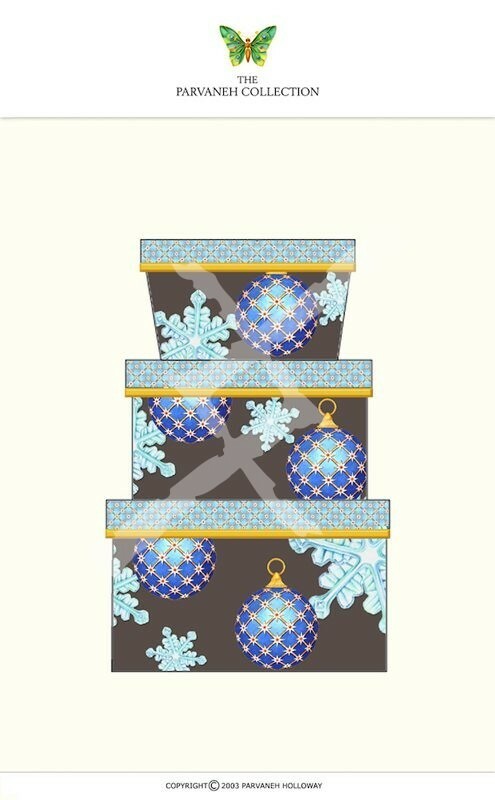 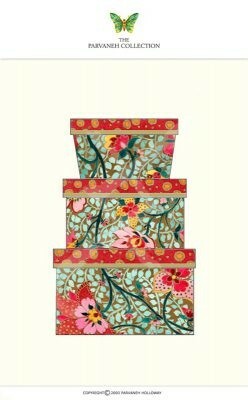 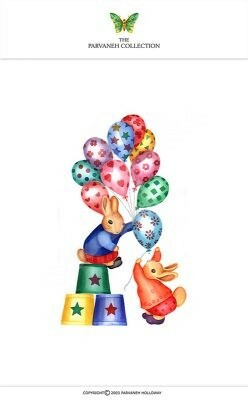 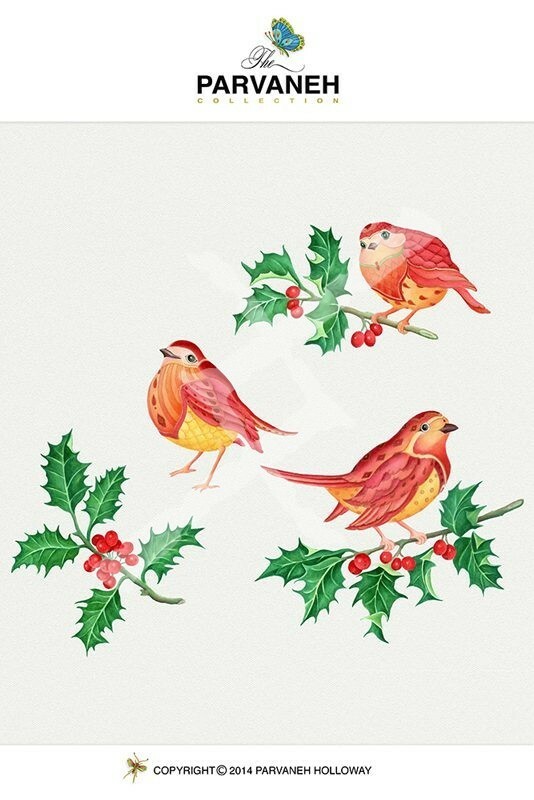 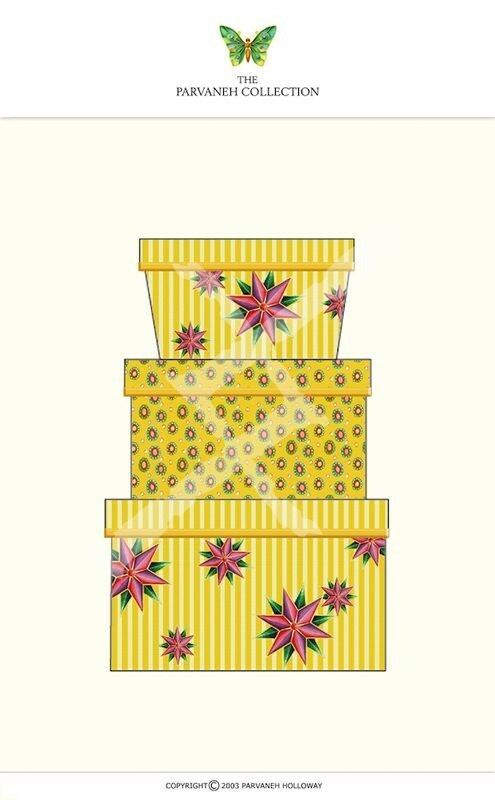 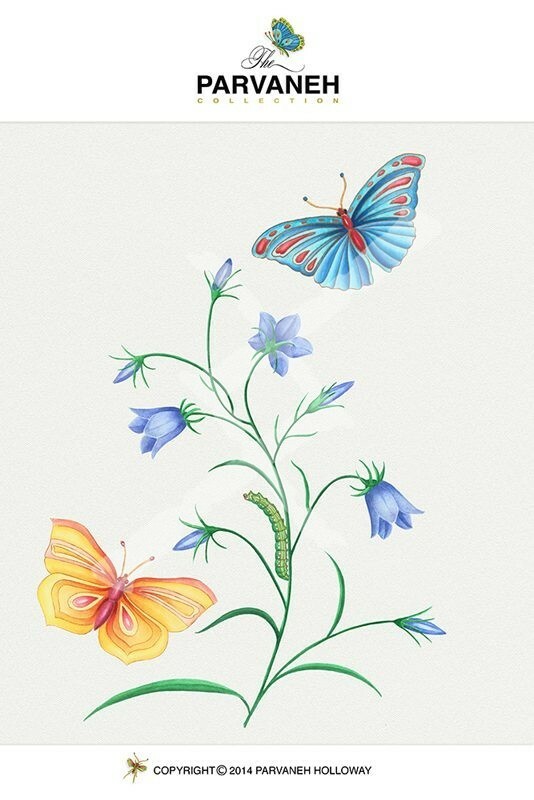 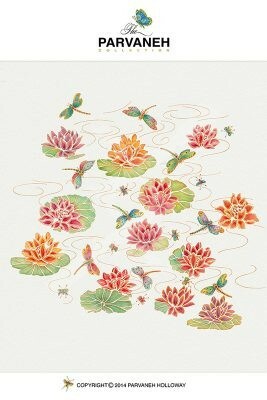 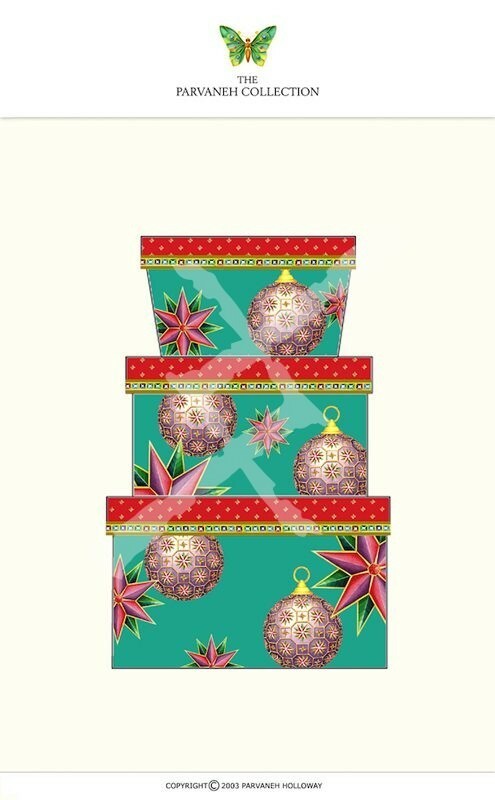 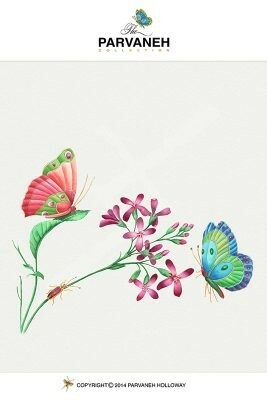 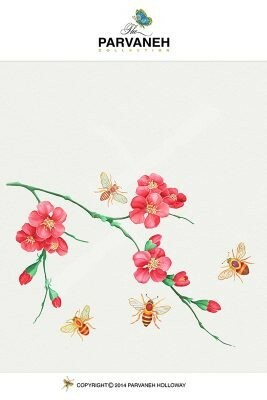 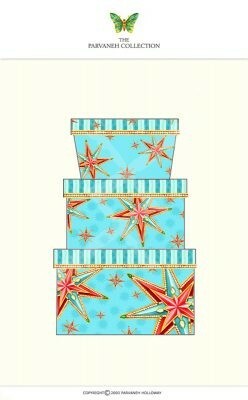 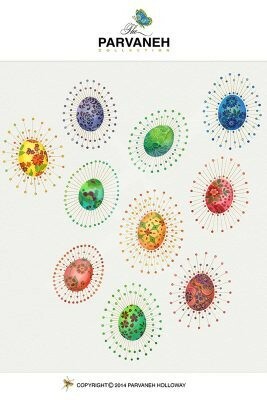 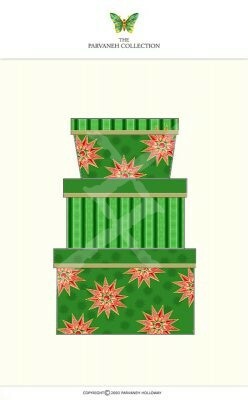 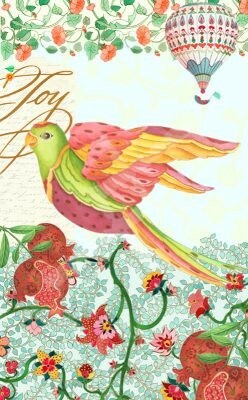 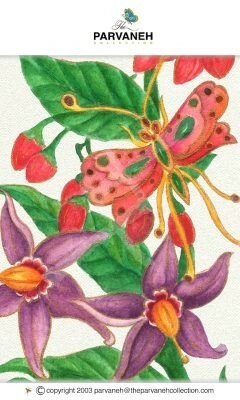 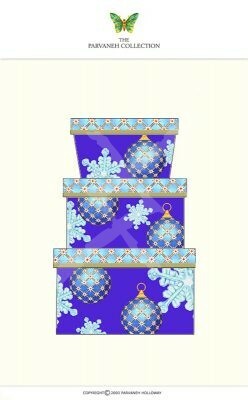 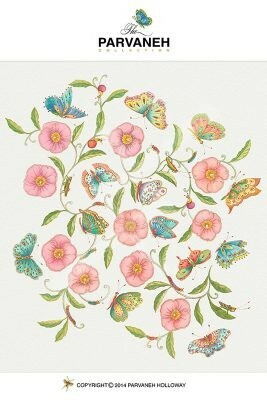 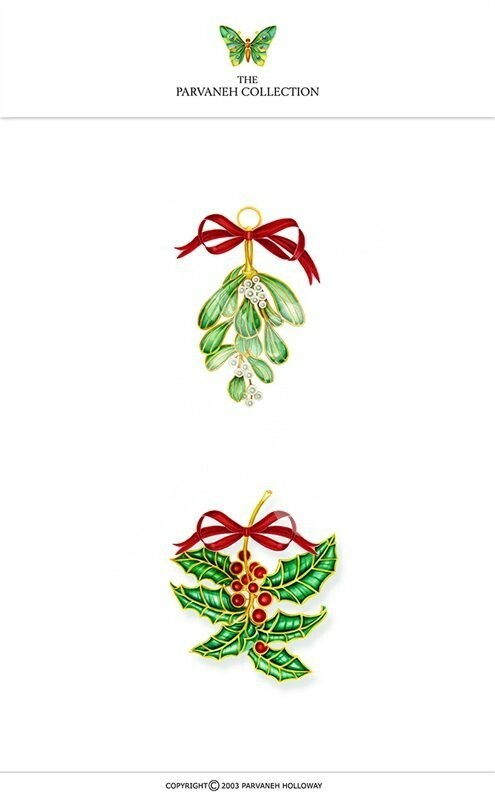 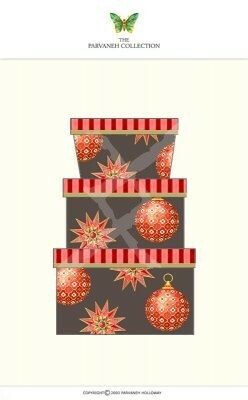 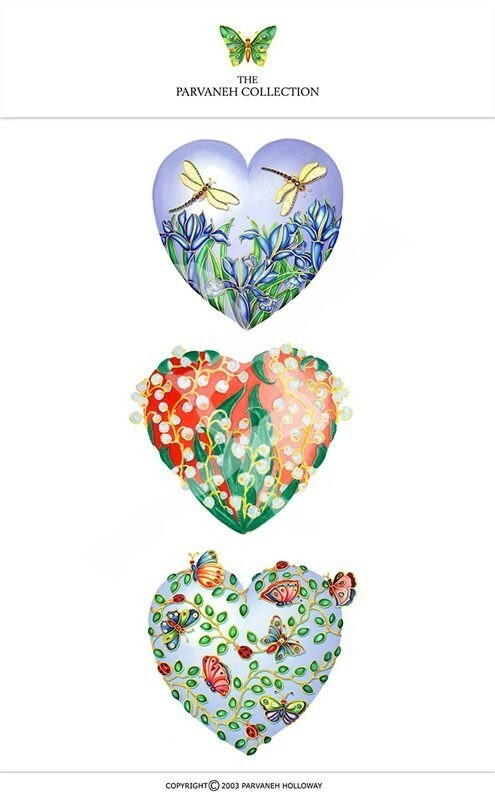 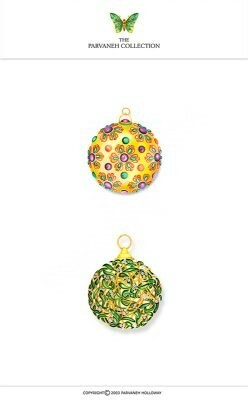 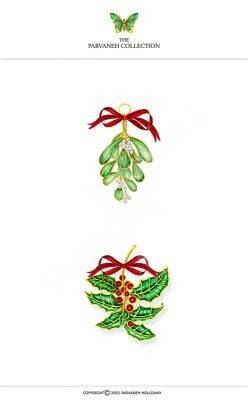 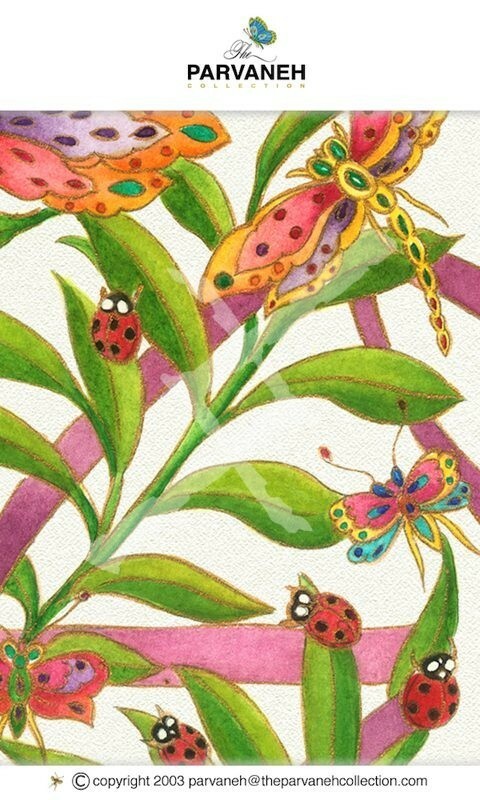 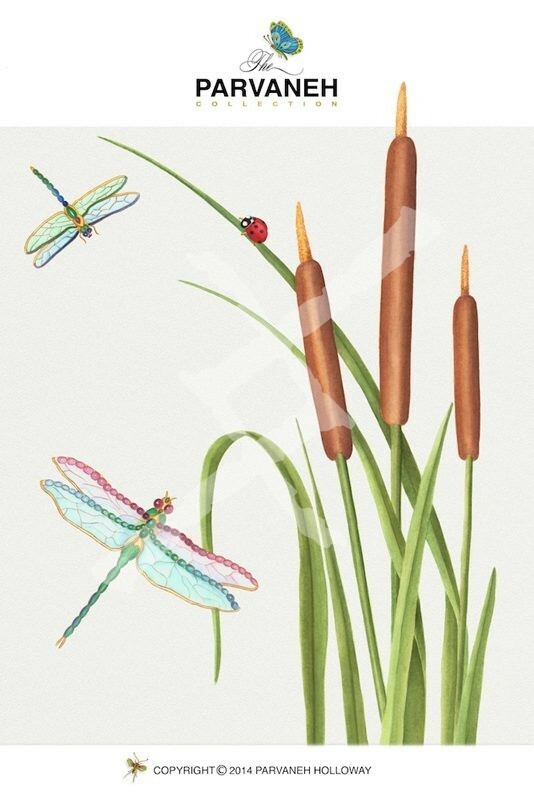 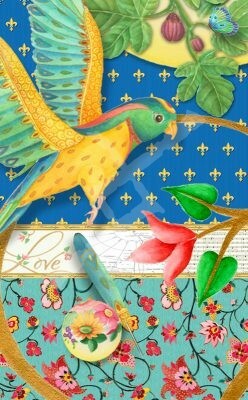 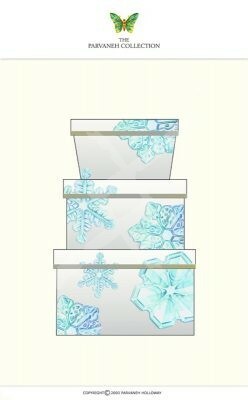 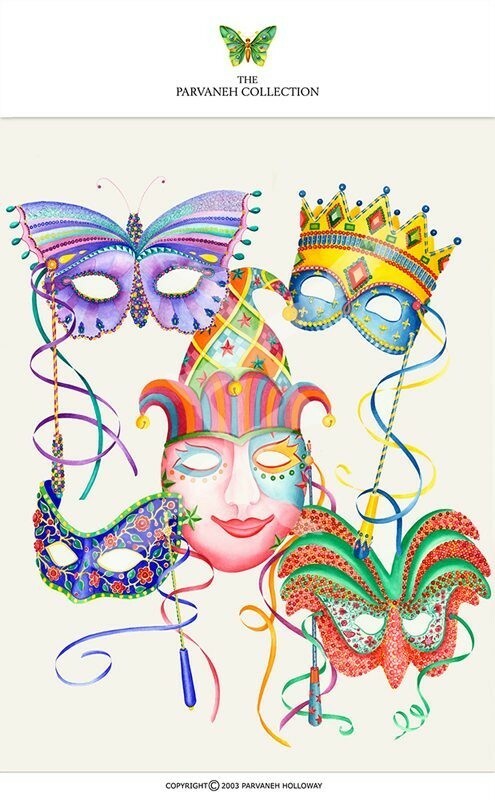 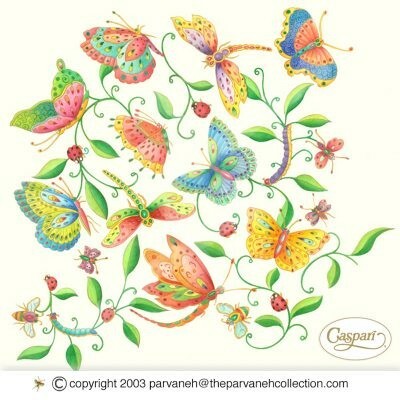 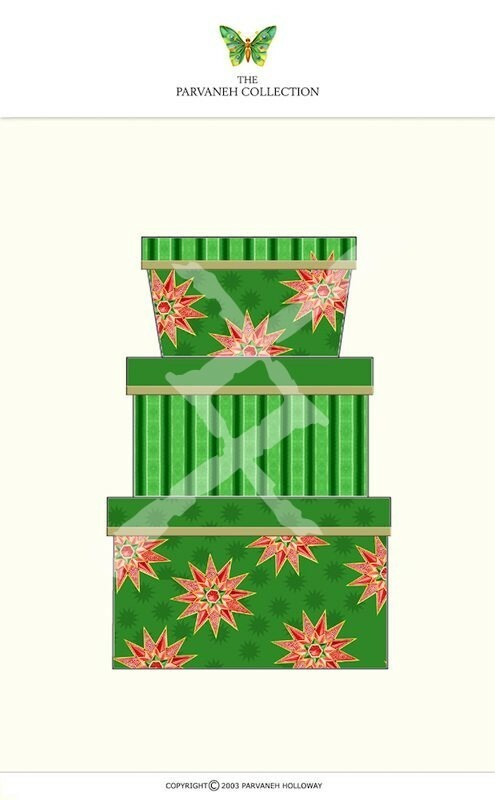 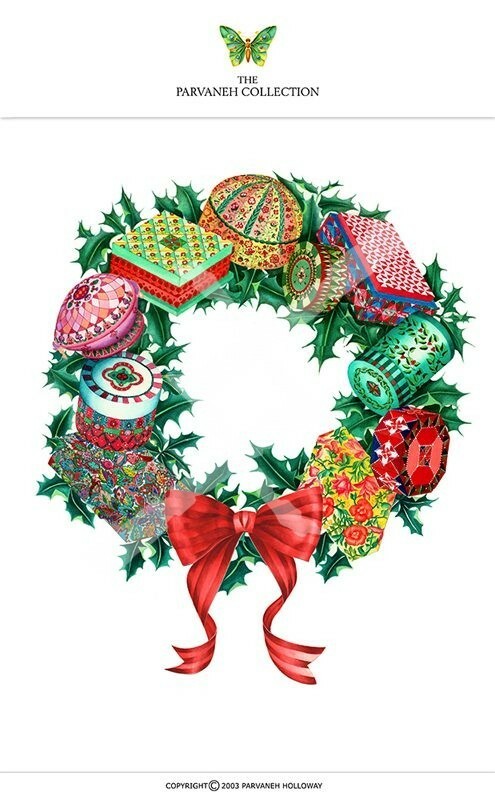 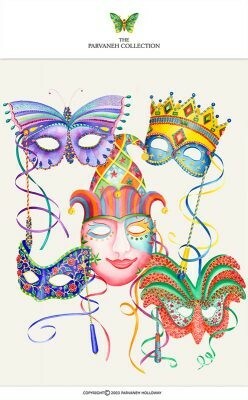 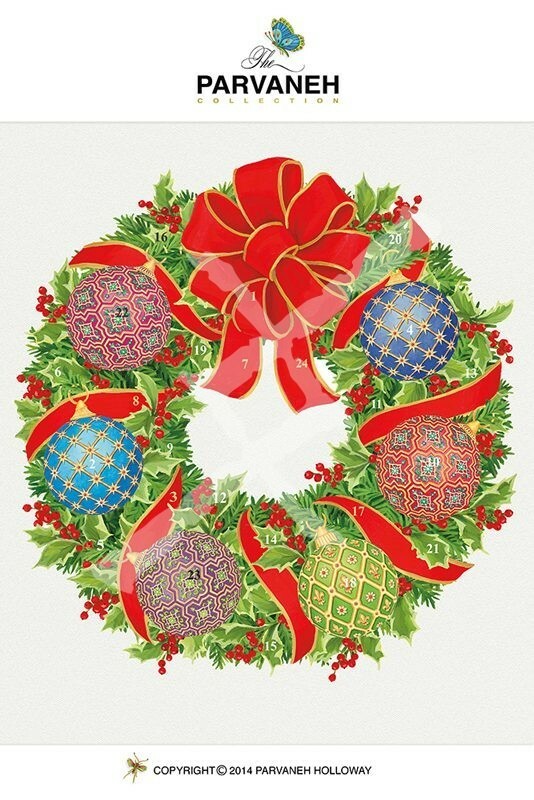 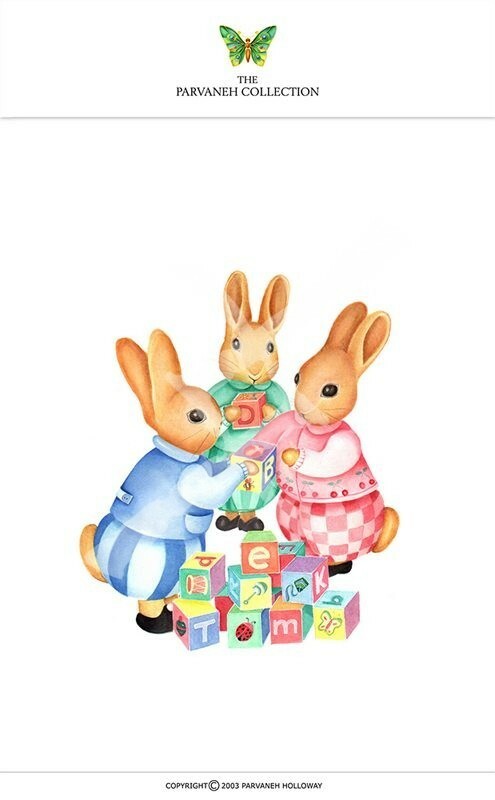 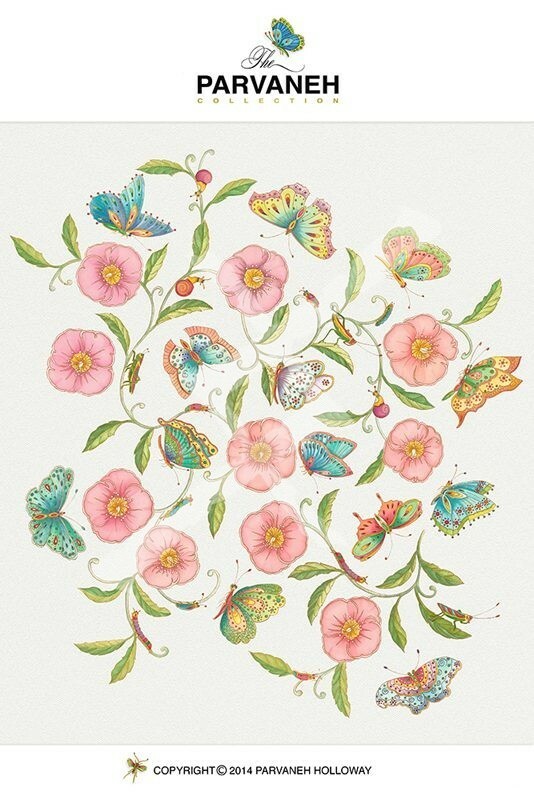 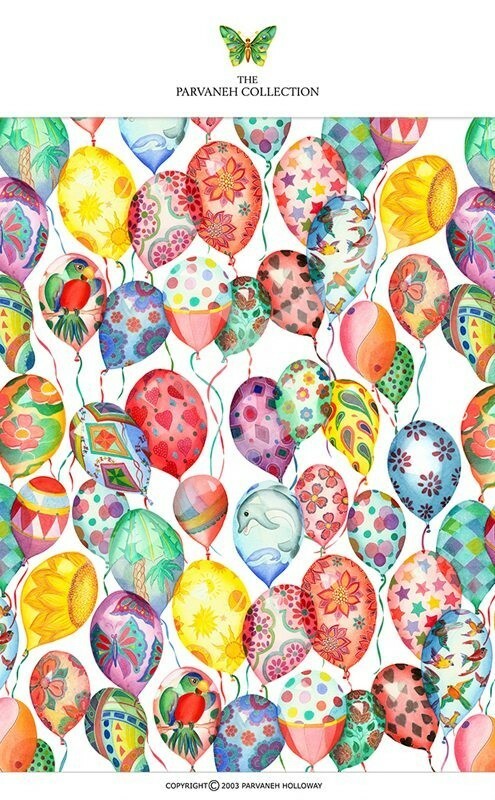 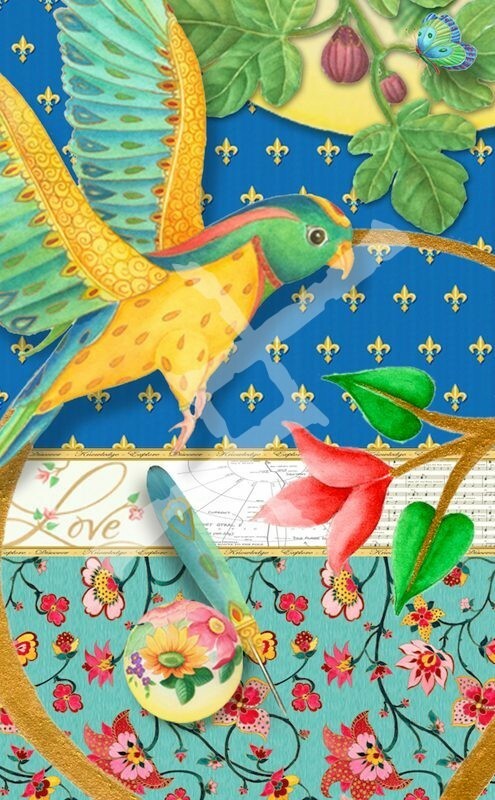 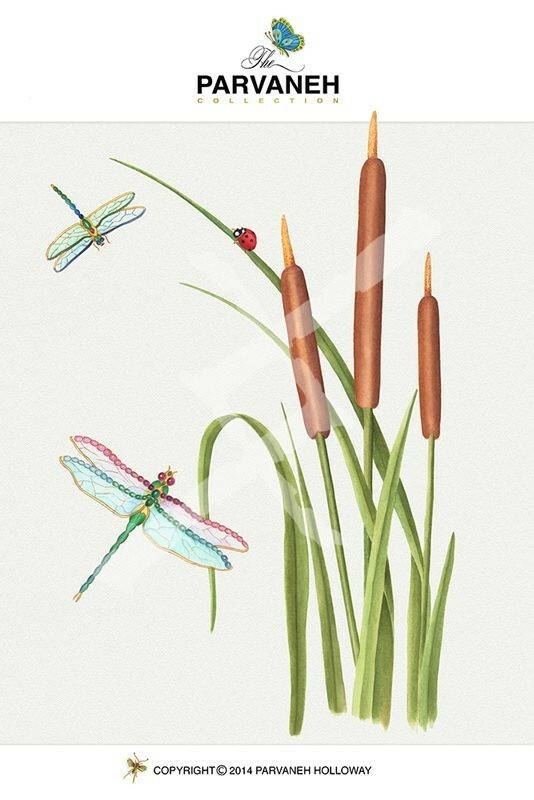 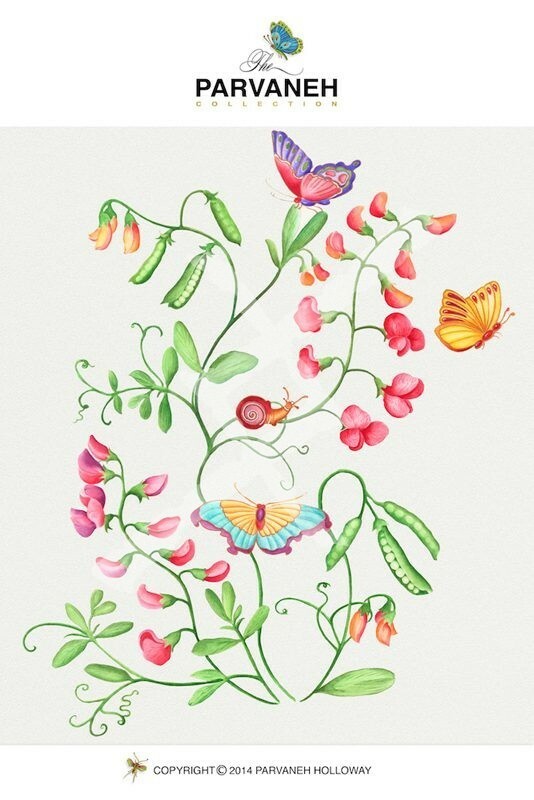 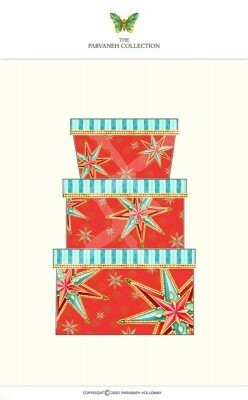 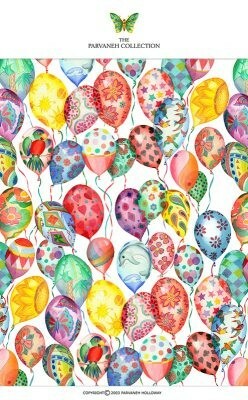 For the past 30 years, she has been a best-selling artist for Caspari, creating over 250 designs that have been adapted for use in their paper table ware, gift wrap and social expression collections. 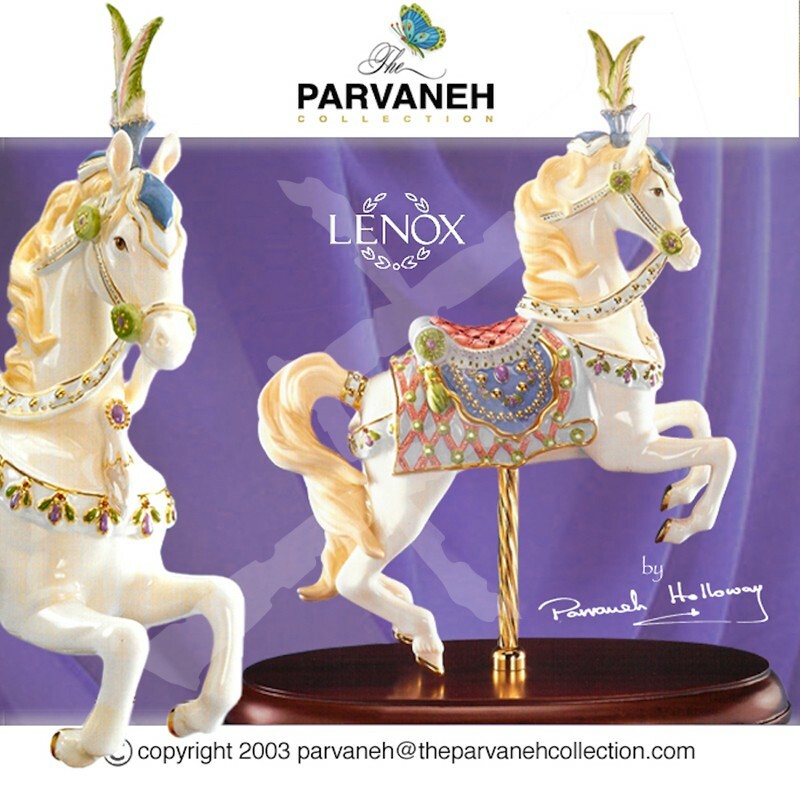 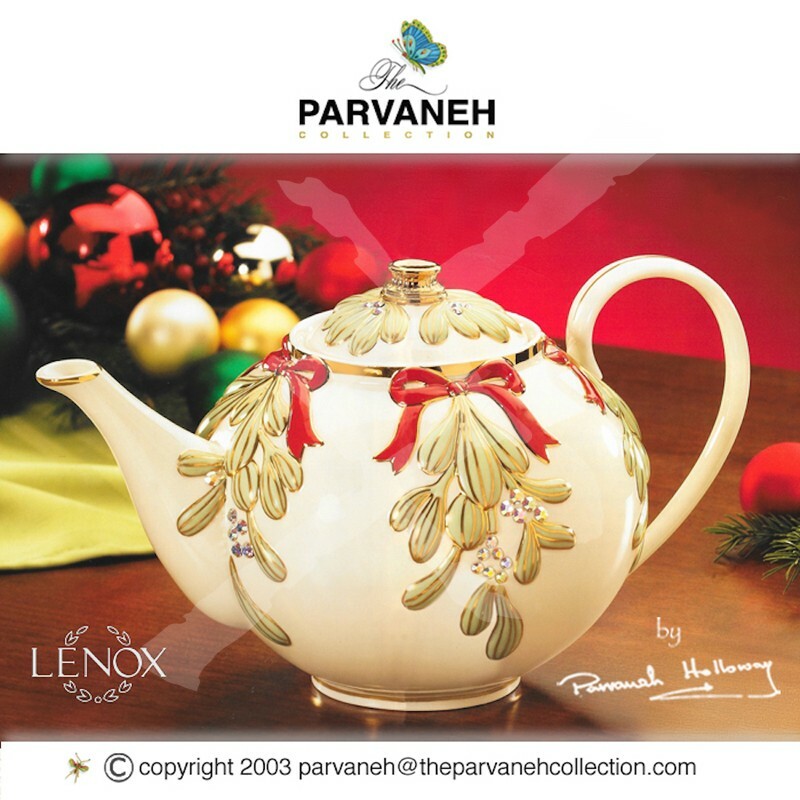 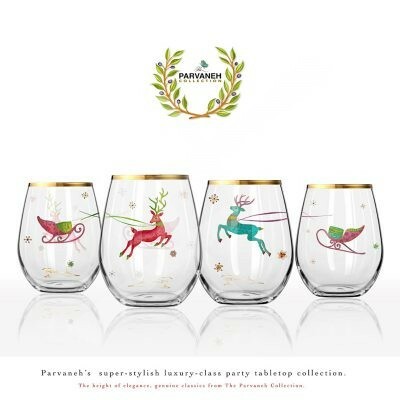 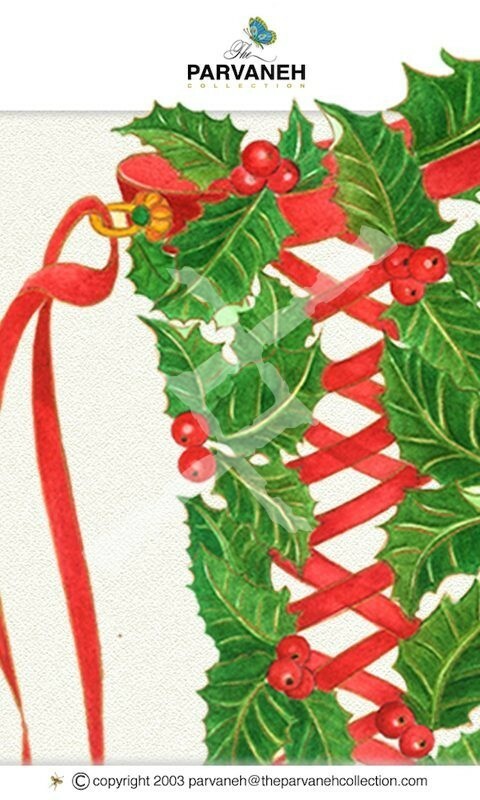 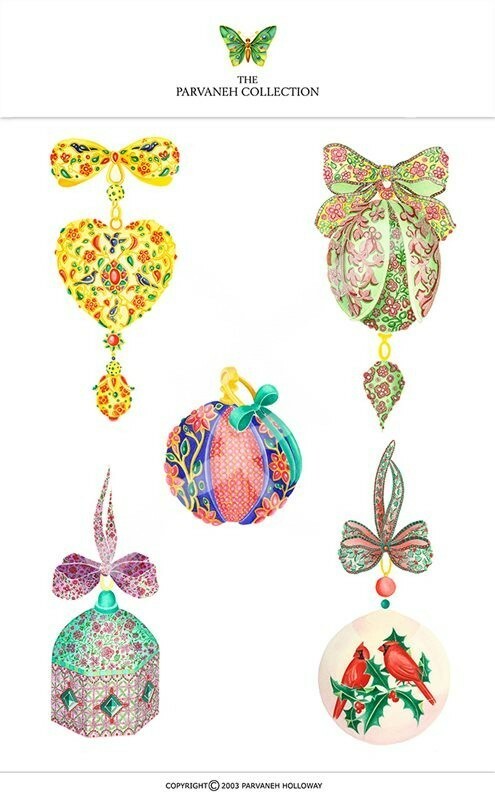 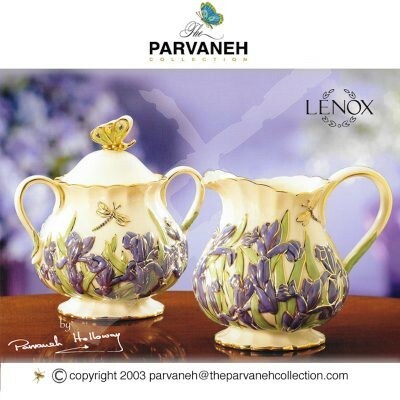 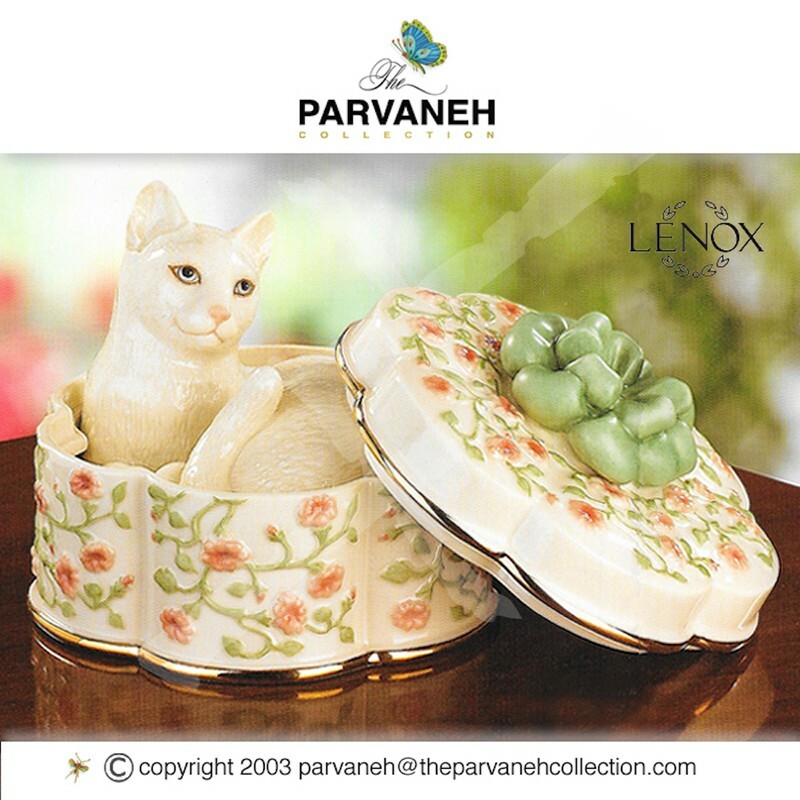 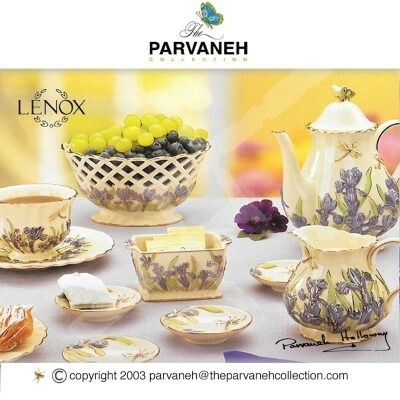 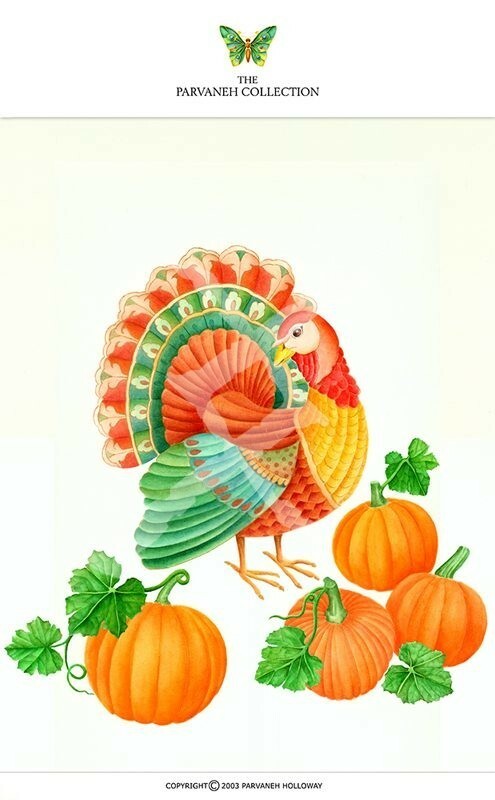 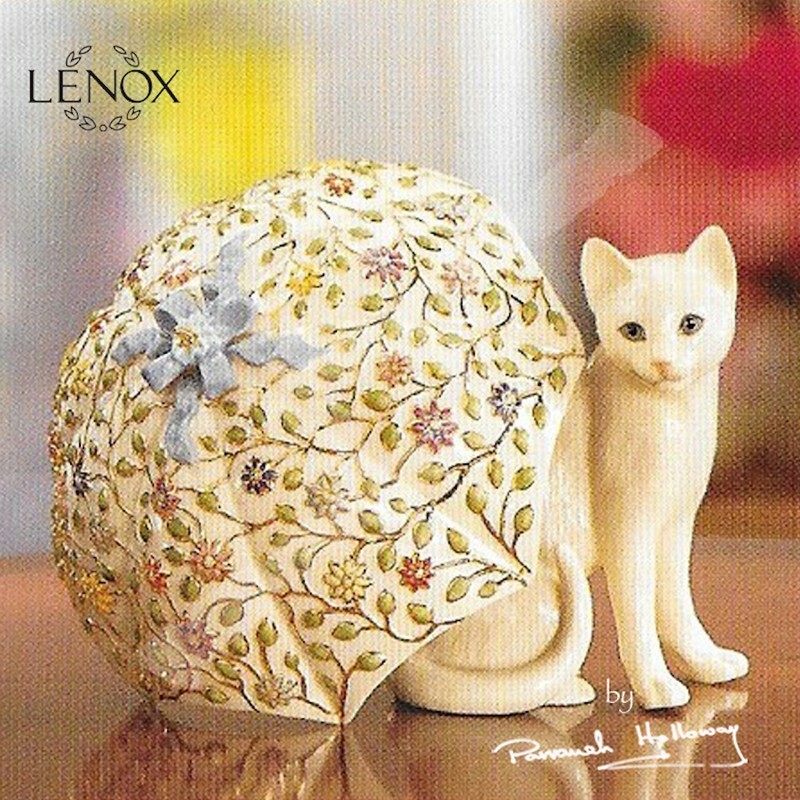 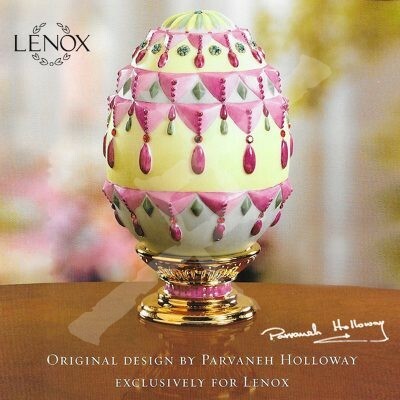 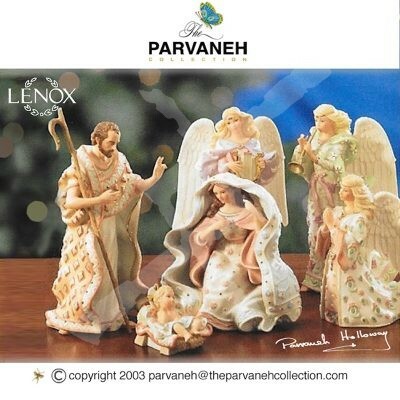 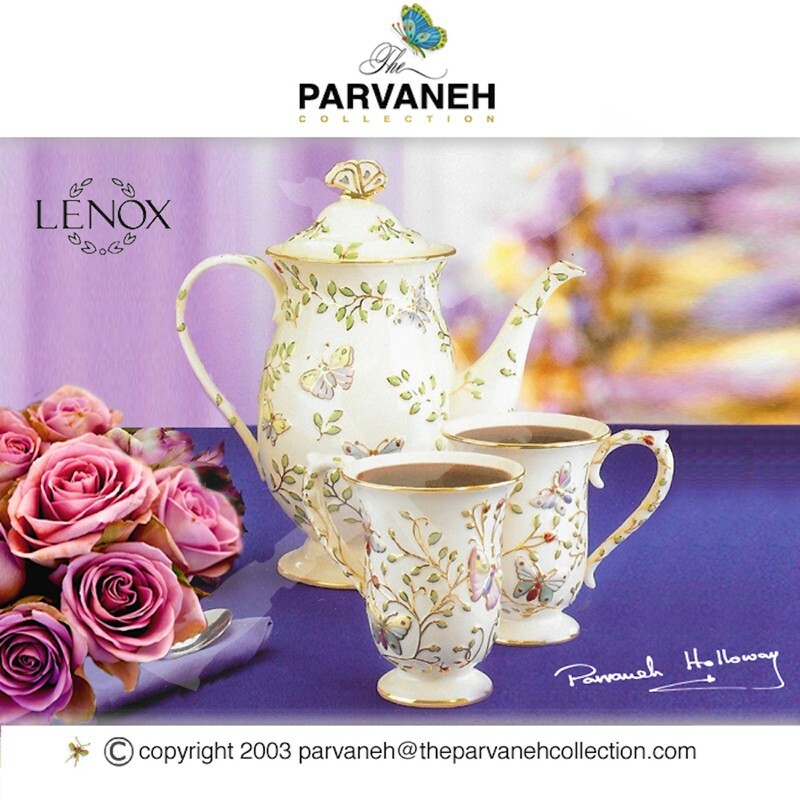 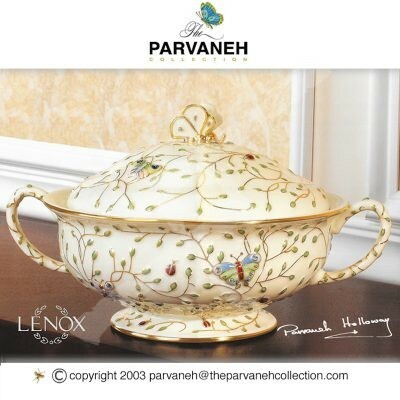 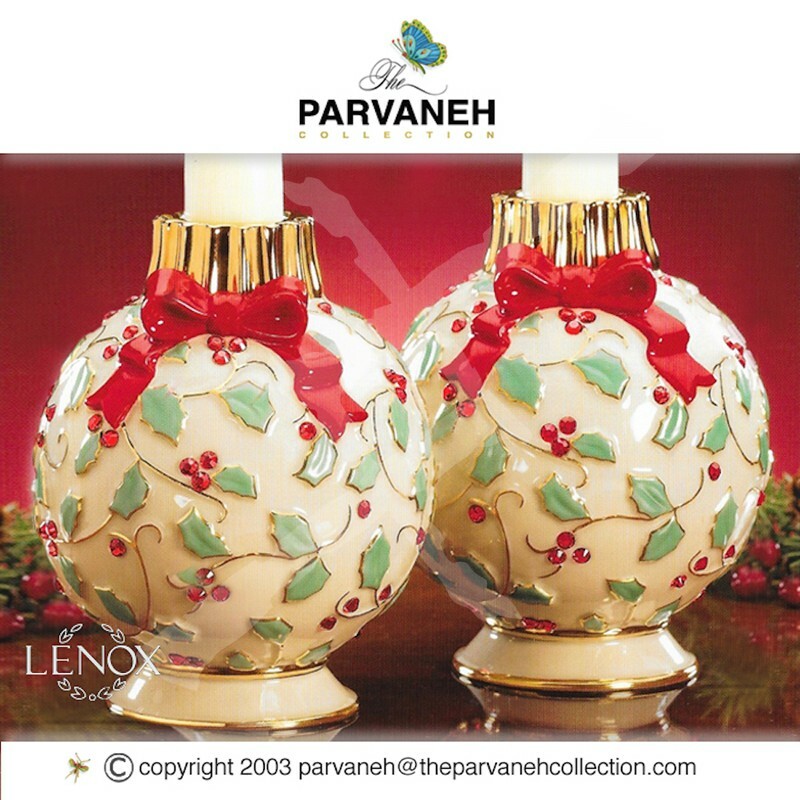 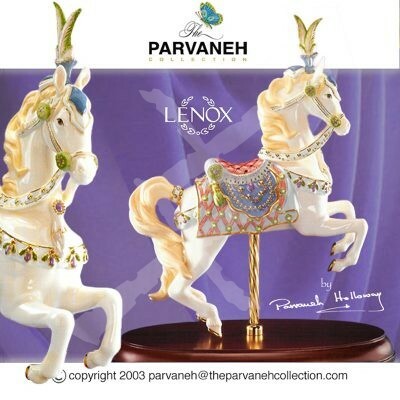 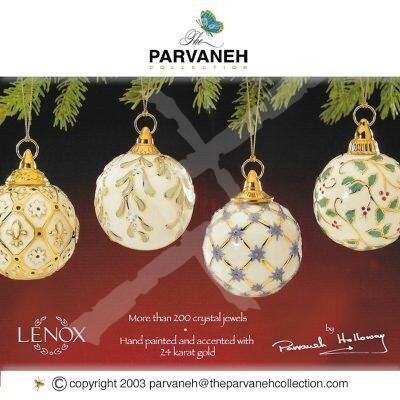 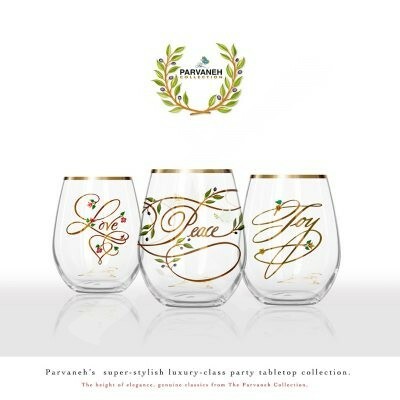 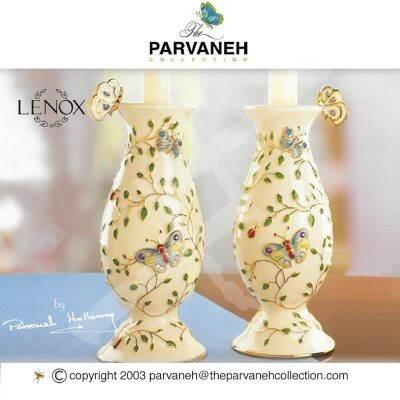 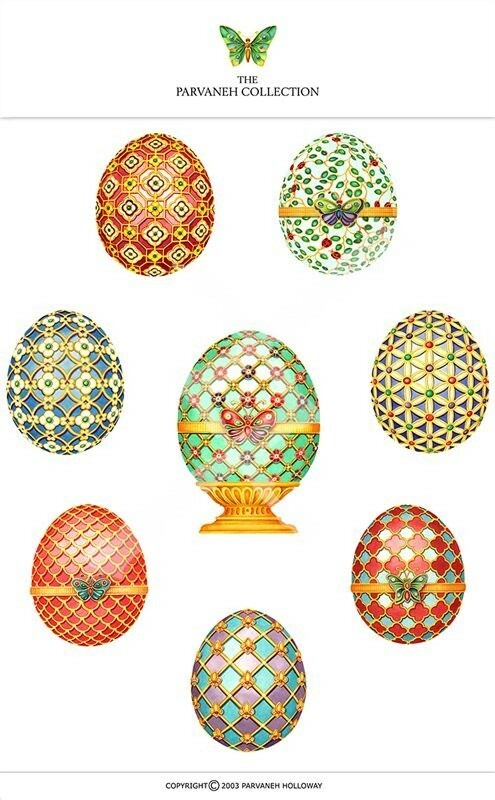 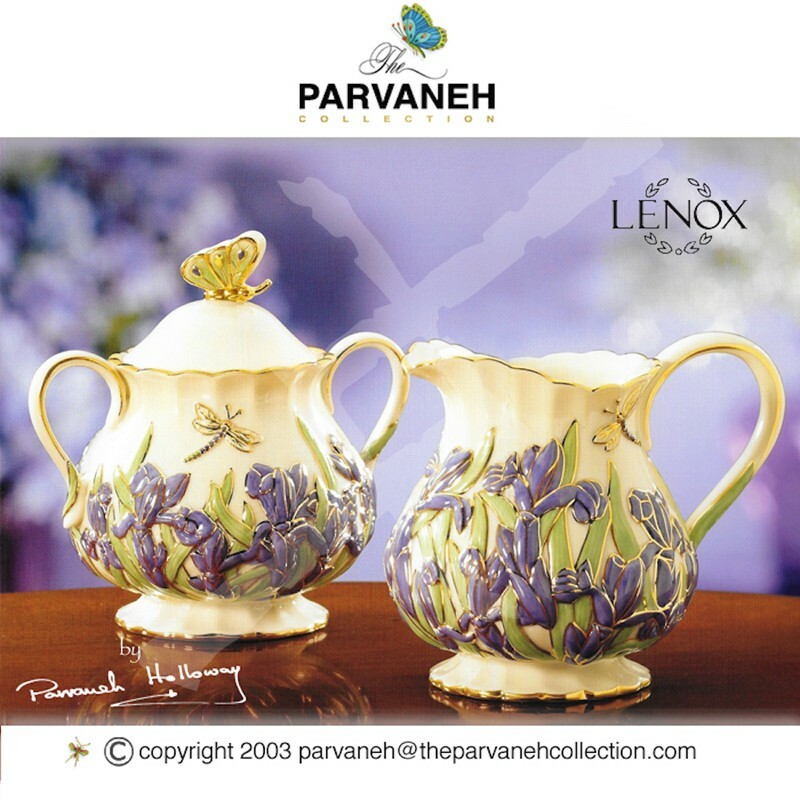 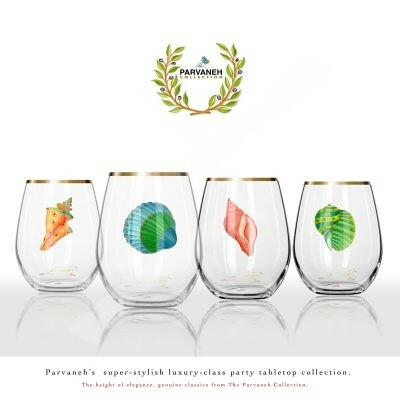 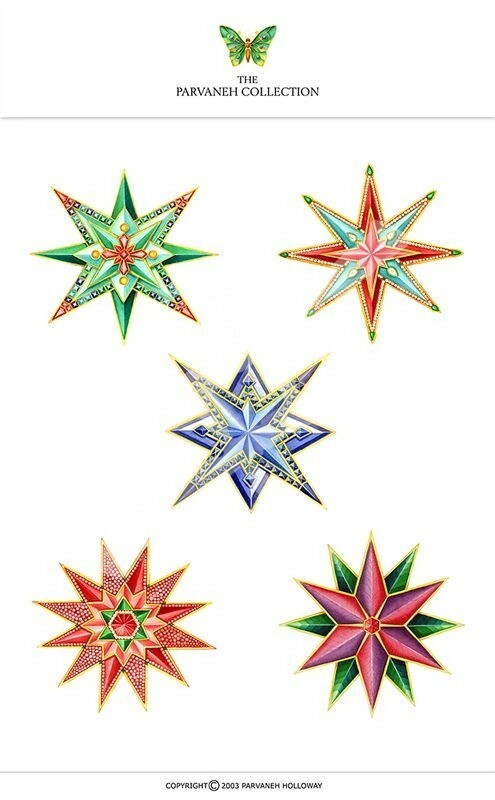 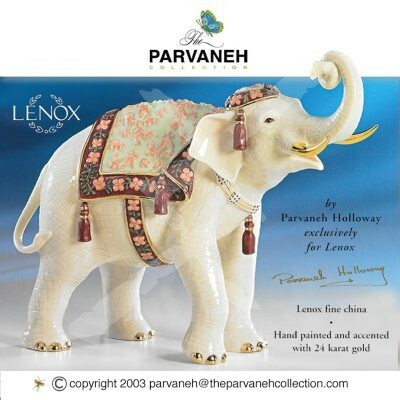 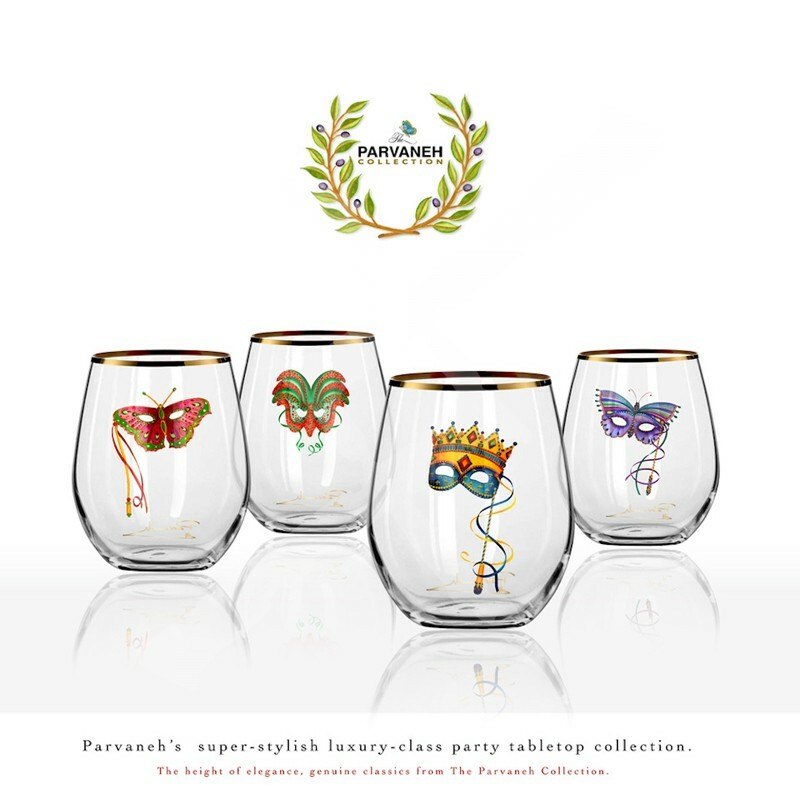 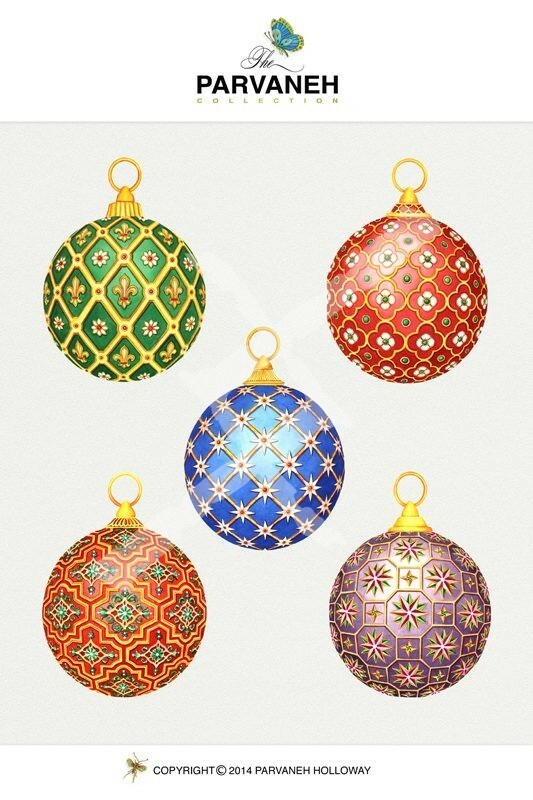 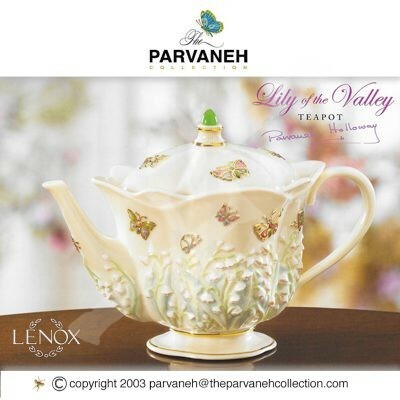 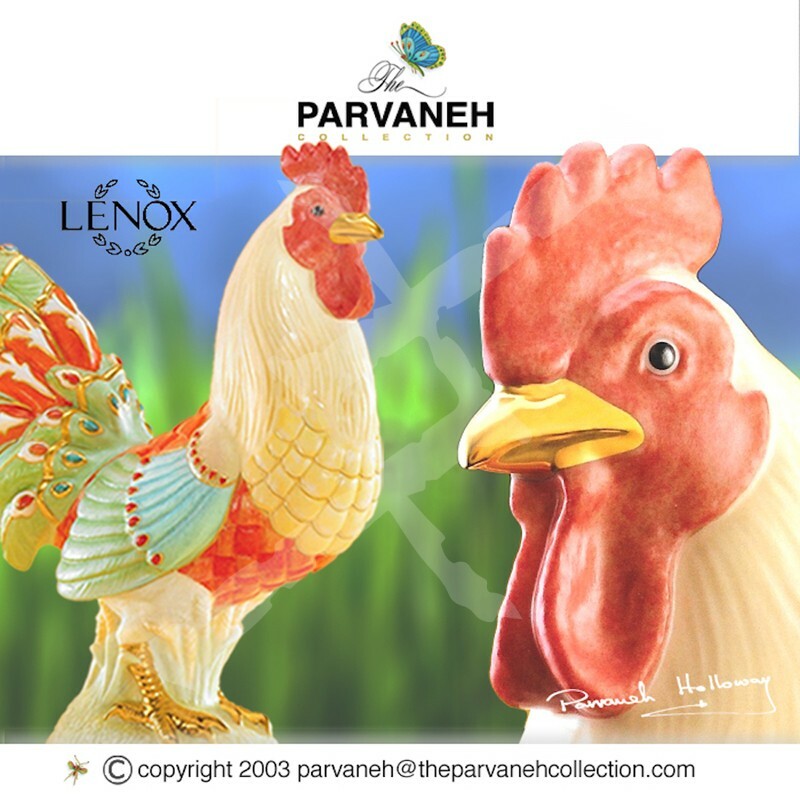 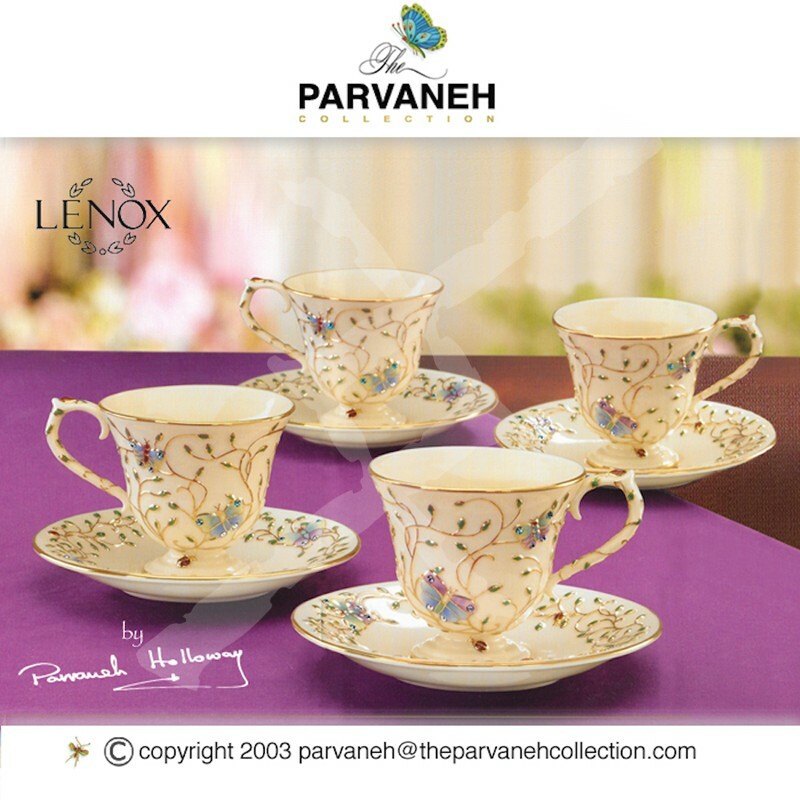 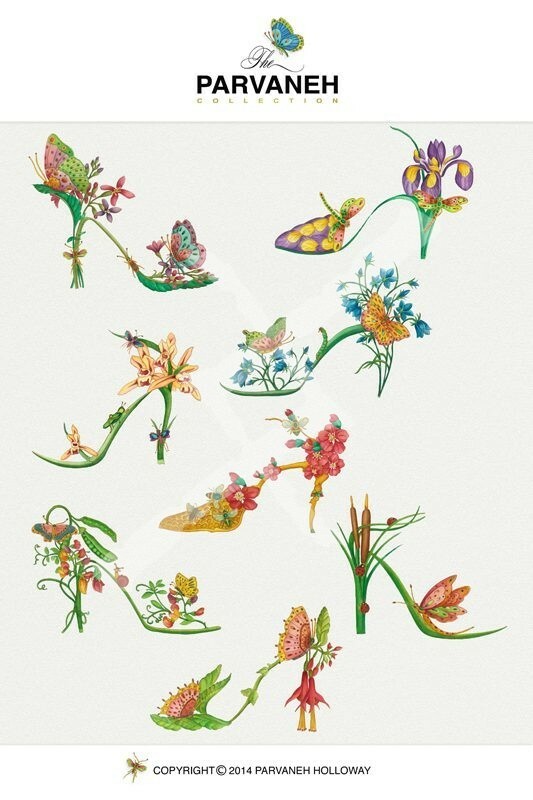 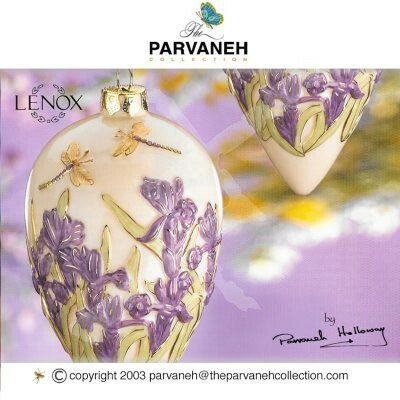 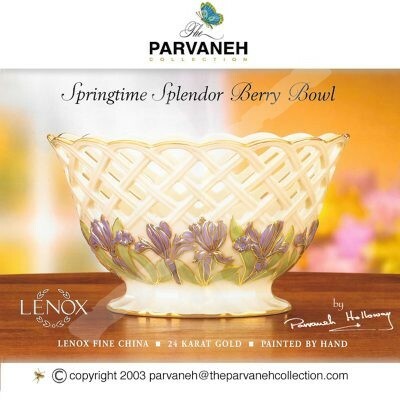 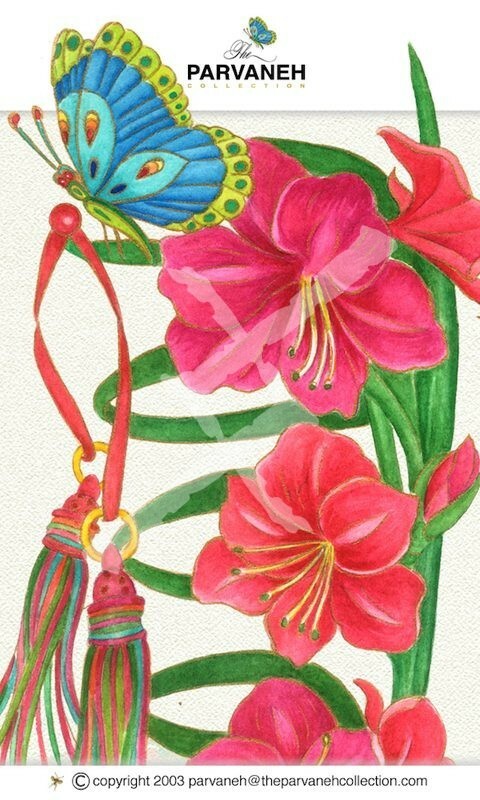 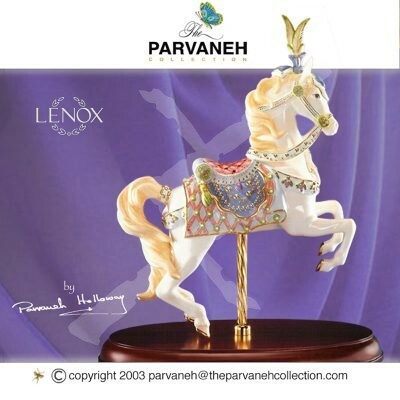 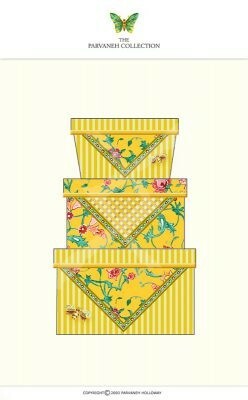 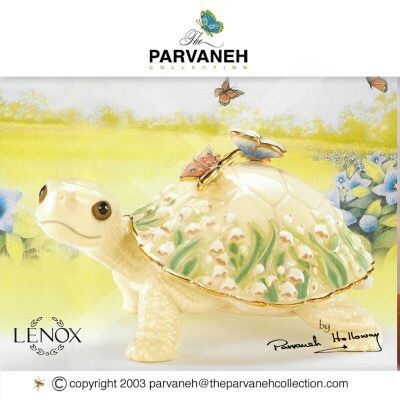 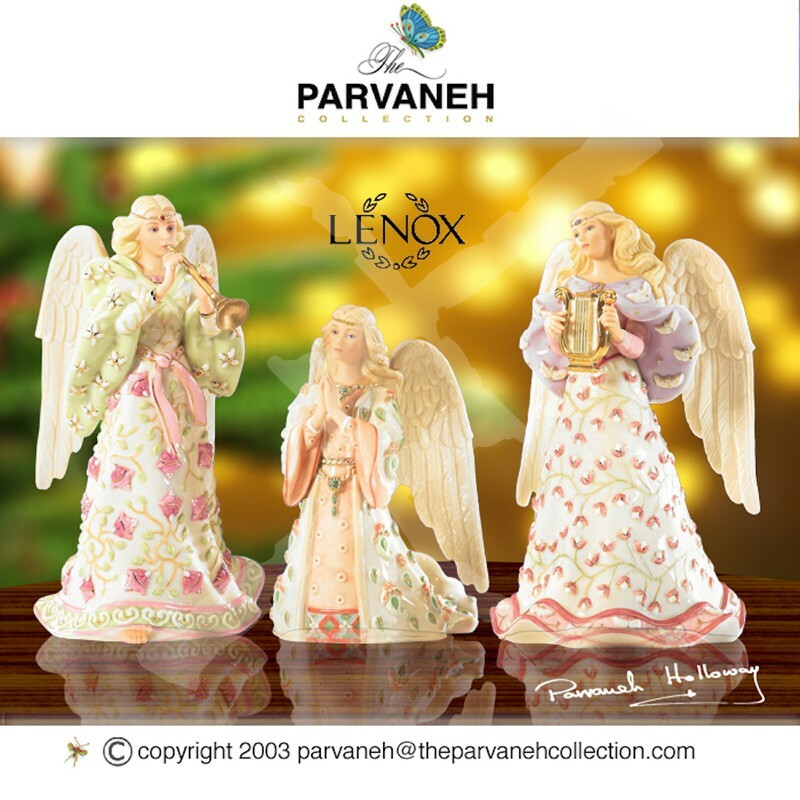 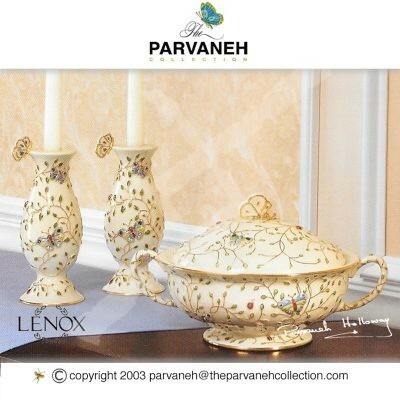 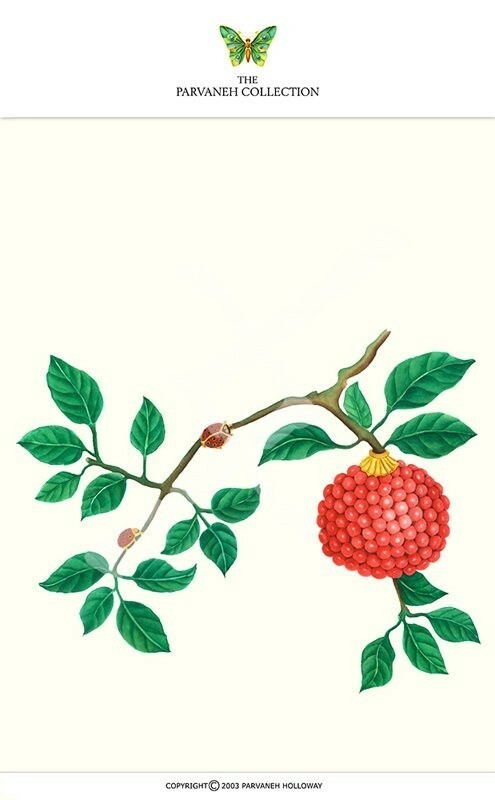 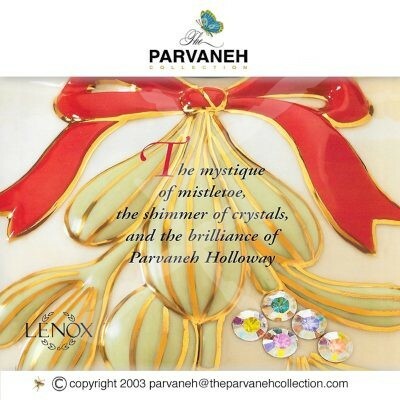 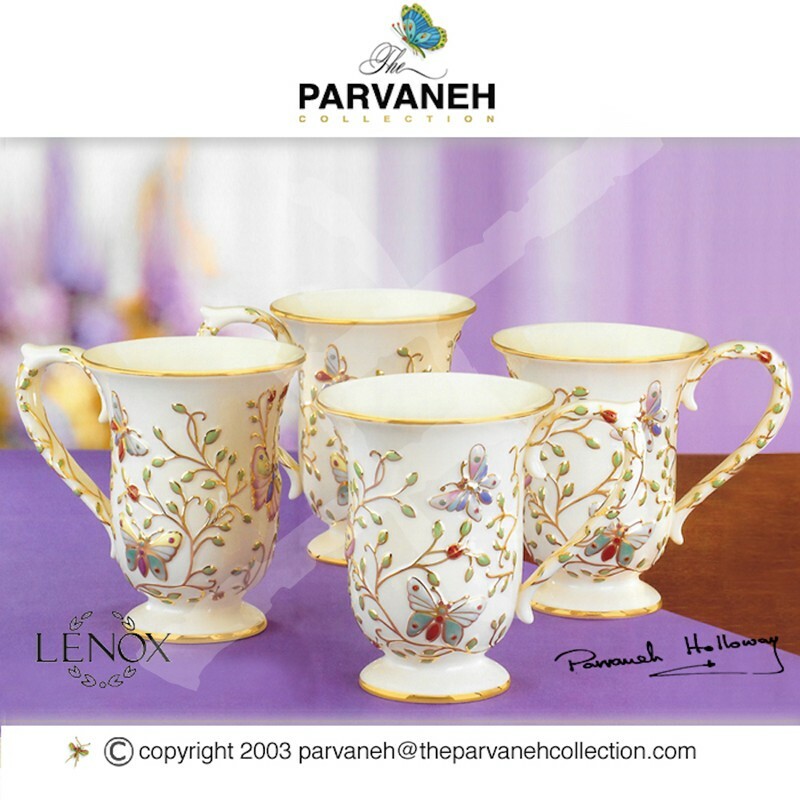 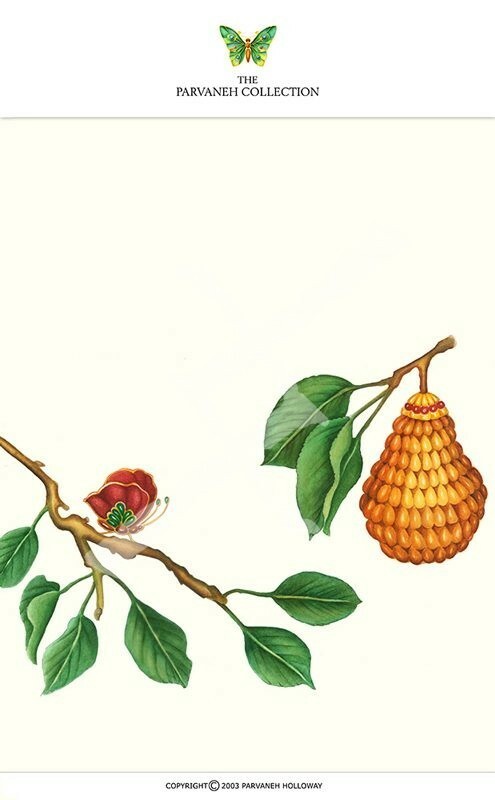 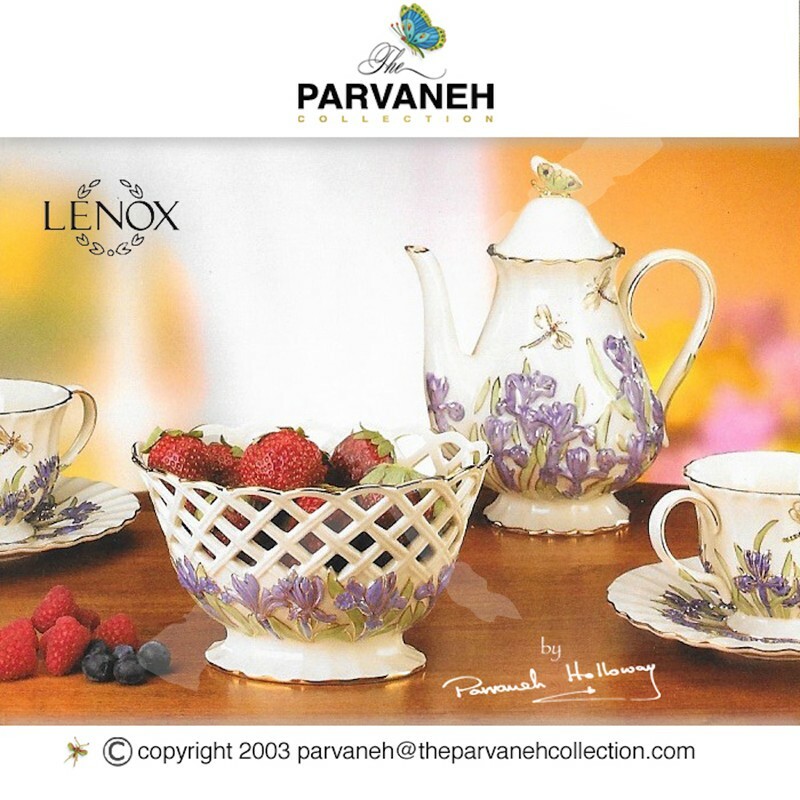 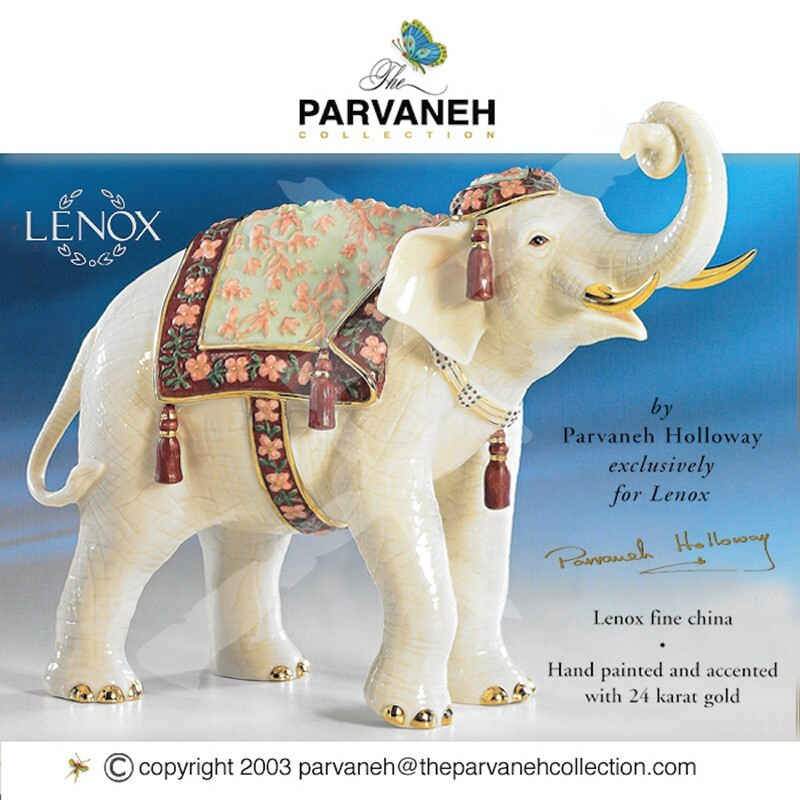 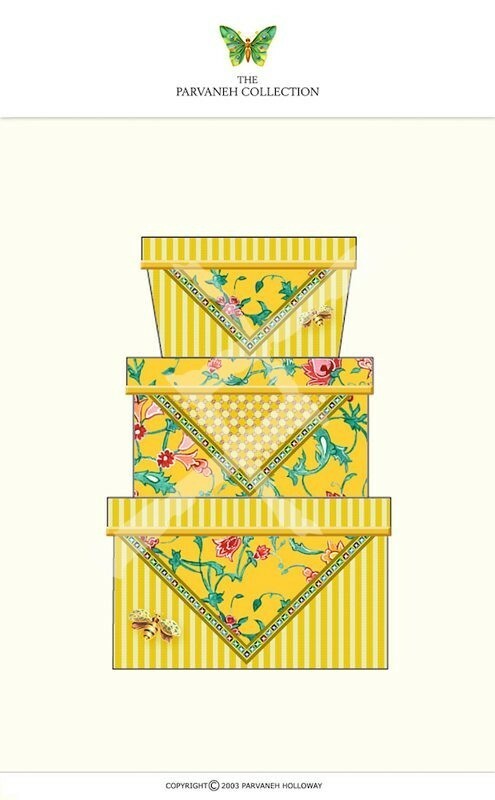 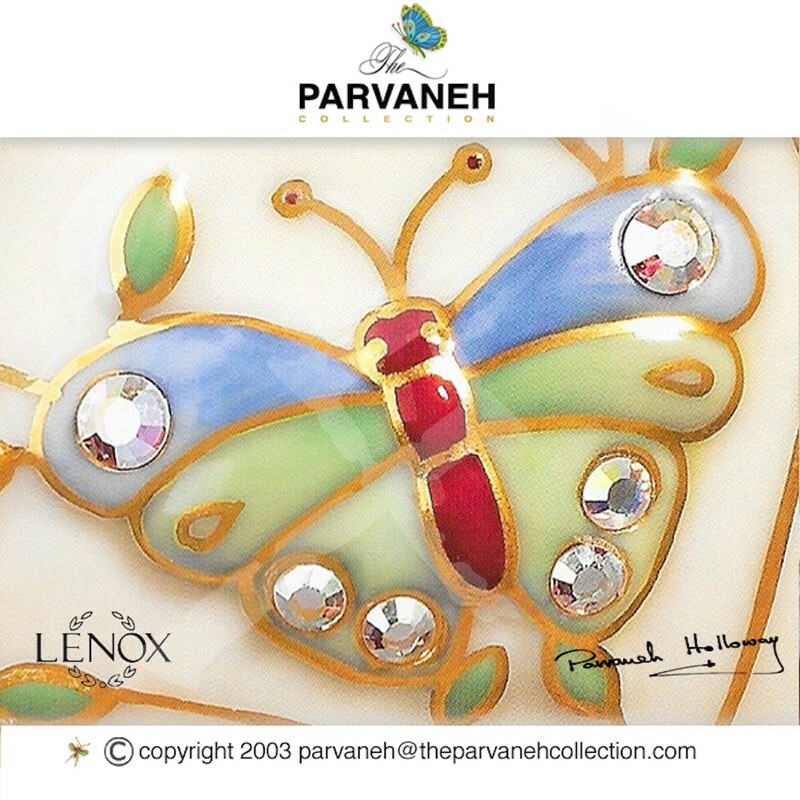 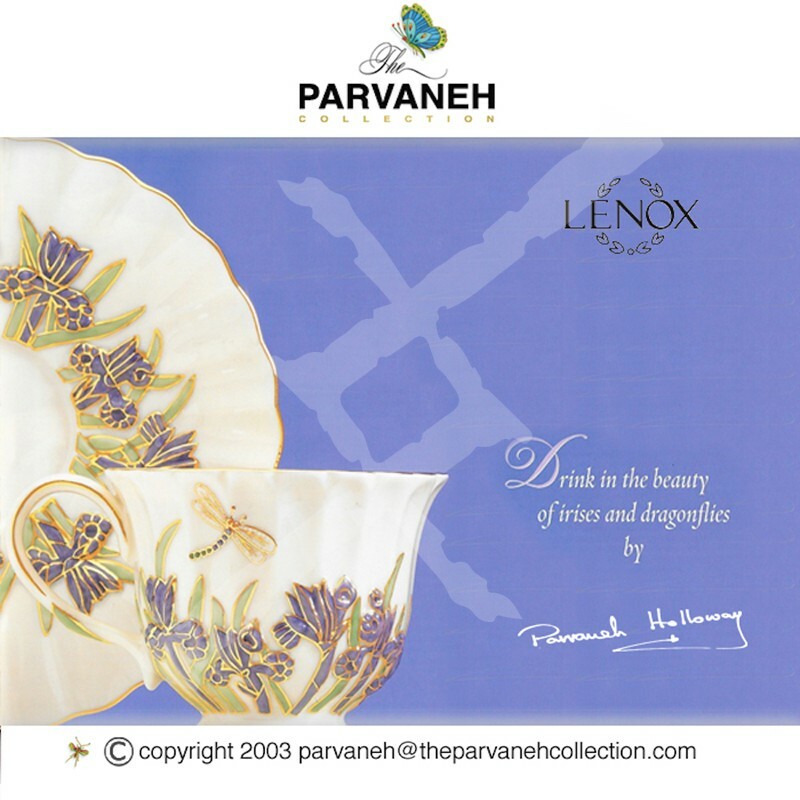 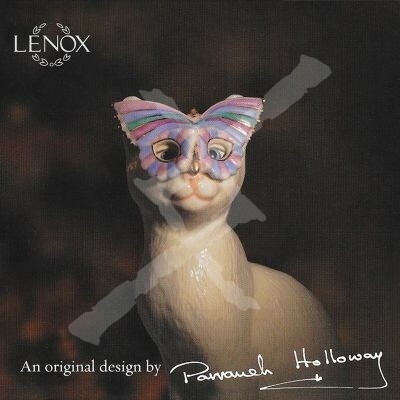 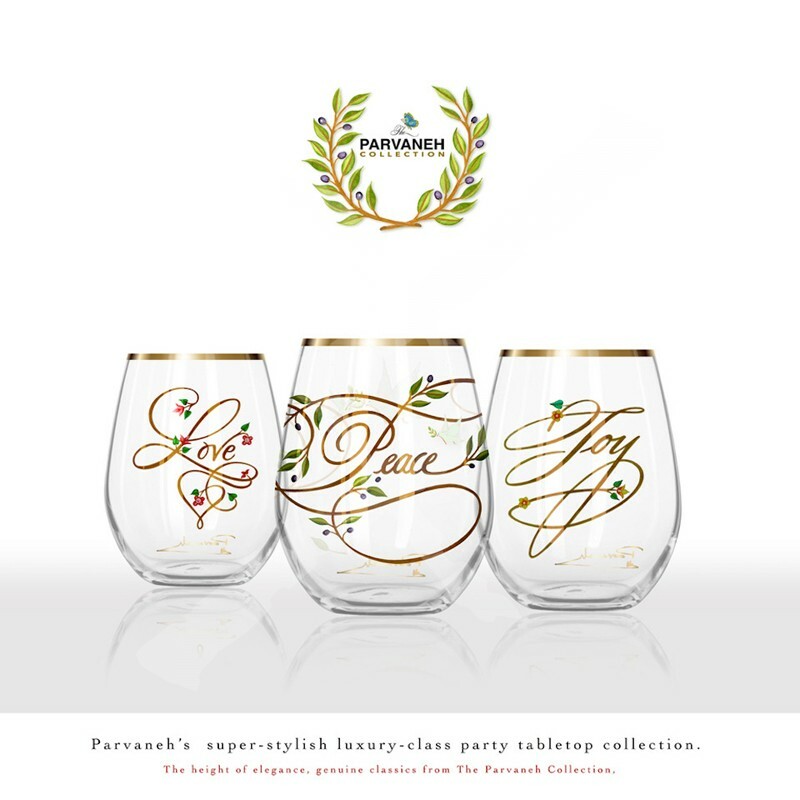 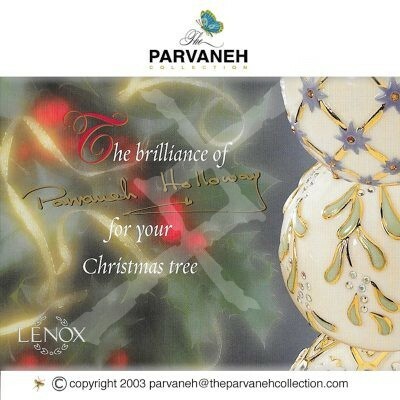 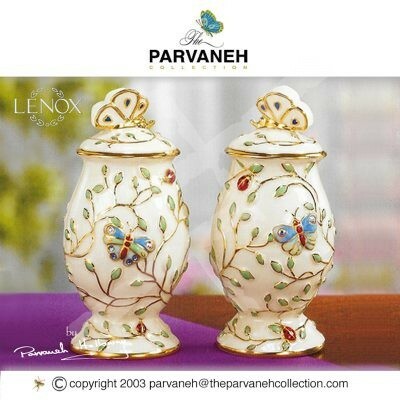 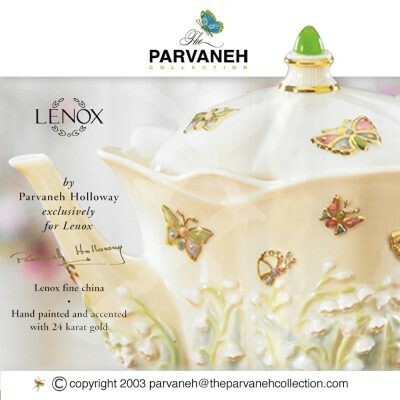 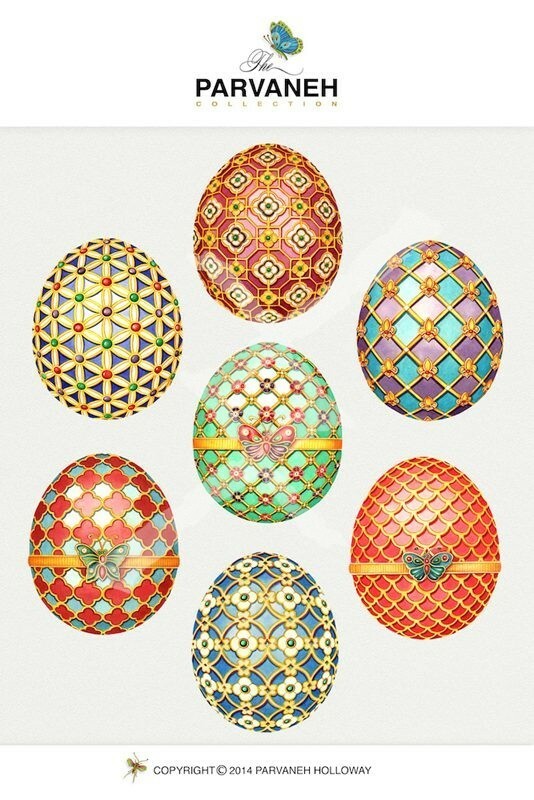 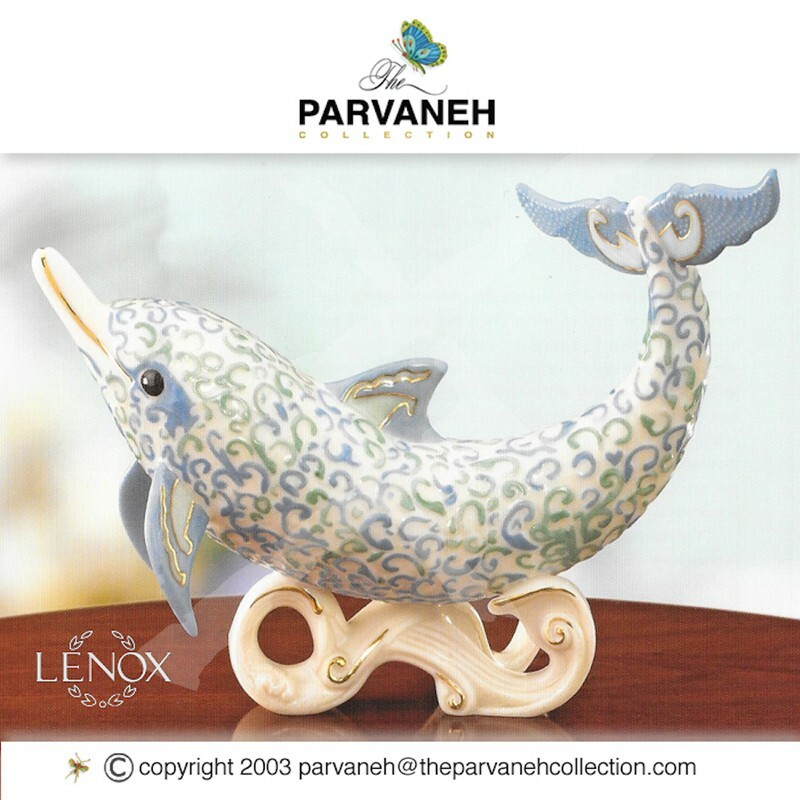 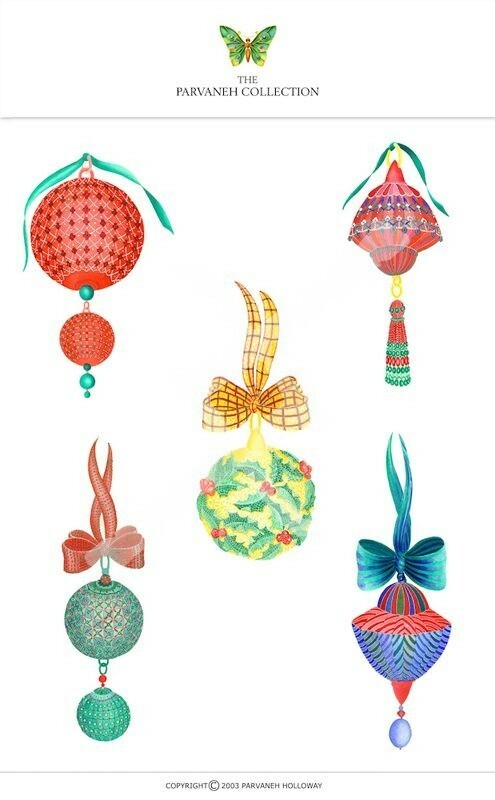 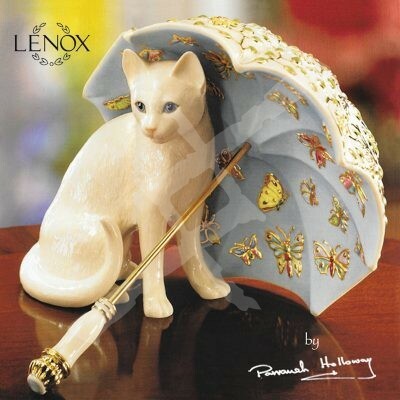 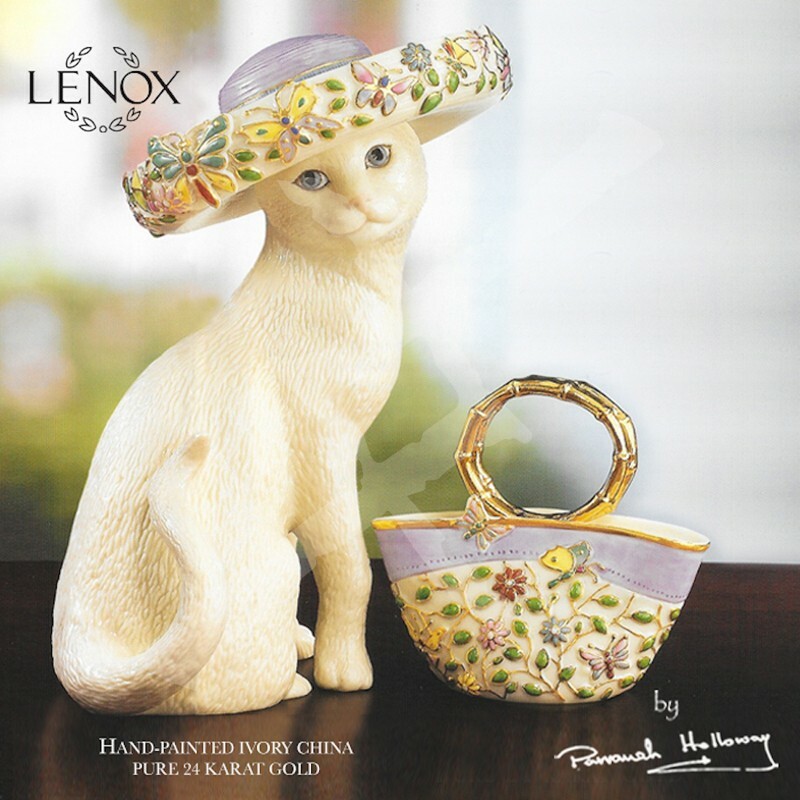 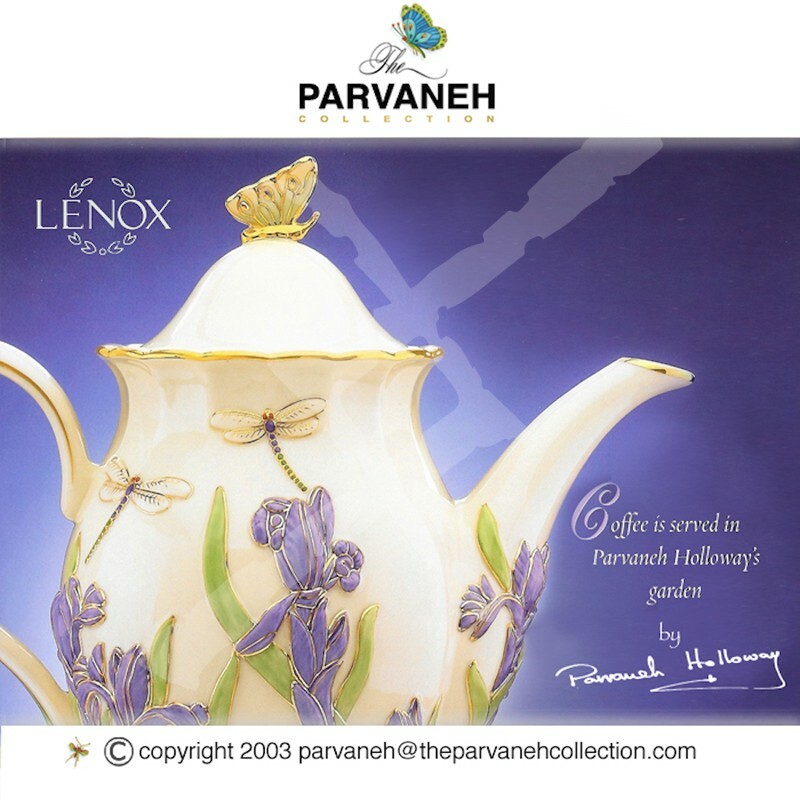 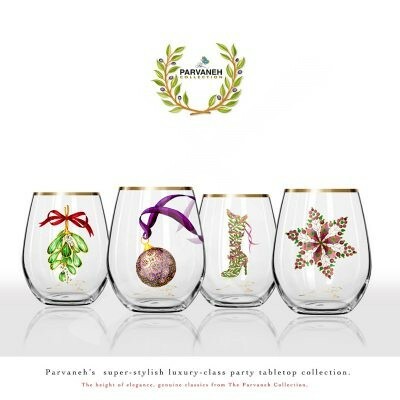 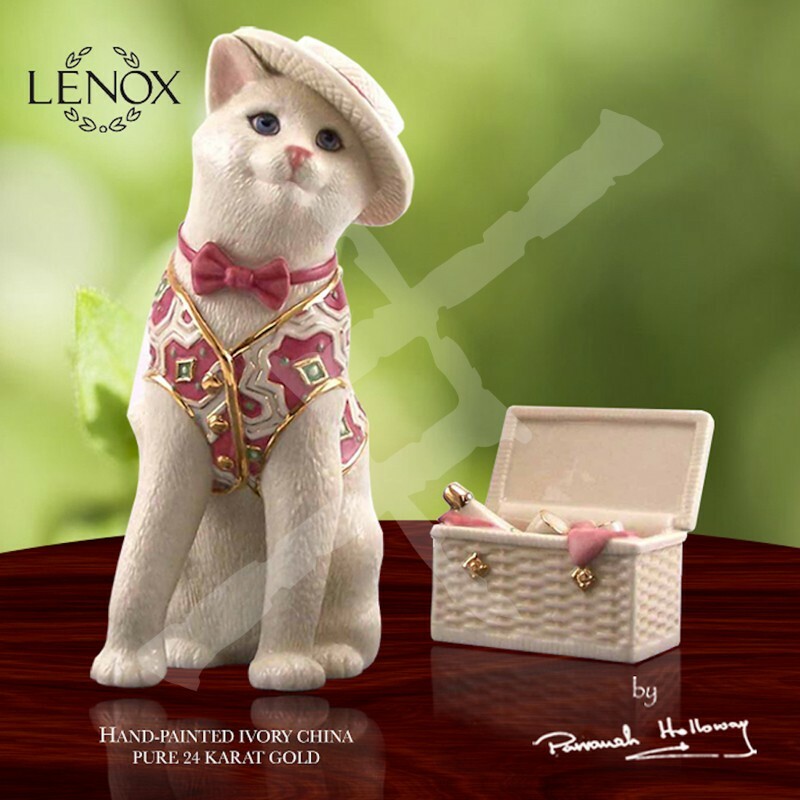 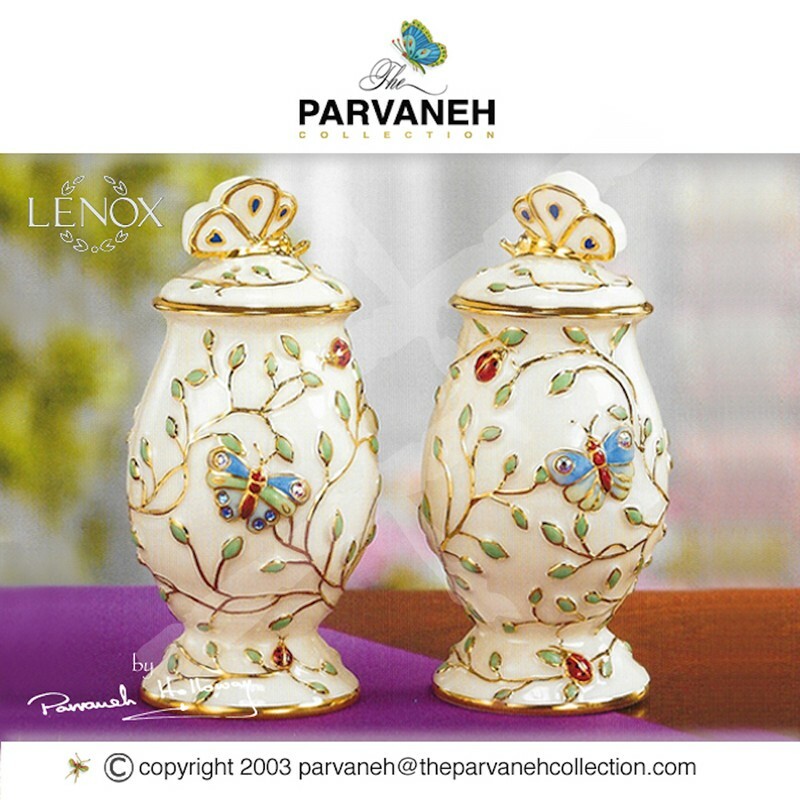 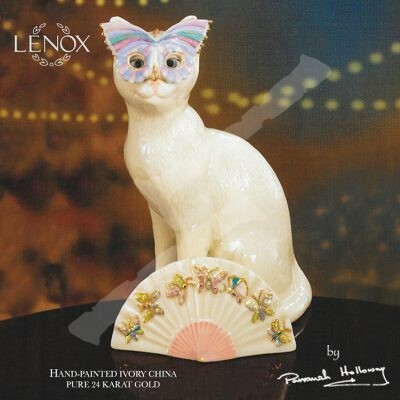 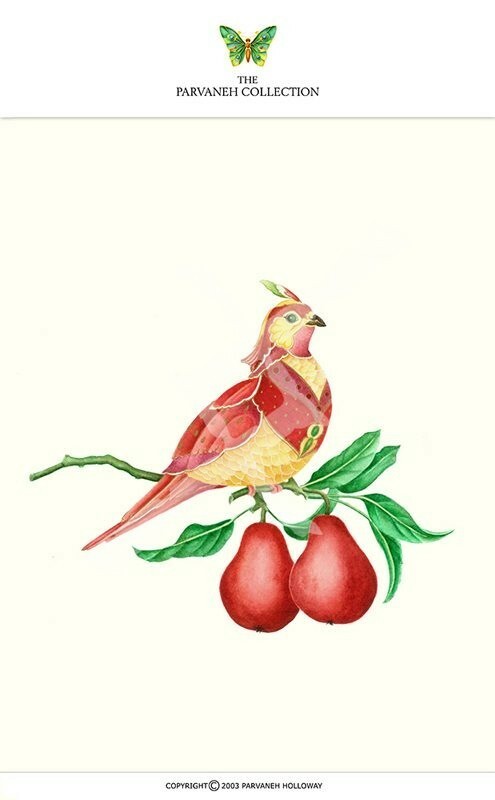 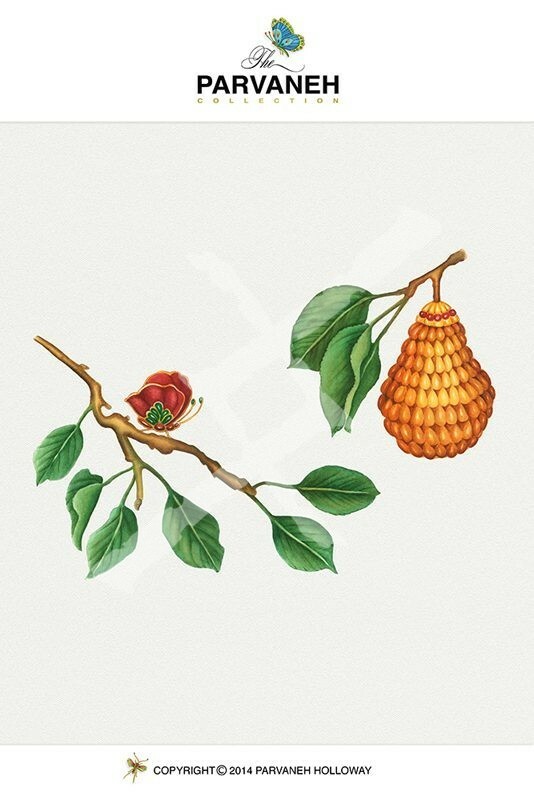 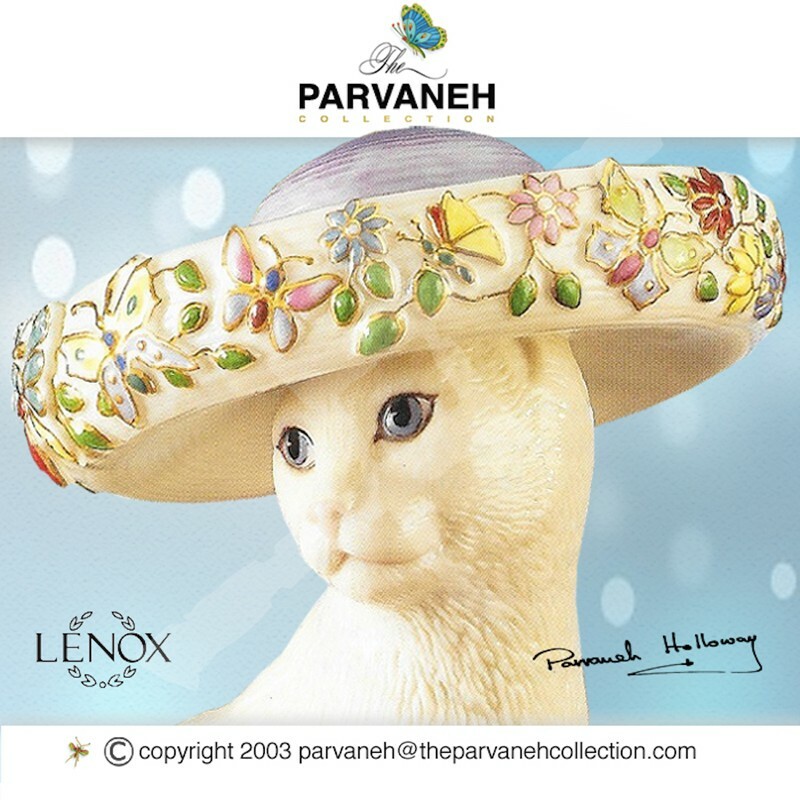 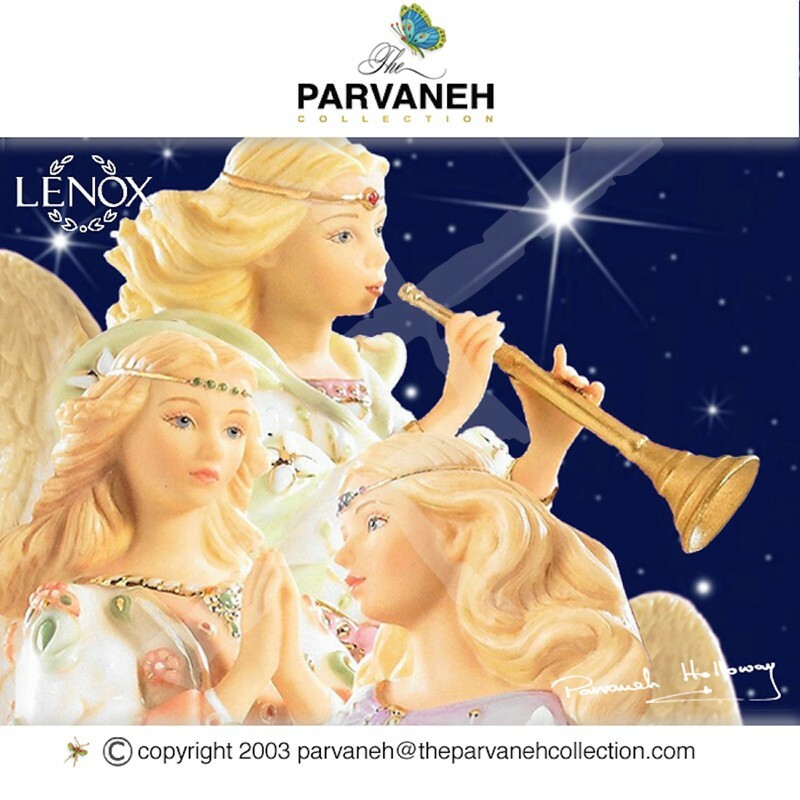 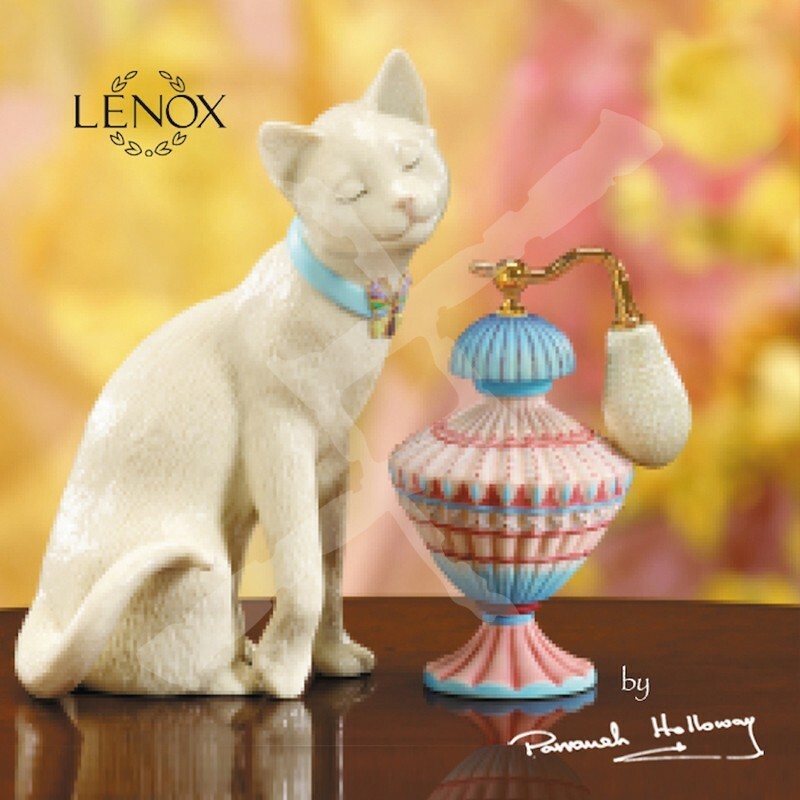 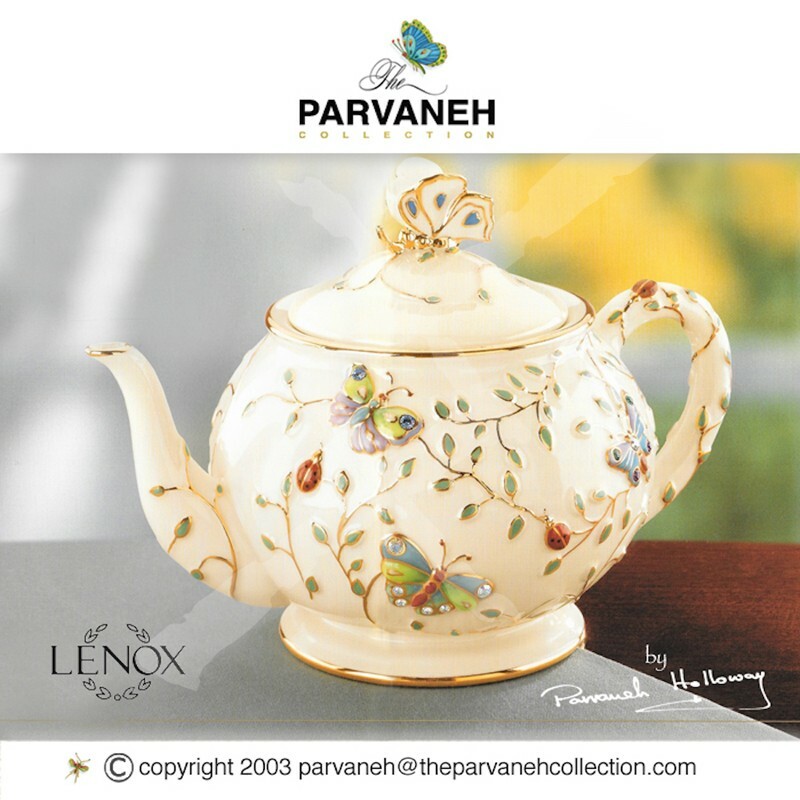 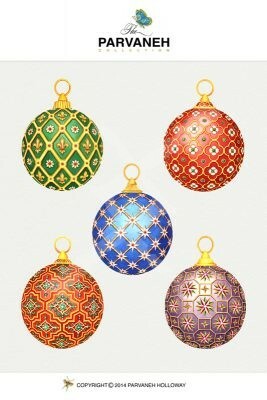 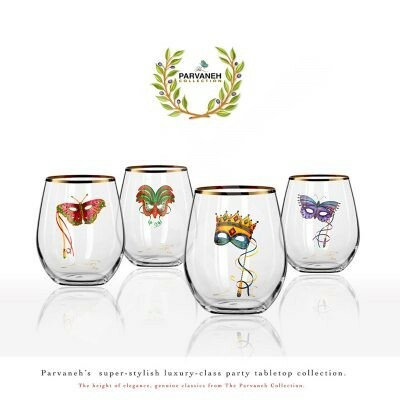 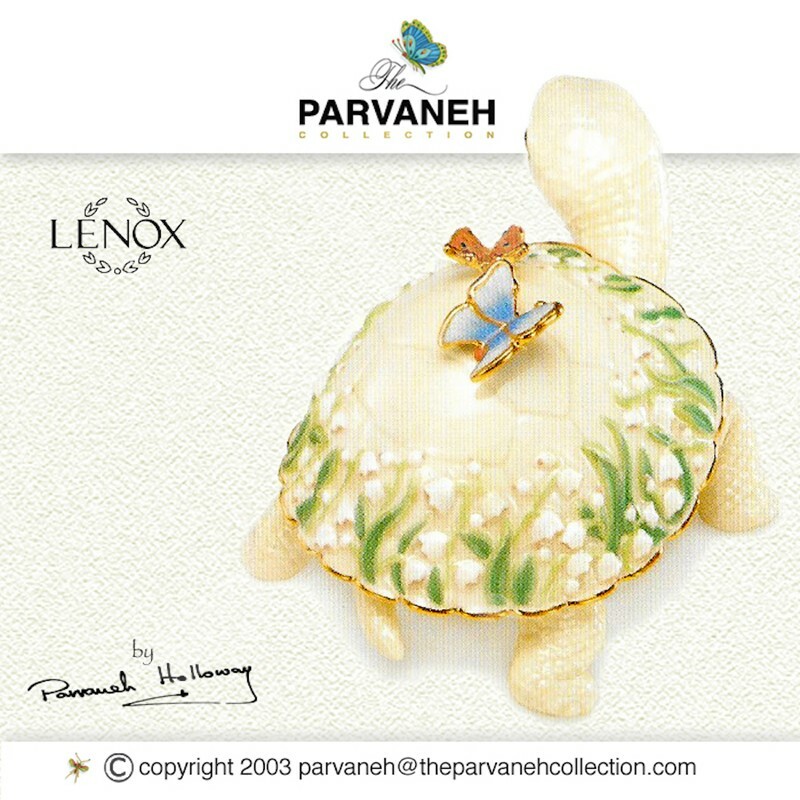 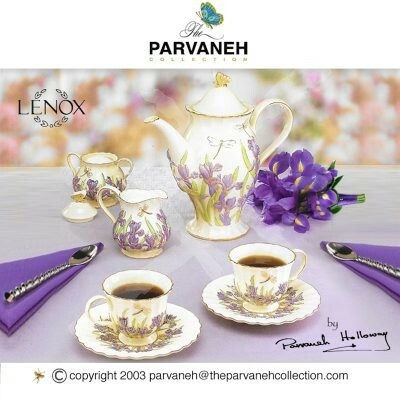 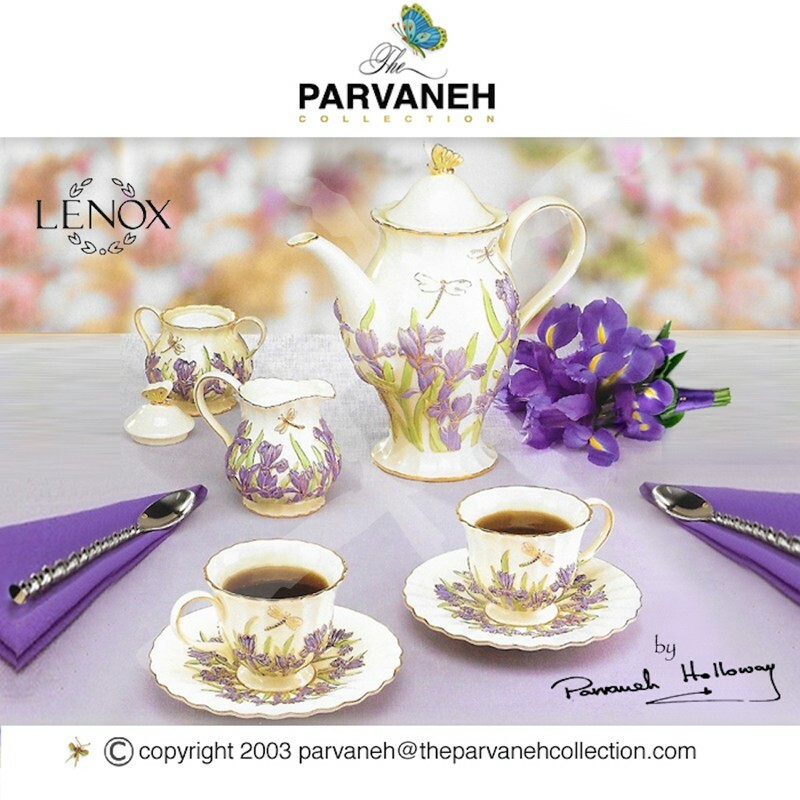 Lenox has collaborated with Parvaneh to design several collections of decorative gifts and tableware and featured her work on many of their catalog covers. 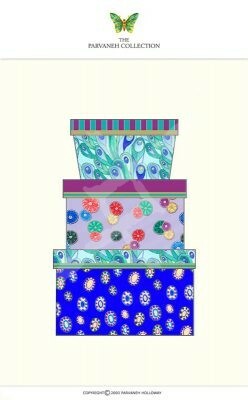 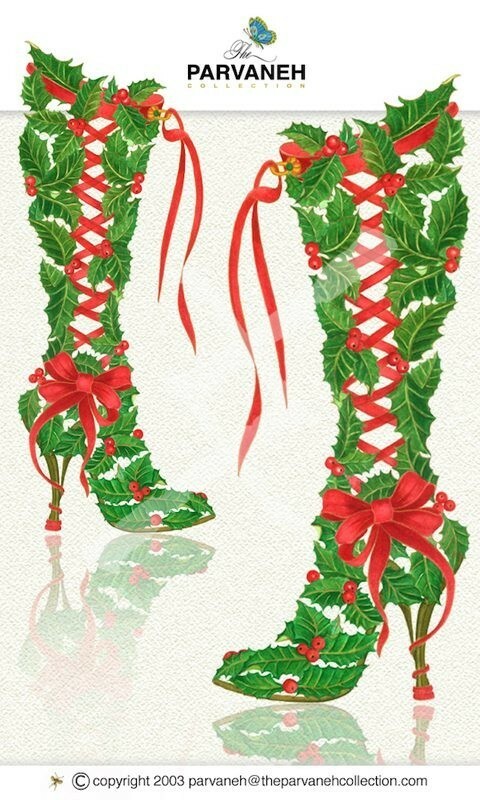 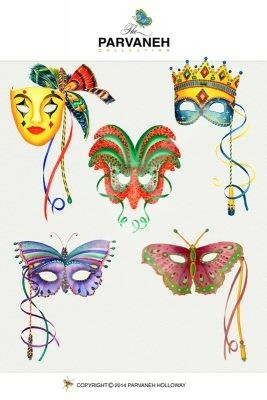 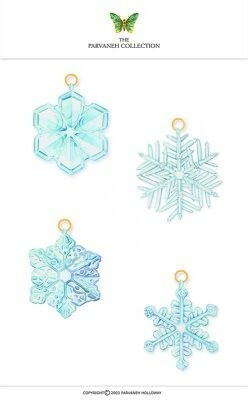 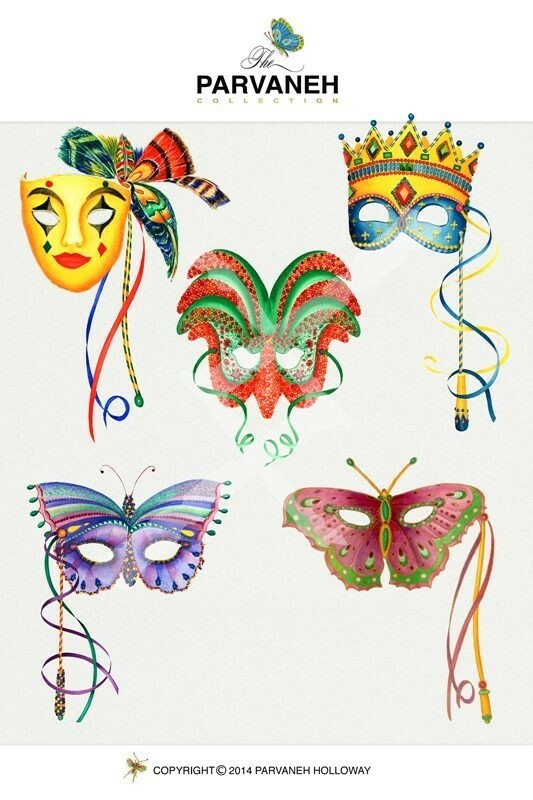 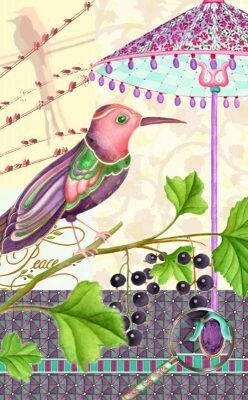 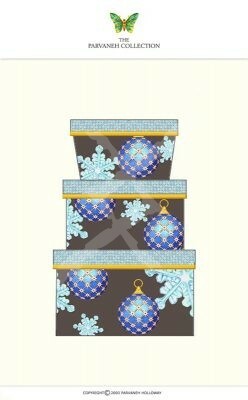 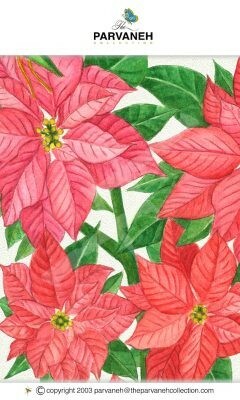 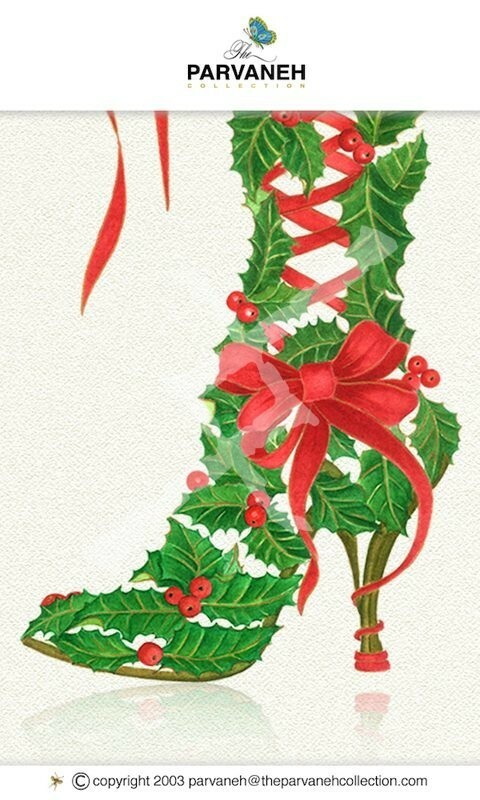 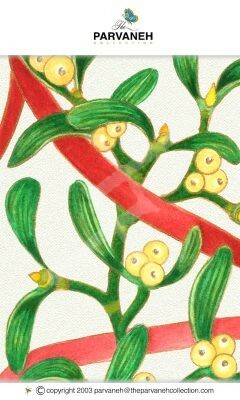 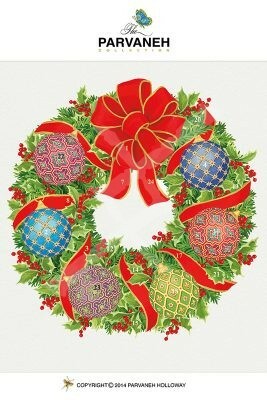 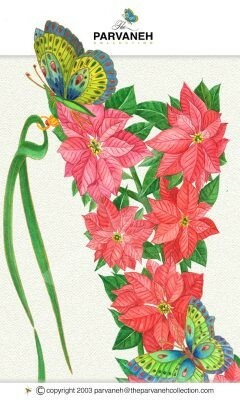 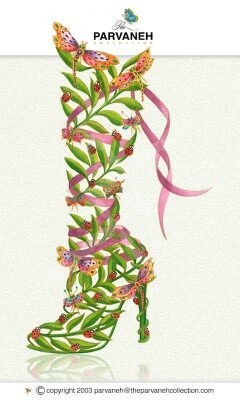 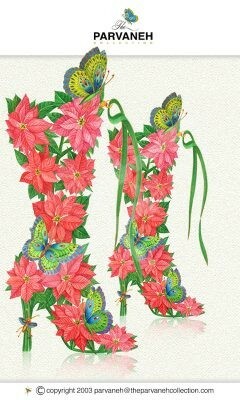 Her designs have also been licensed by well-known companies Kurt Adler, Cranston Fabrics, Lady Clare, Toland, and Art Evolution. 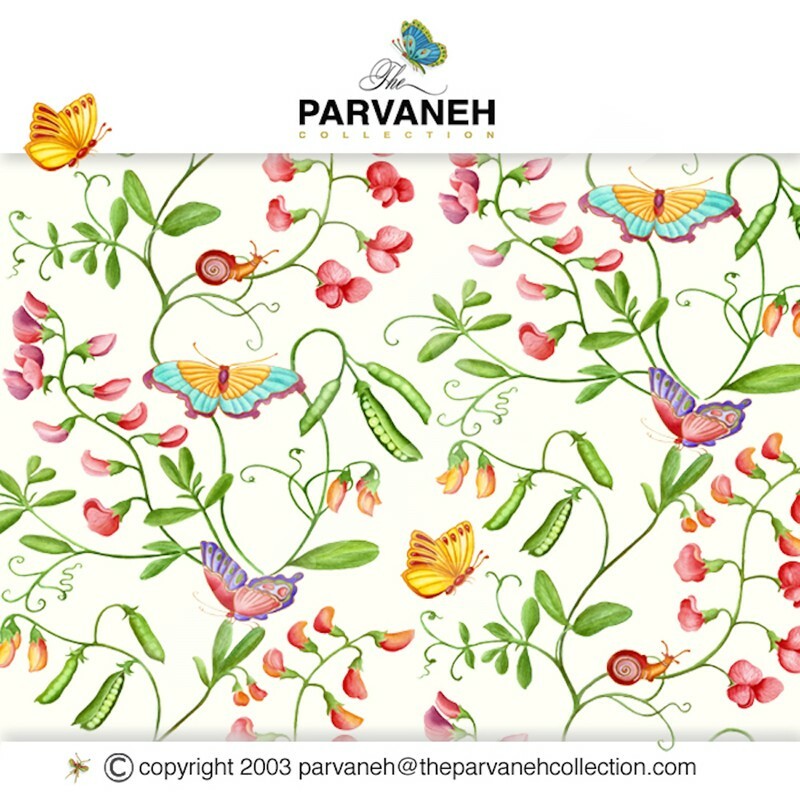 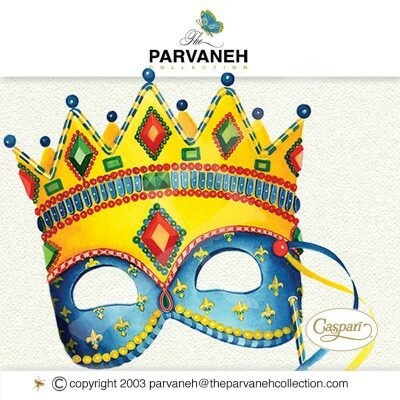 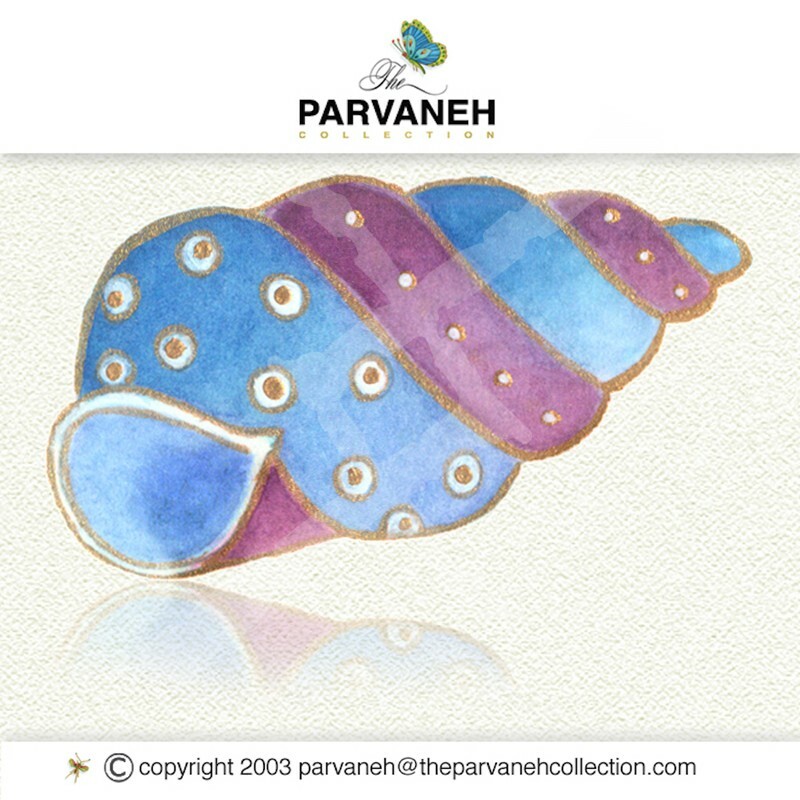 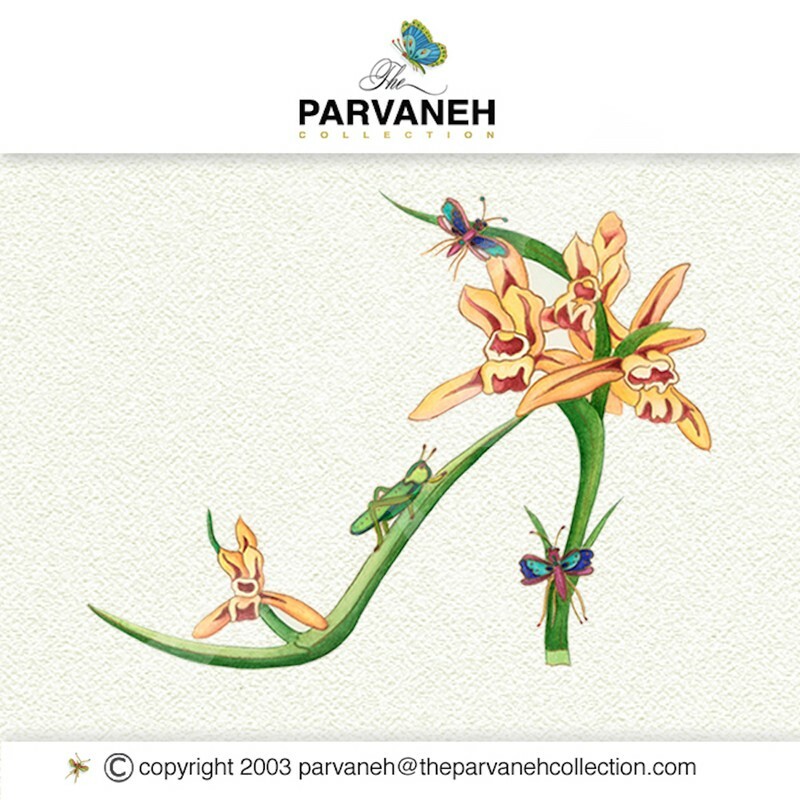 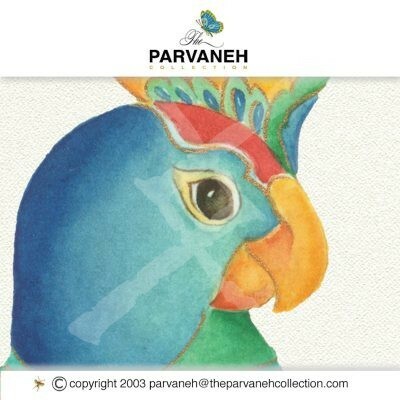 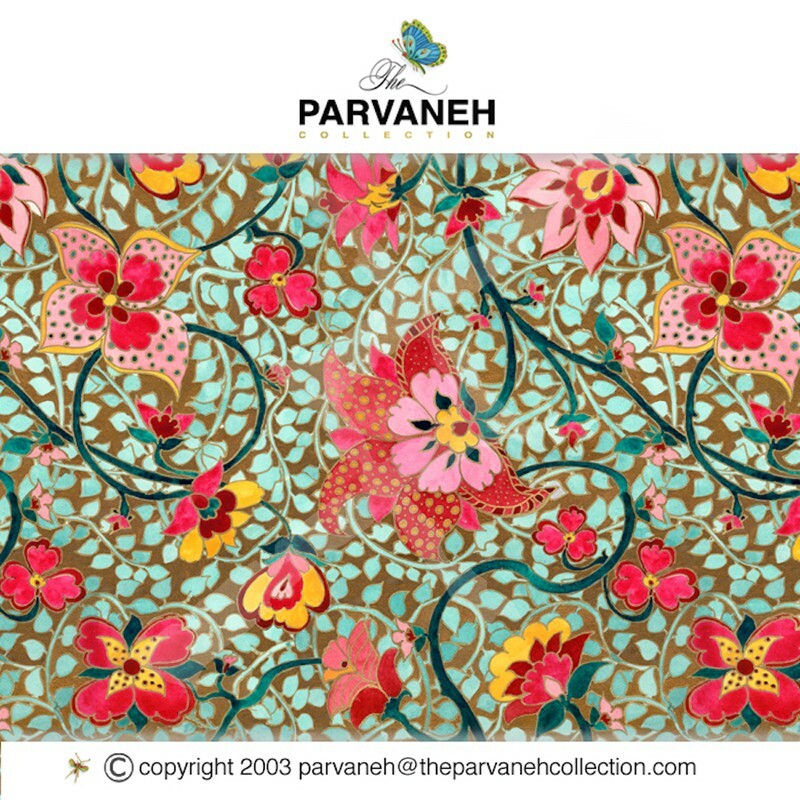 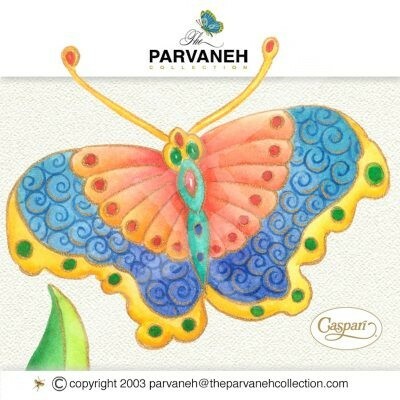 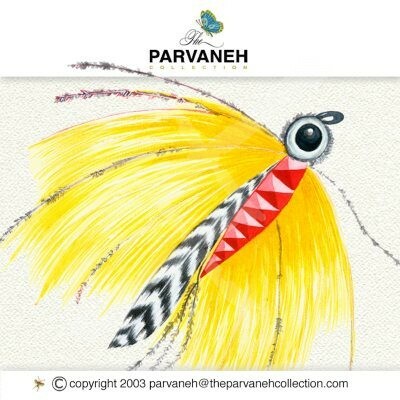 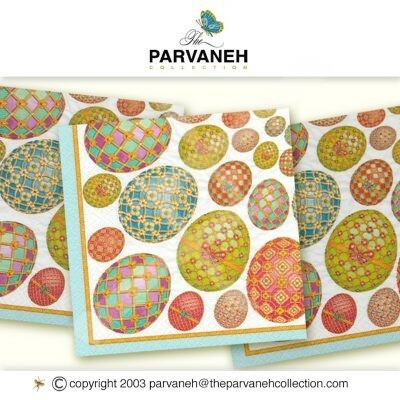 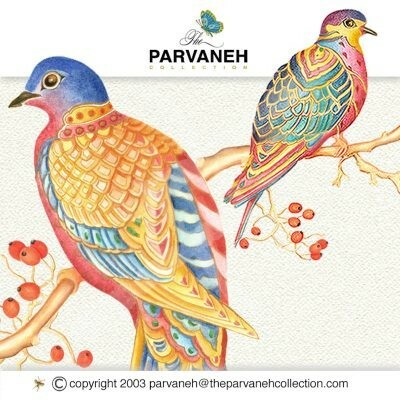 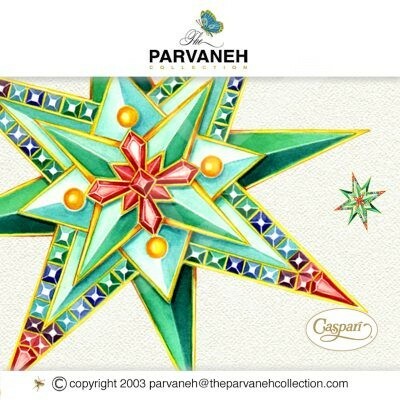 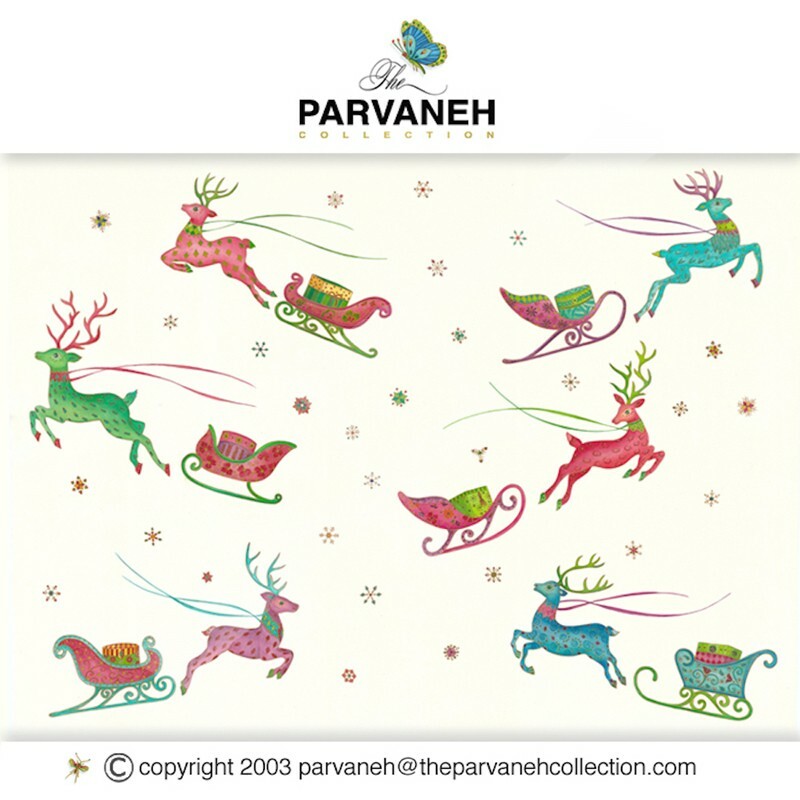 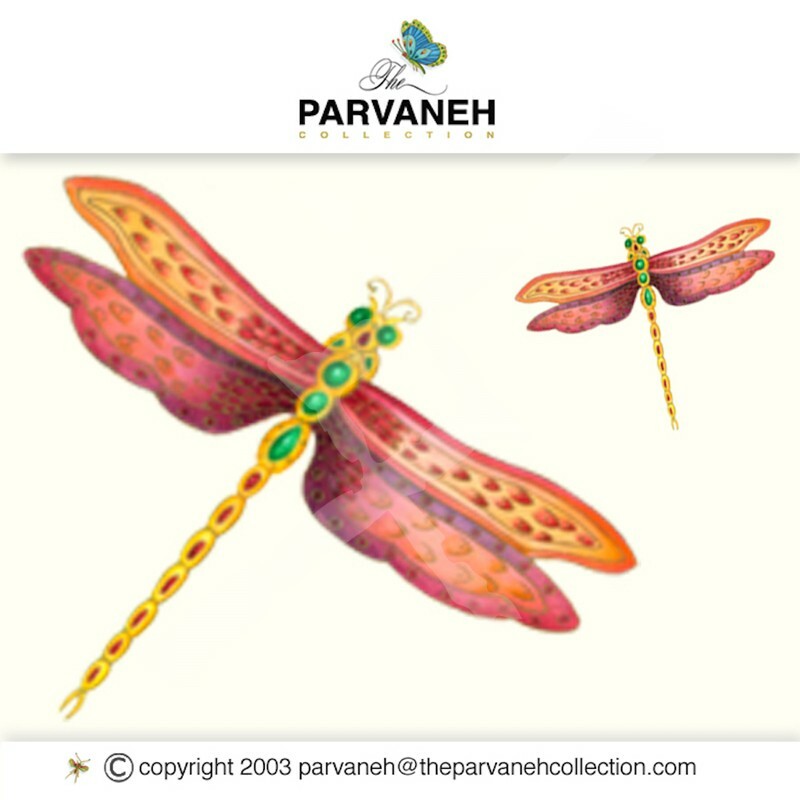 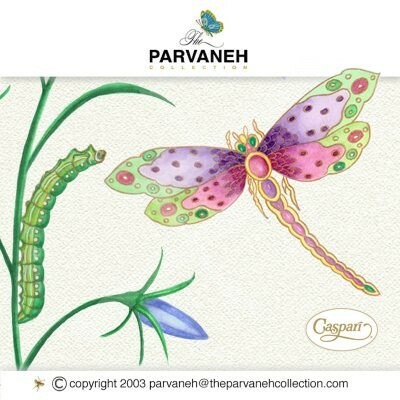 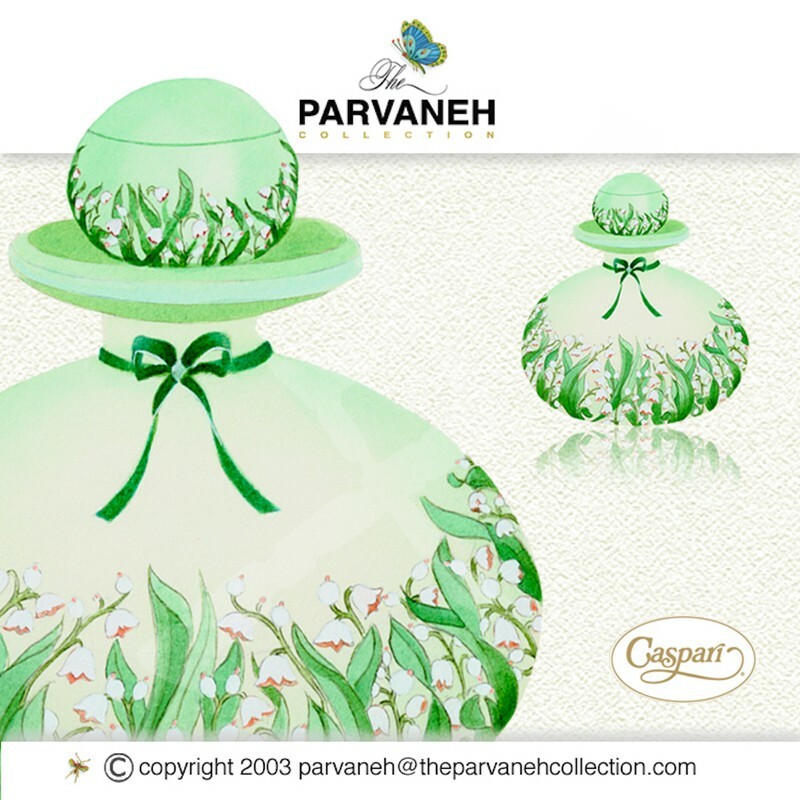 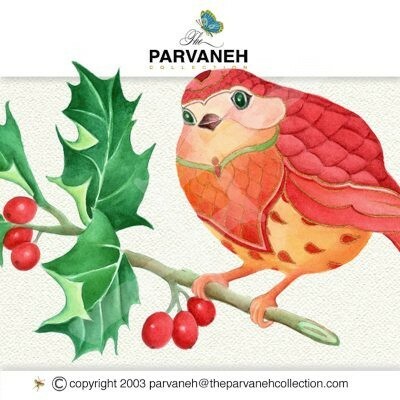 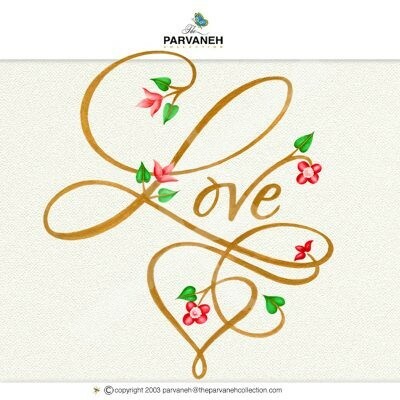 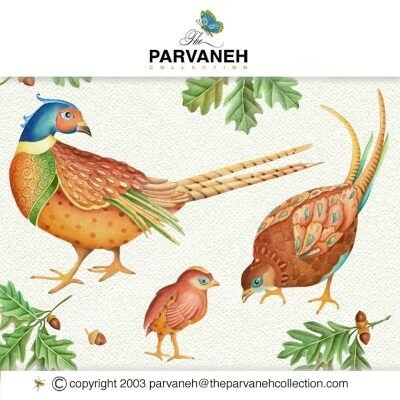 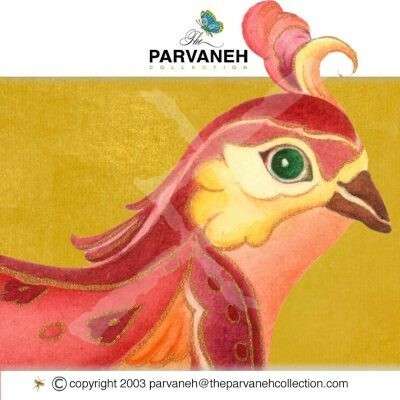 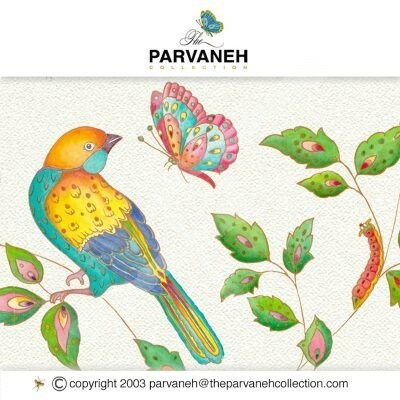 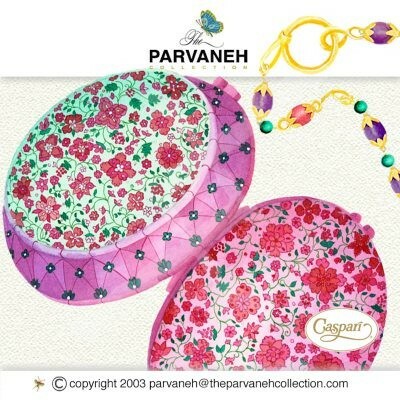 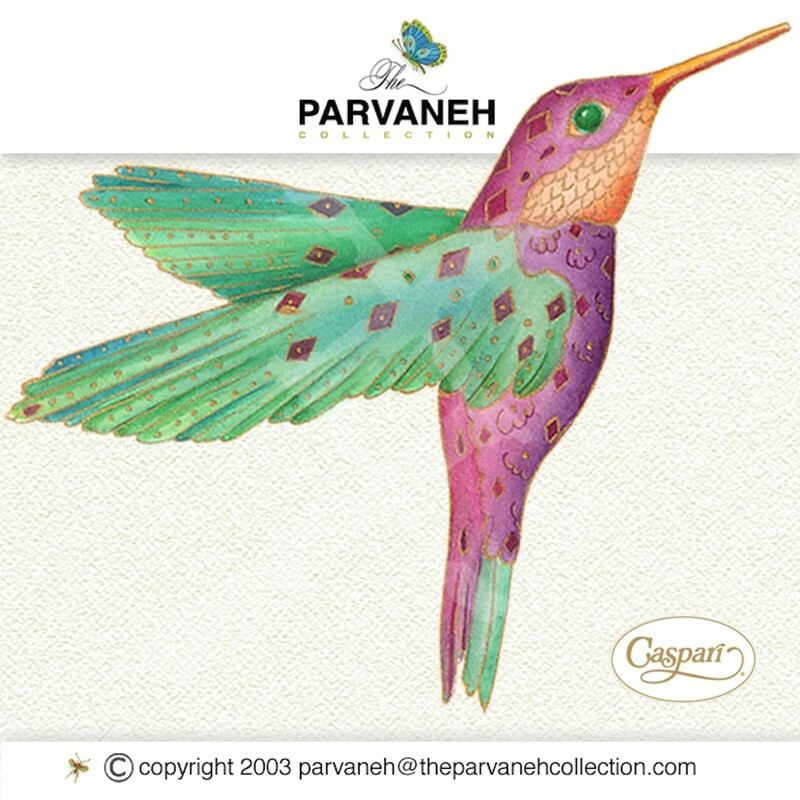 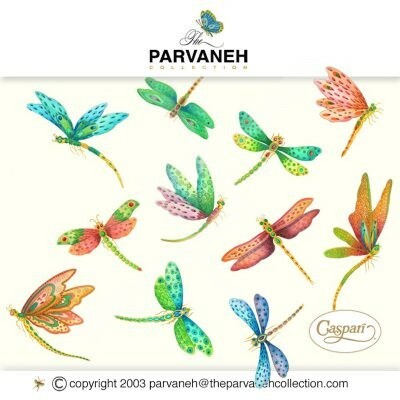 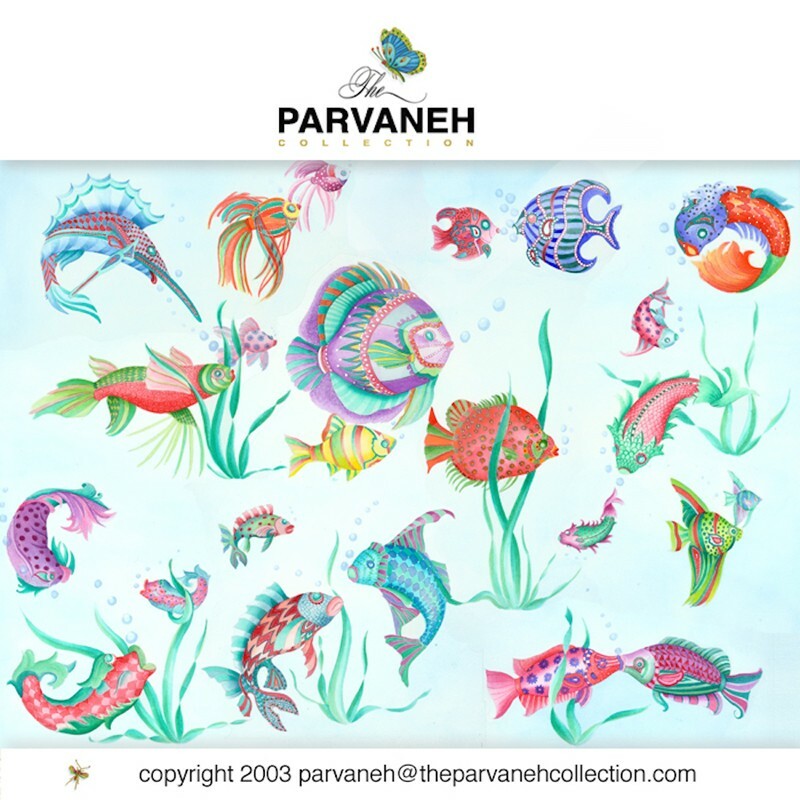 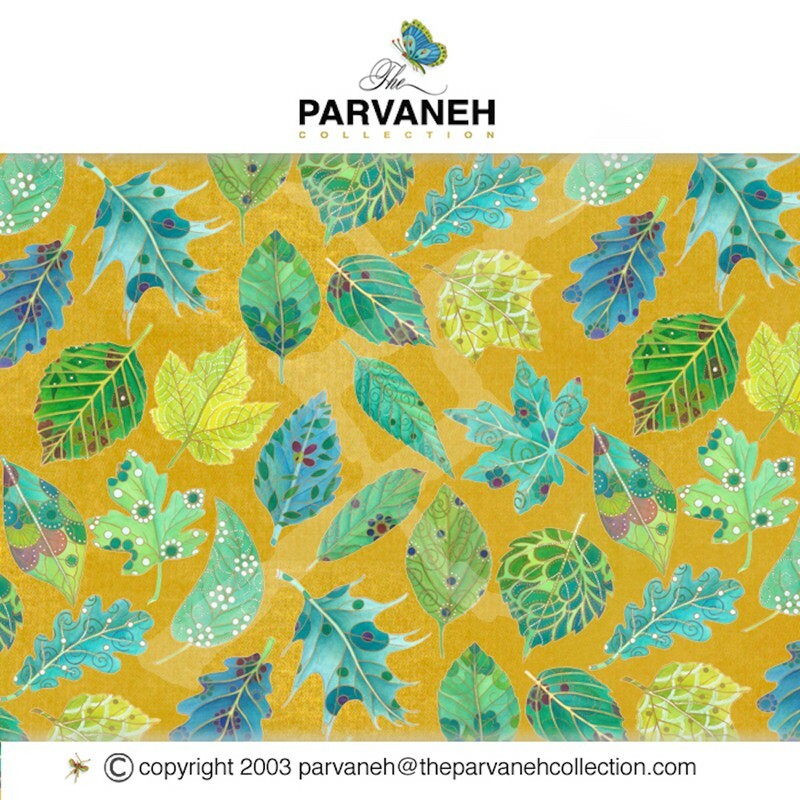 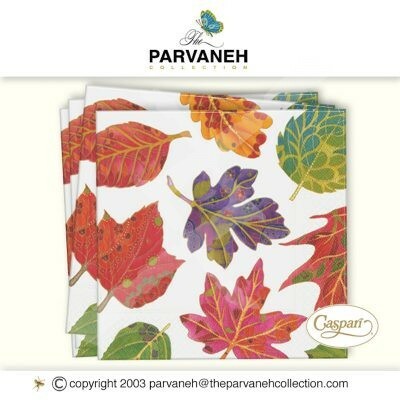 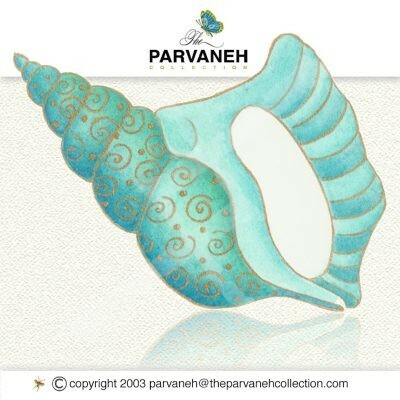 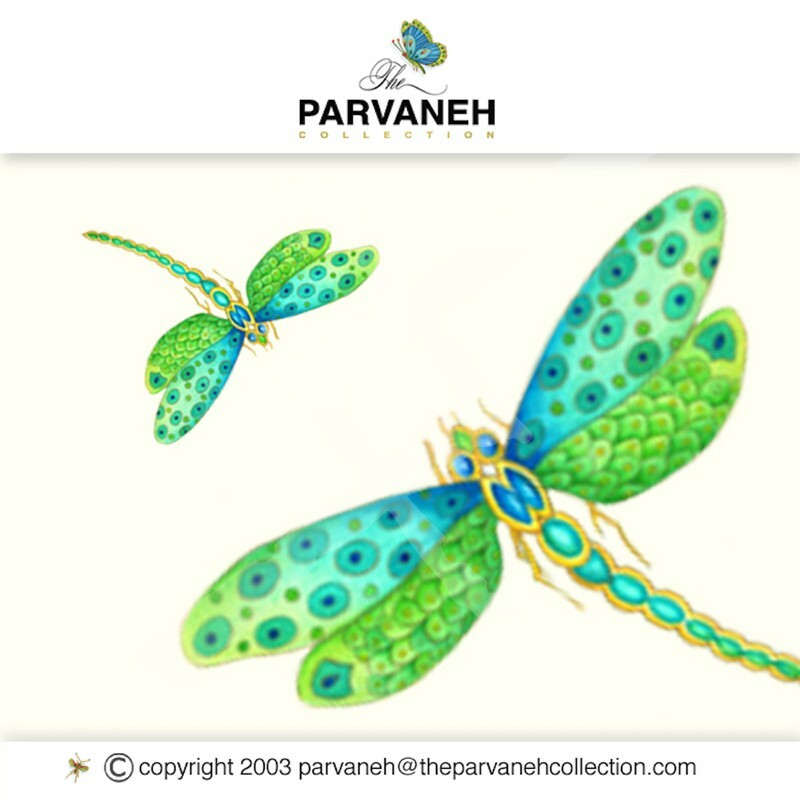 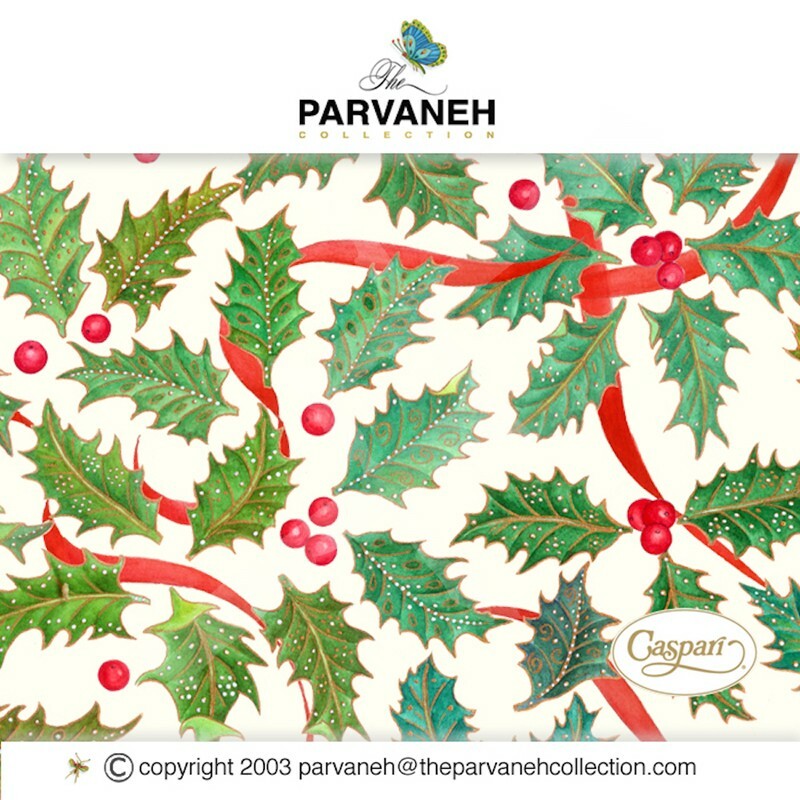 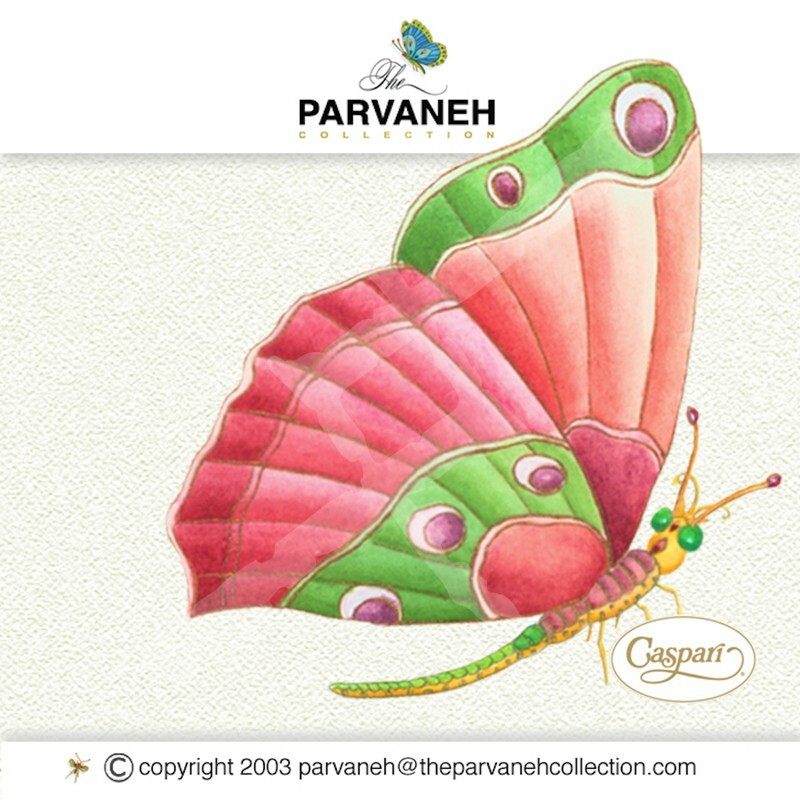 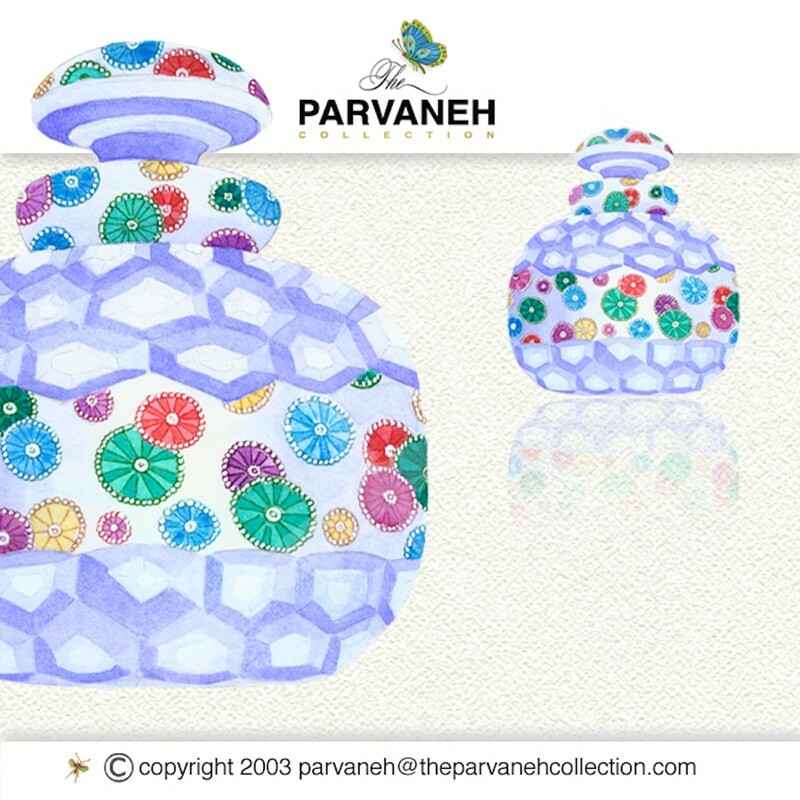 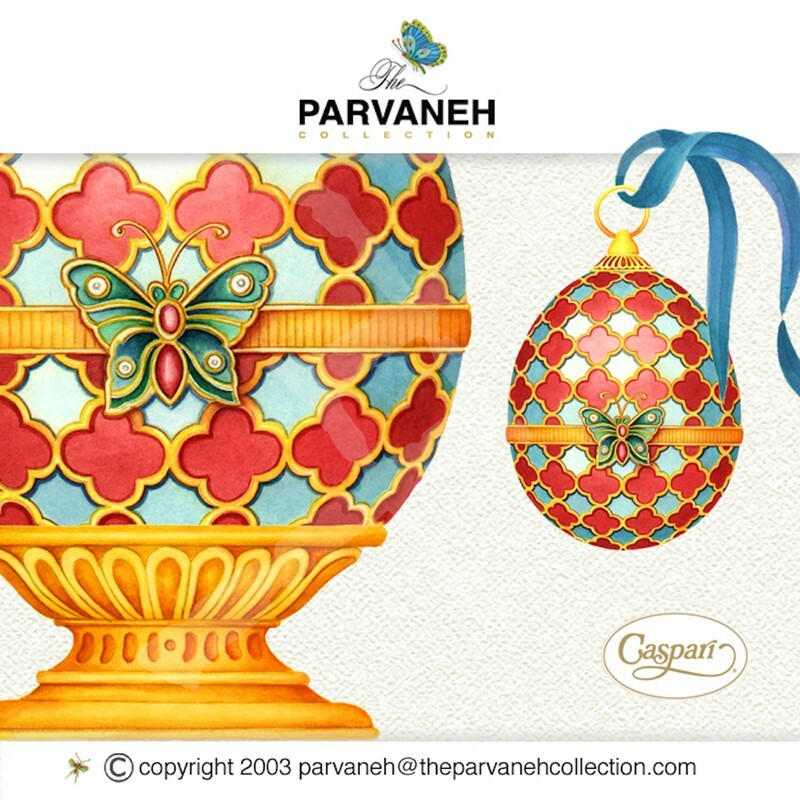 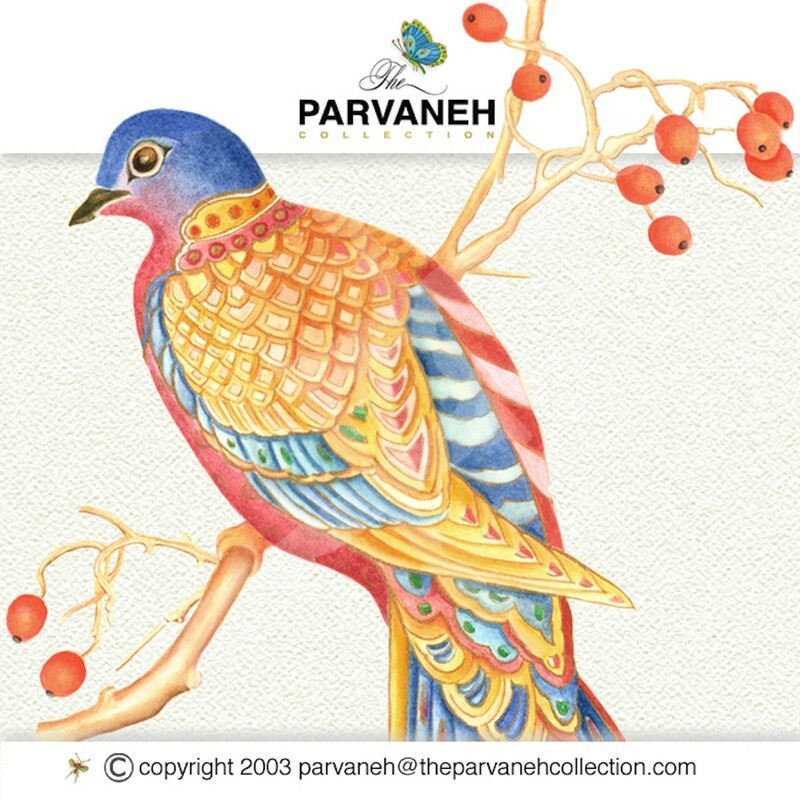 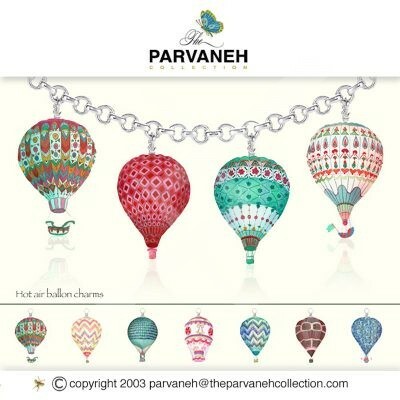 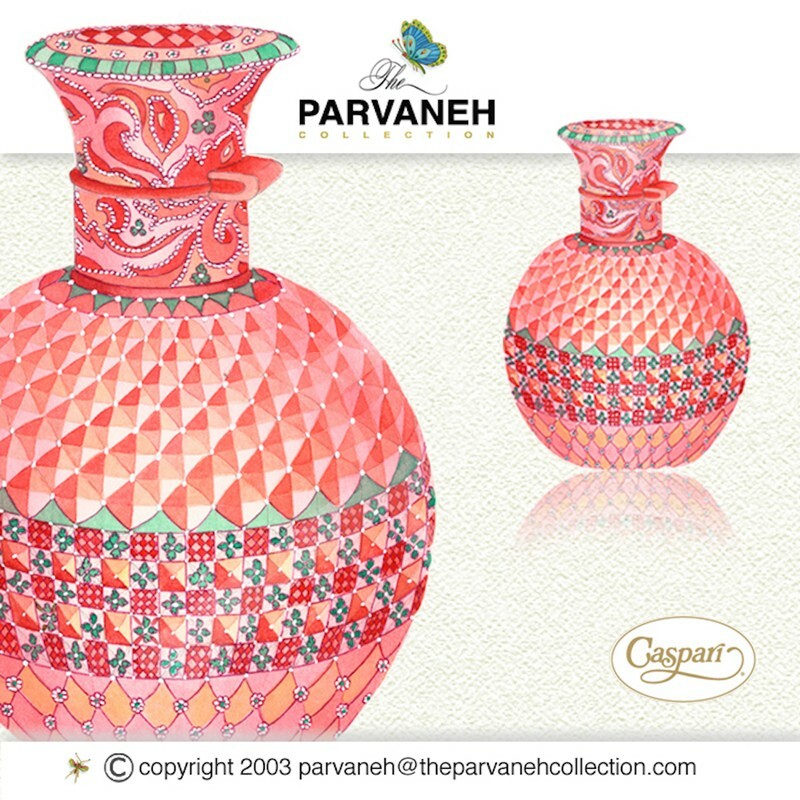 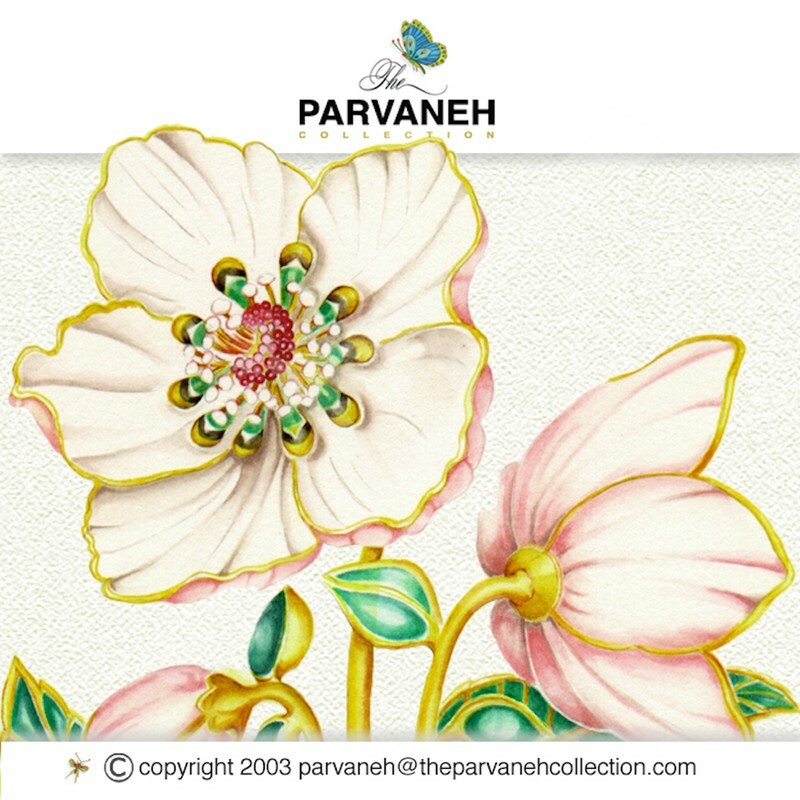 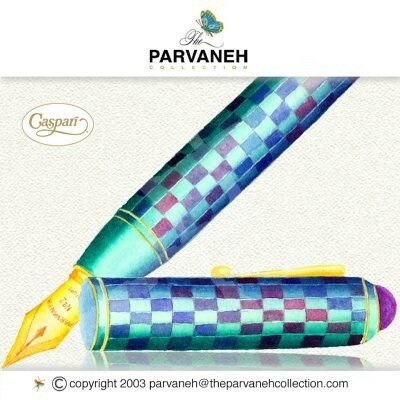 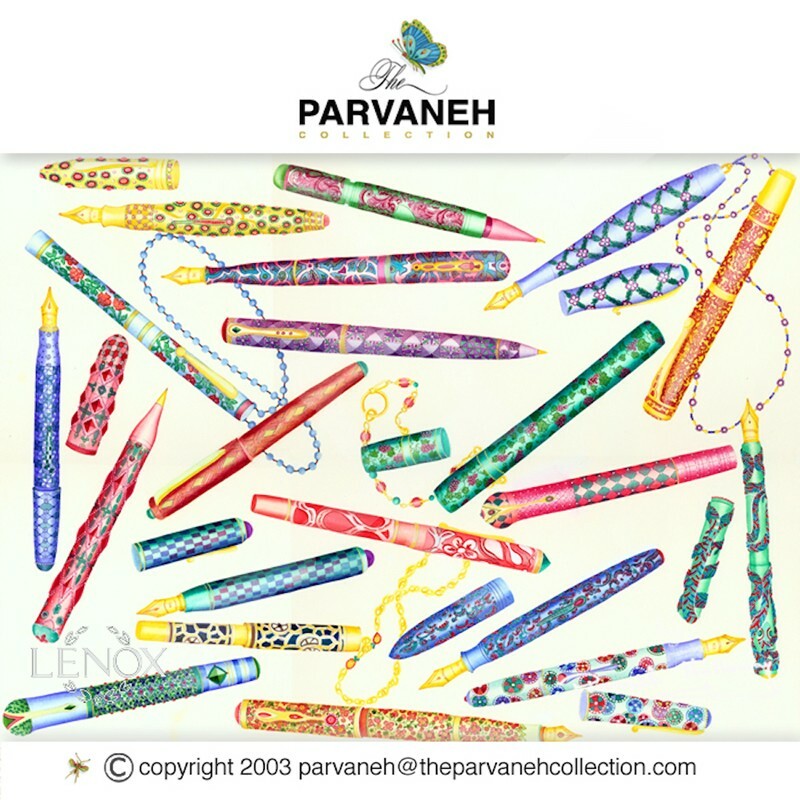 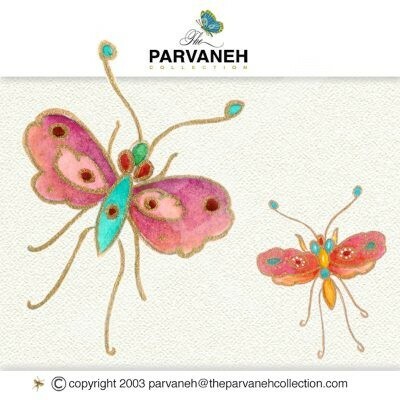 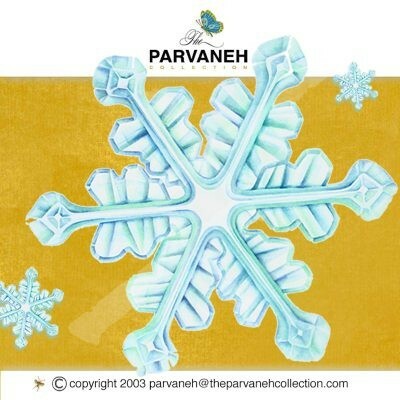 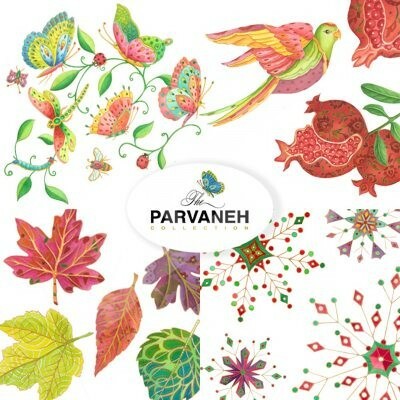 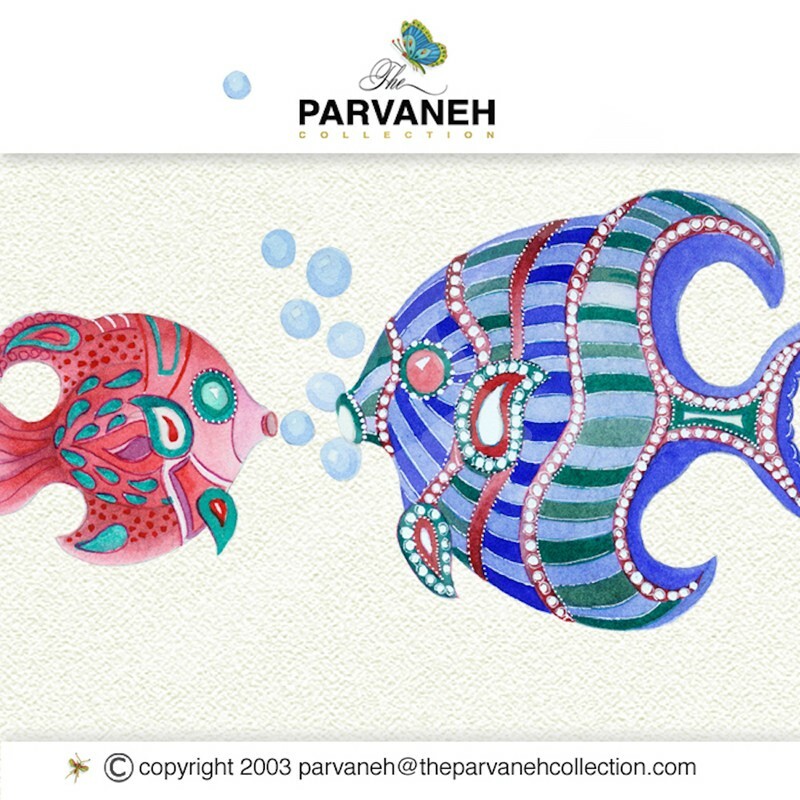 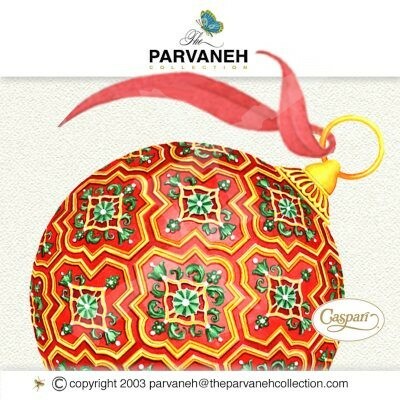 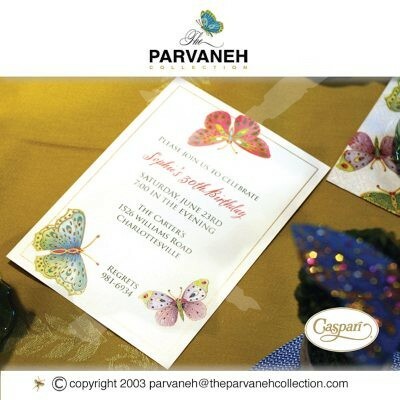 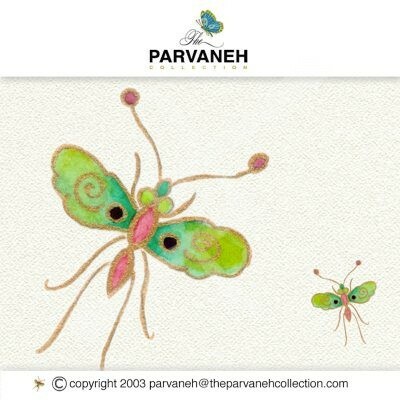 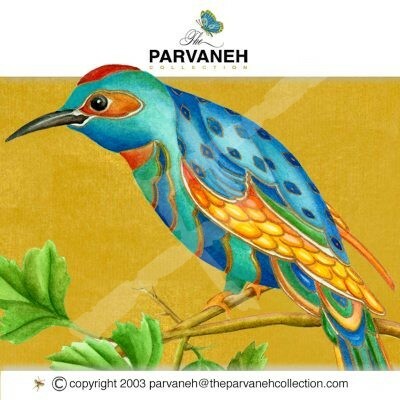 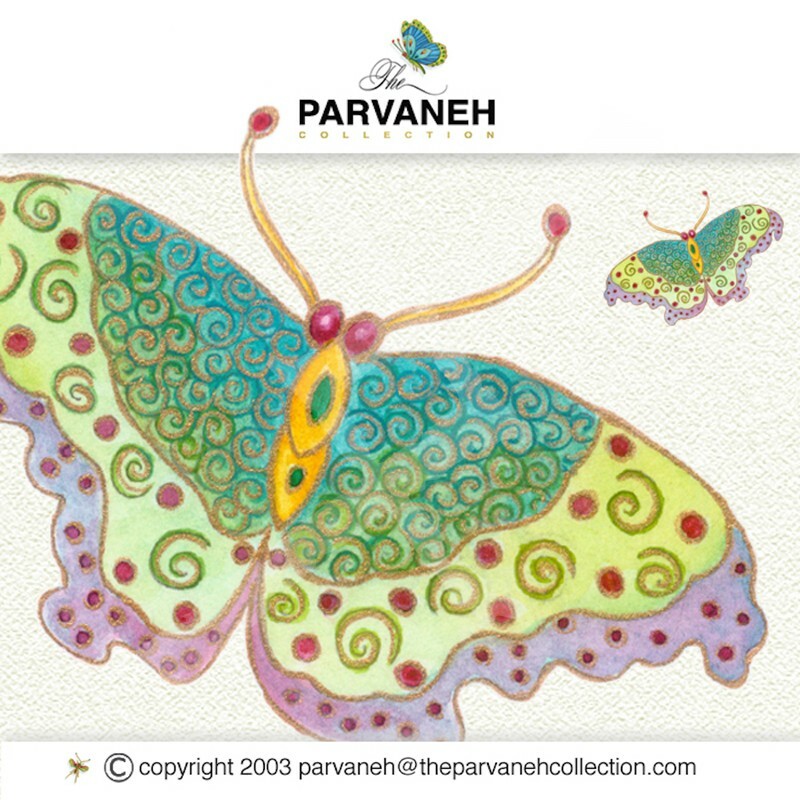 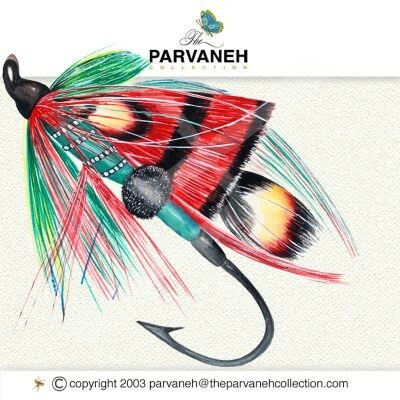 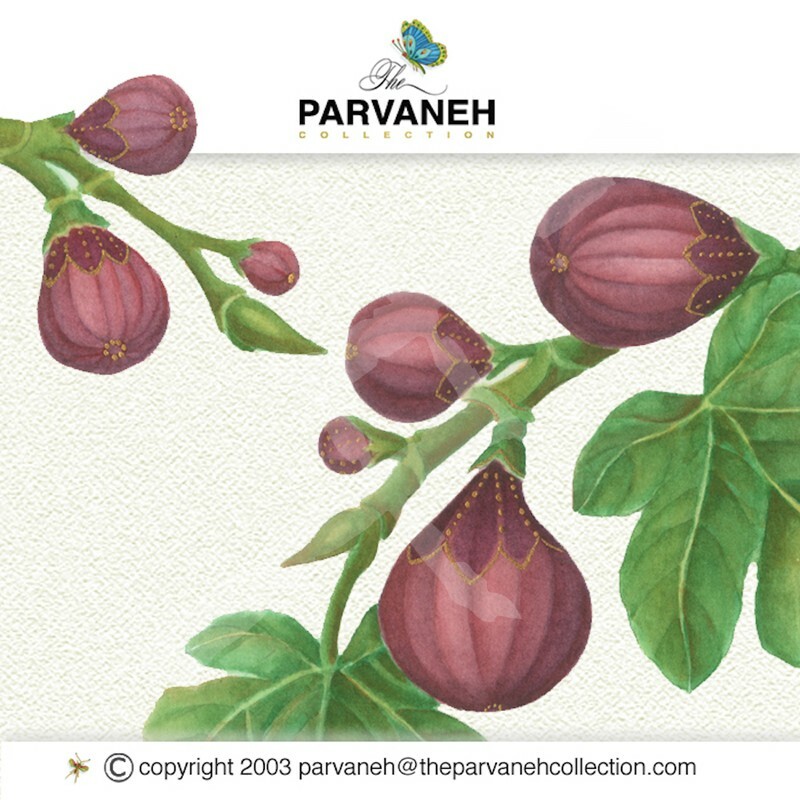 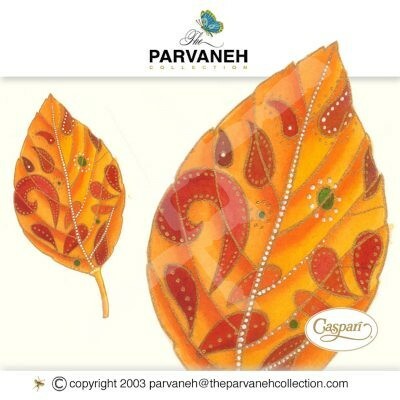 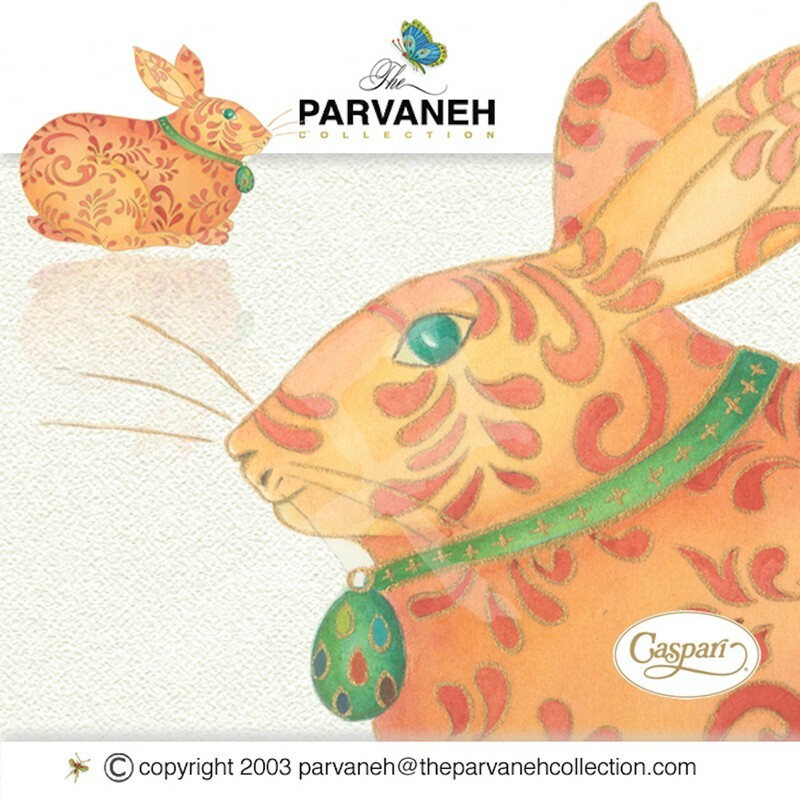 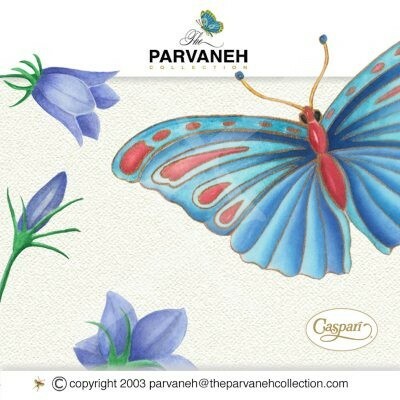 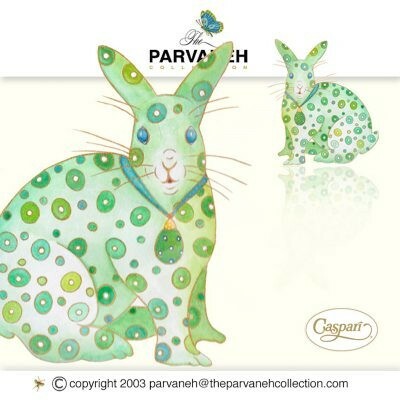 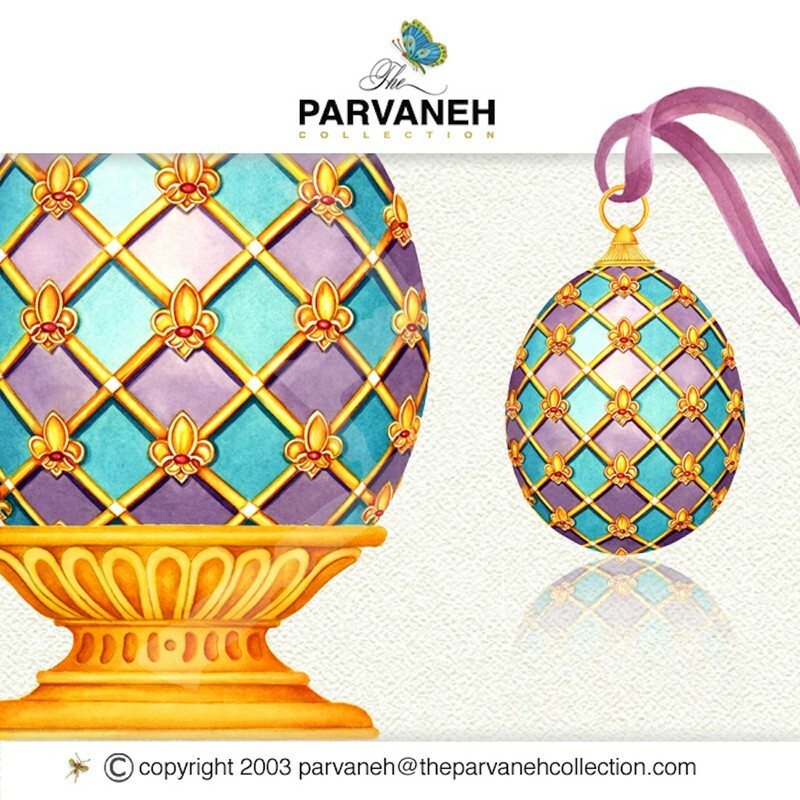 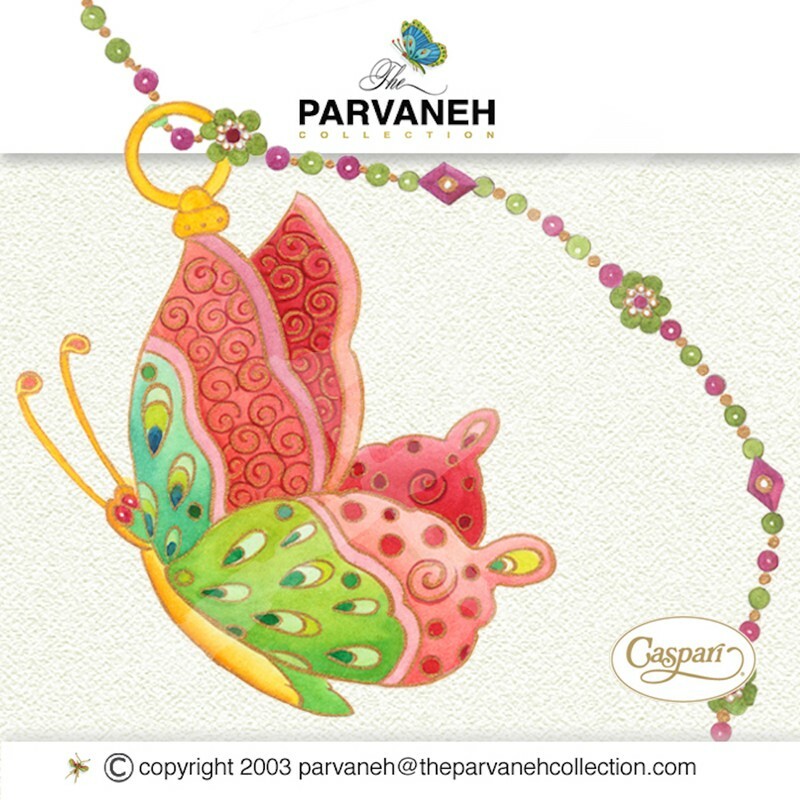 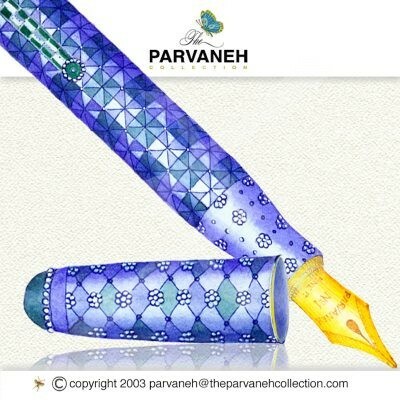 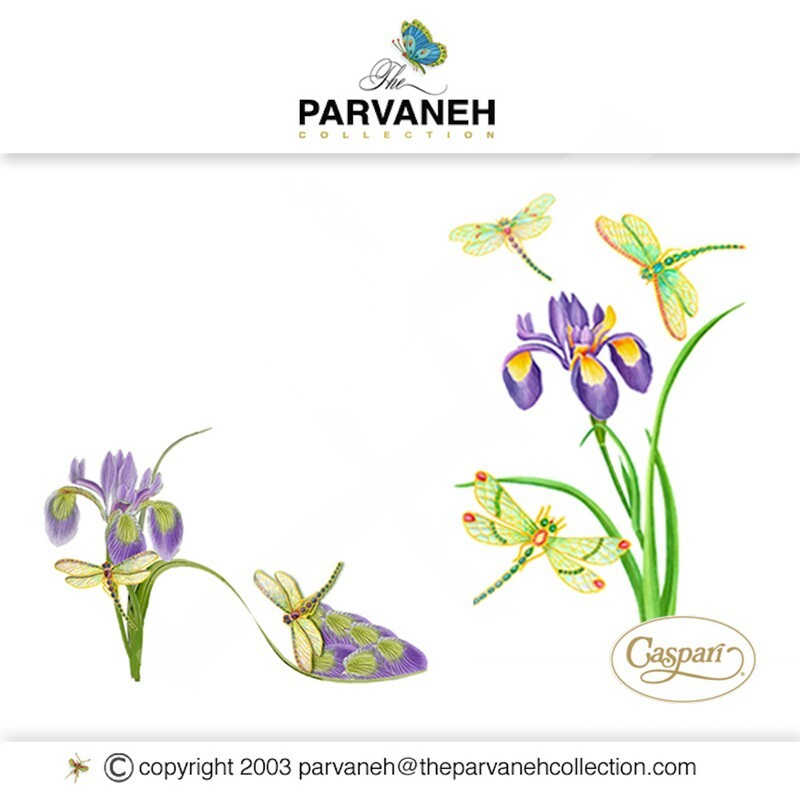 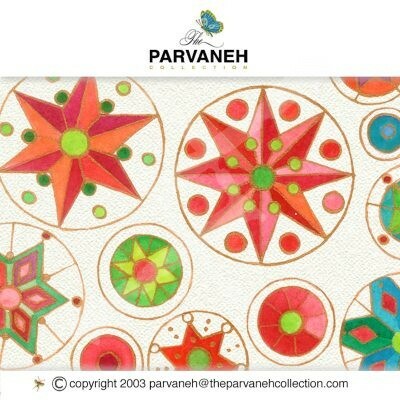 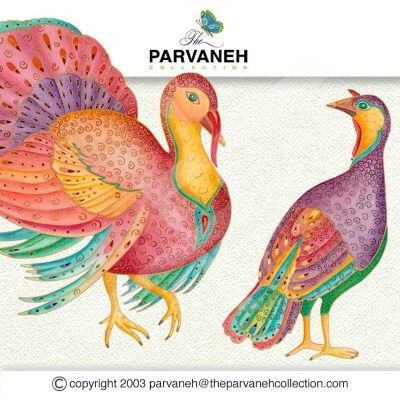 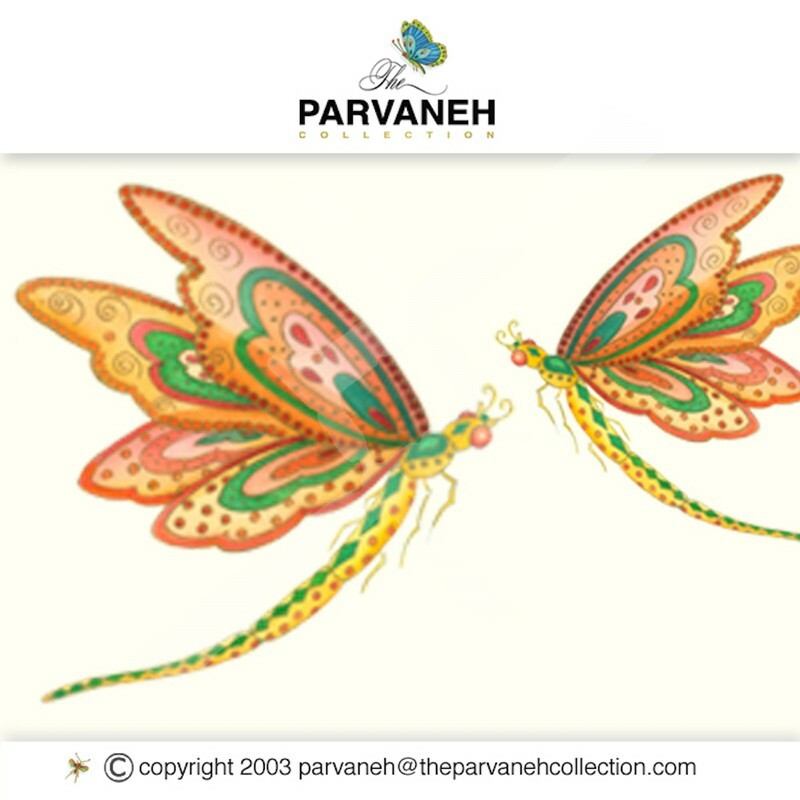 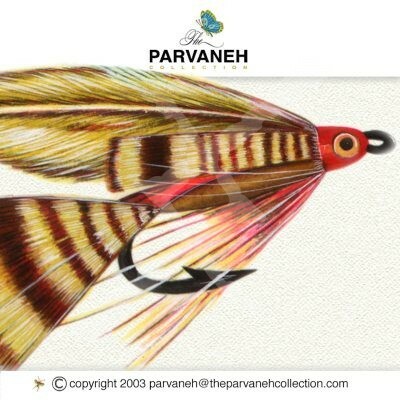 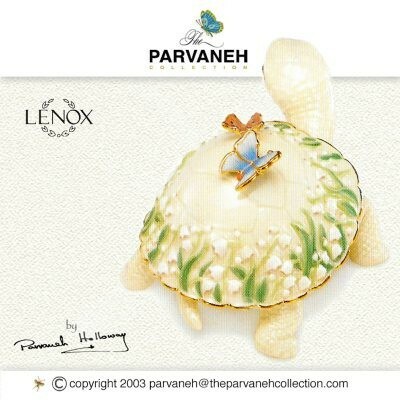 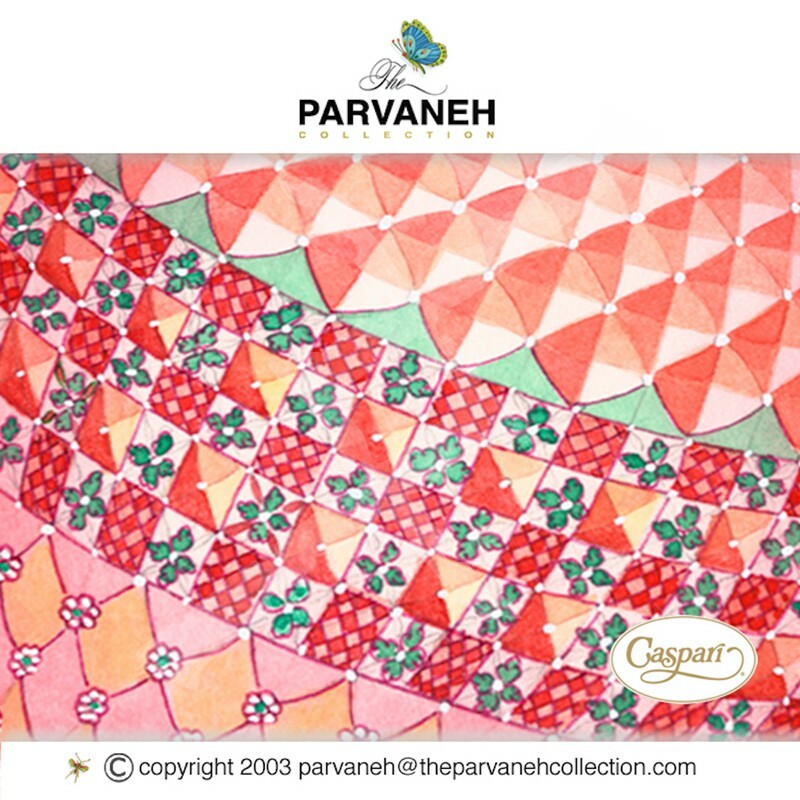 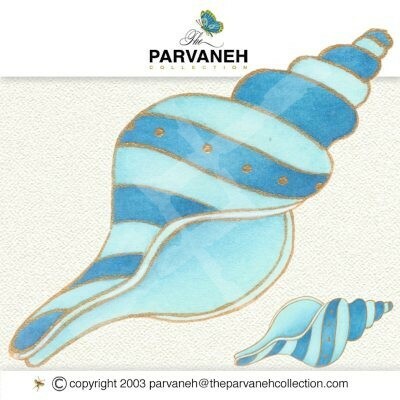 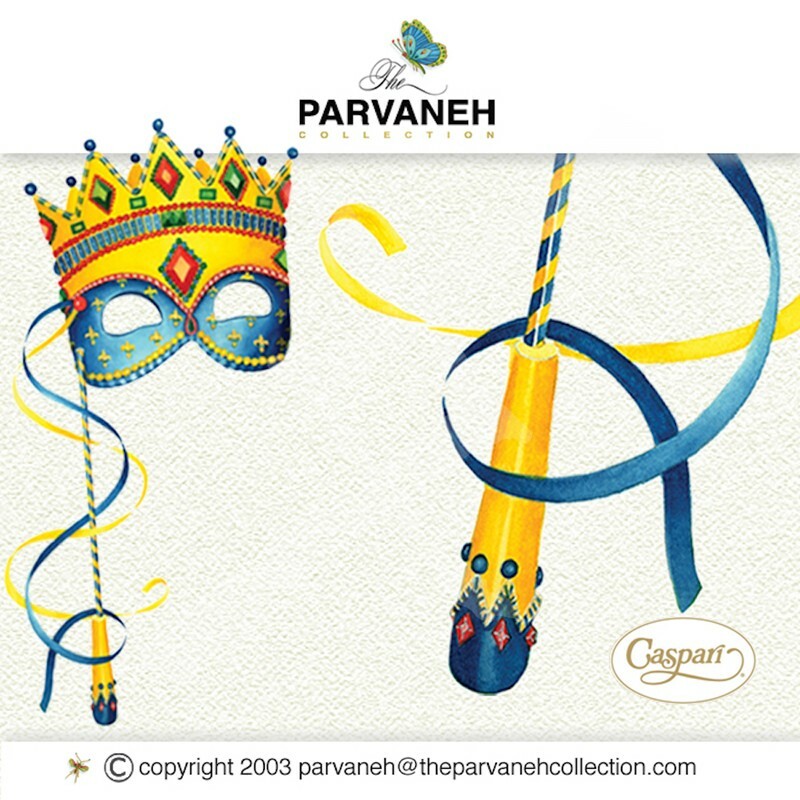 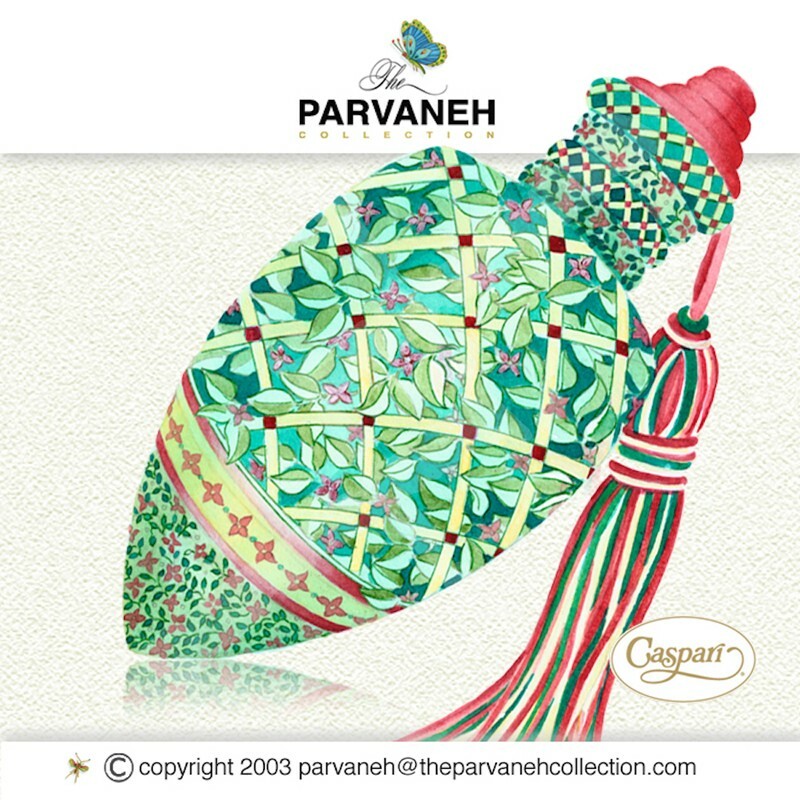 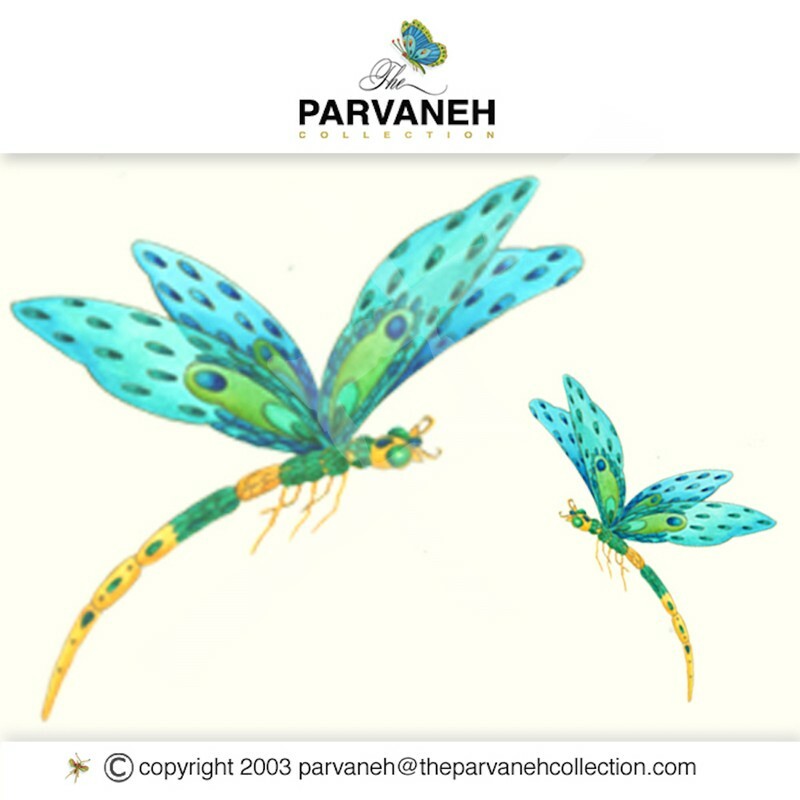 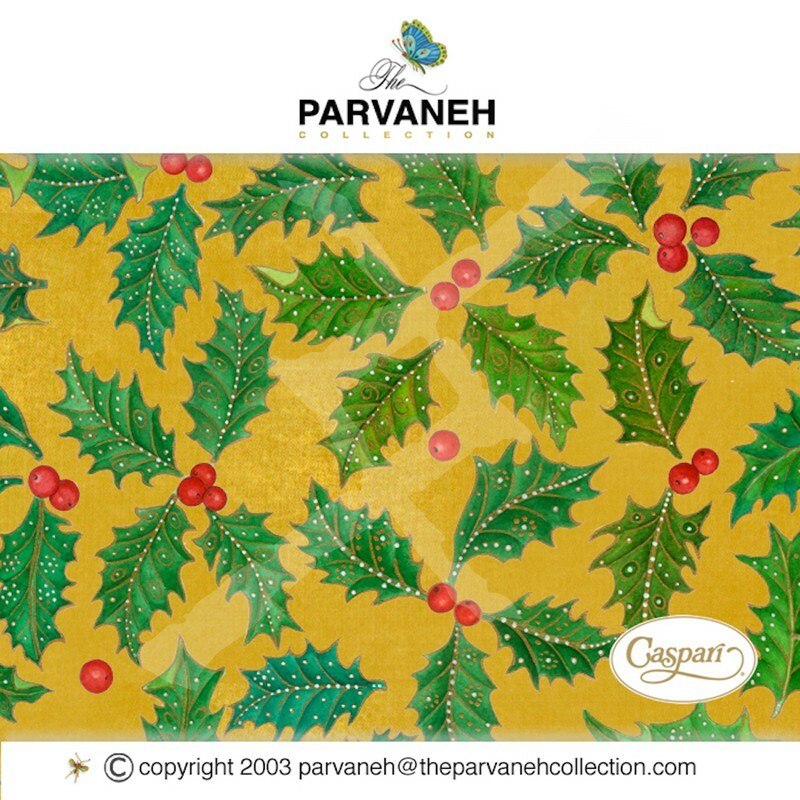 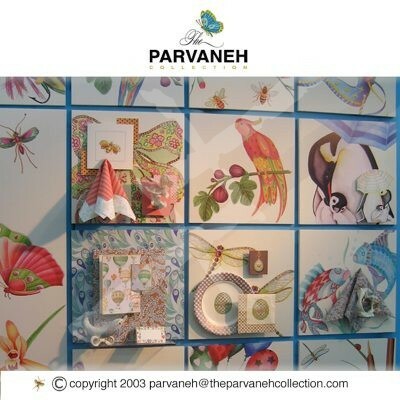 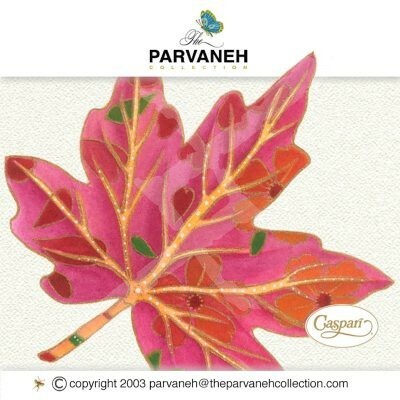 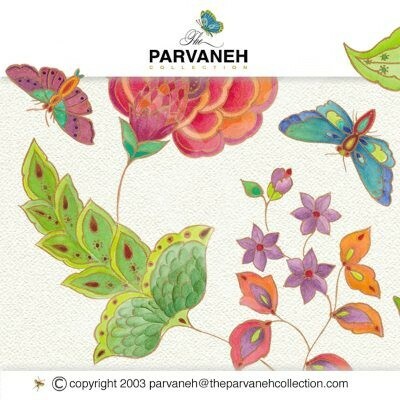 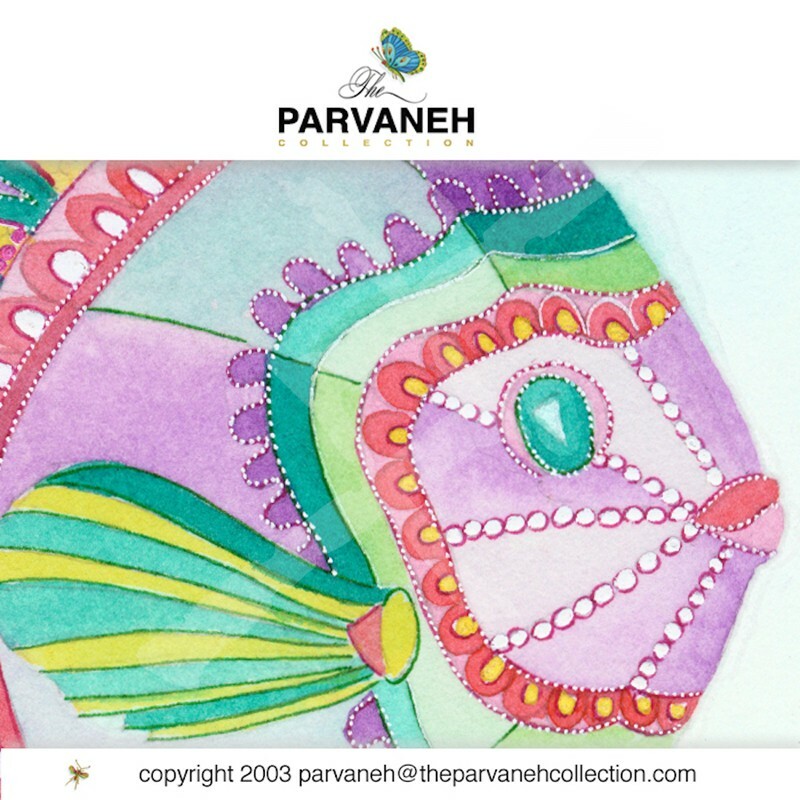 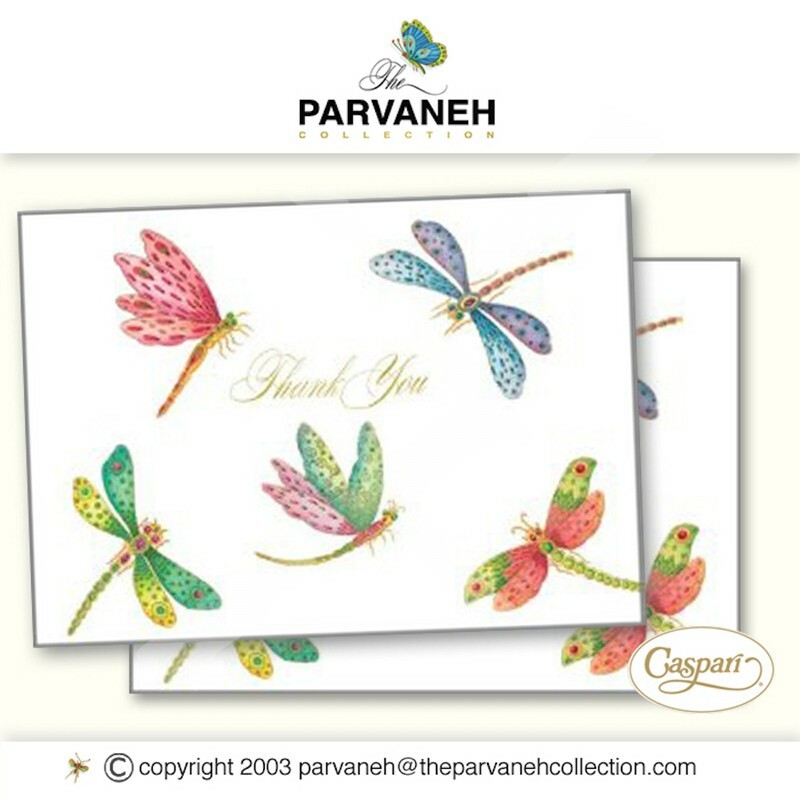 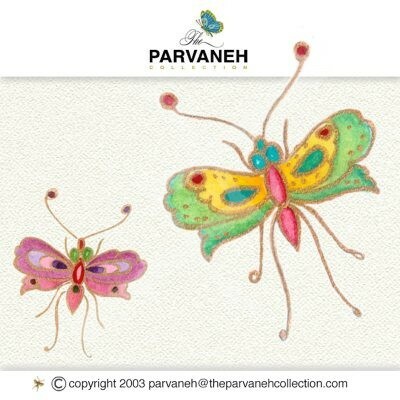 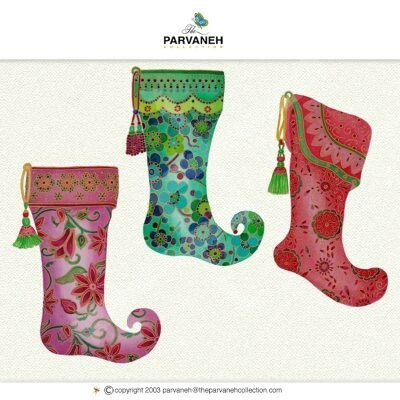 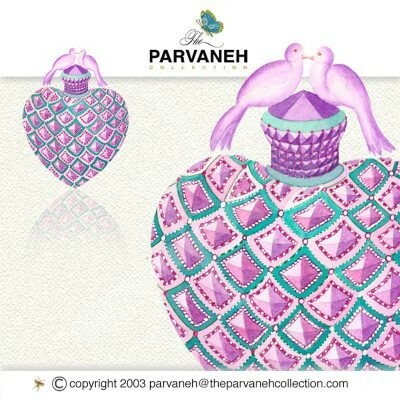 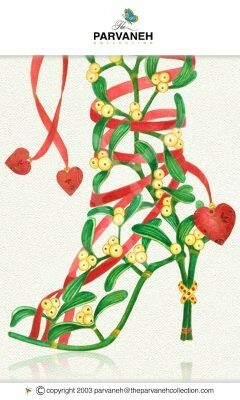 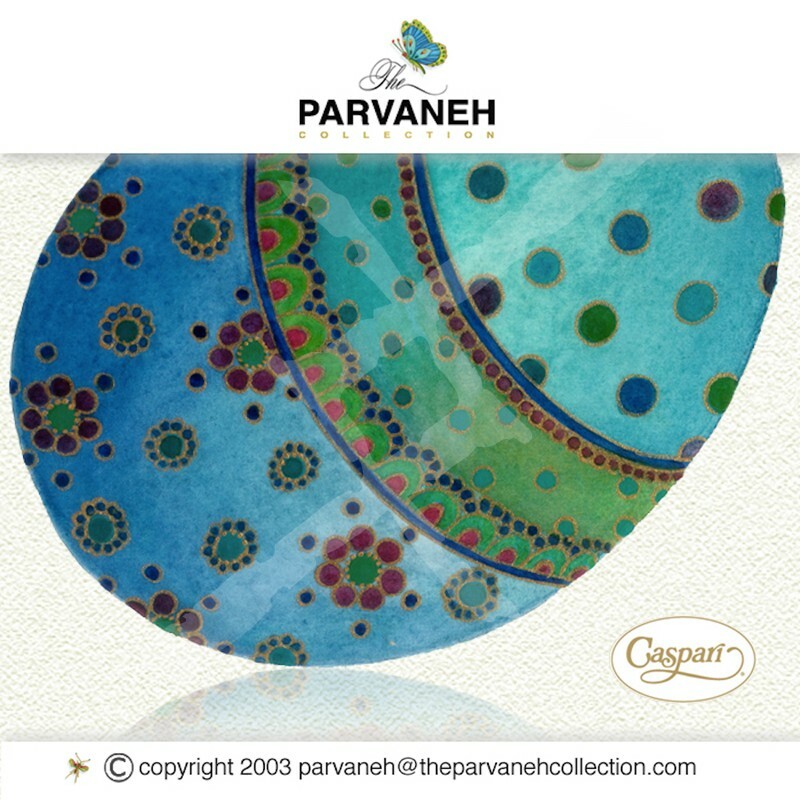 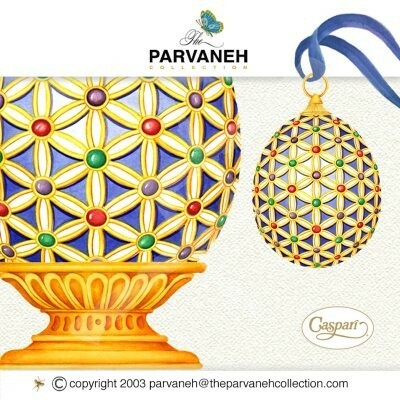 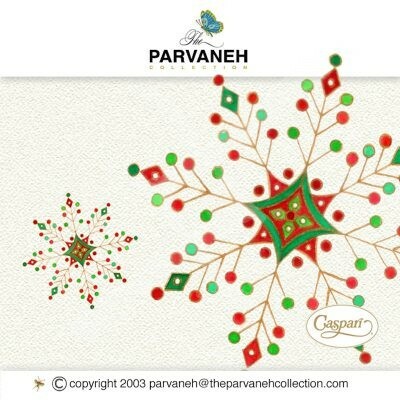 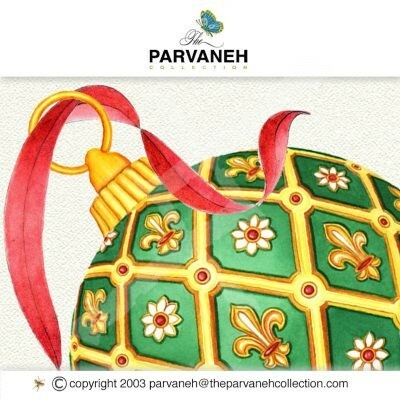 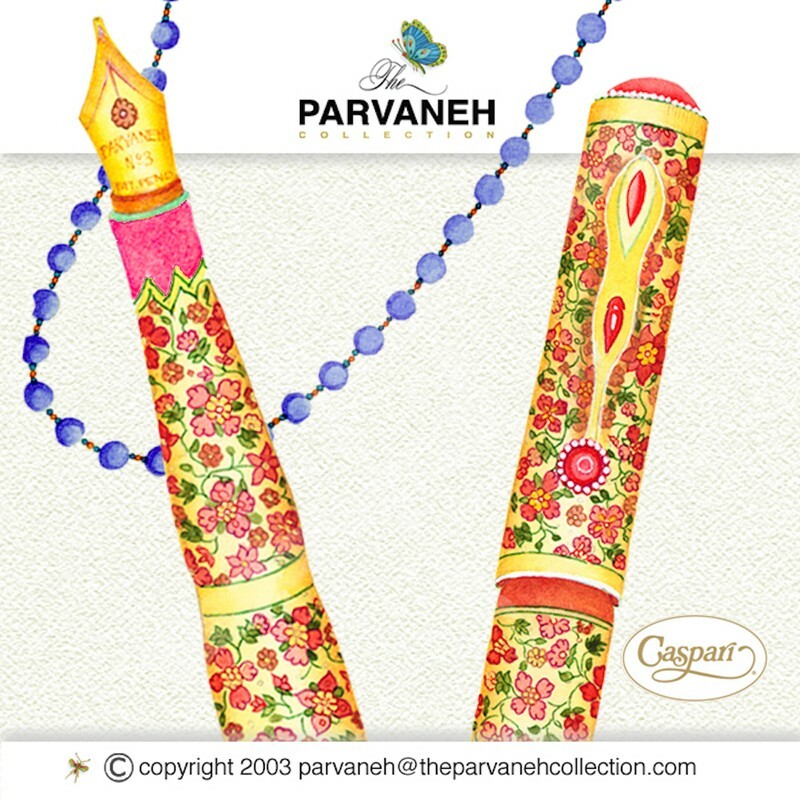 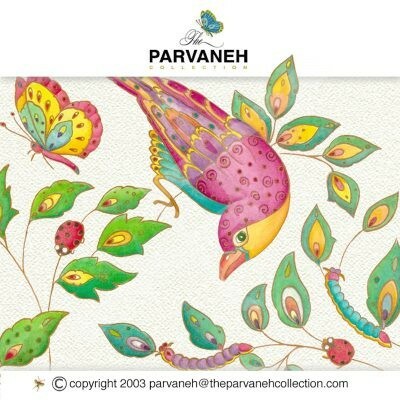 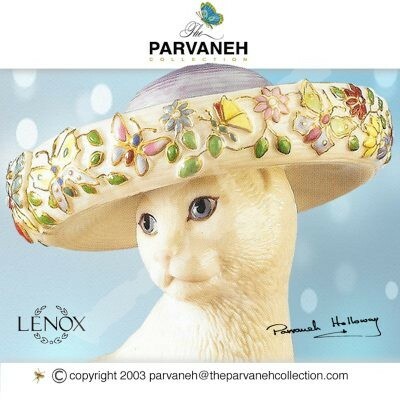 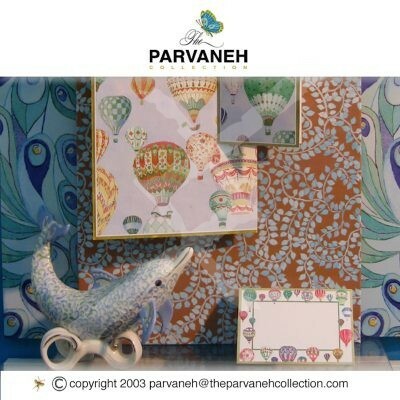 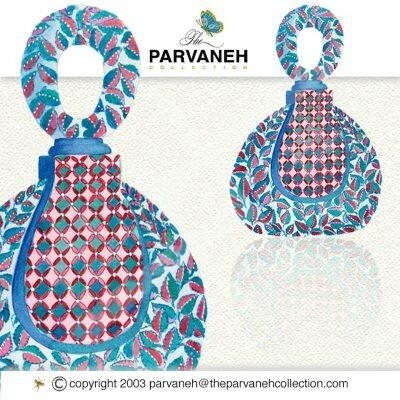 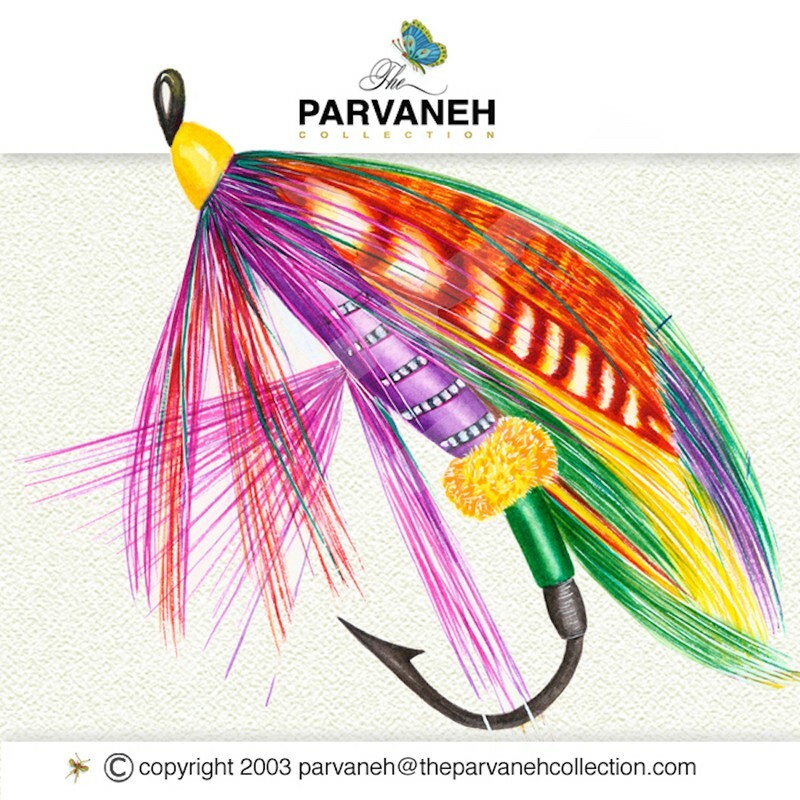 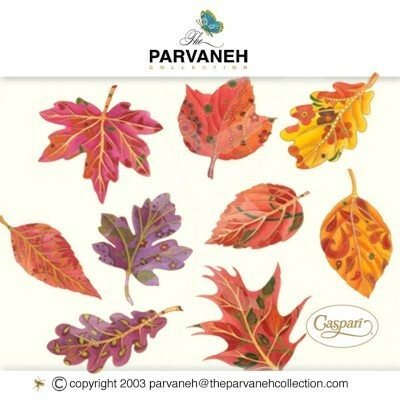 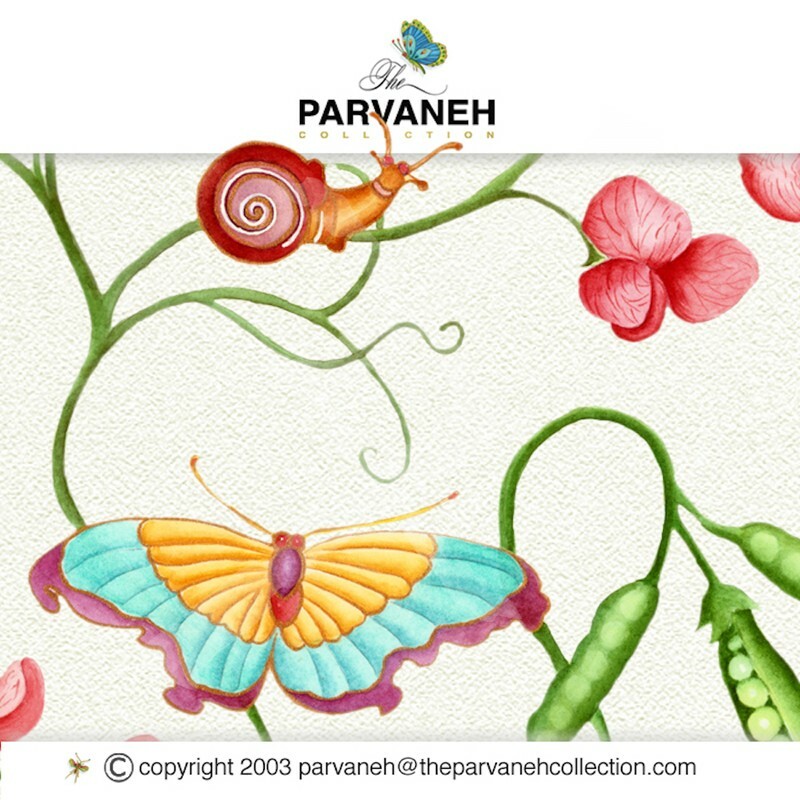 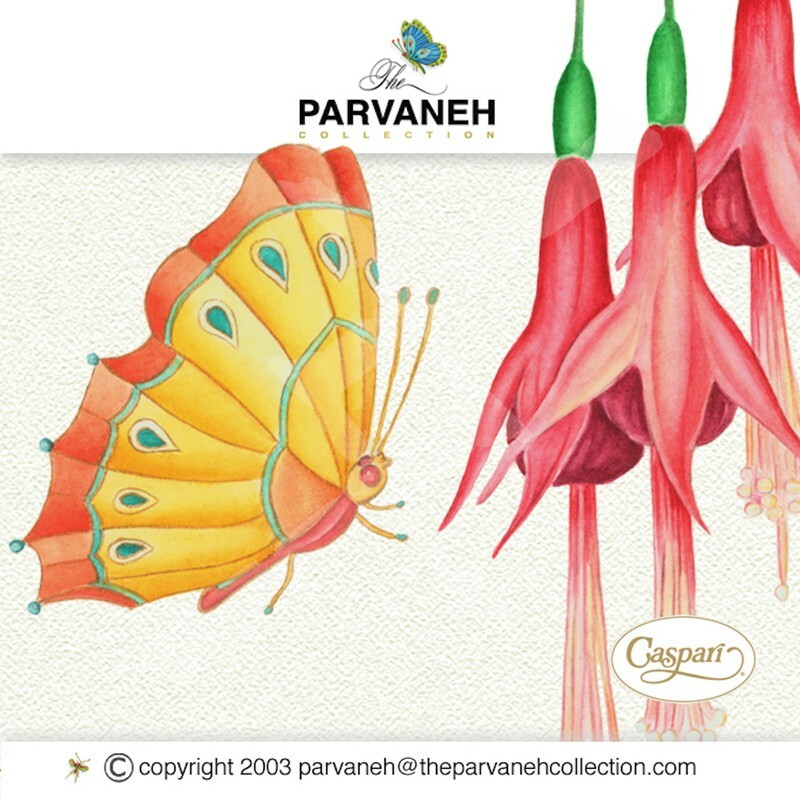 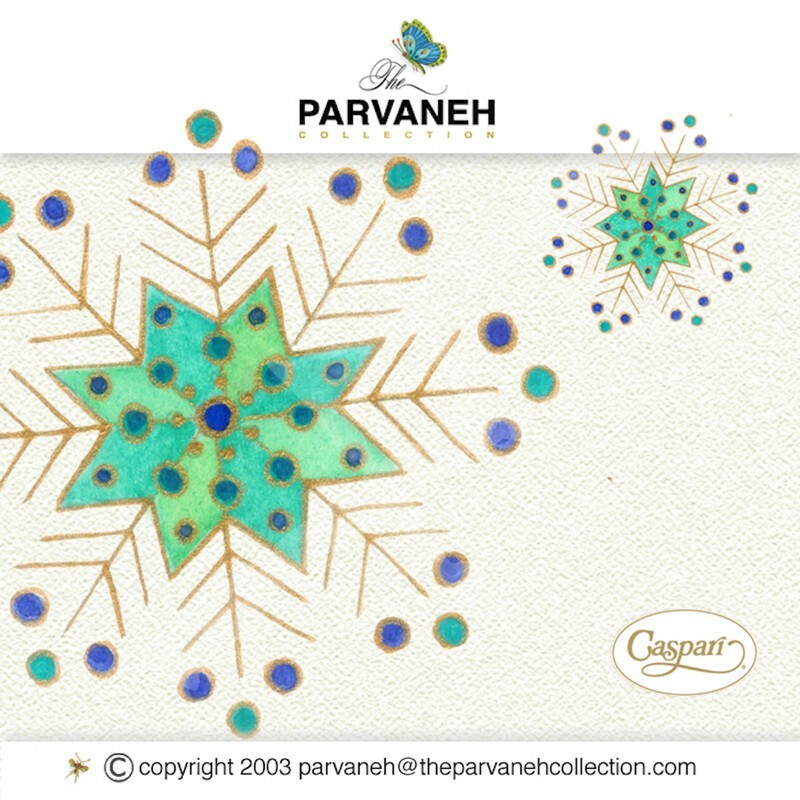 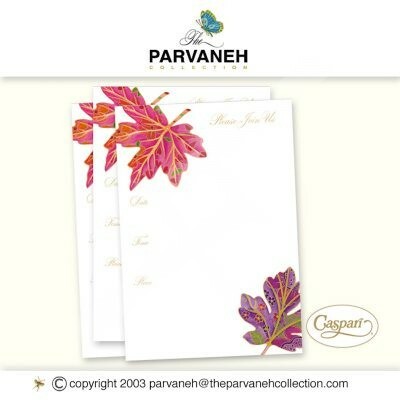 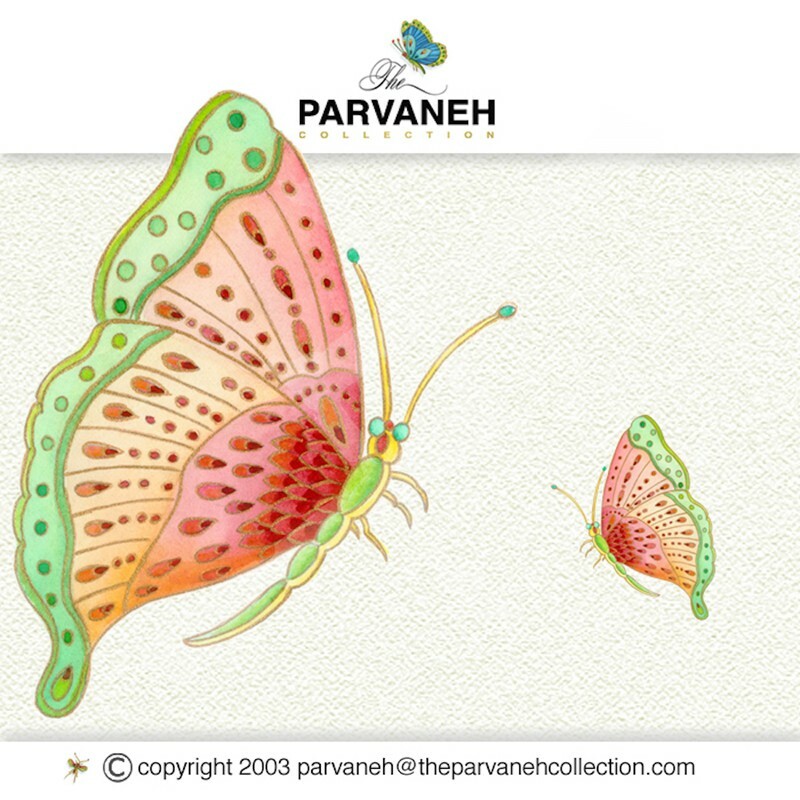 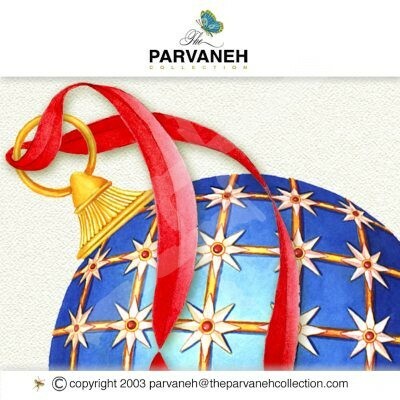 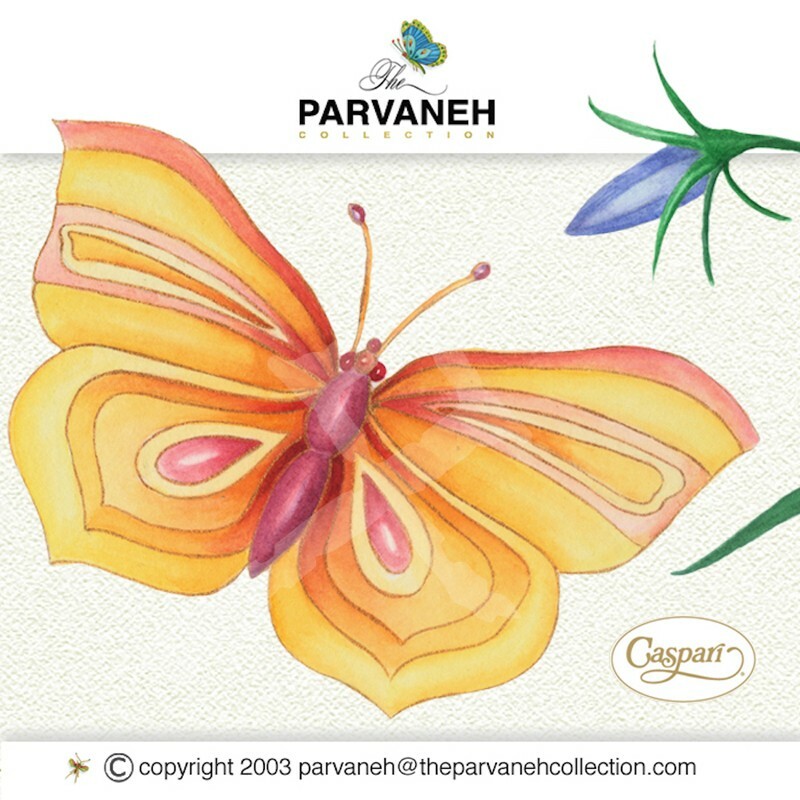 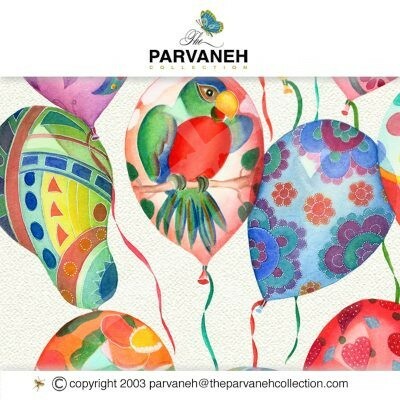 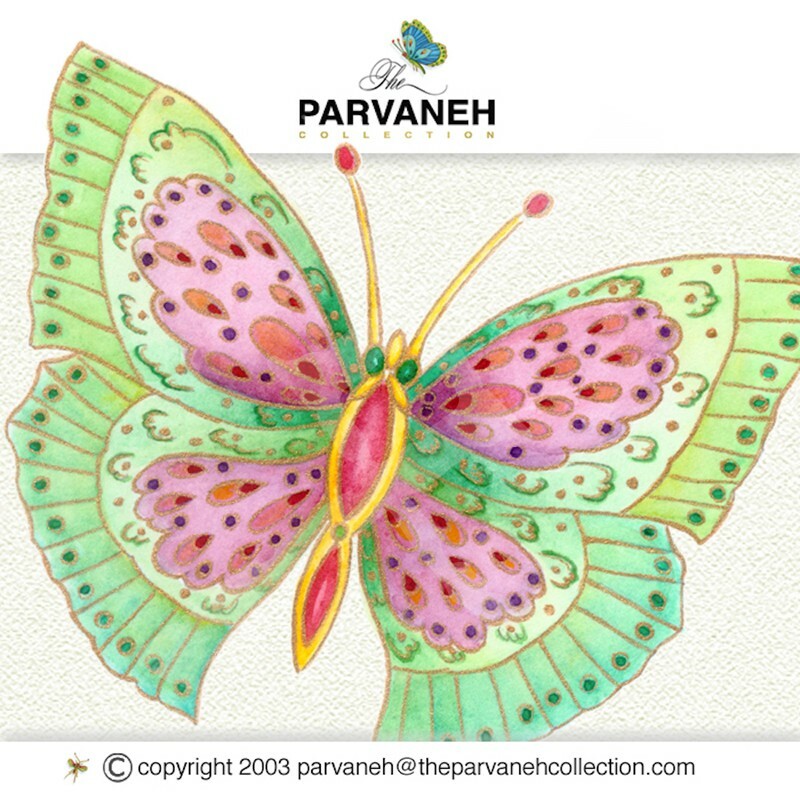 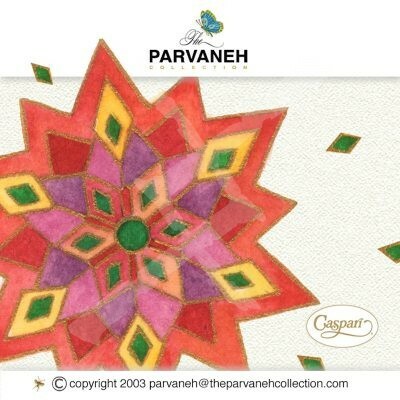 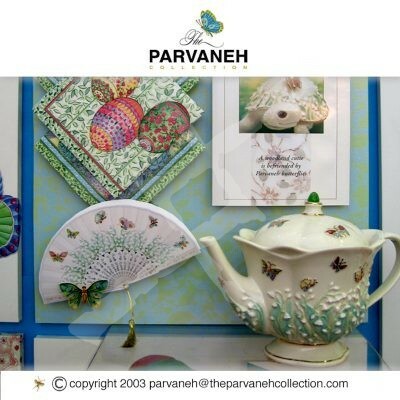 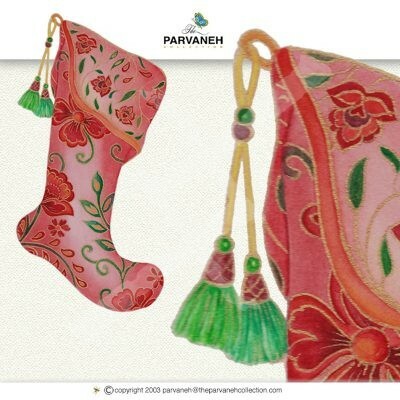 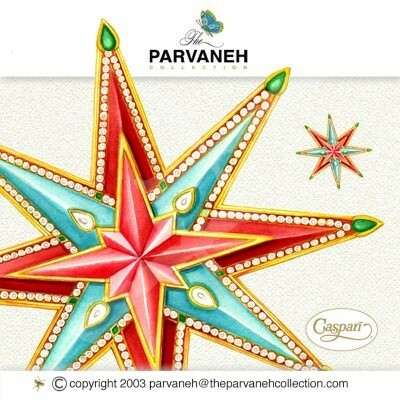 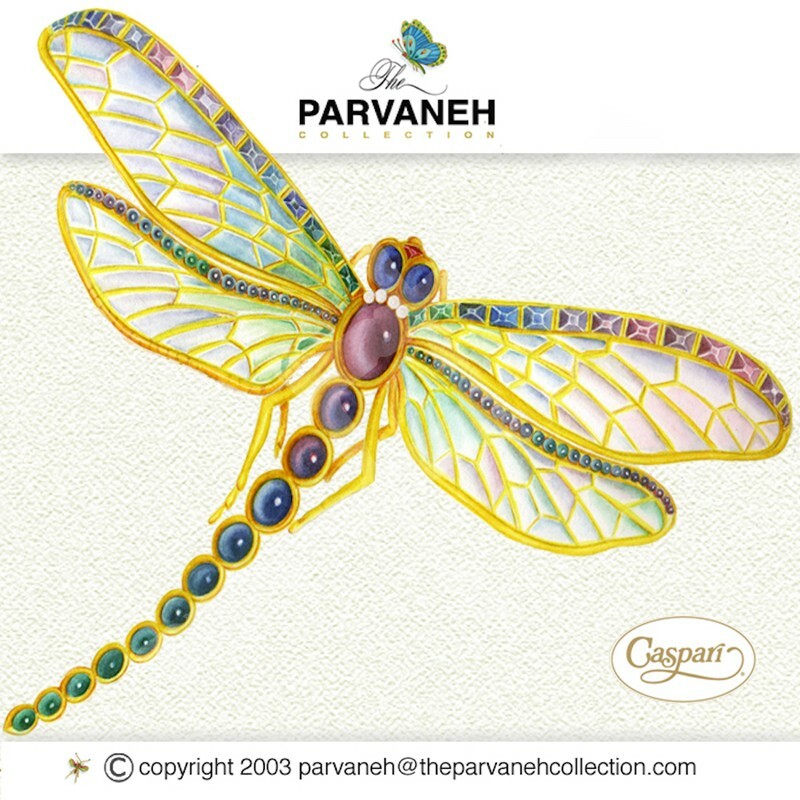 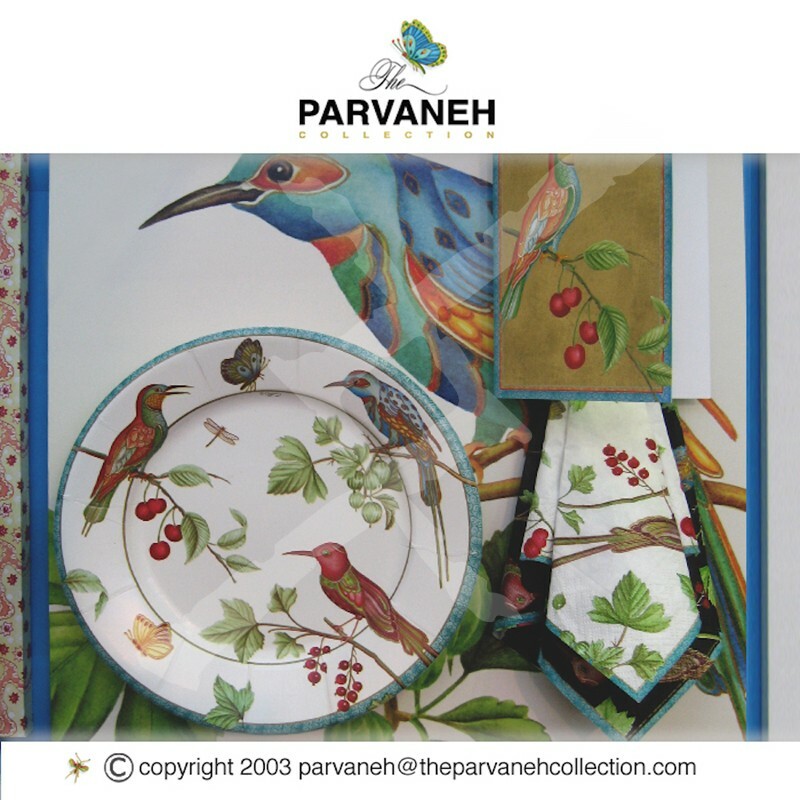 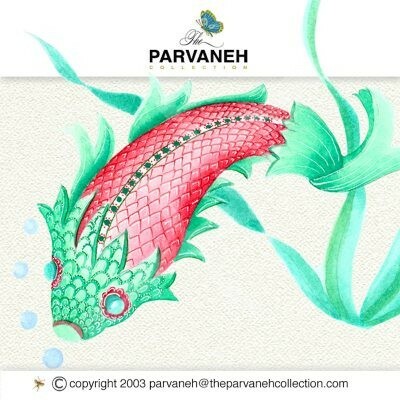 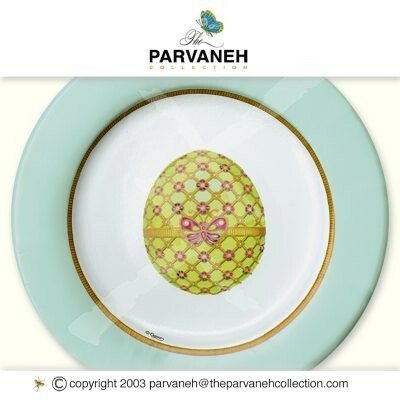 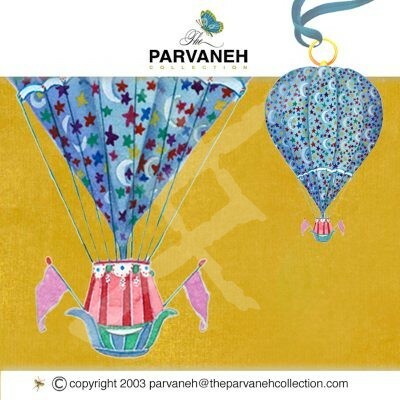 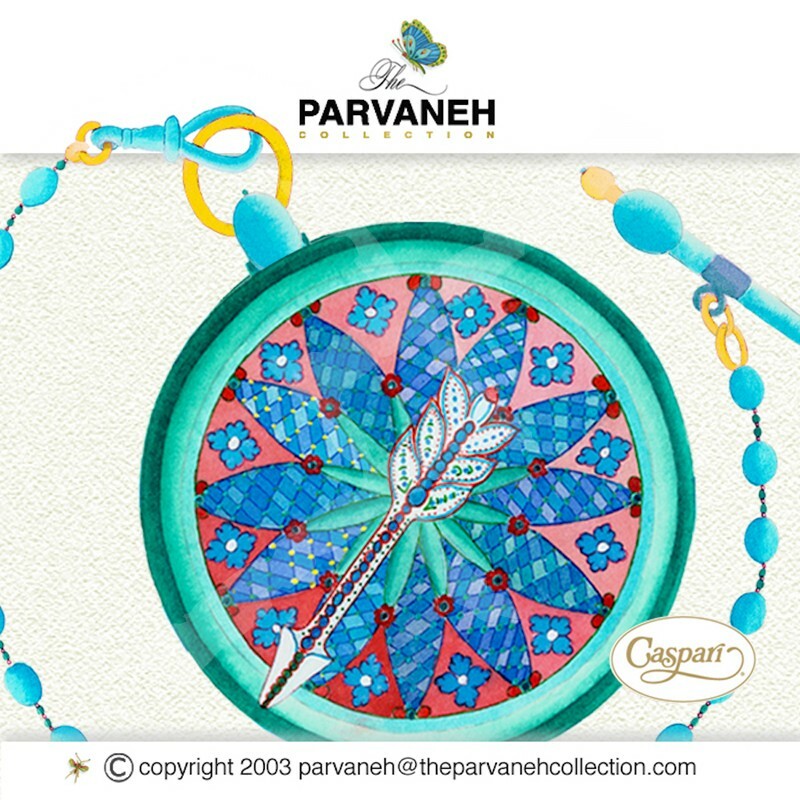 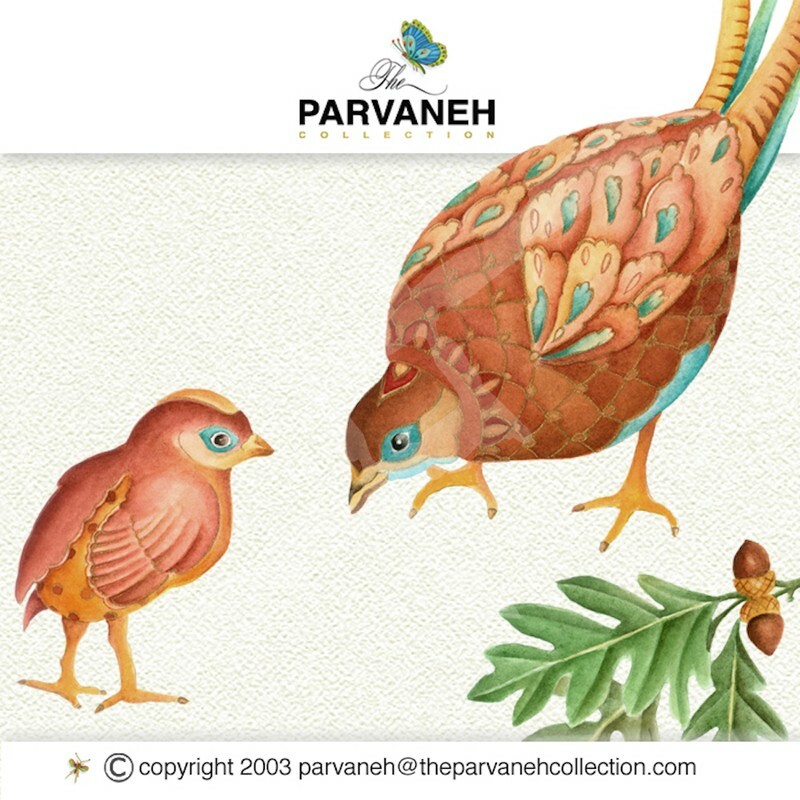 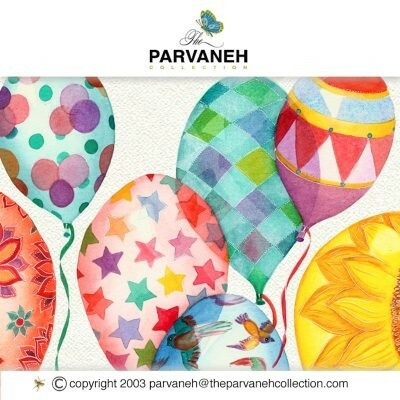 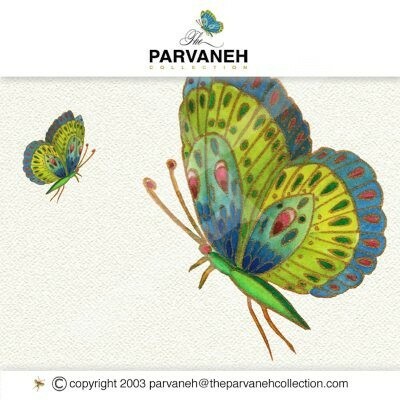 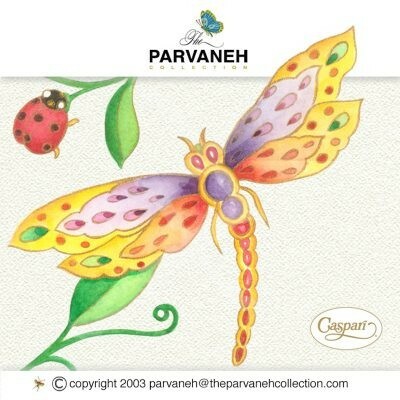 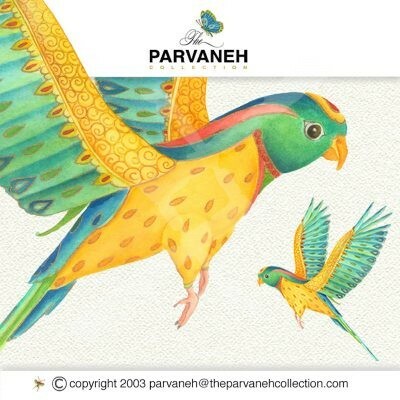 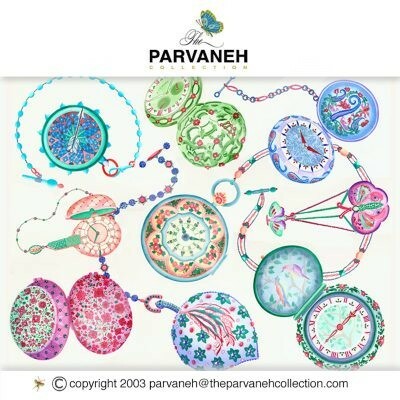 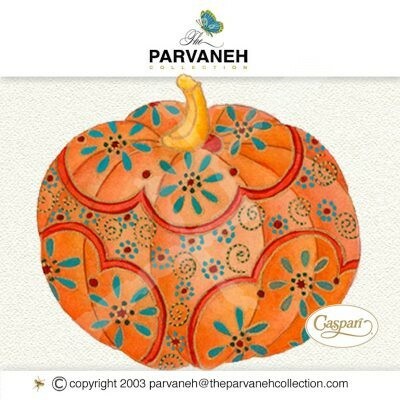 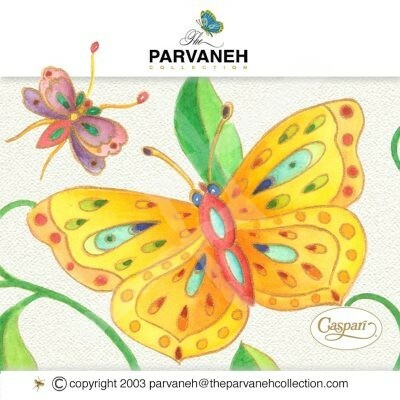 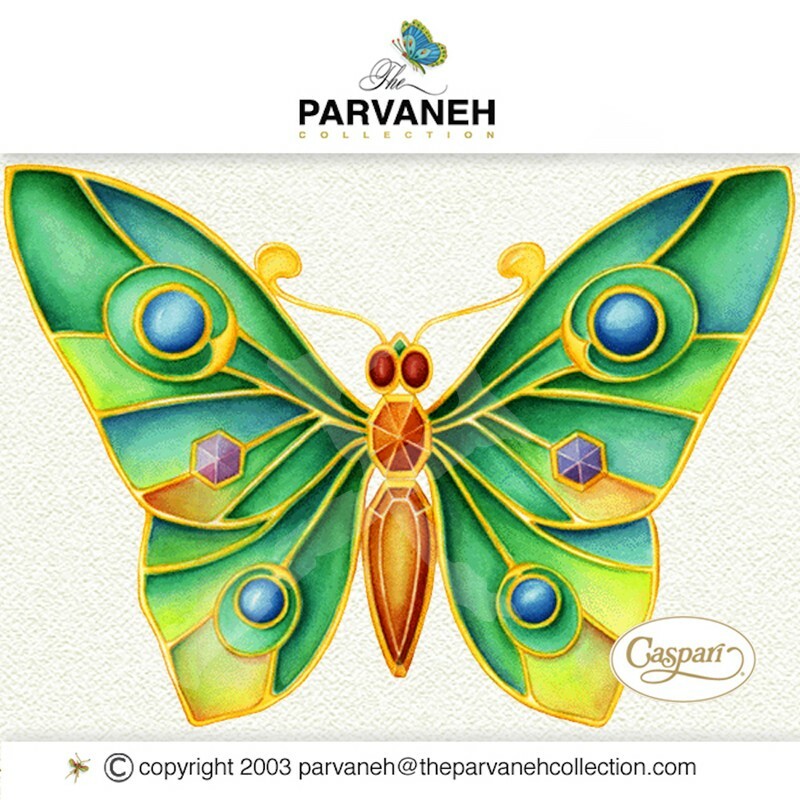 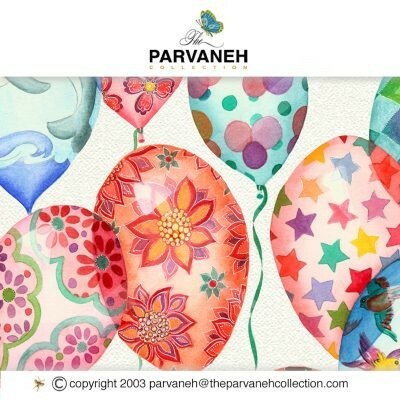 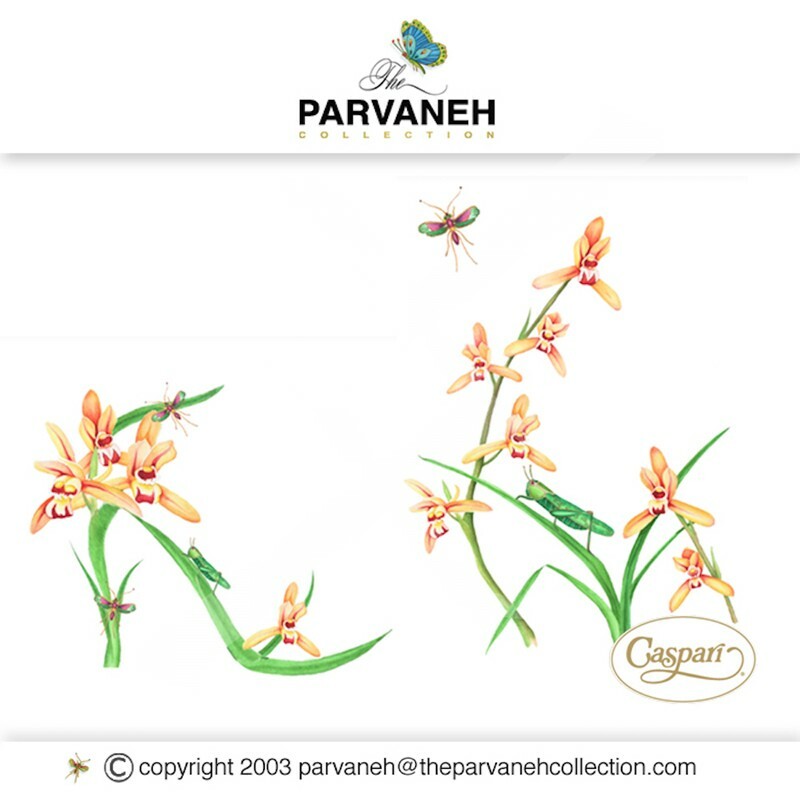 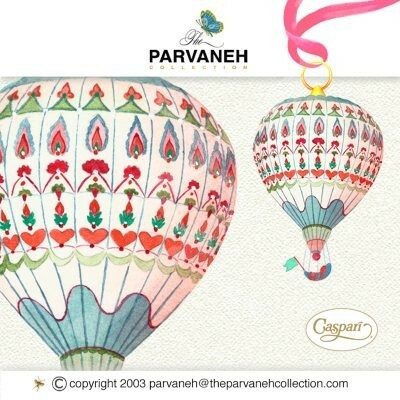 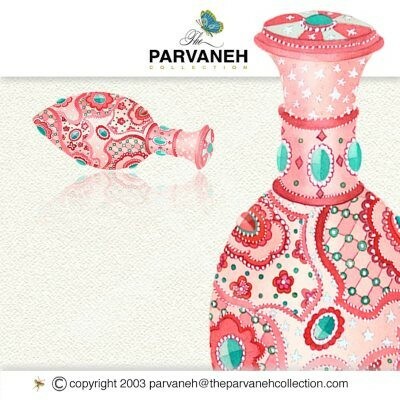 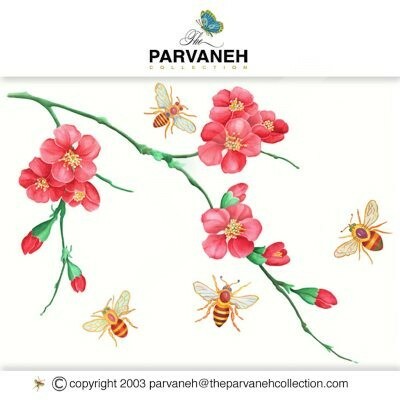 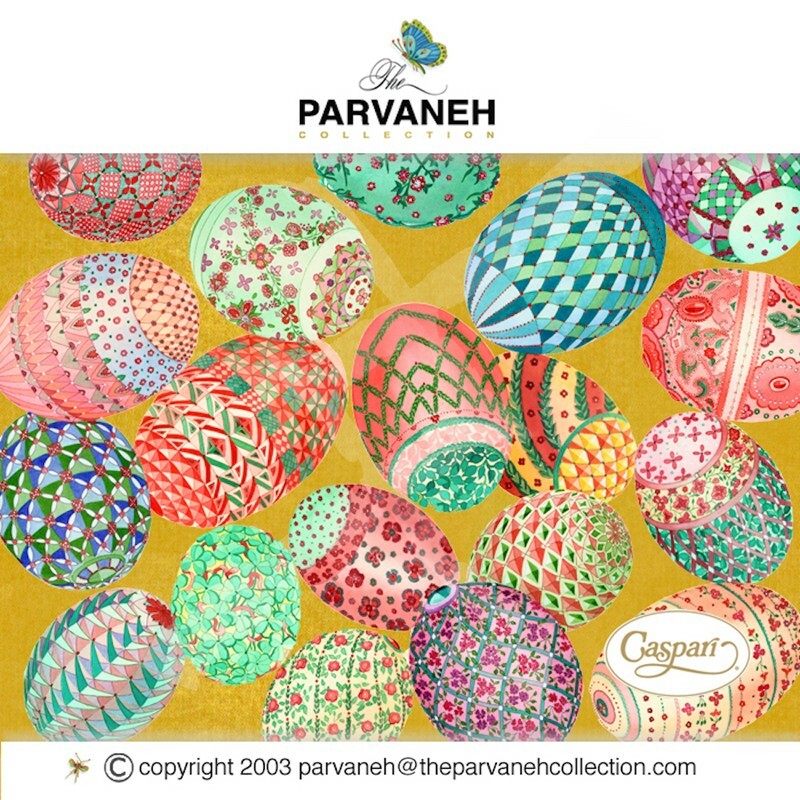 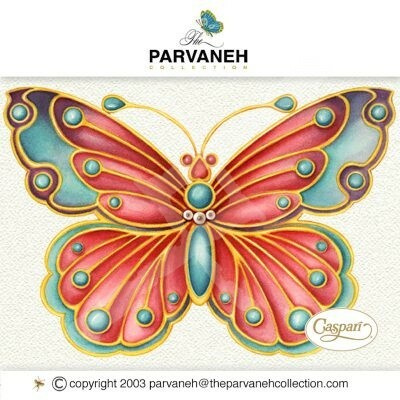 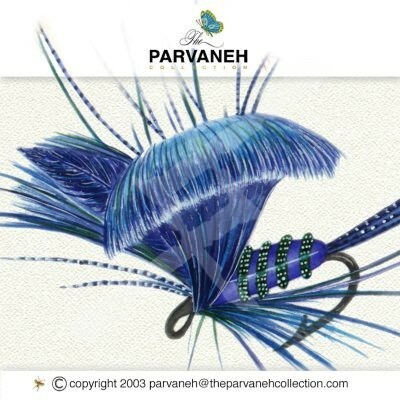 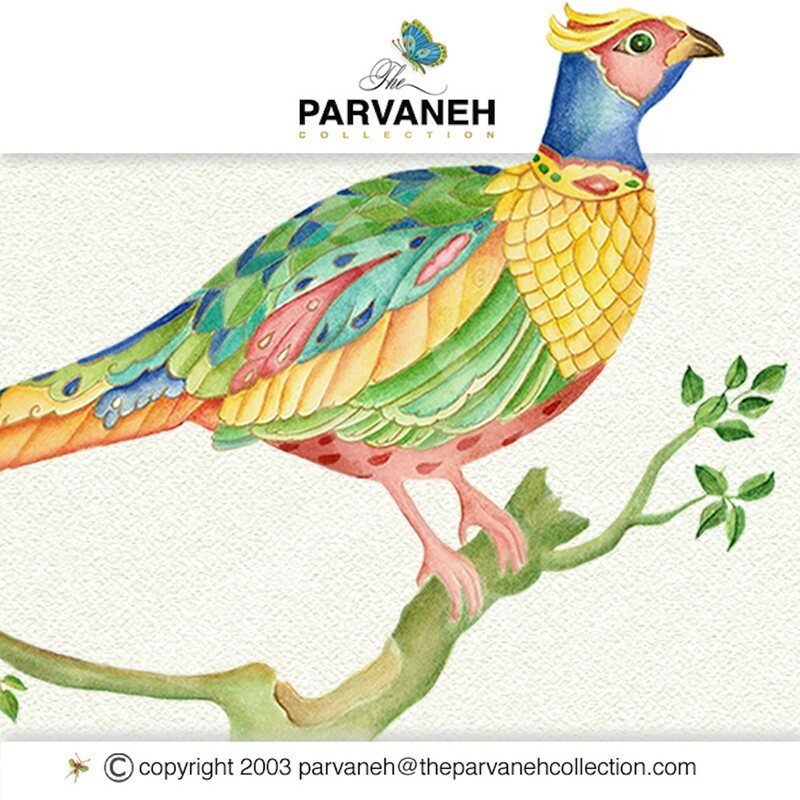 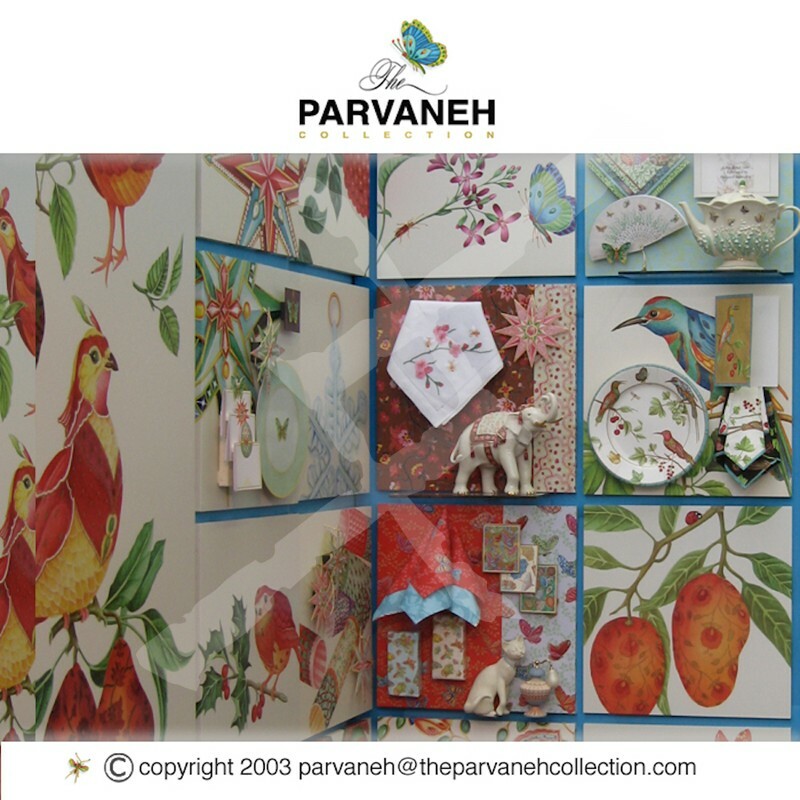 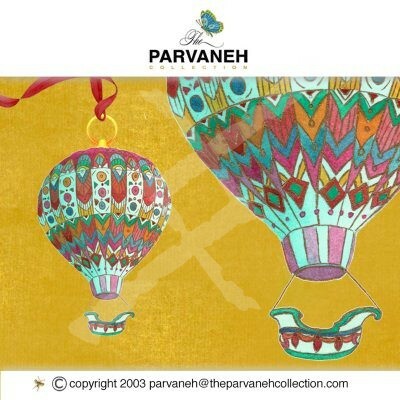 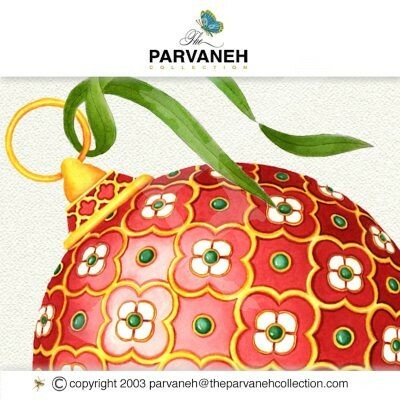 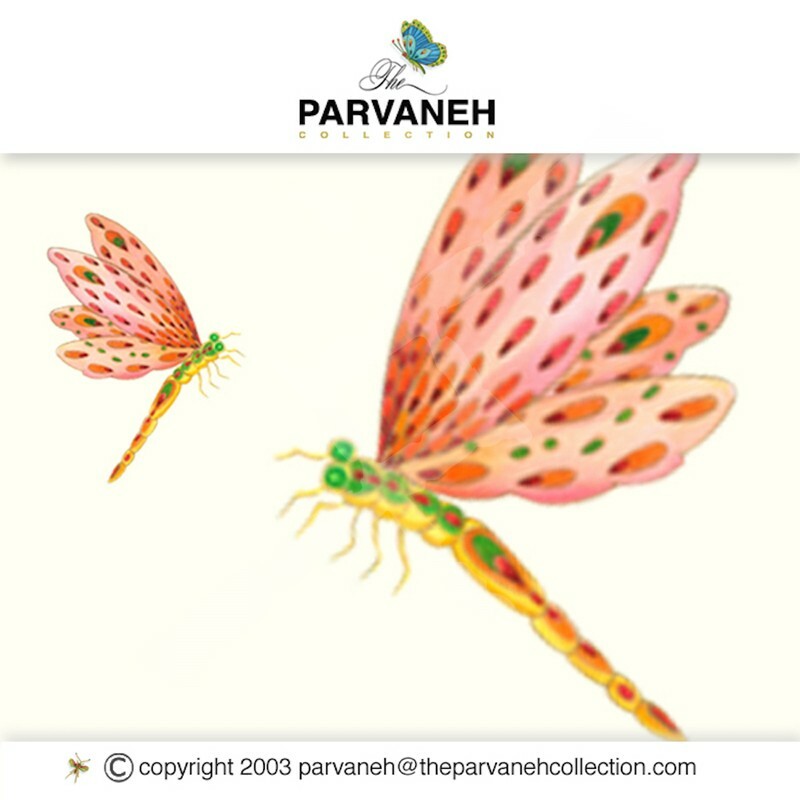 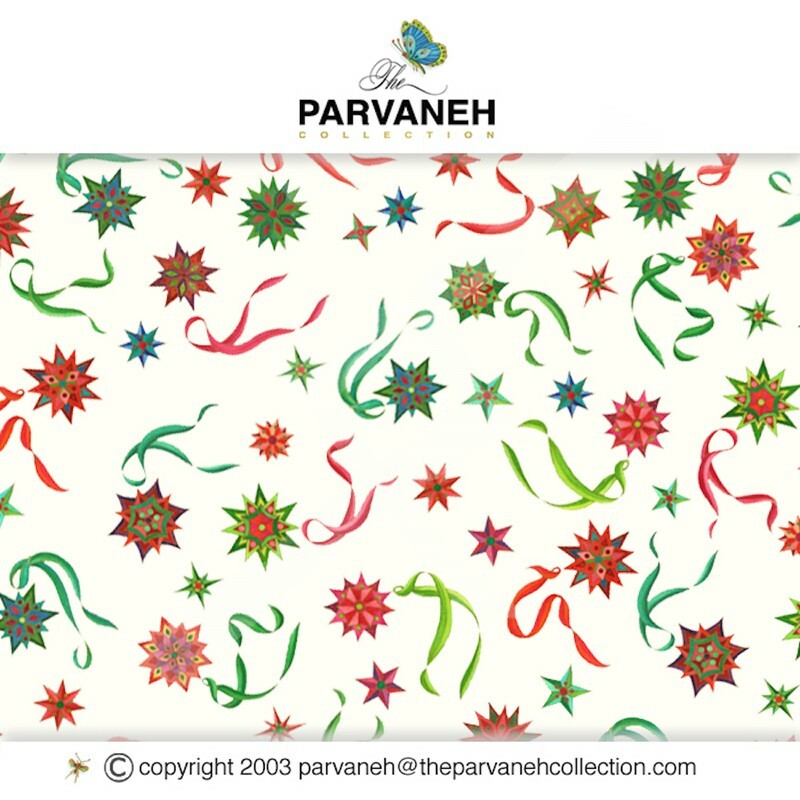 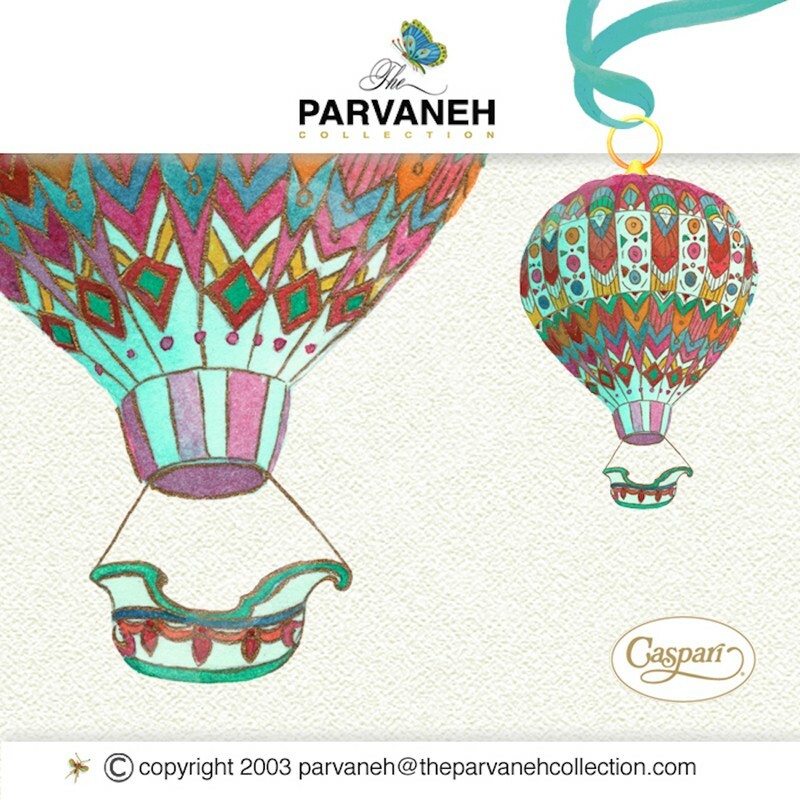 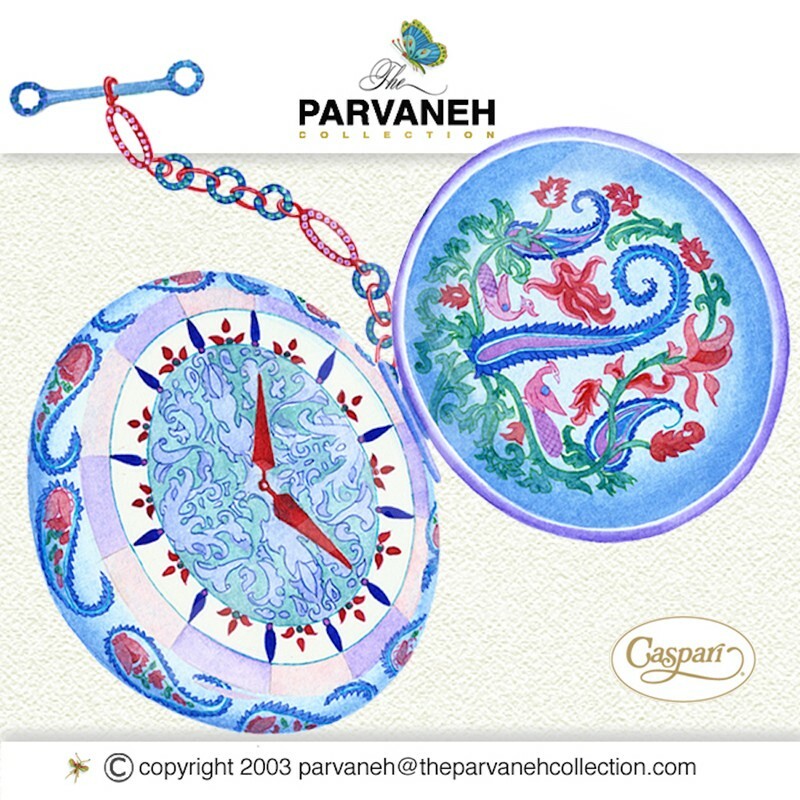 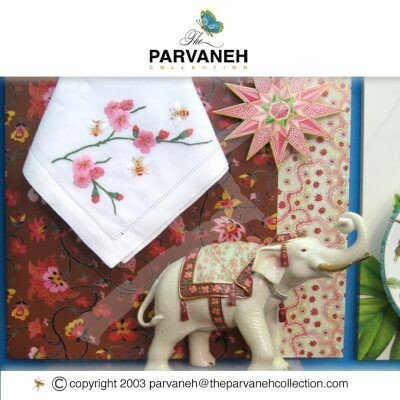 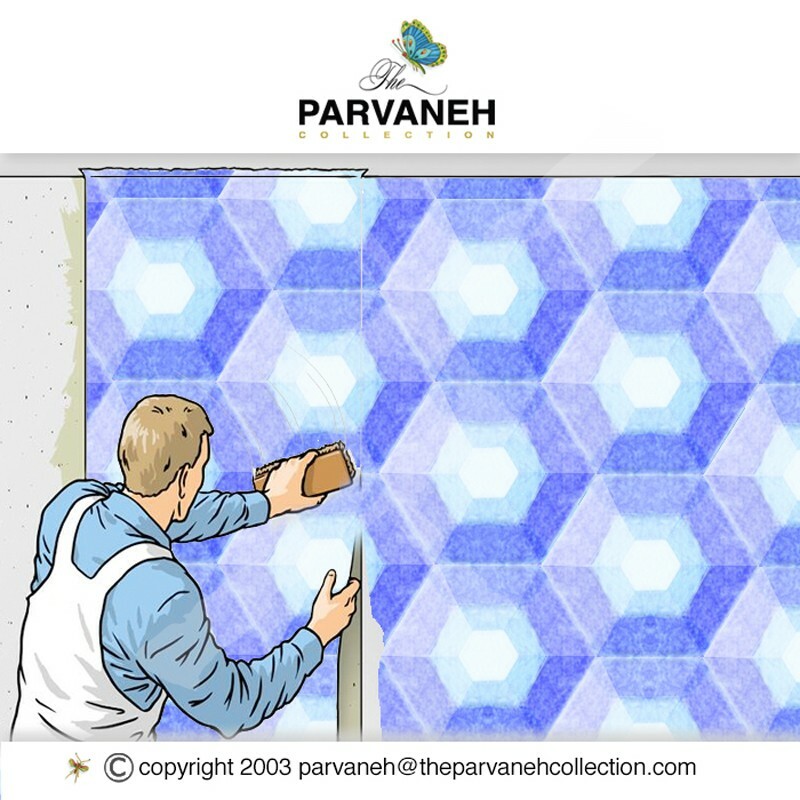 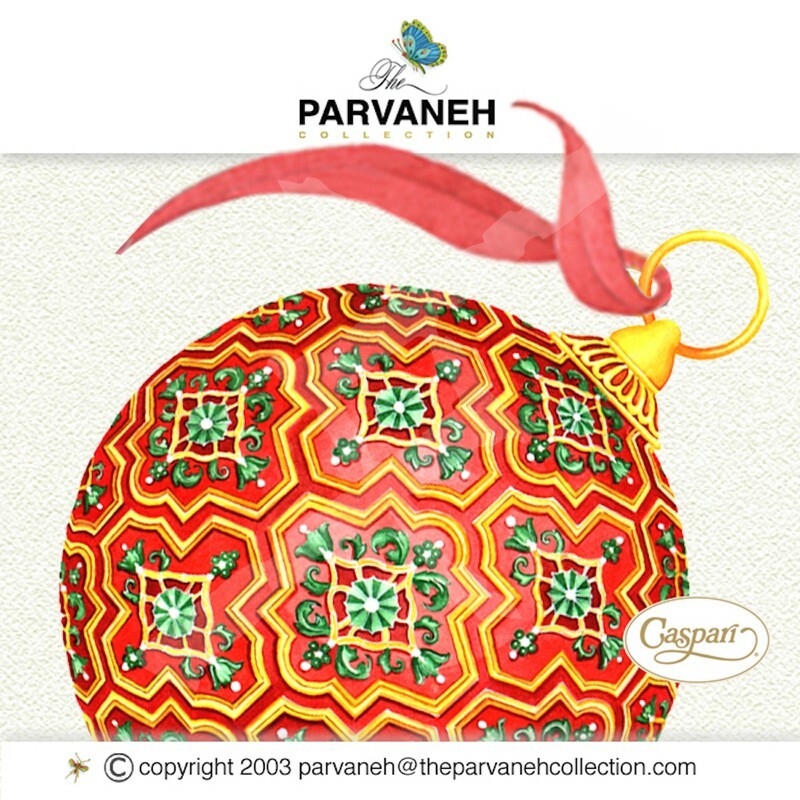 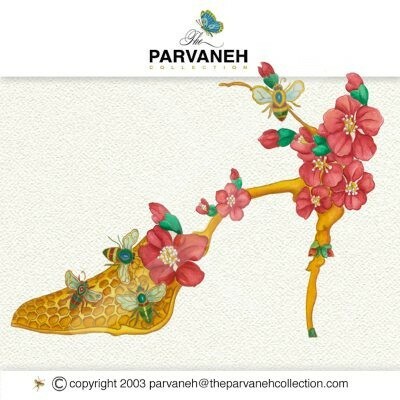 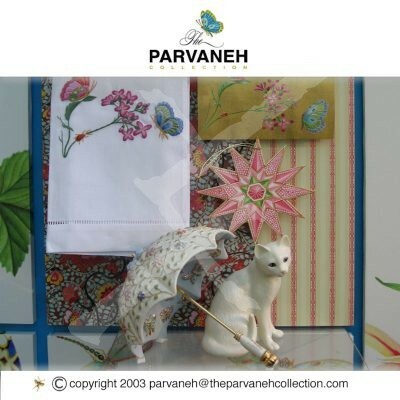 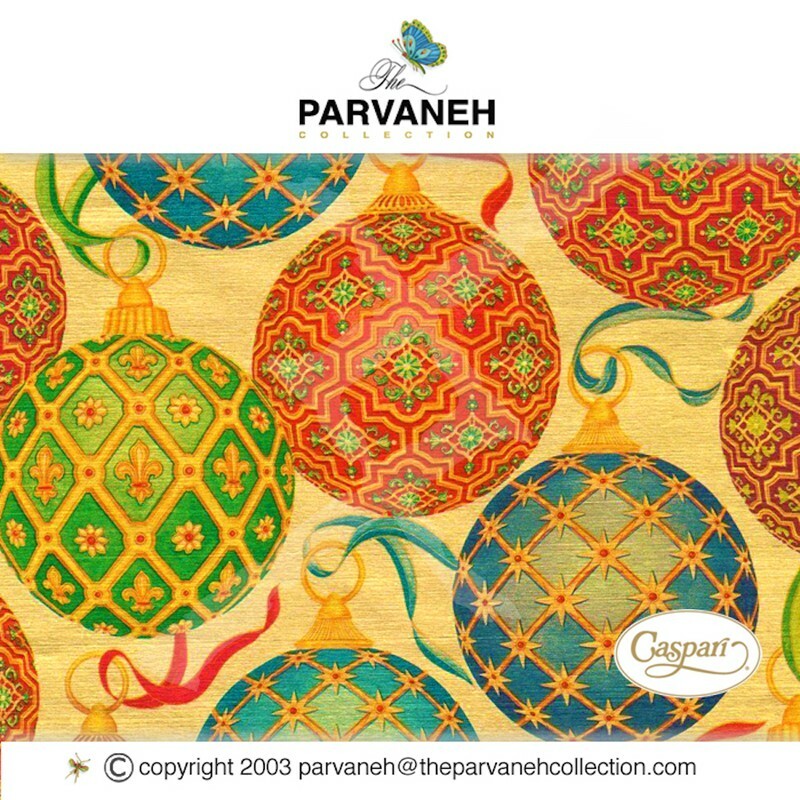 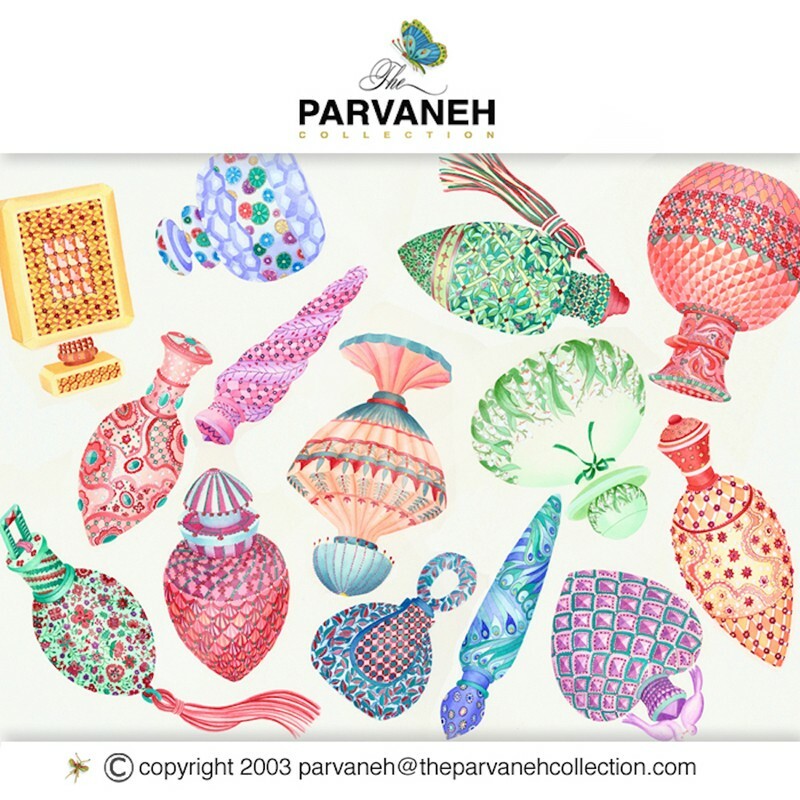 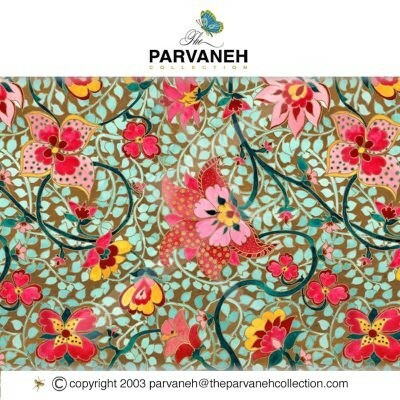 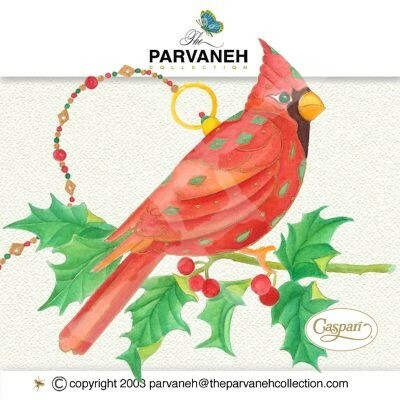 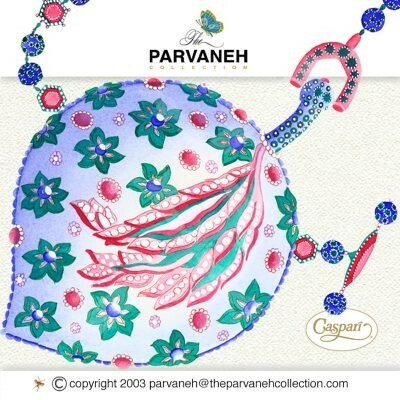 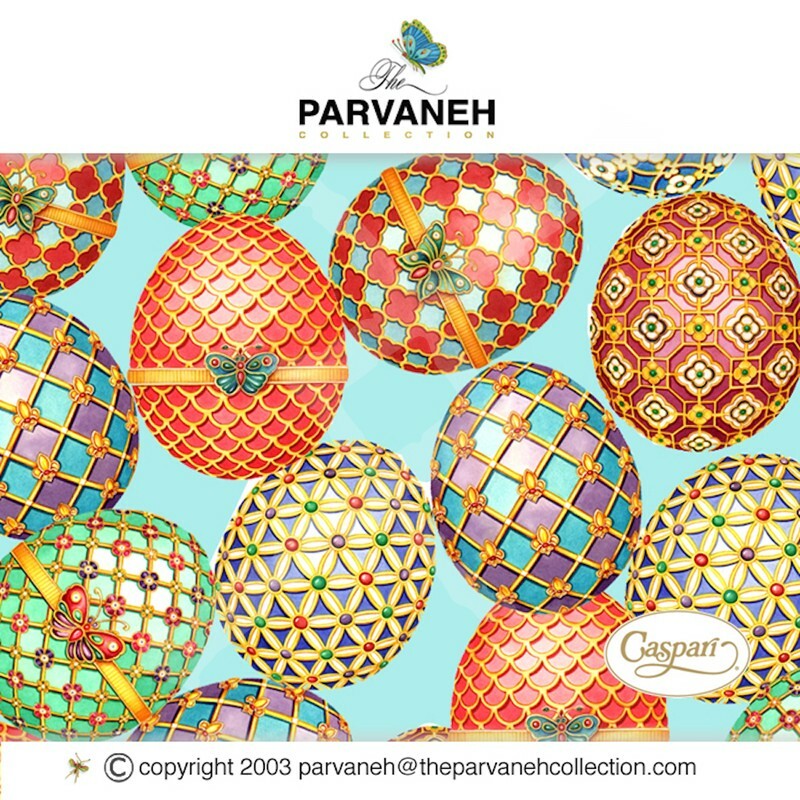 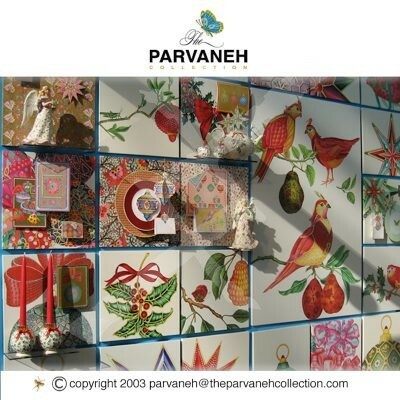 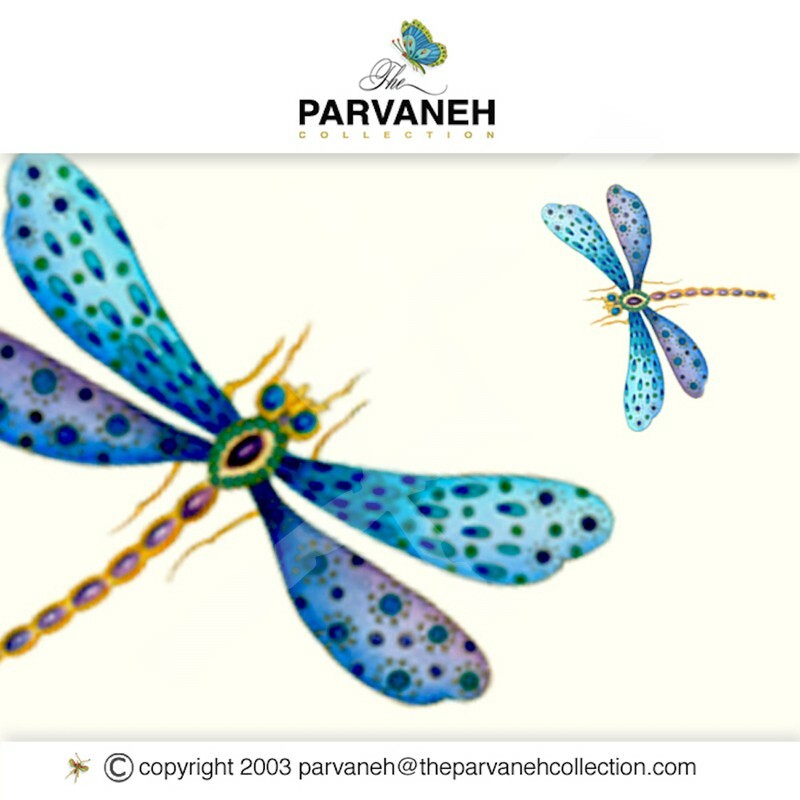 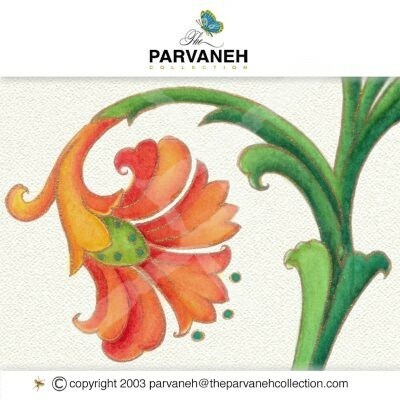 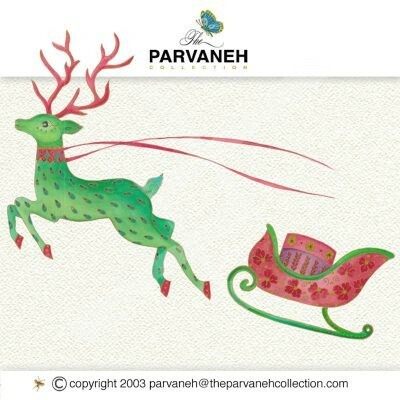 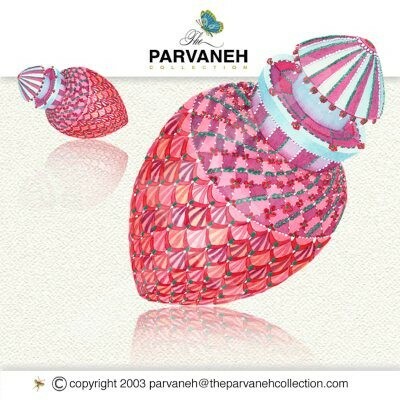 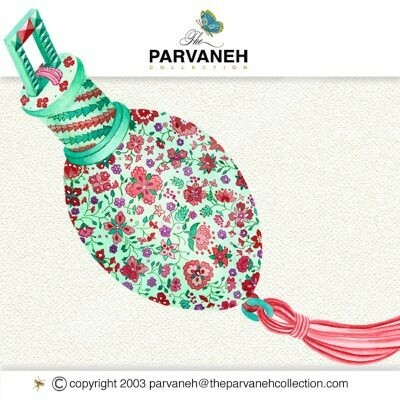 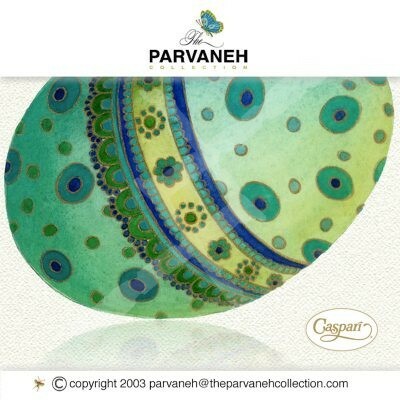 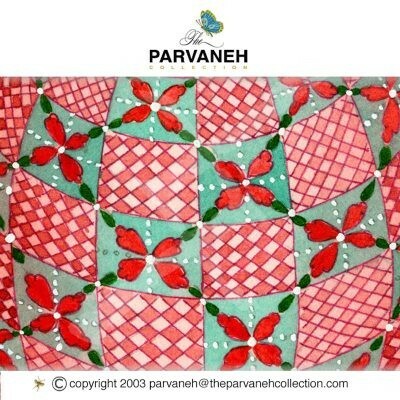 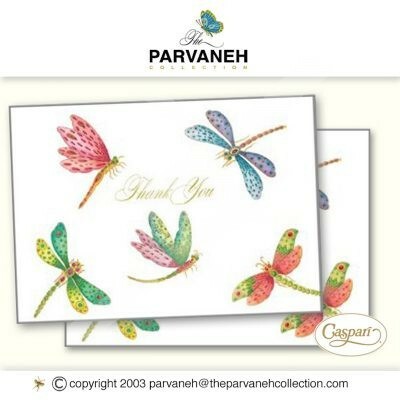 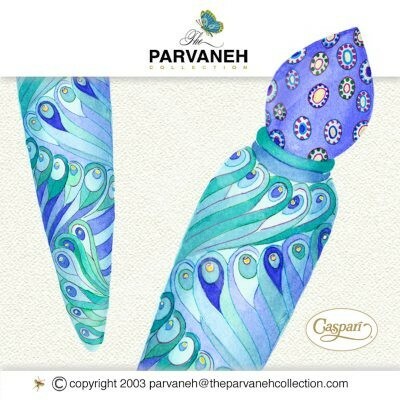 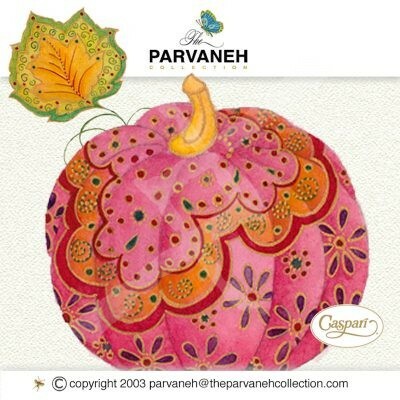 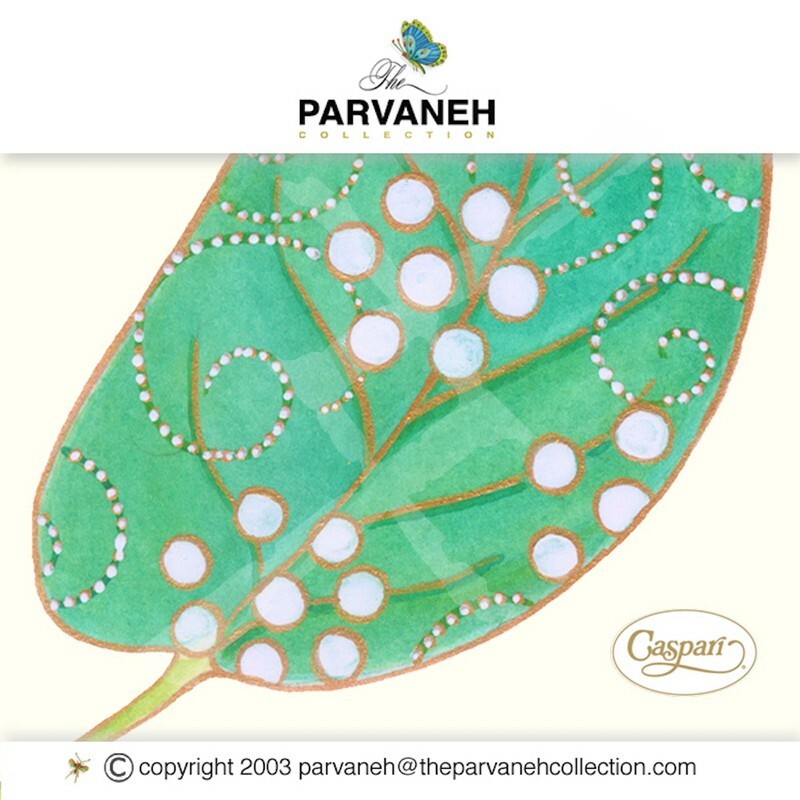 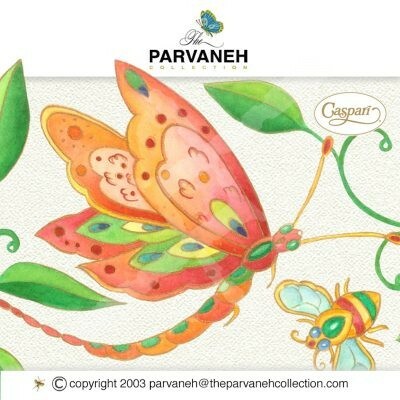 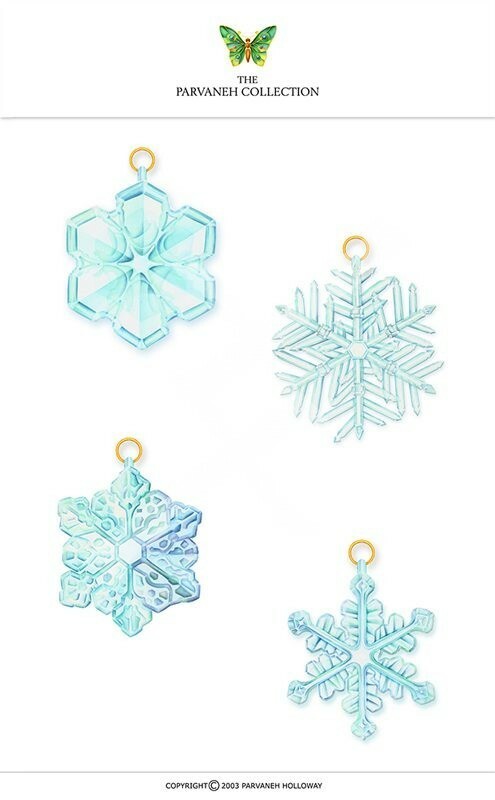 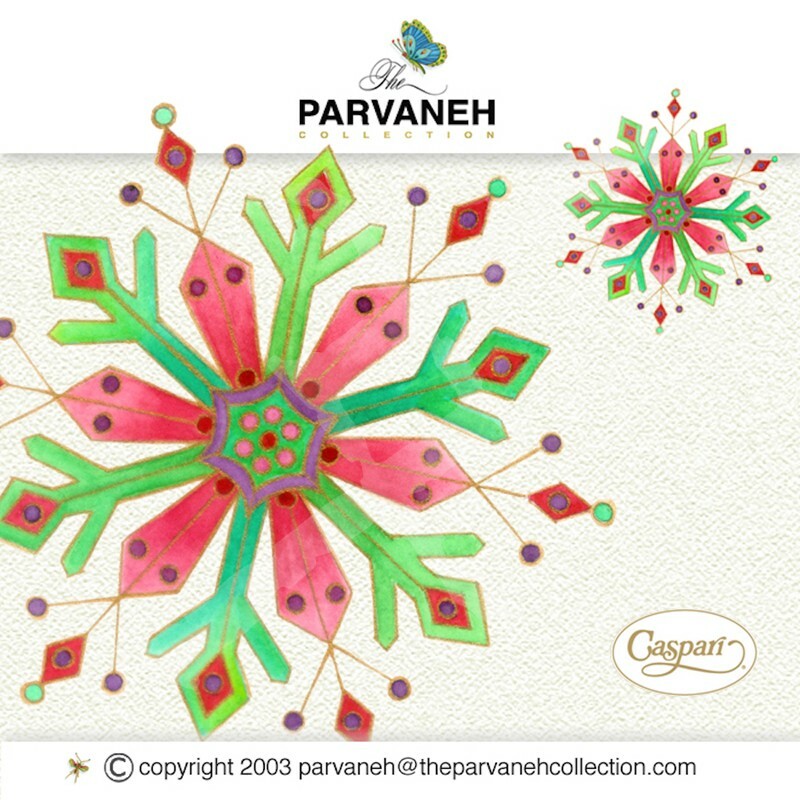 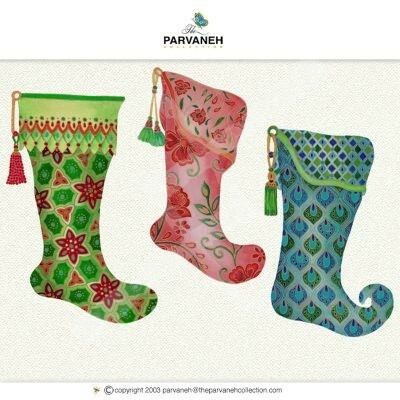 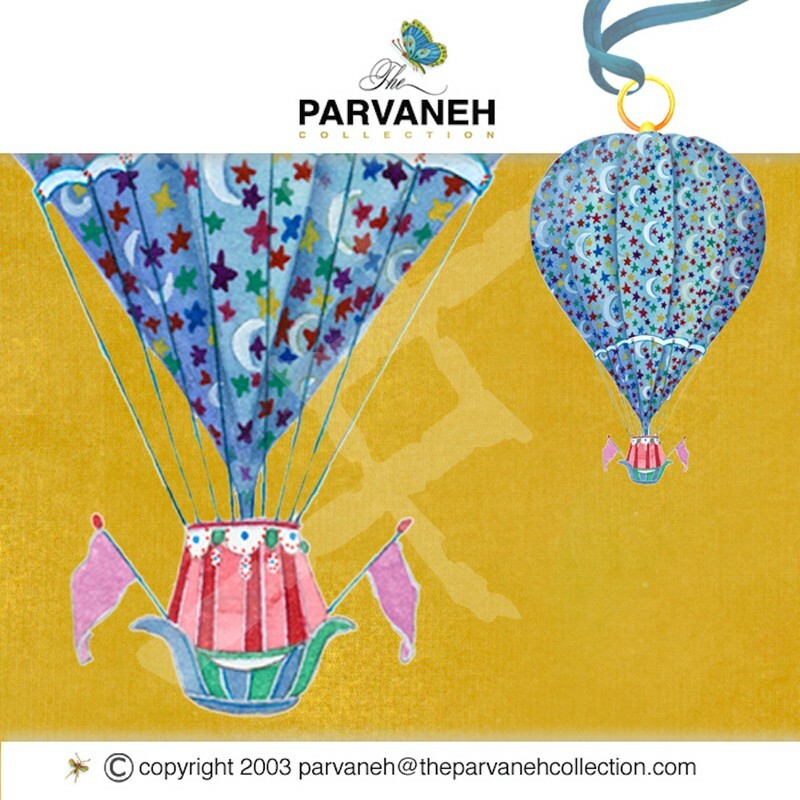 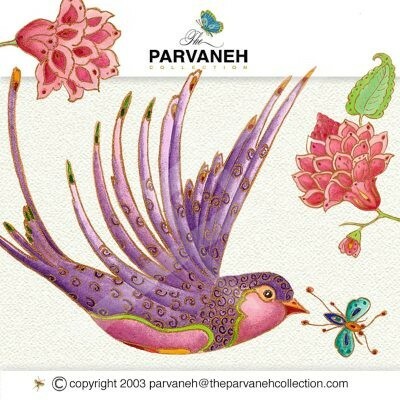 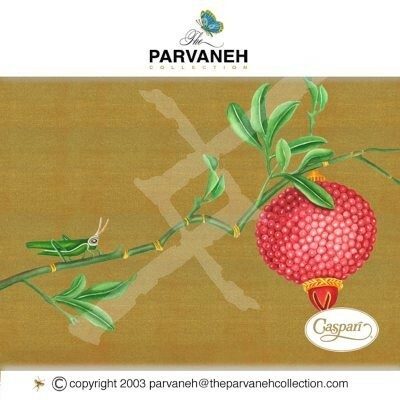 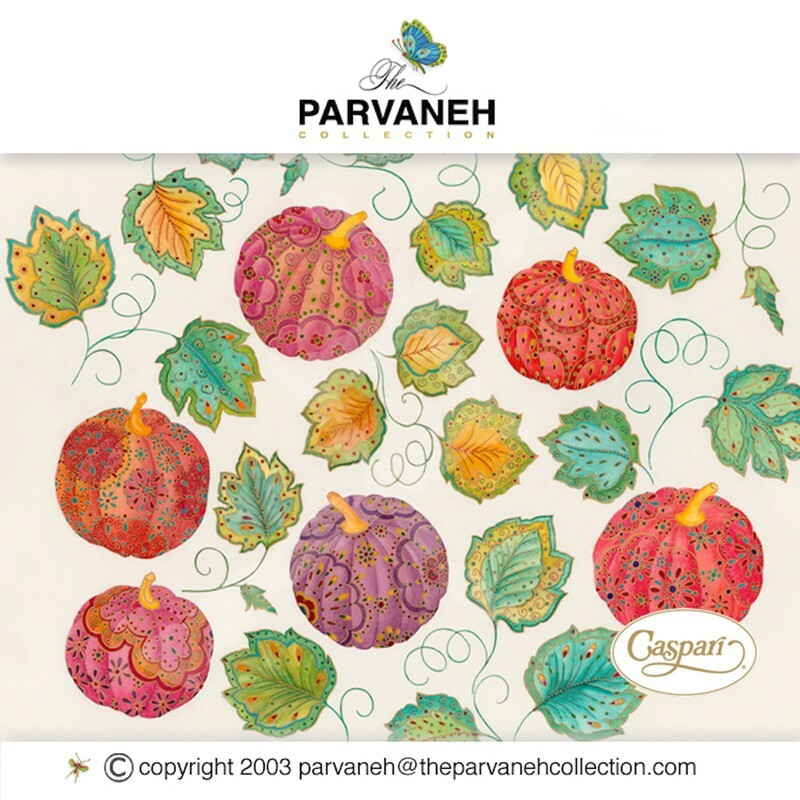 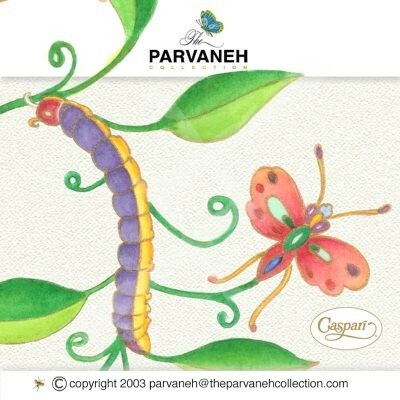 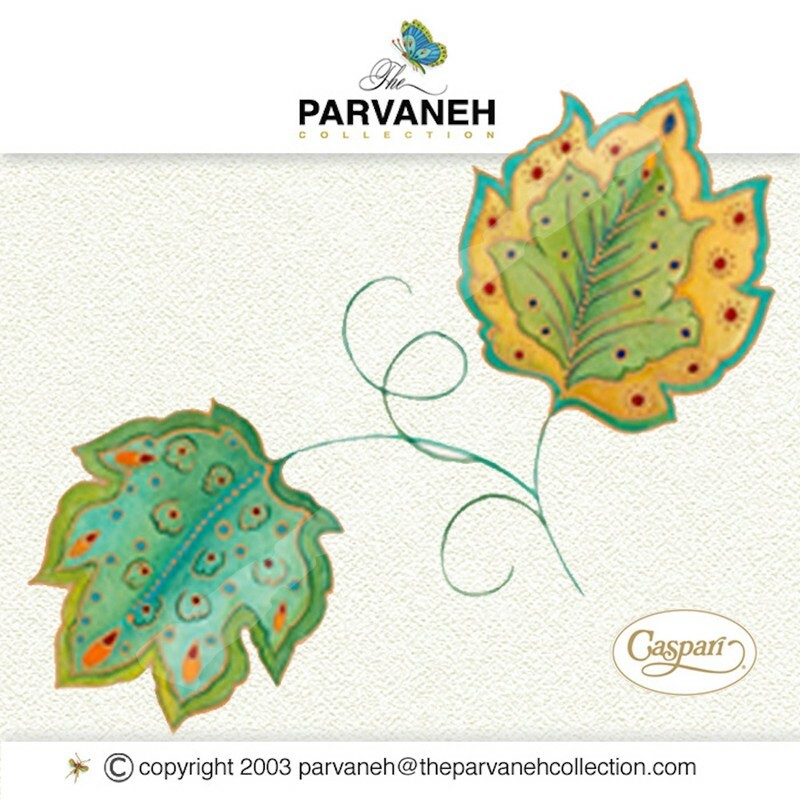 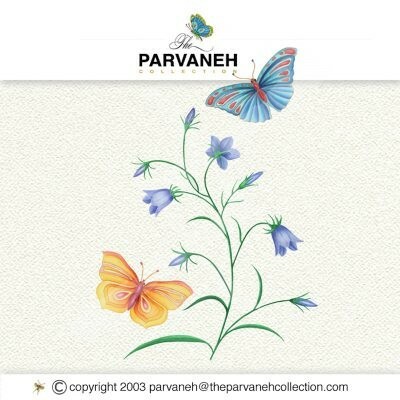 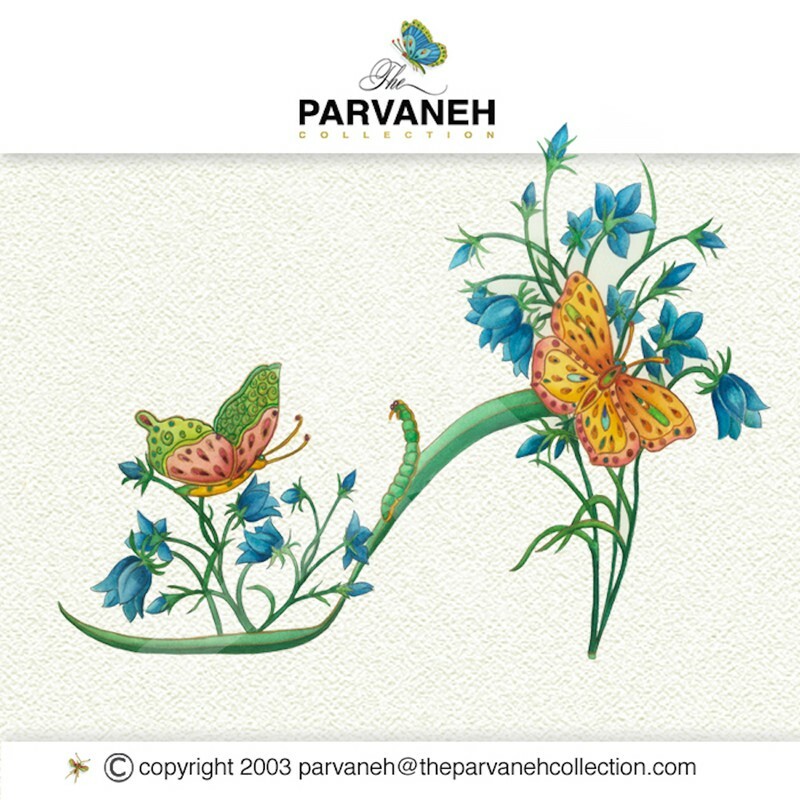 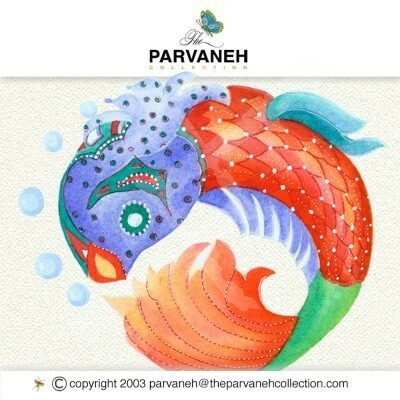 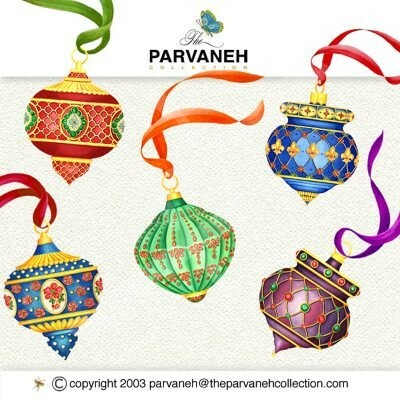 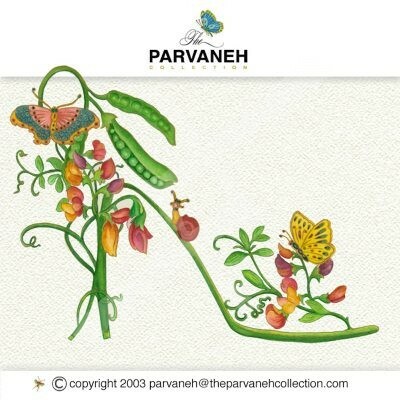 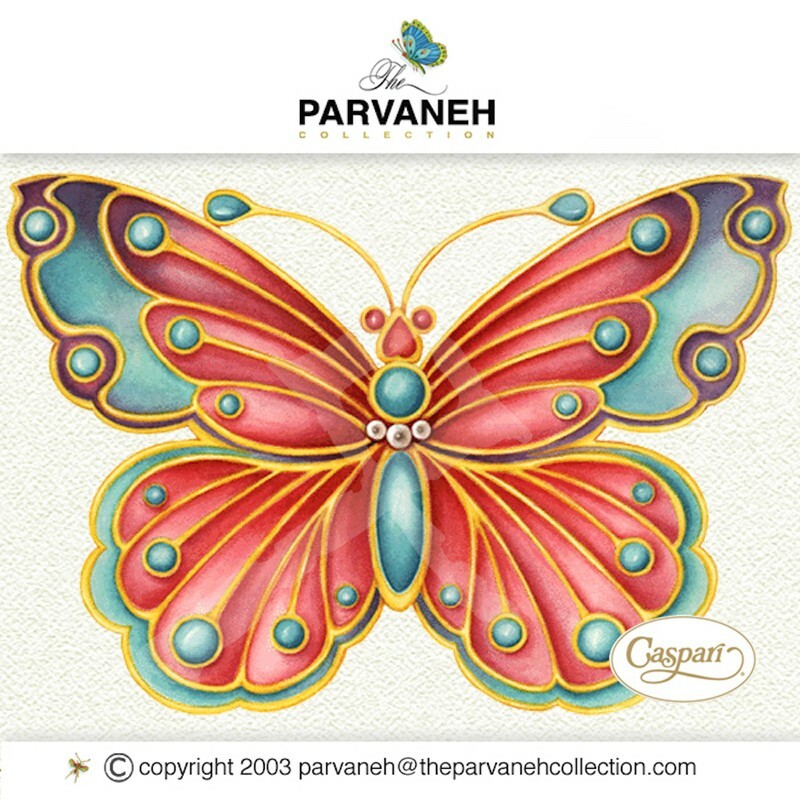 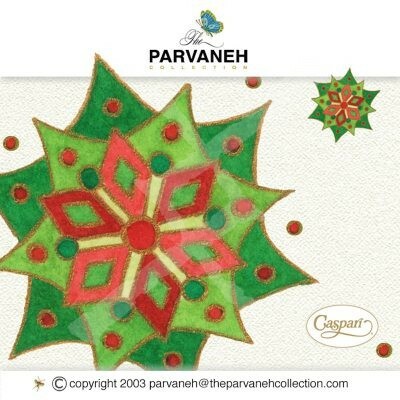 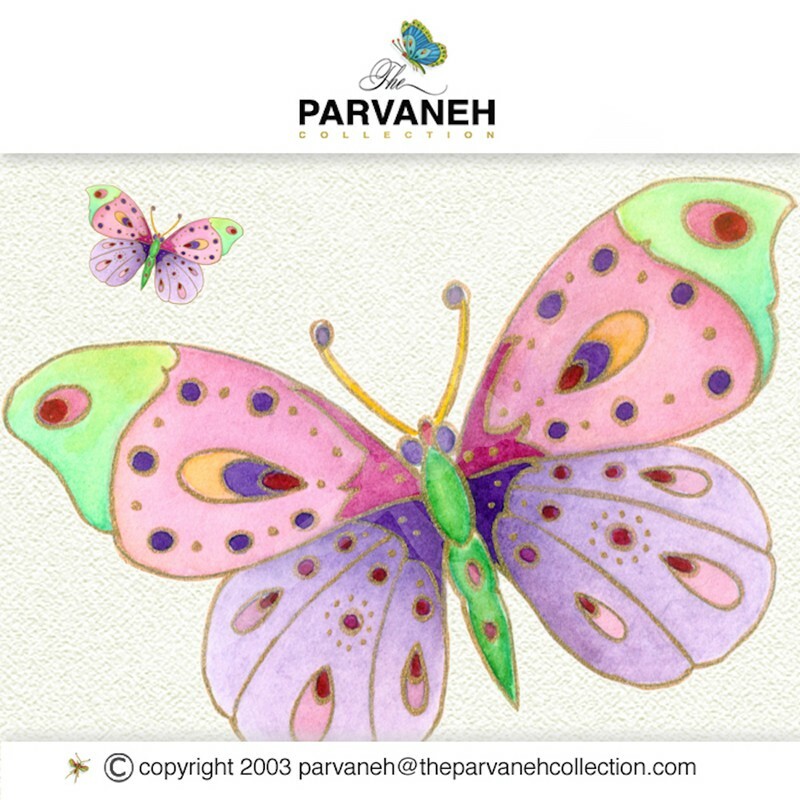 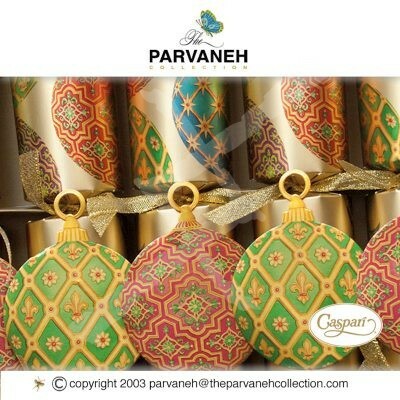 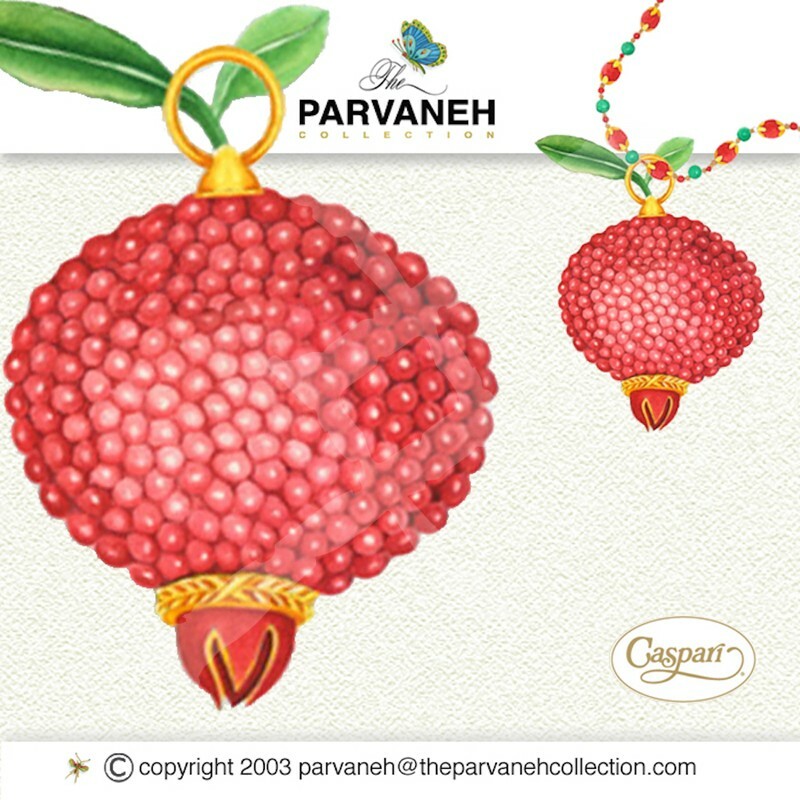 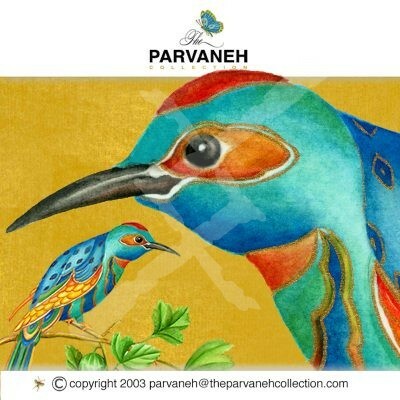 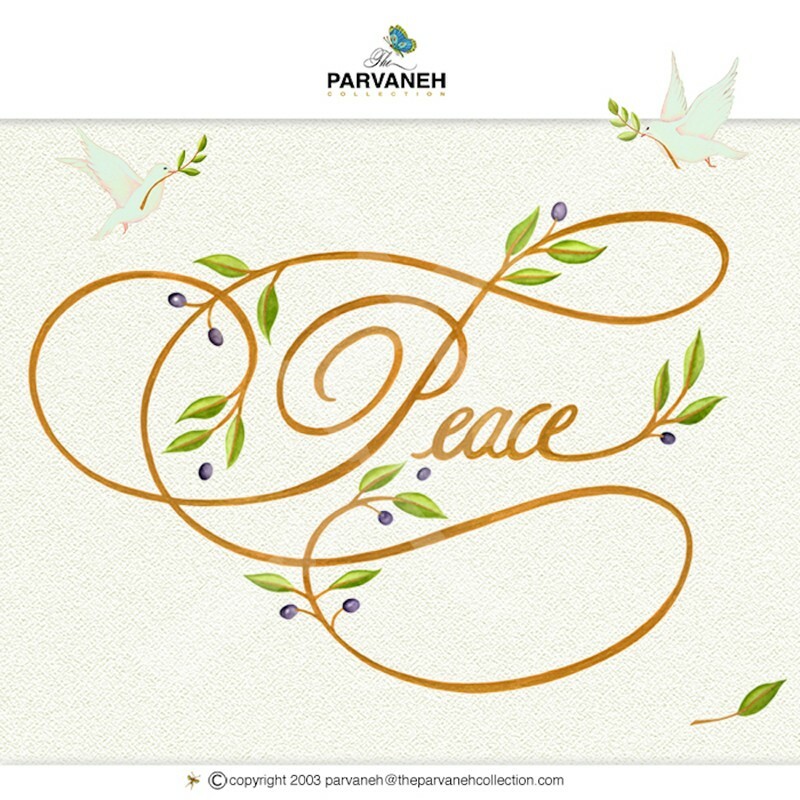 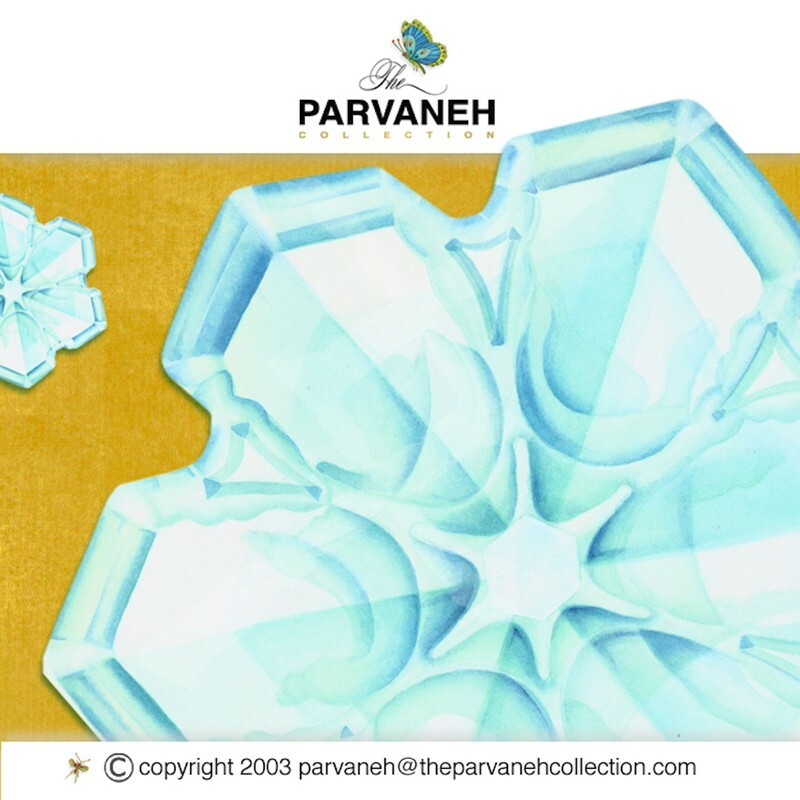 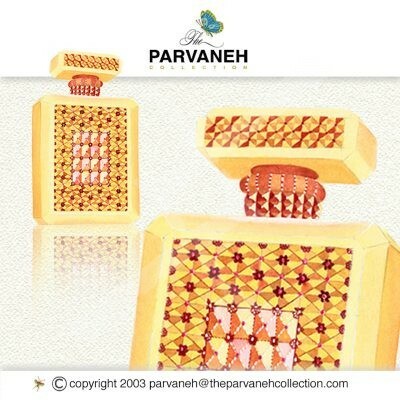 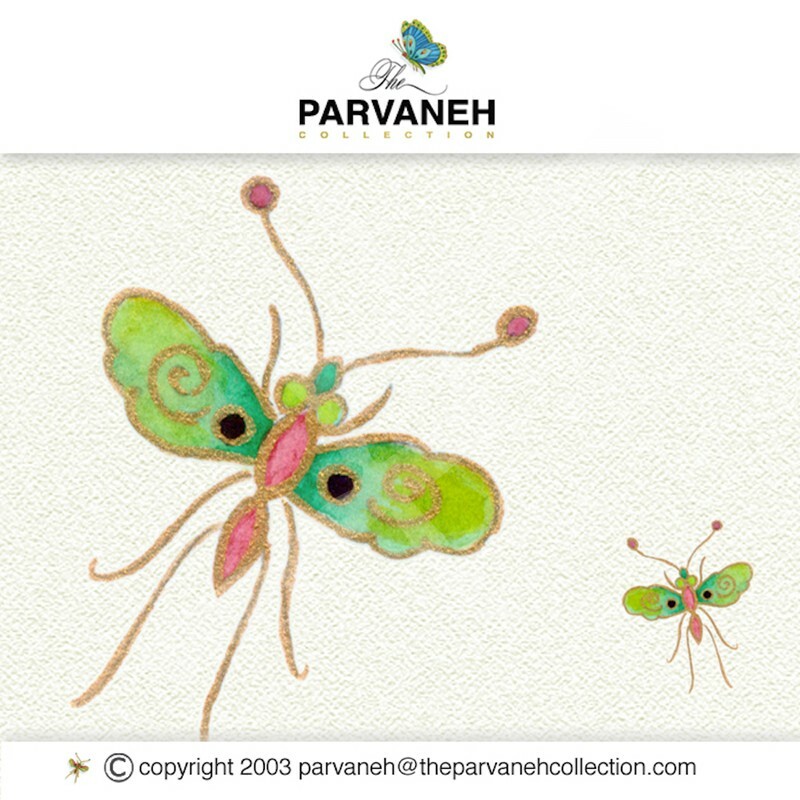 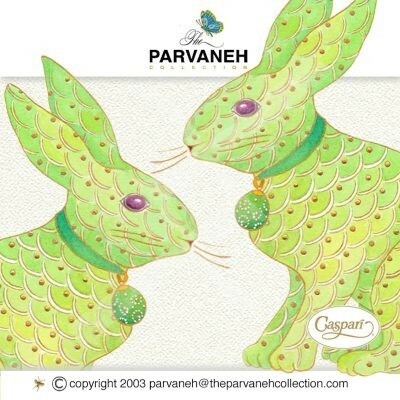 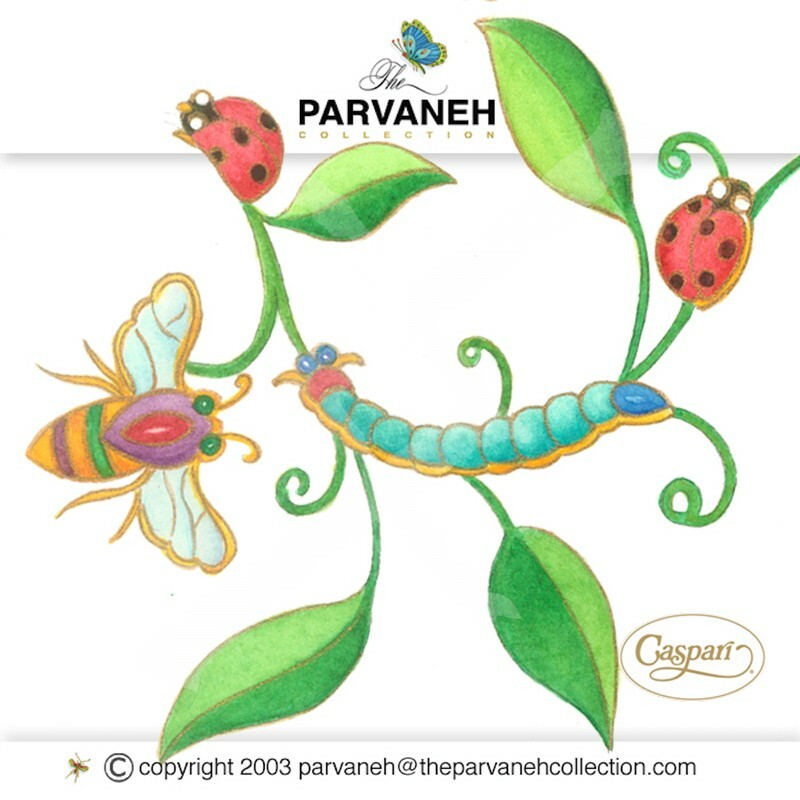 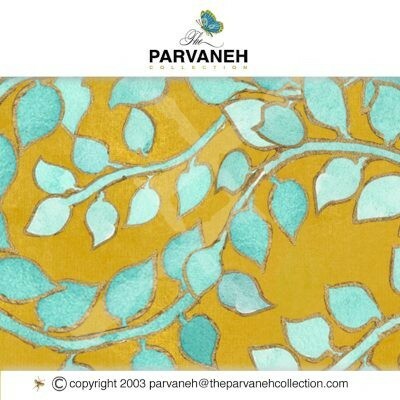 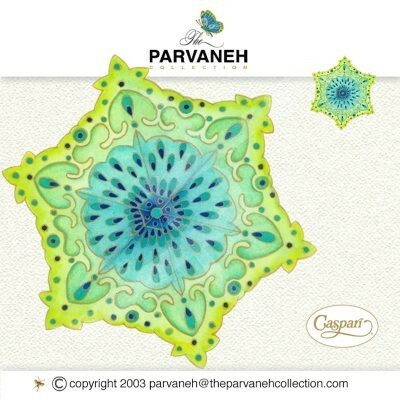 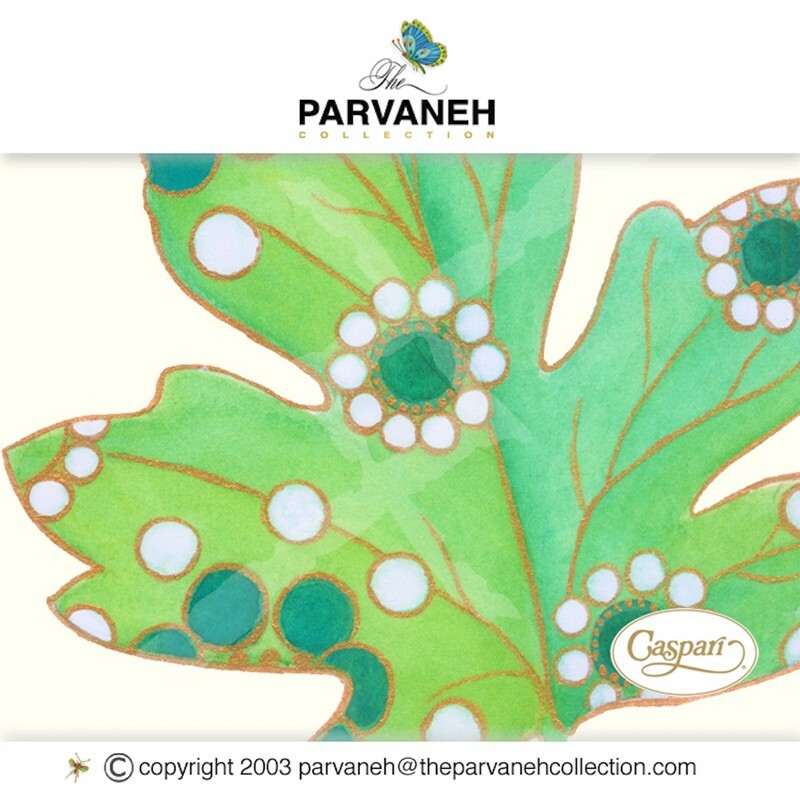 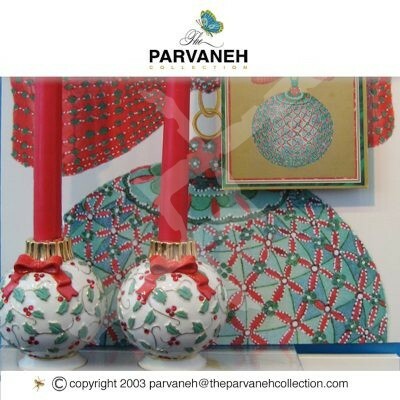 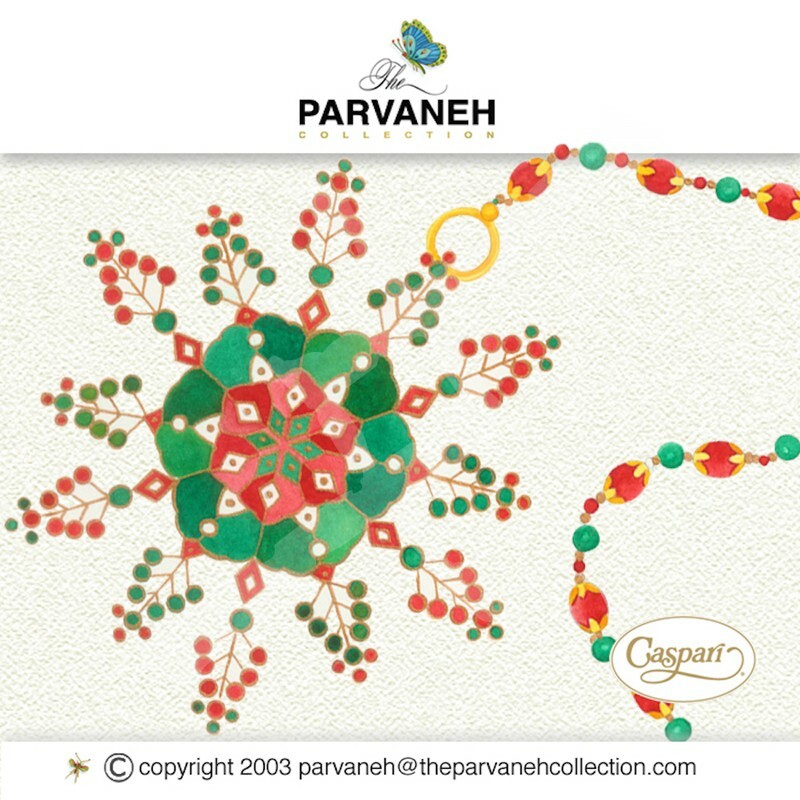 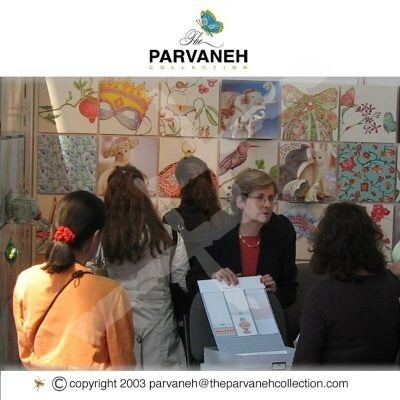 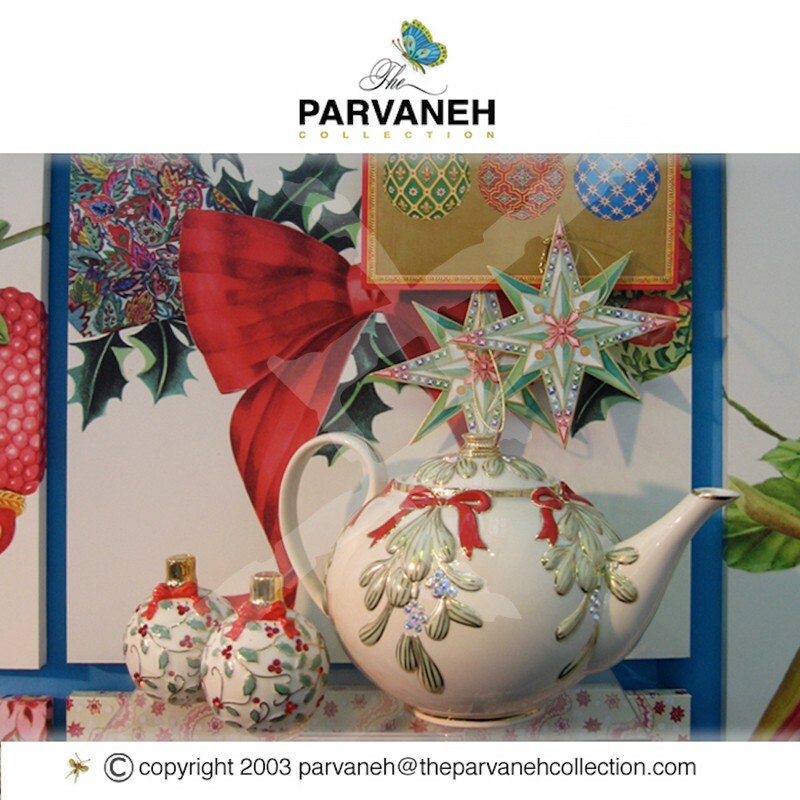 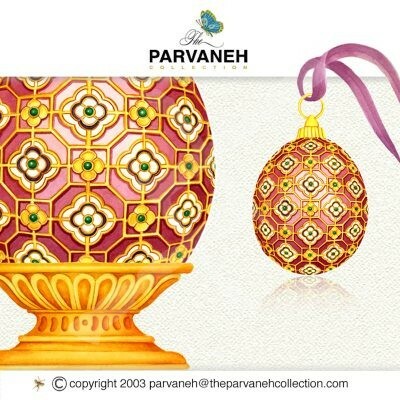 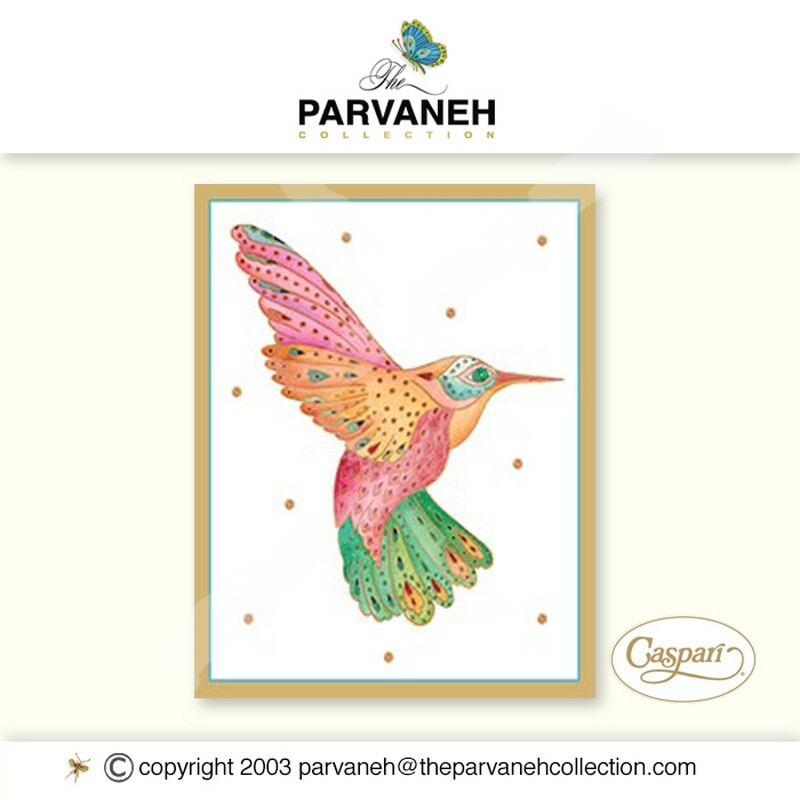 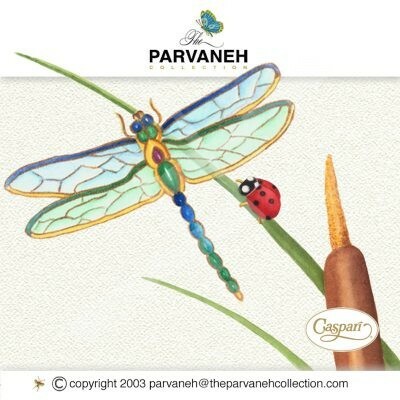 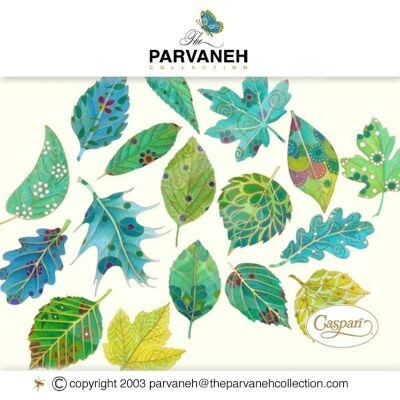 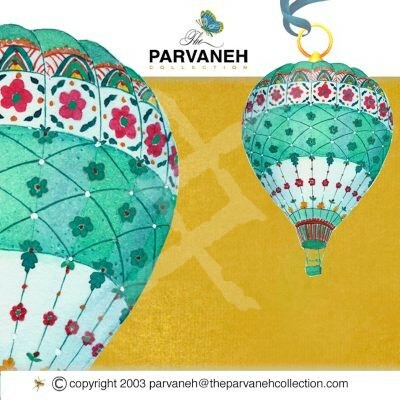 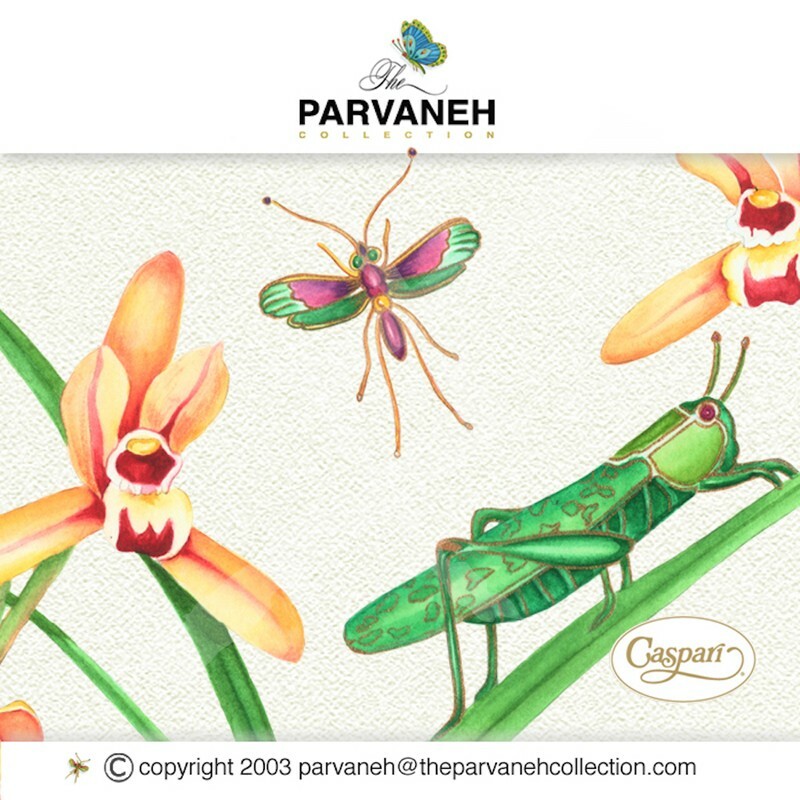 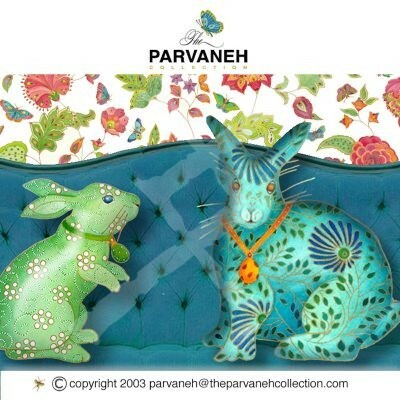 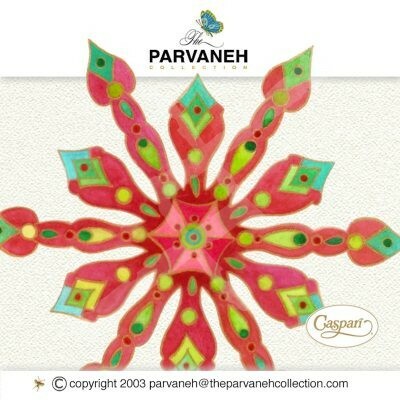 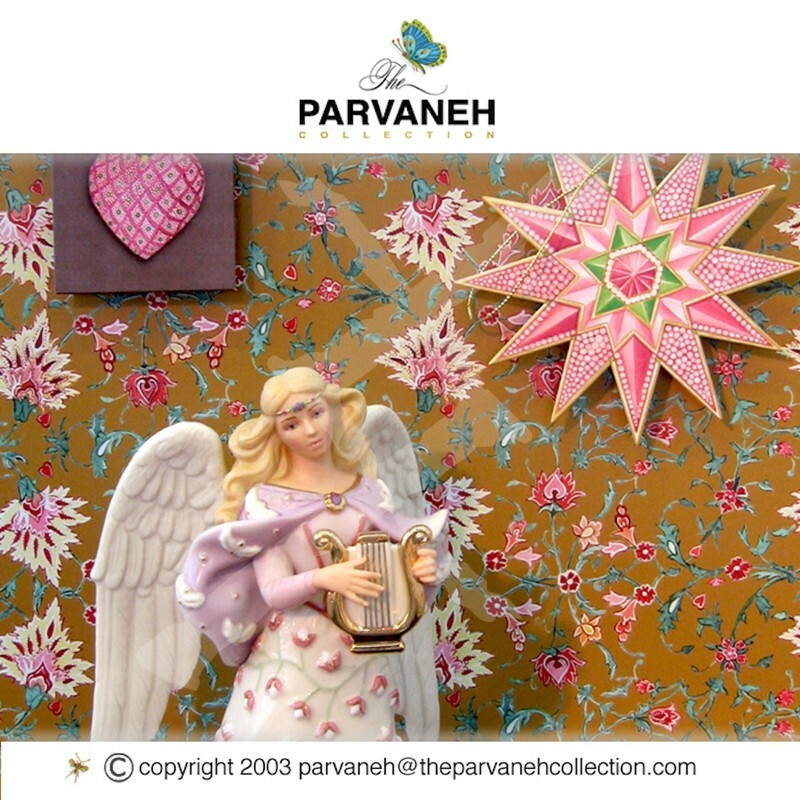 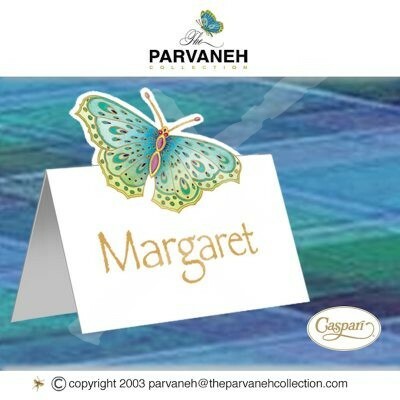 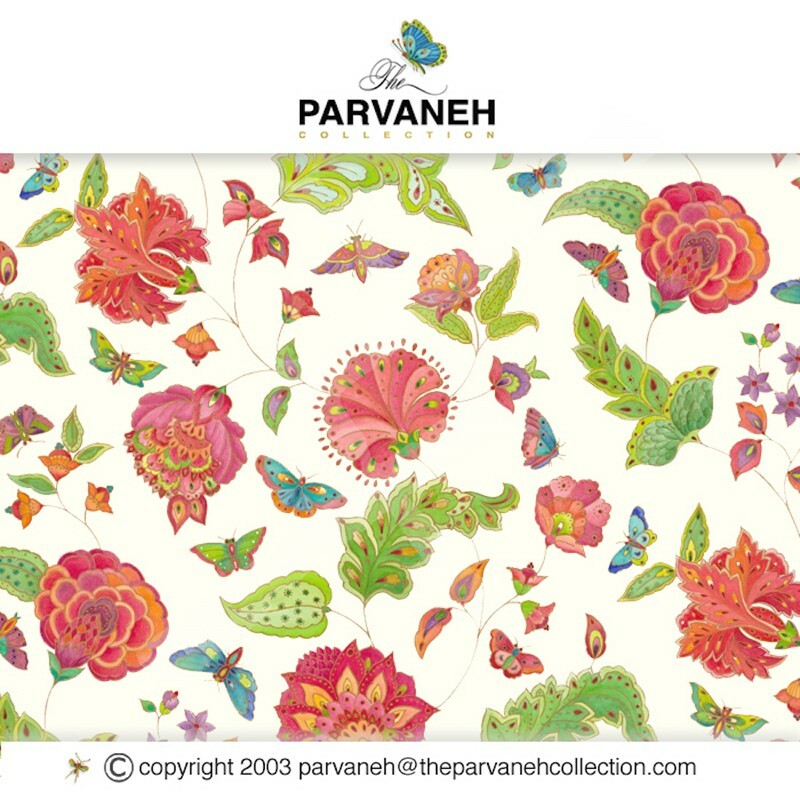 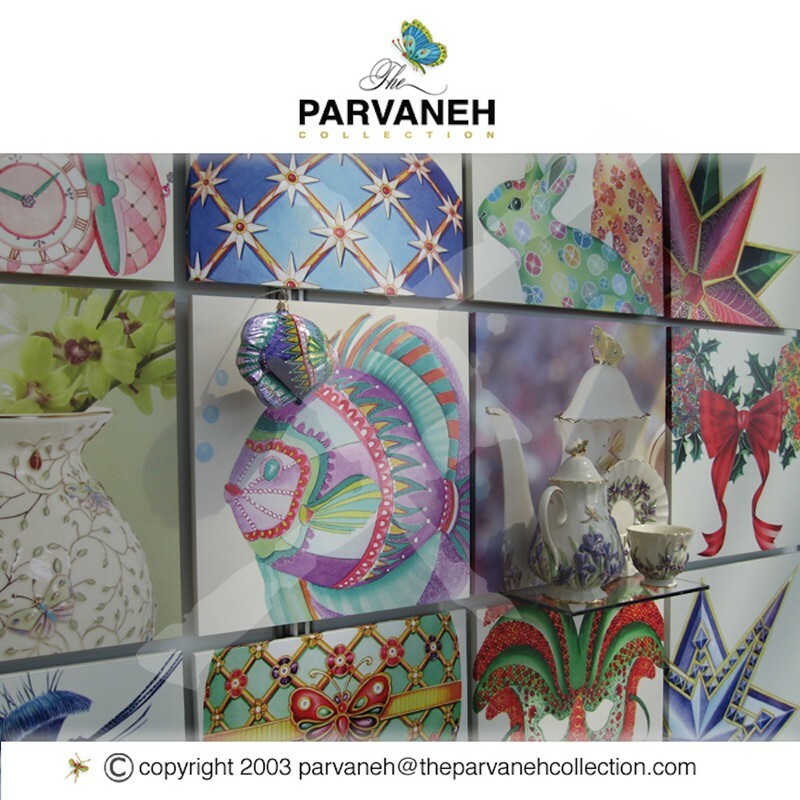 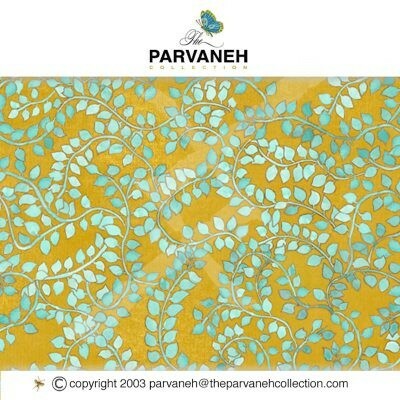 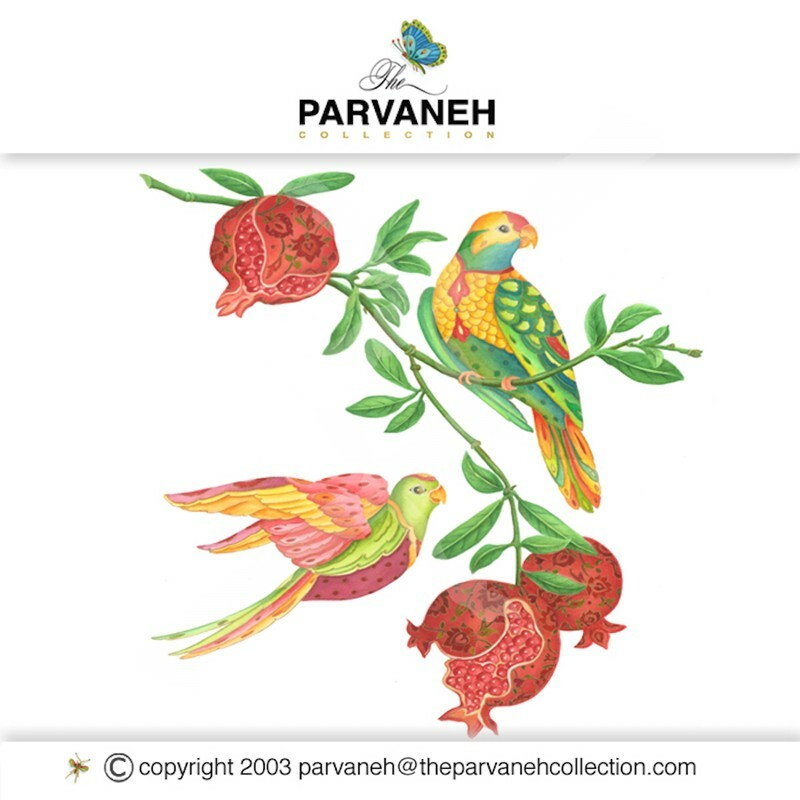 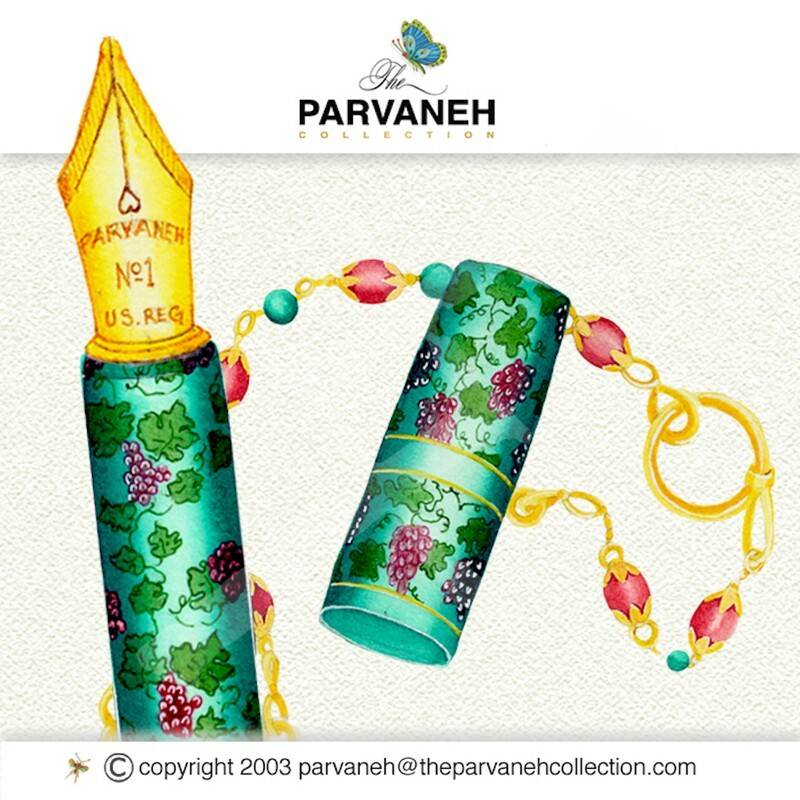 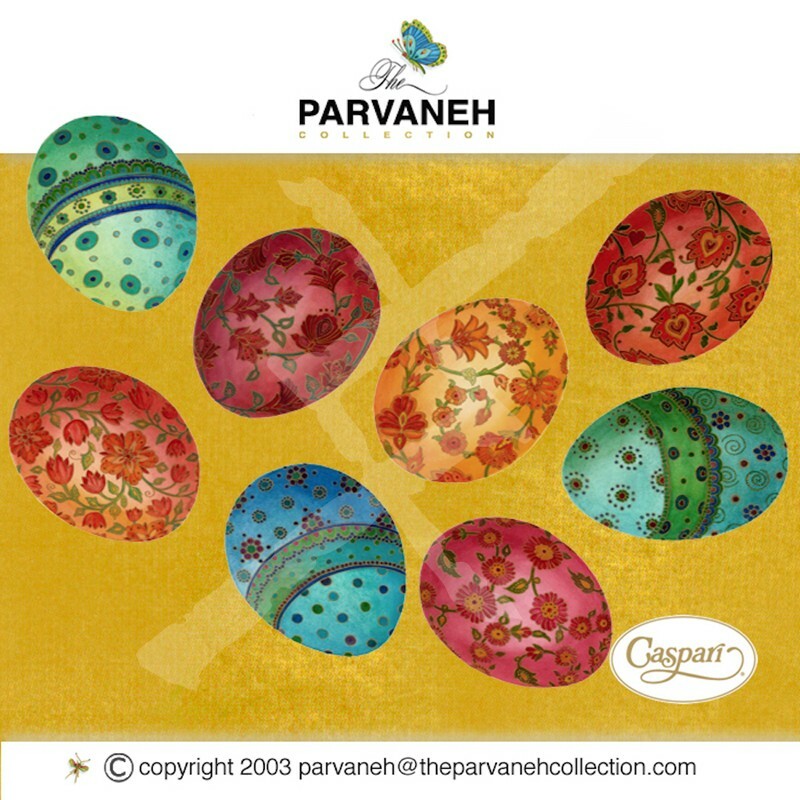 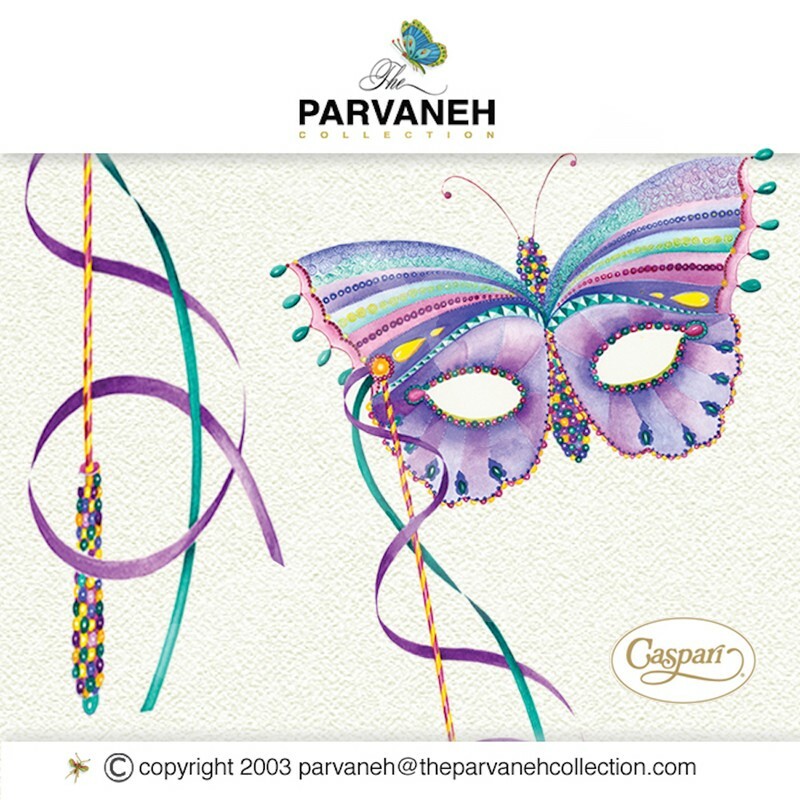 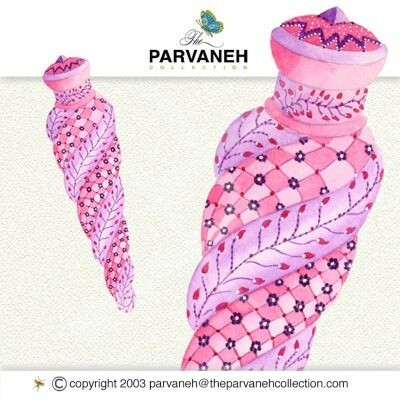 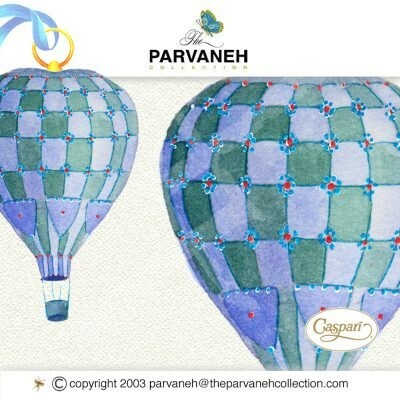 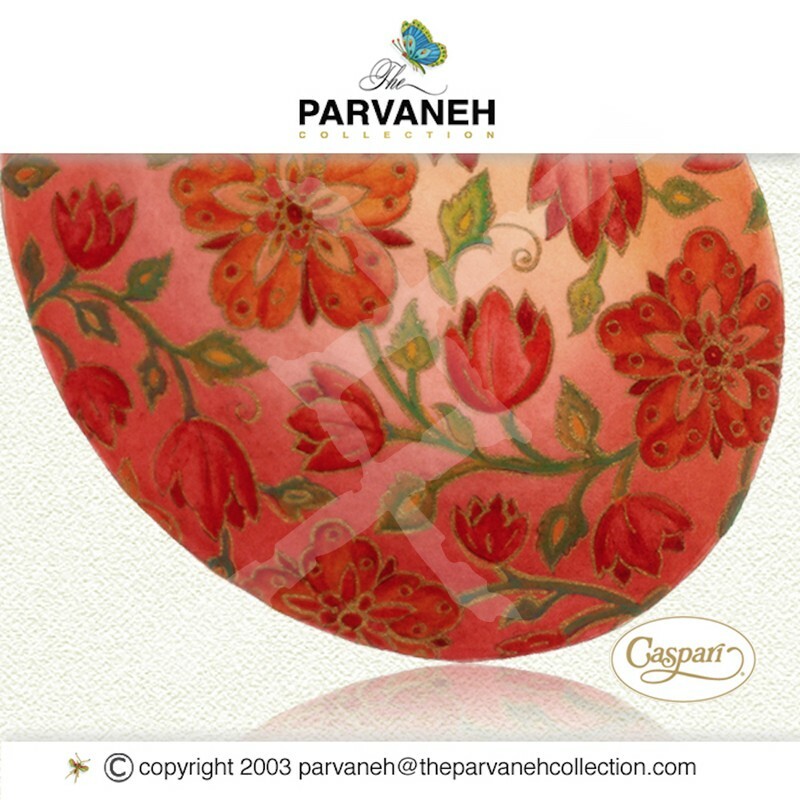 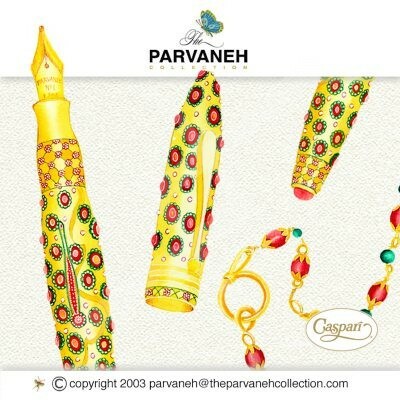 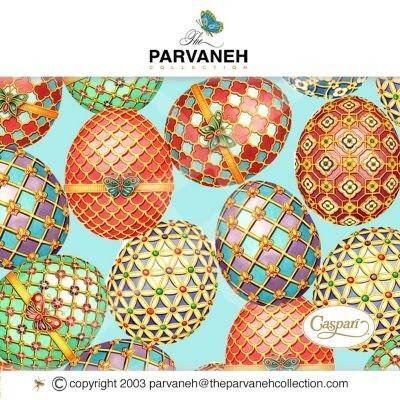 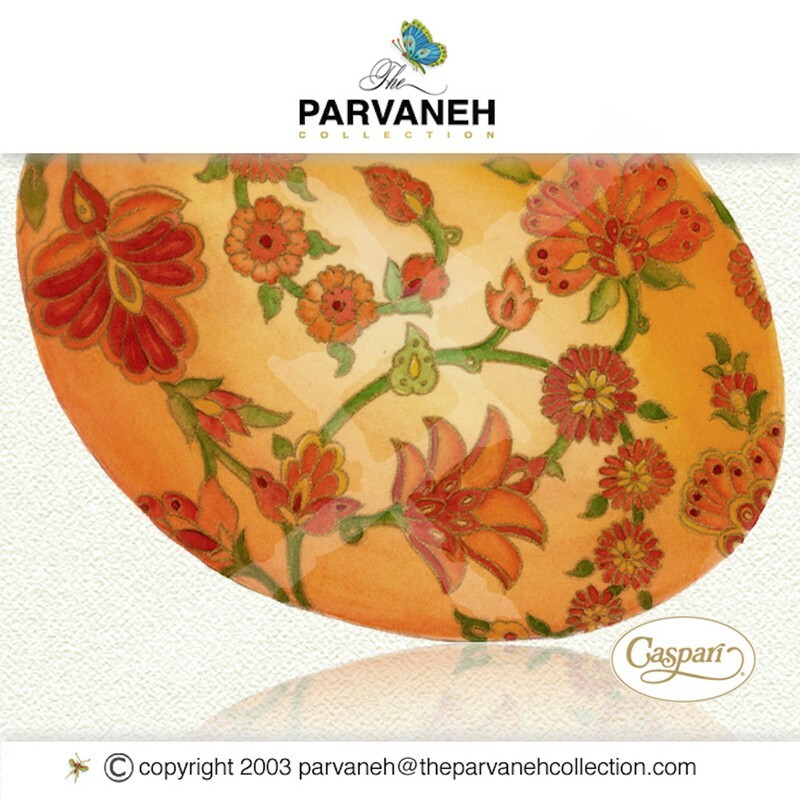 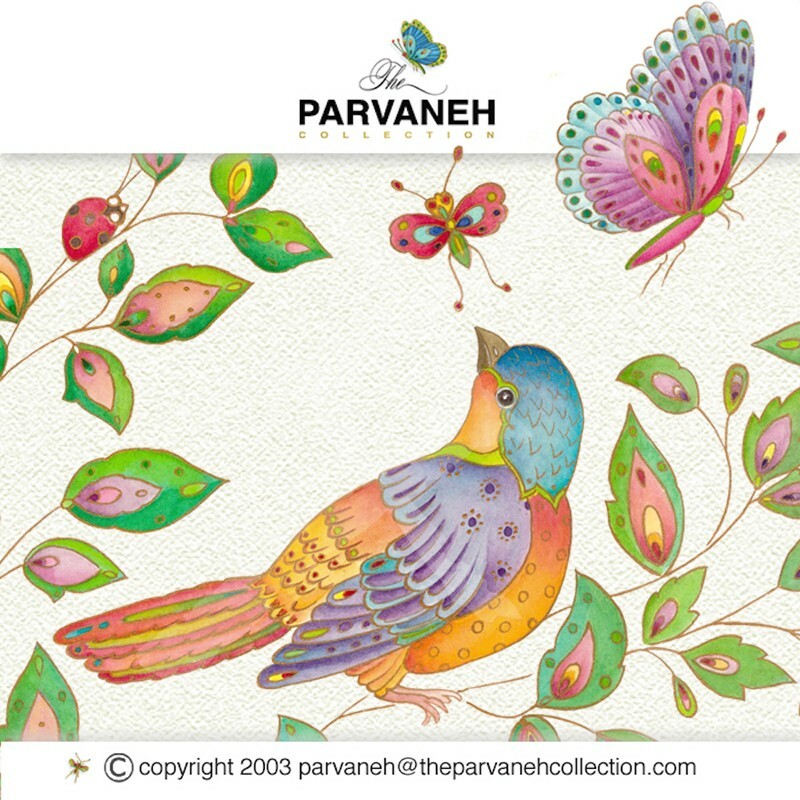 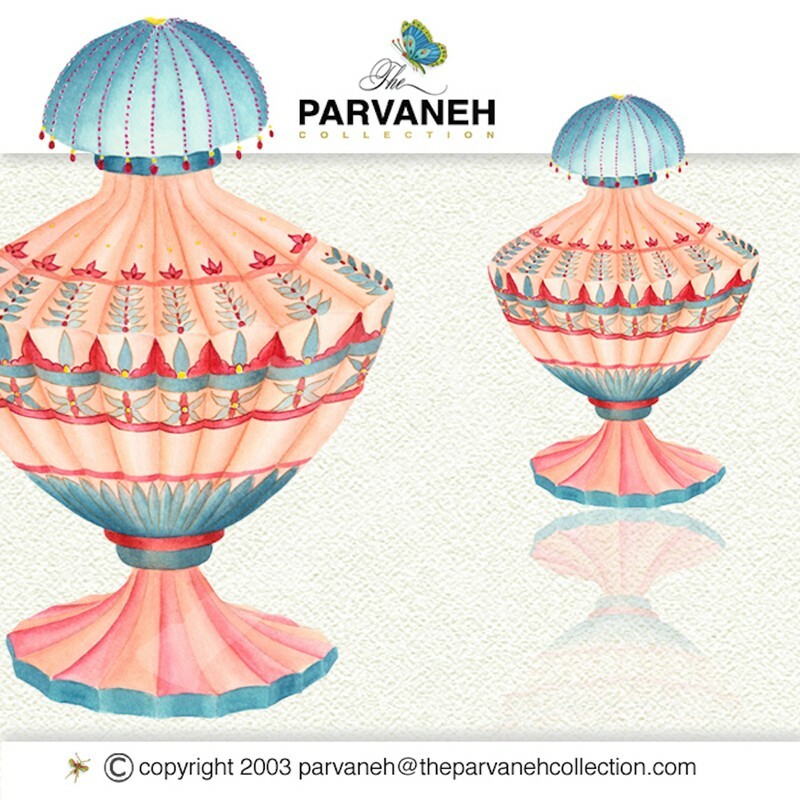 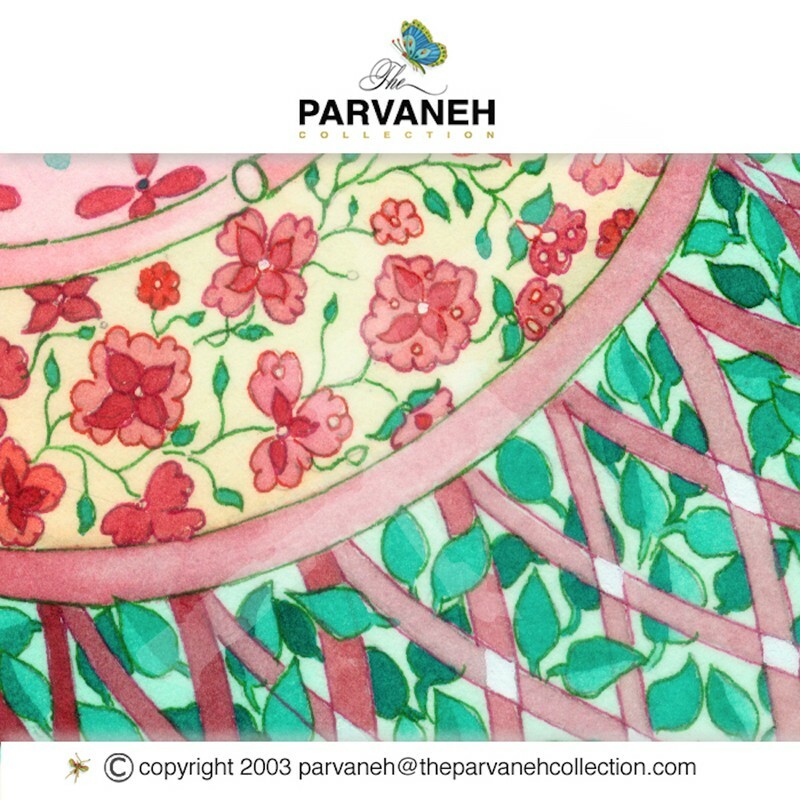 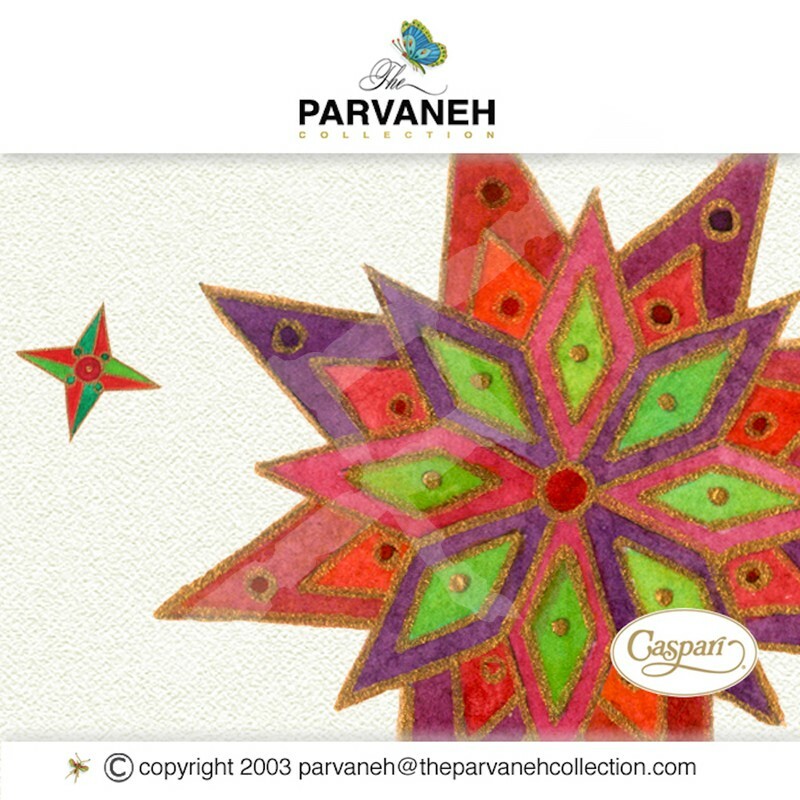 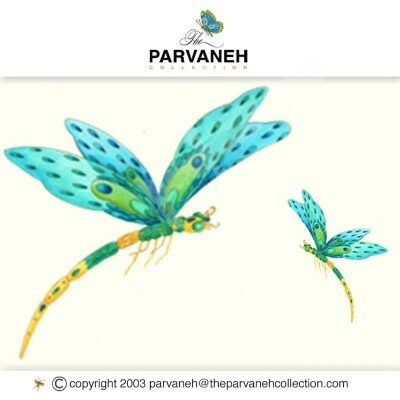 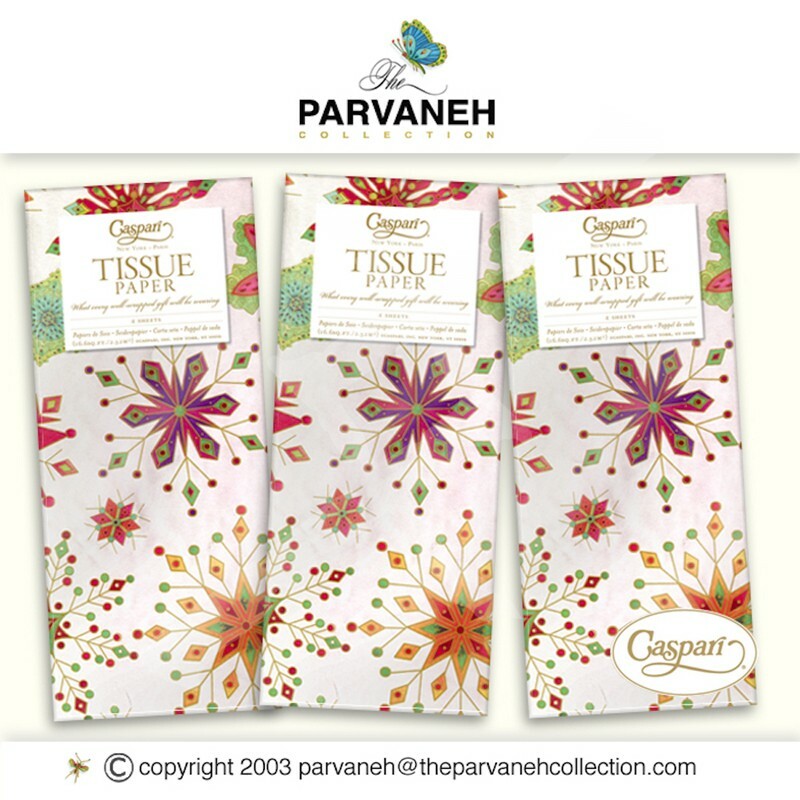 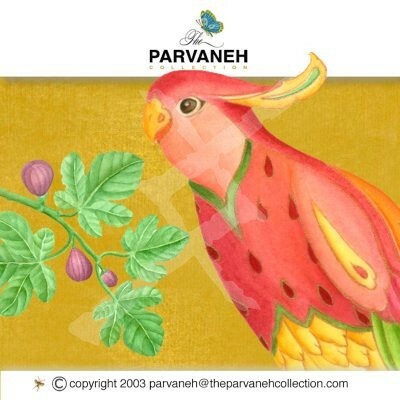 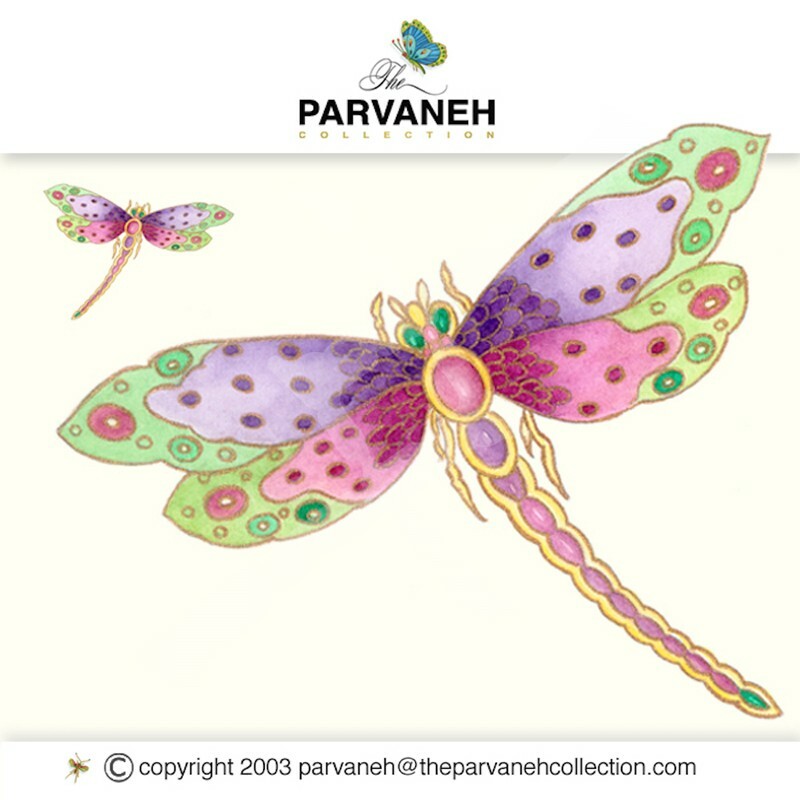 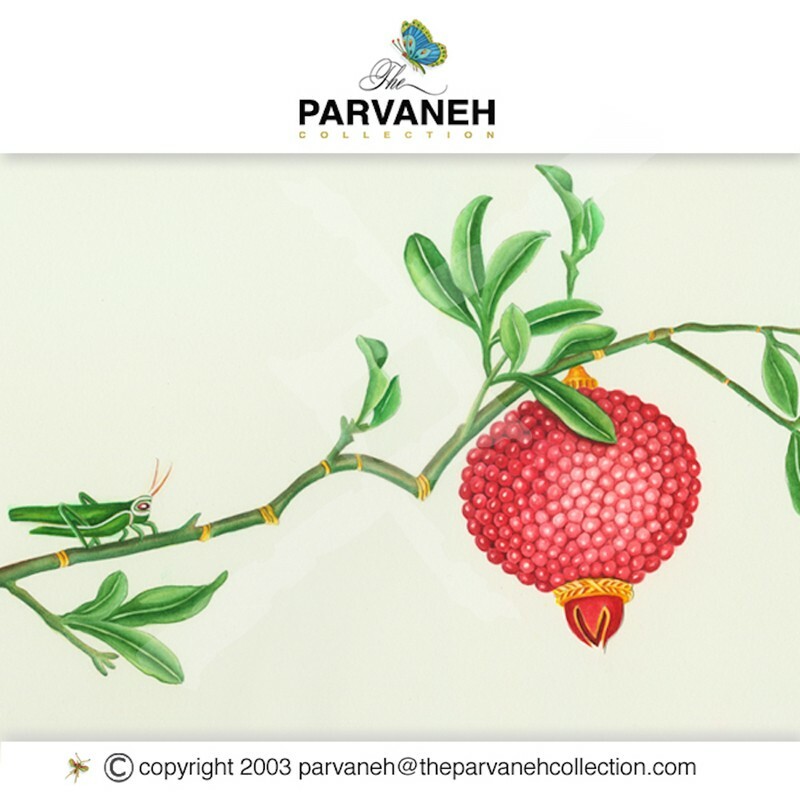 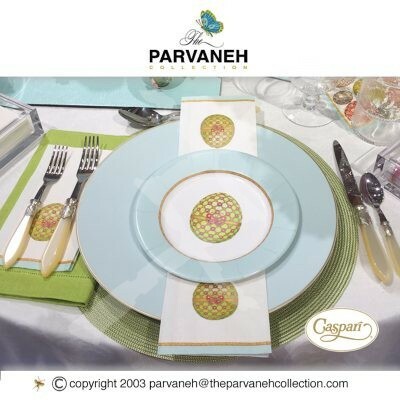 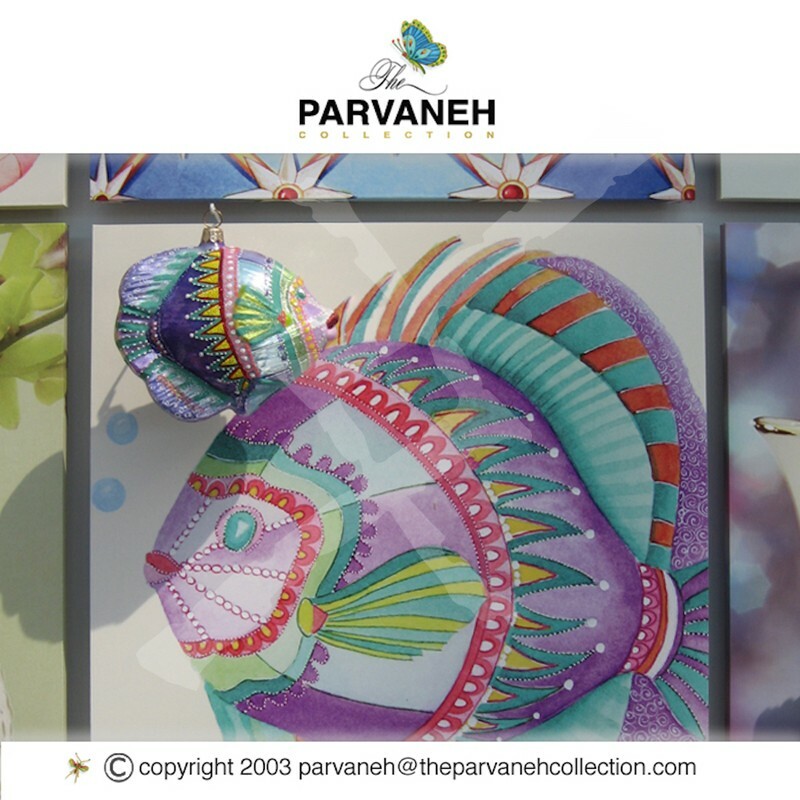 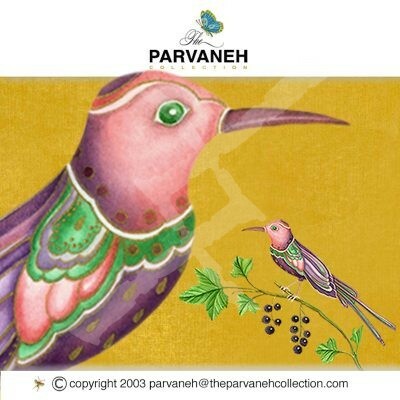 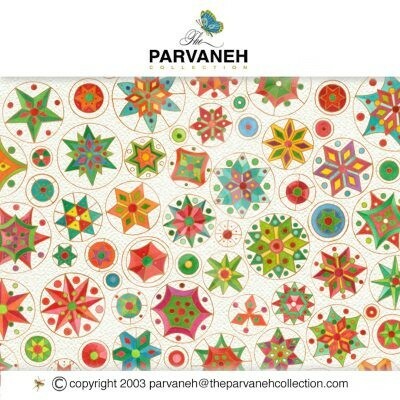 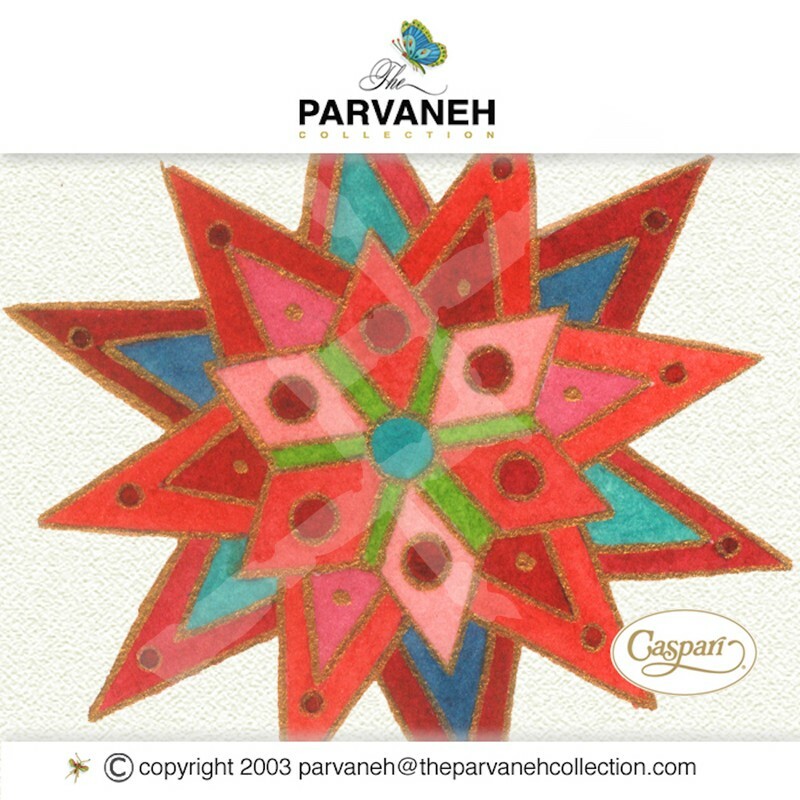 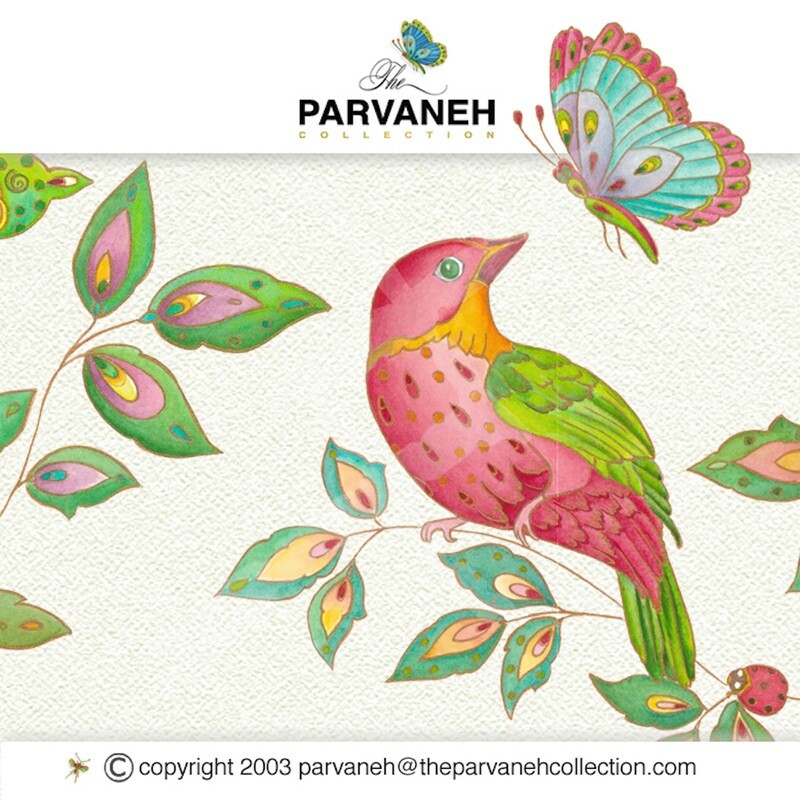 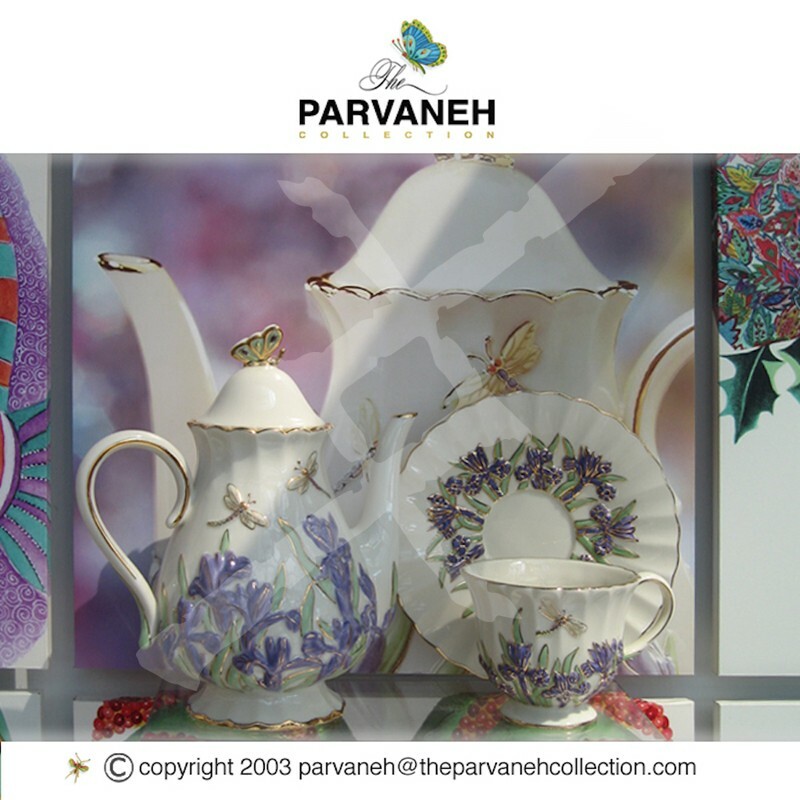 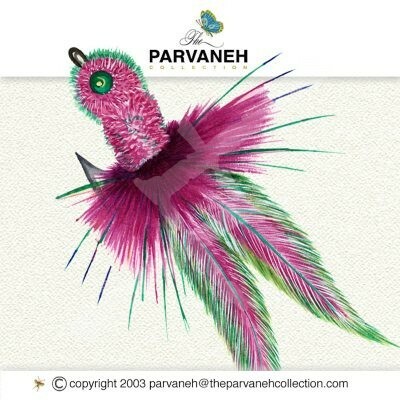 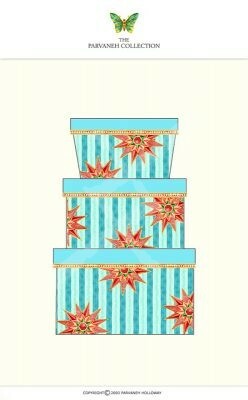 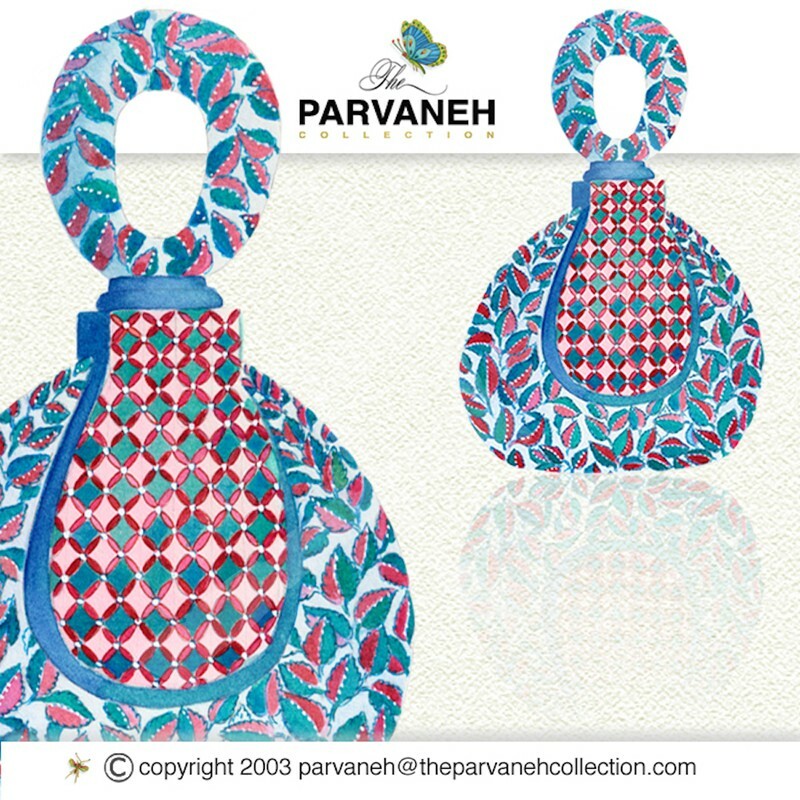 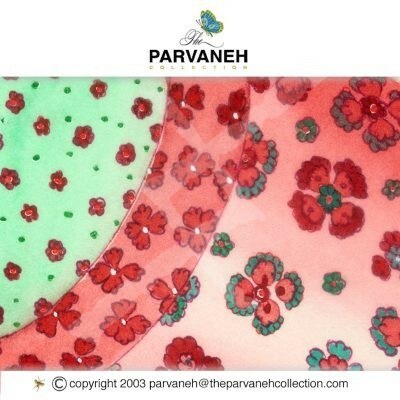 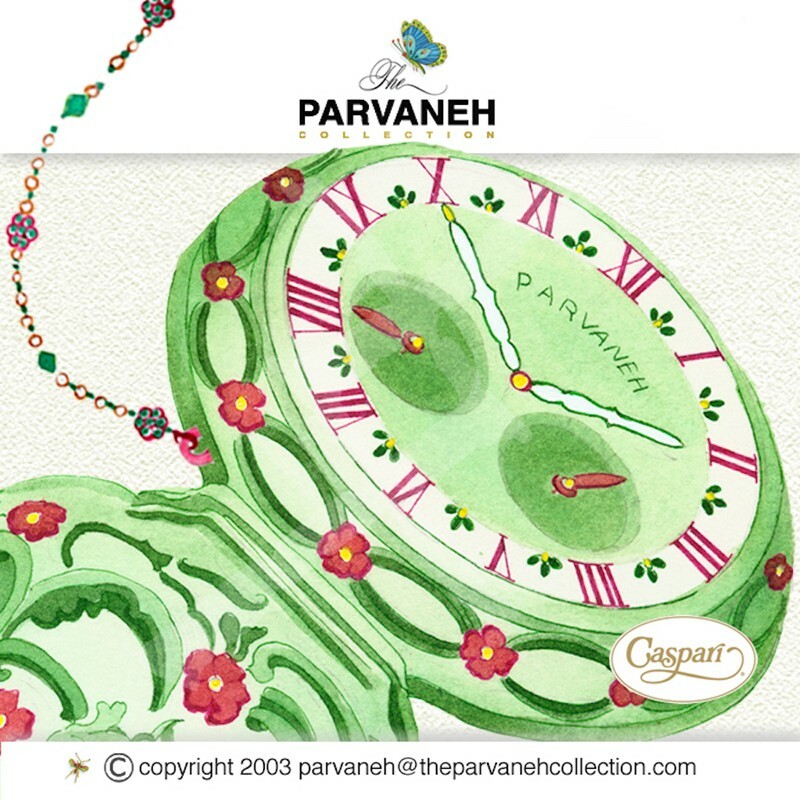 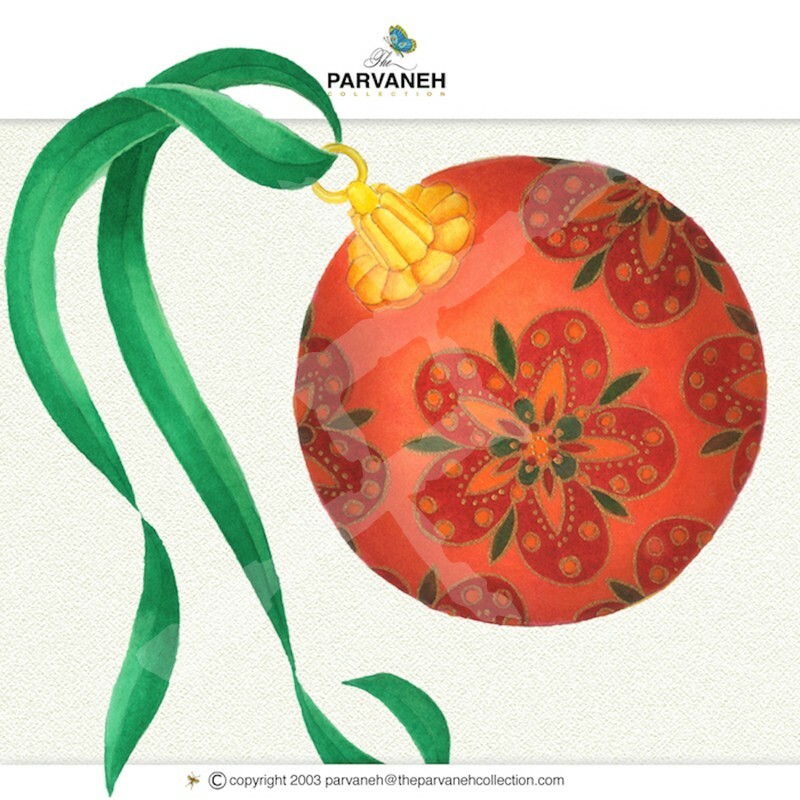 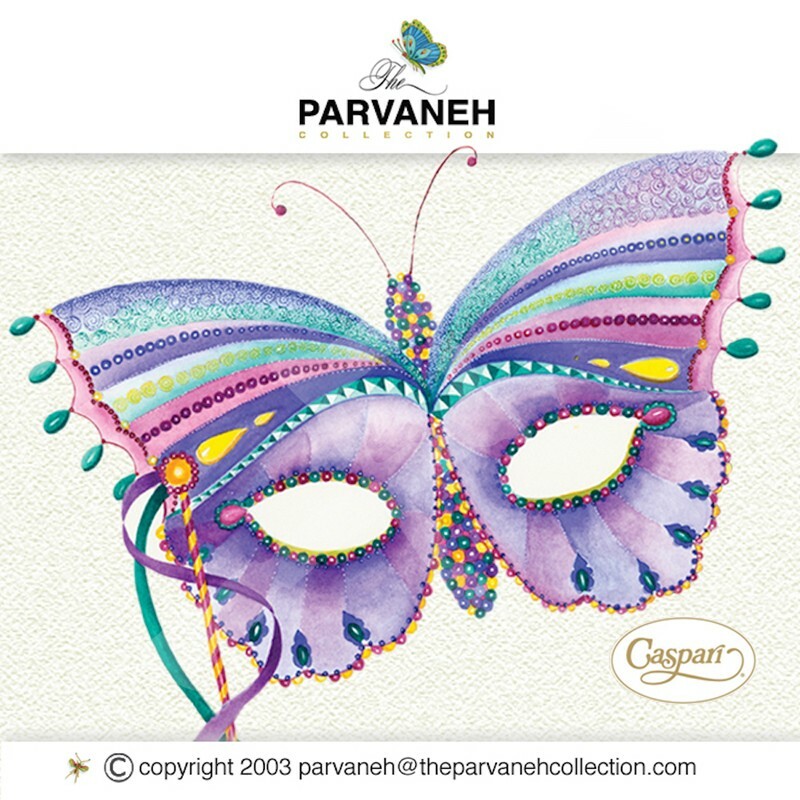 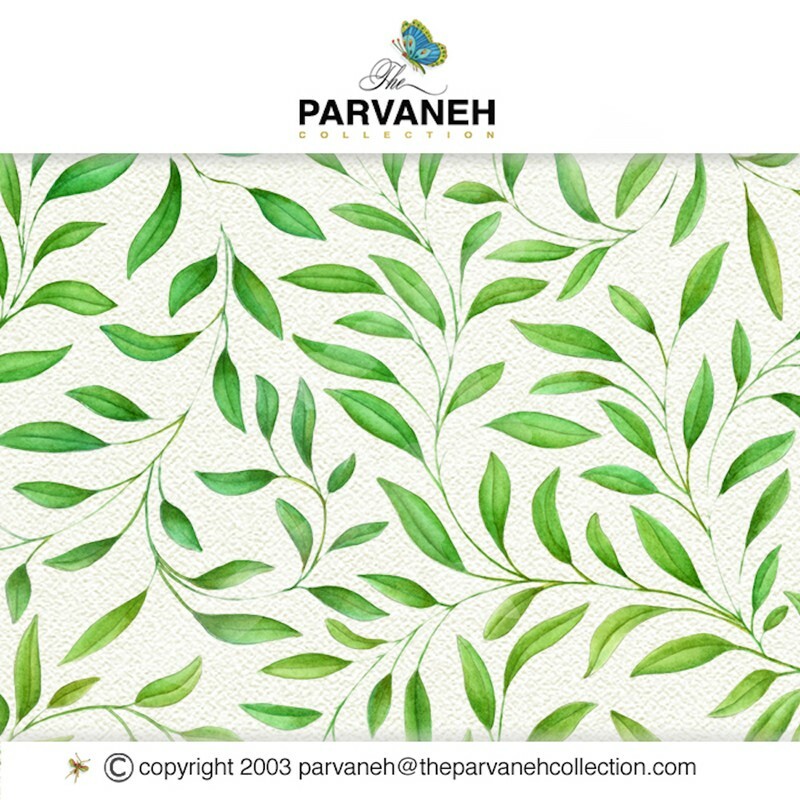 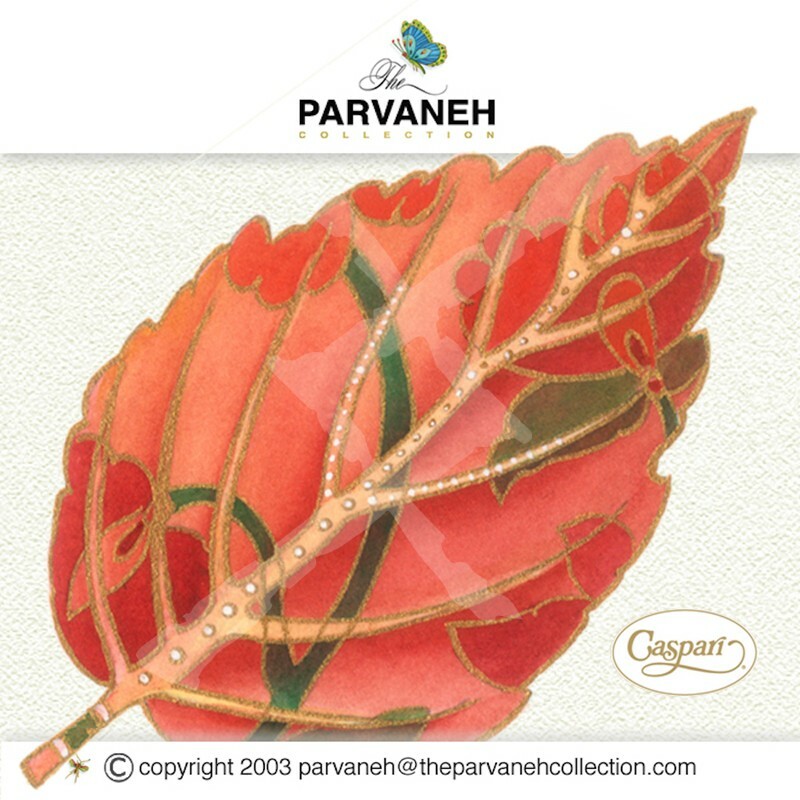 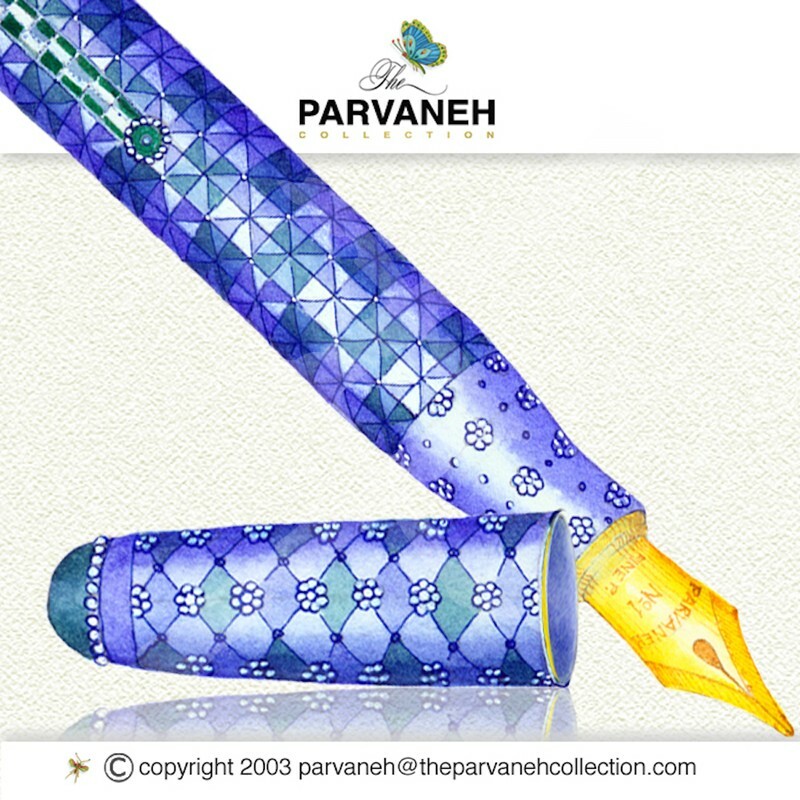 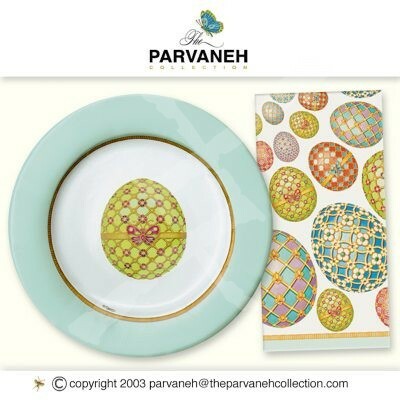 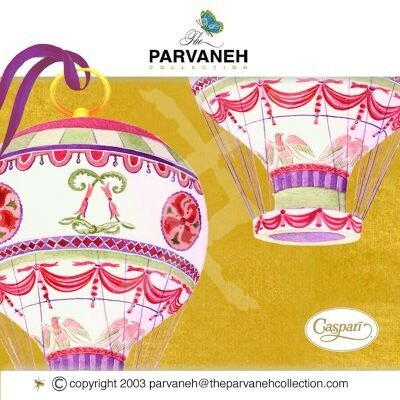 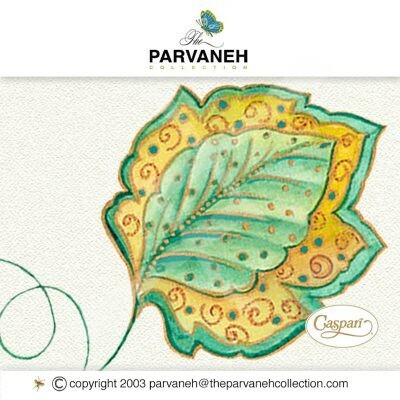 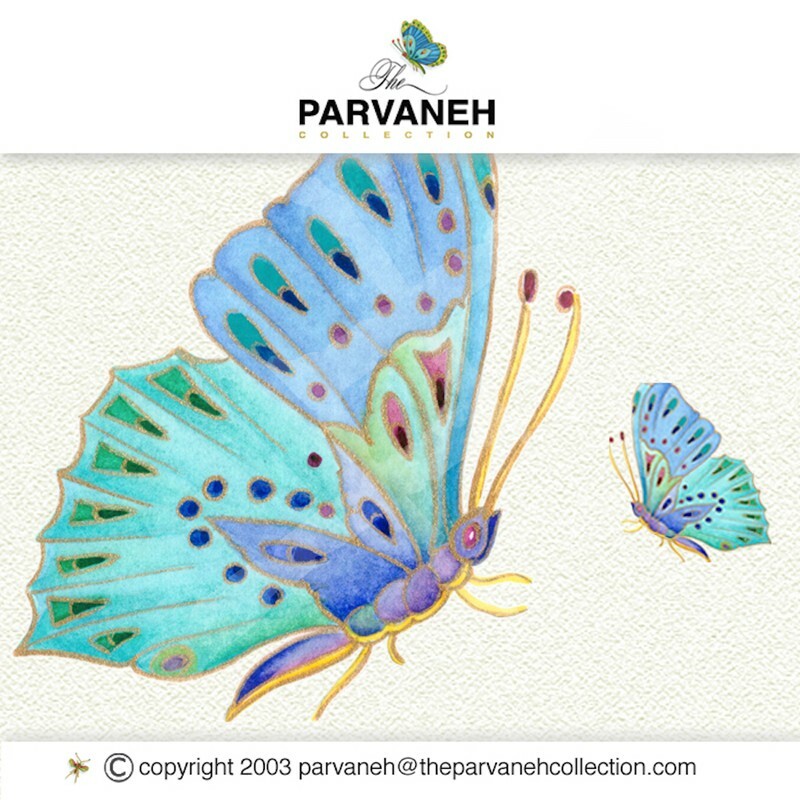 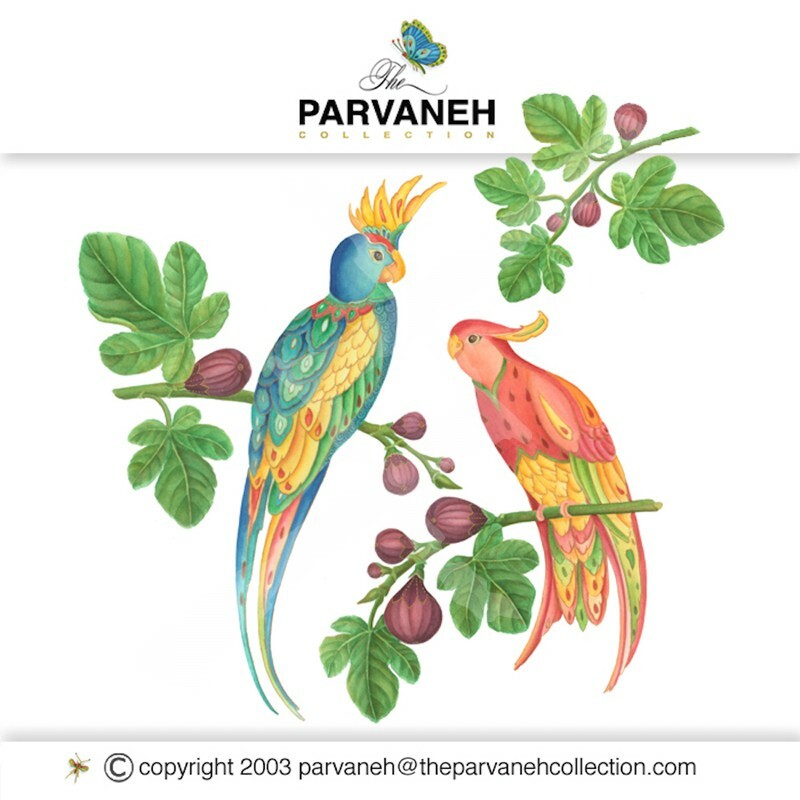 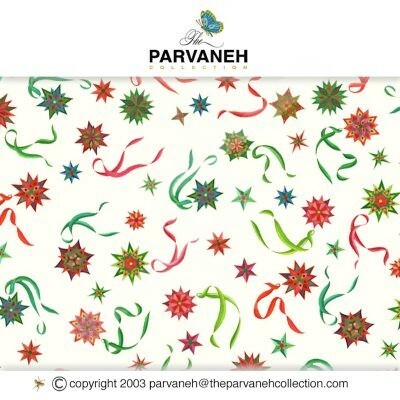 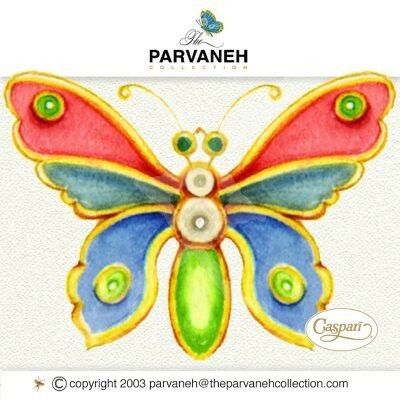 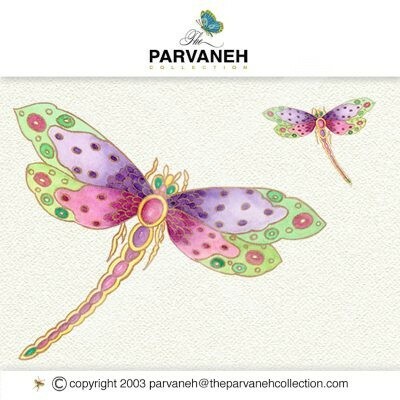 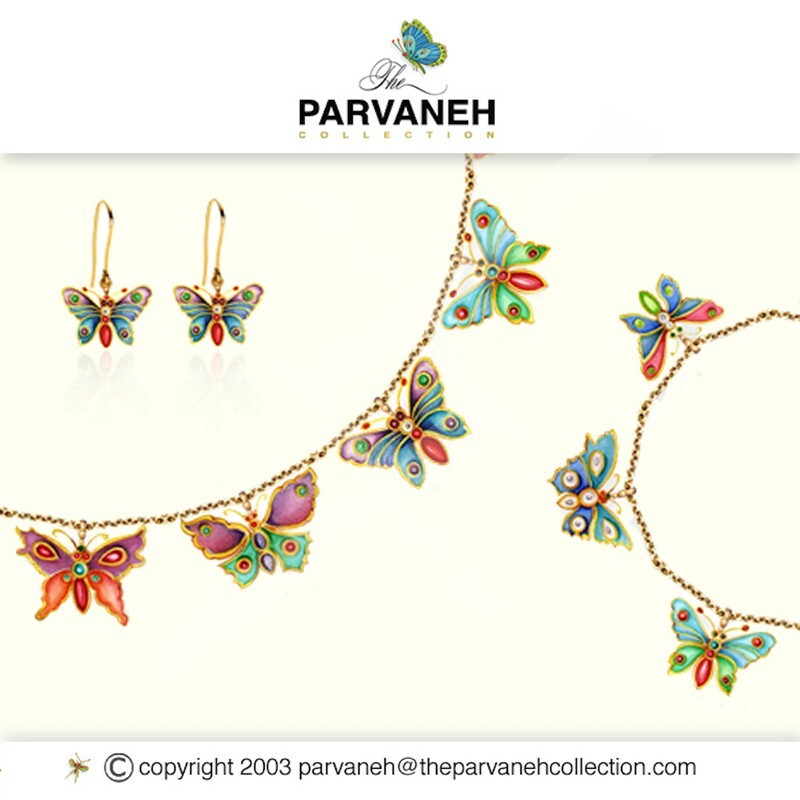 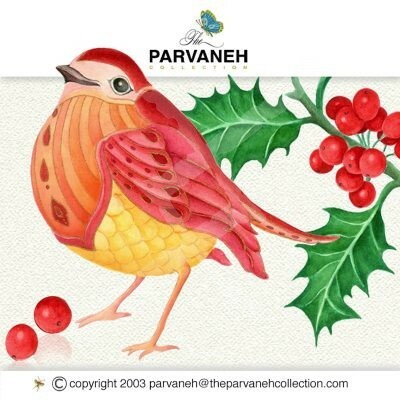 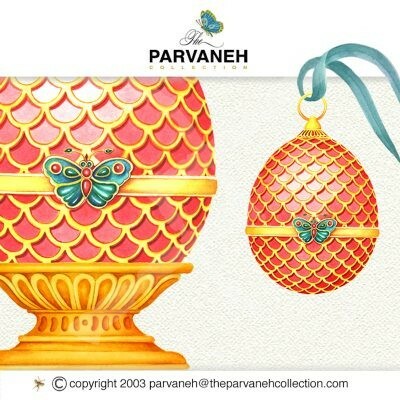 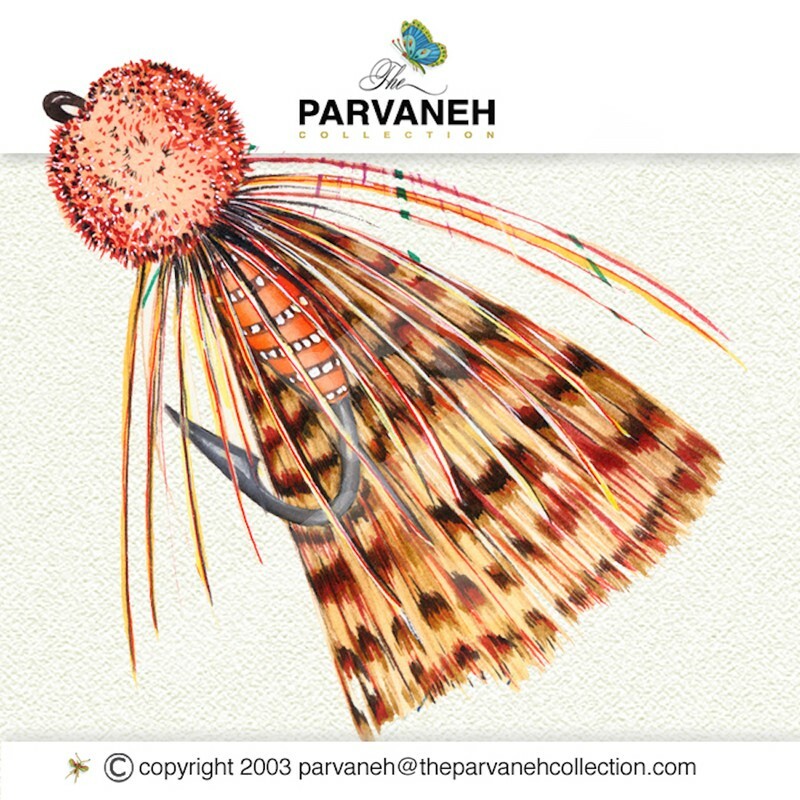 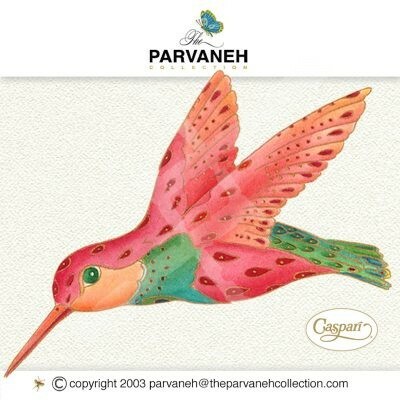 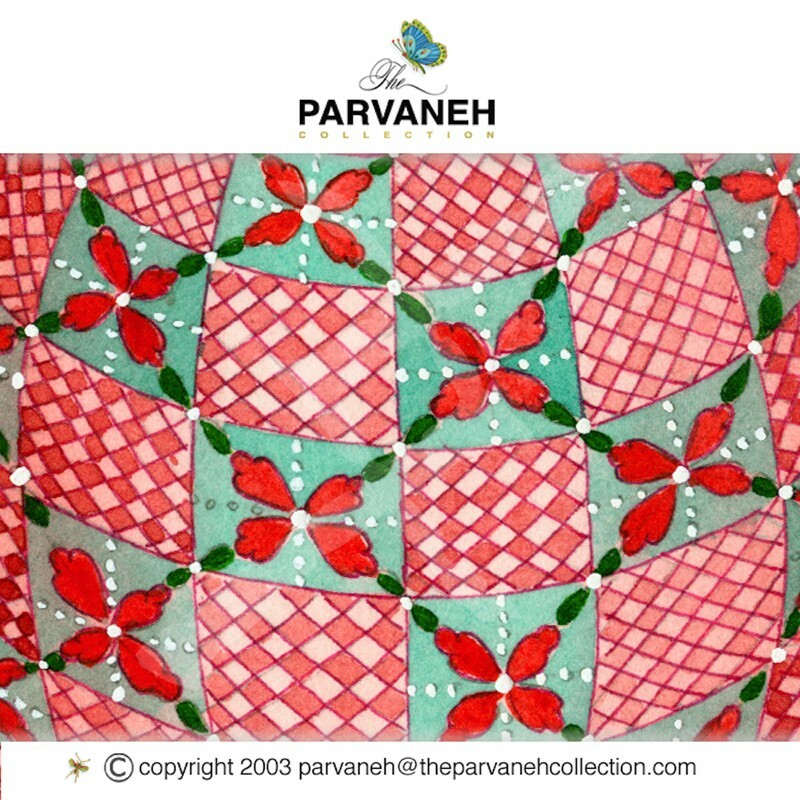 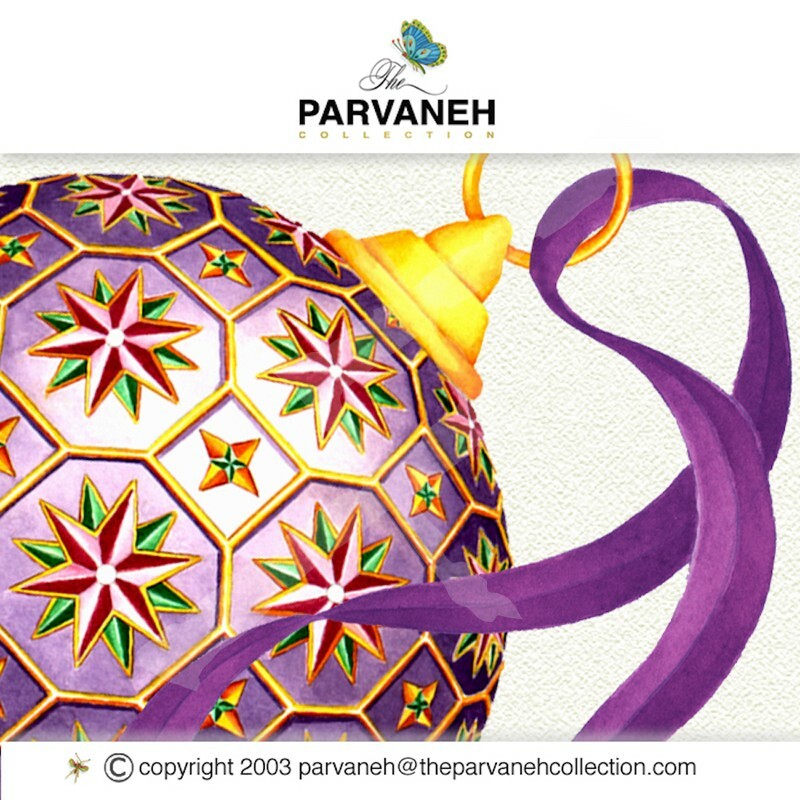 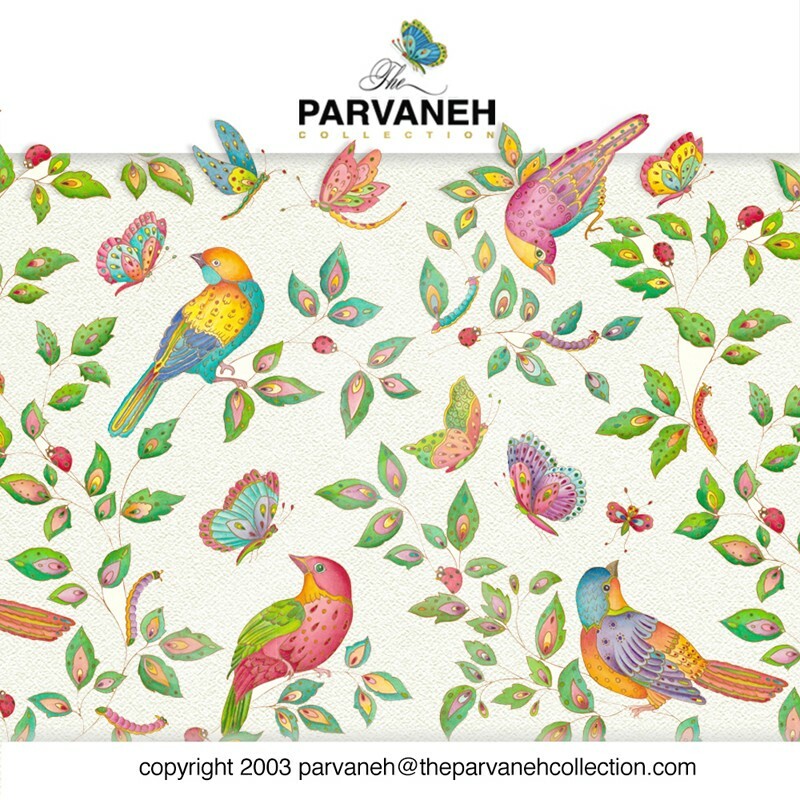 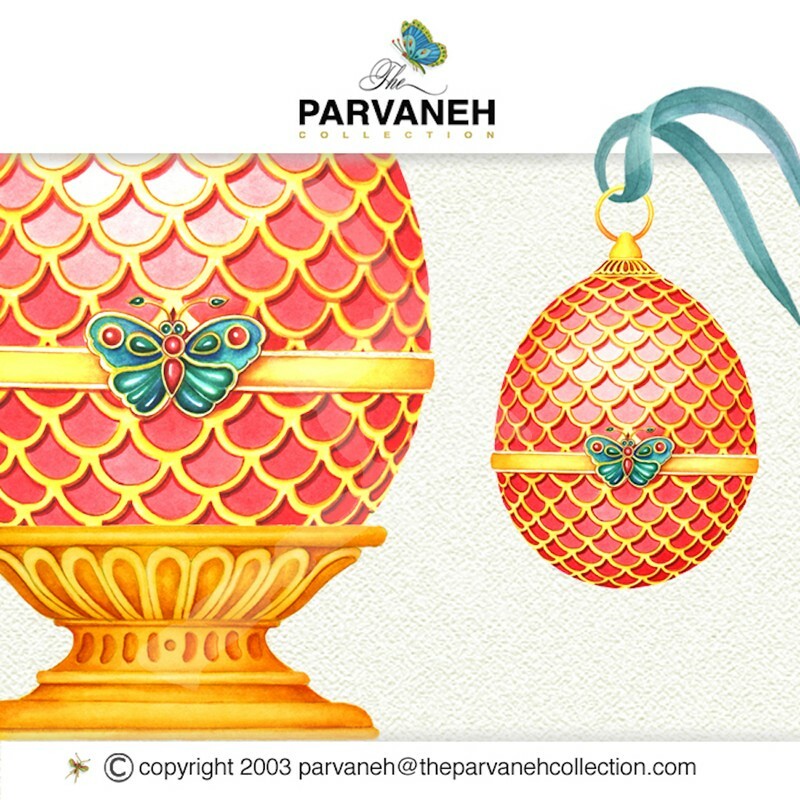 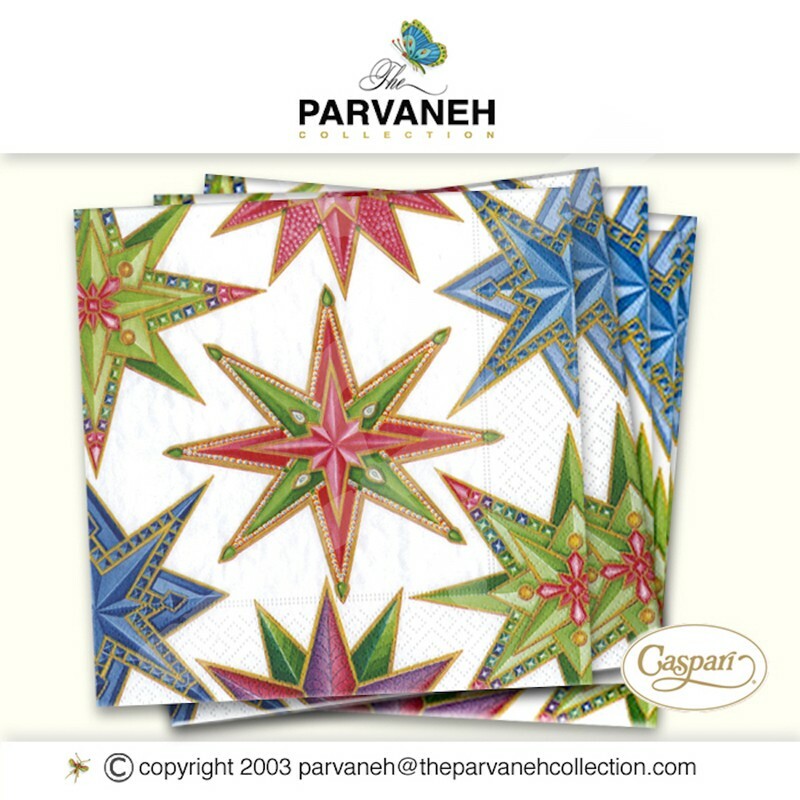 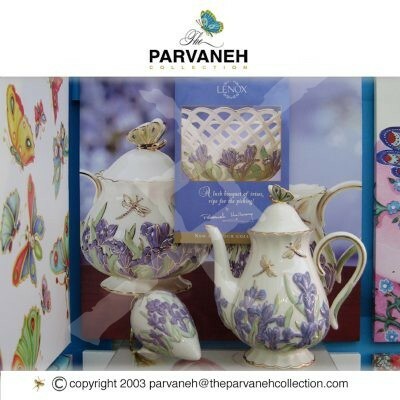 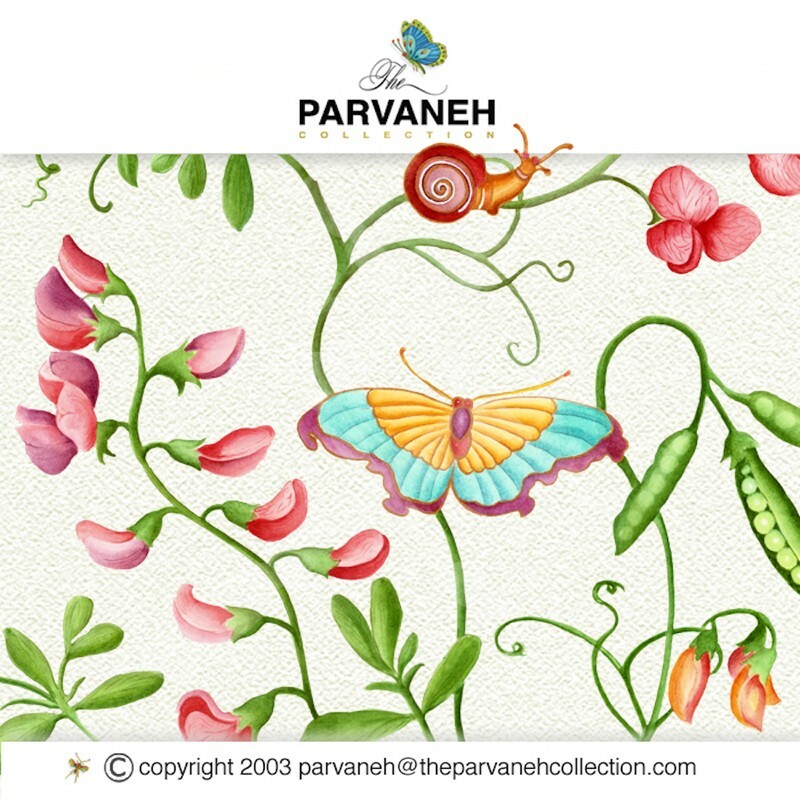 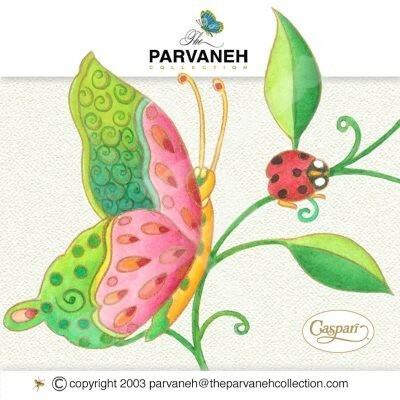 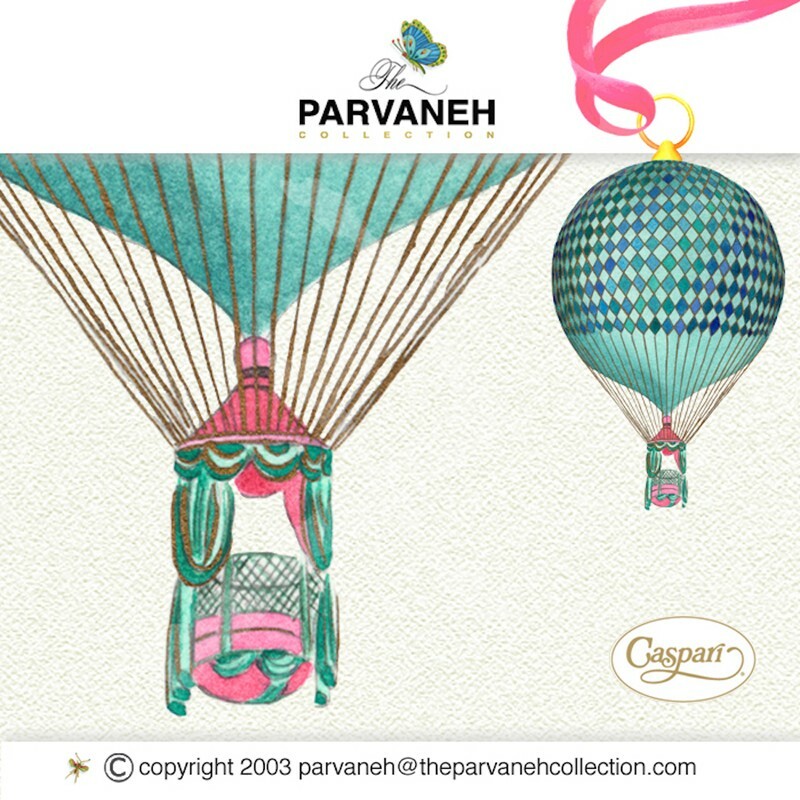 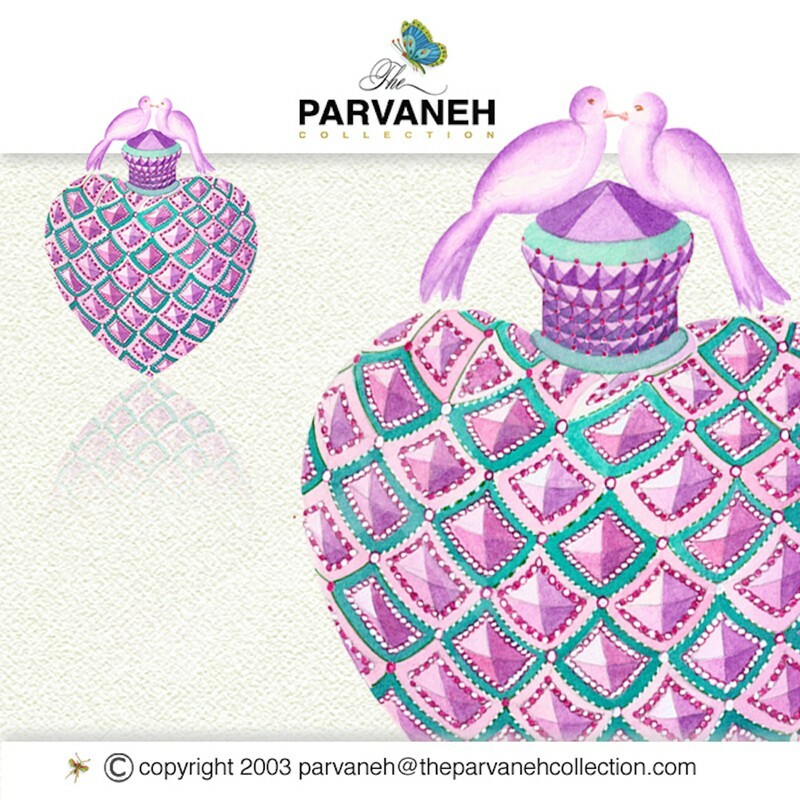 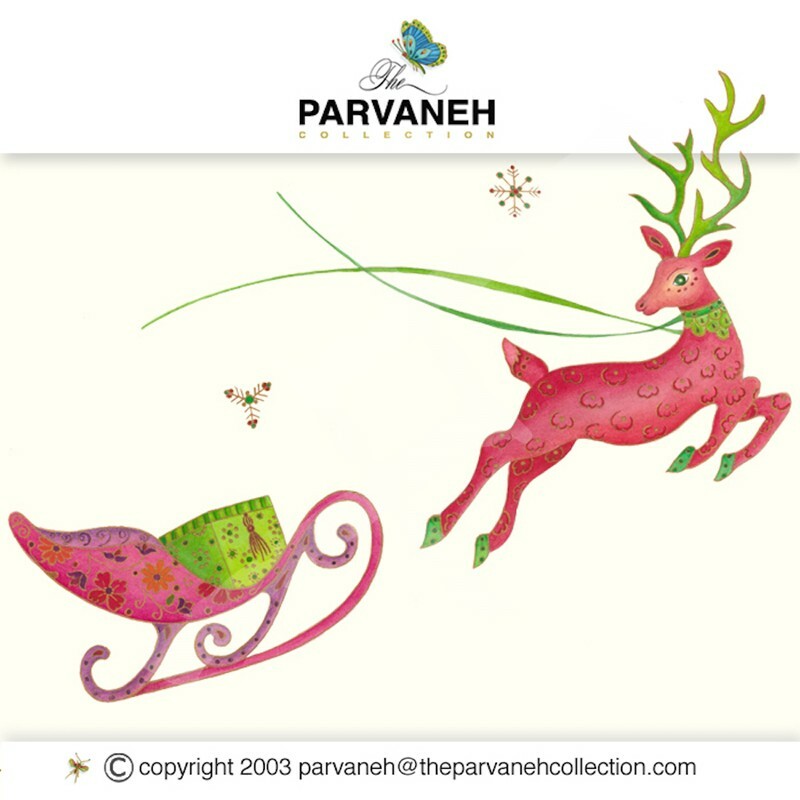 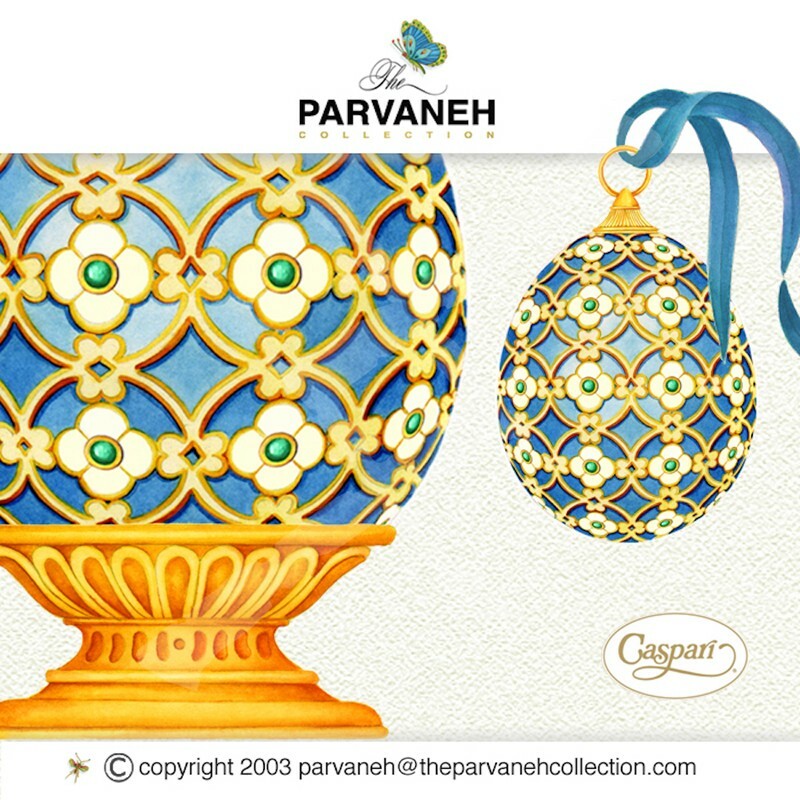 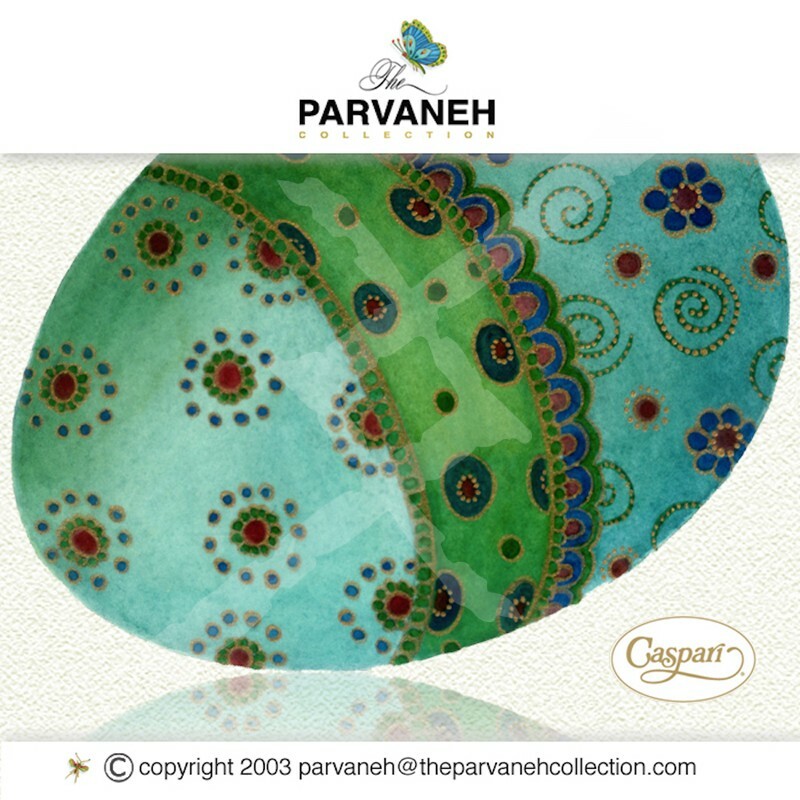 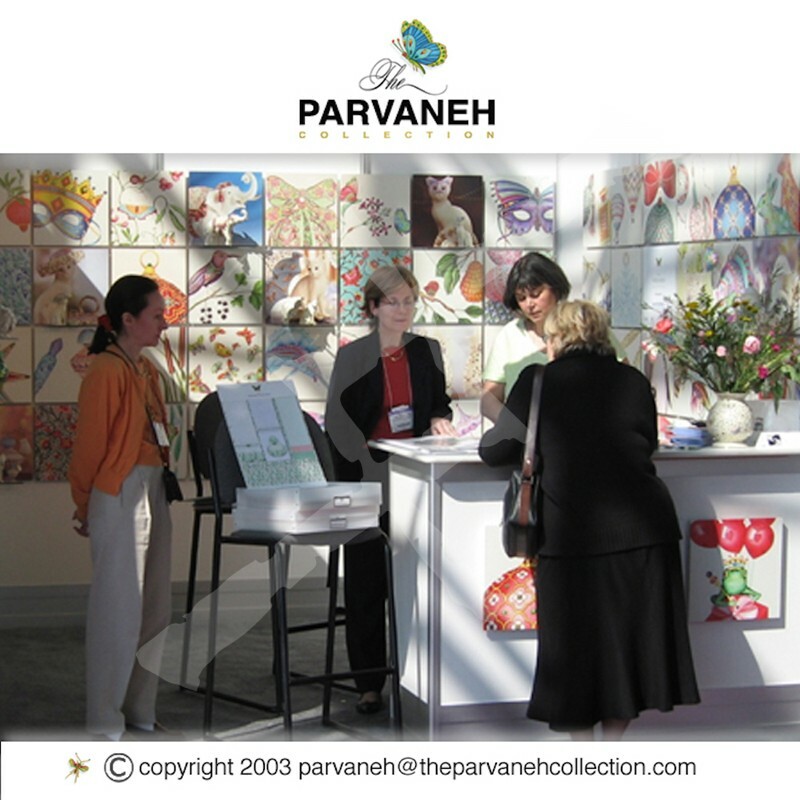 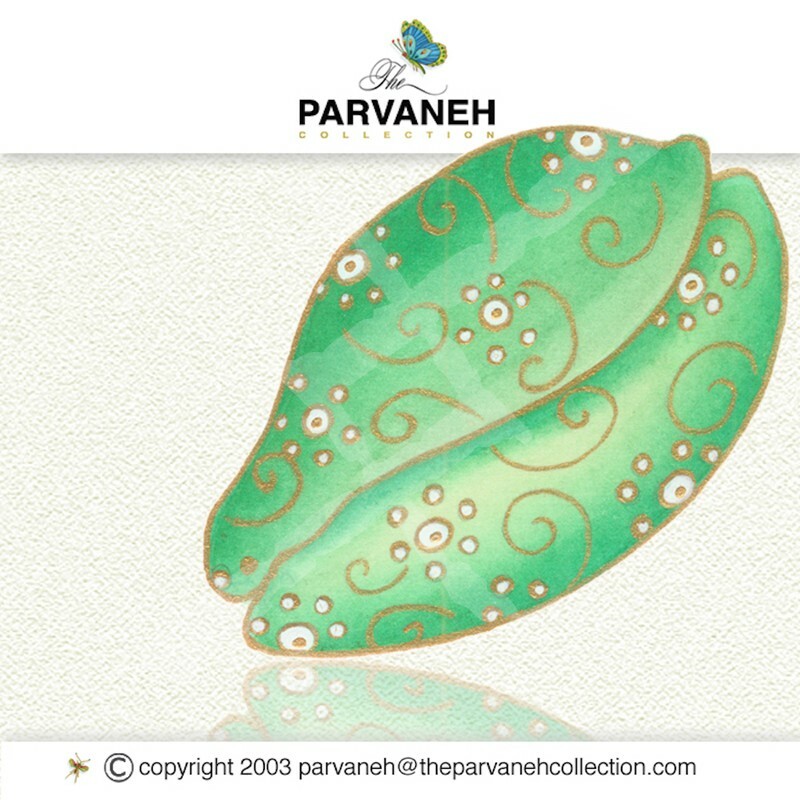 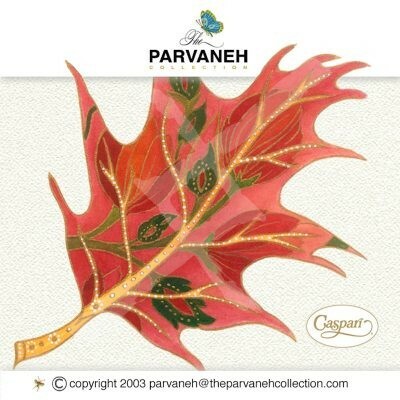 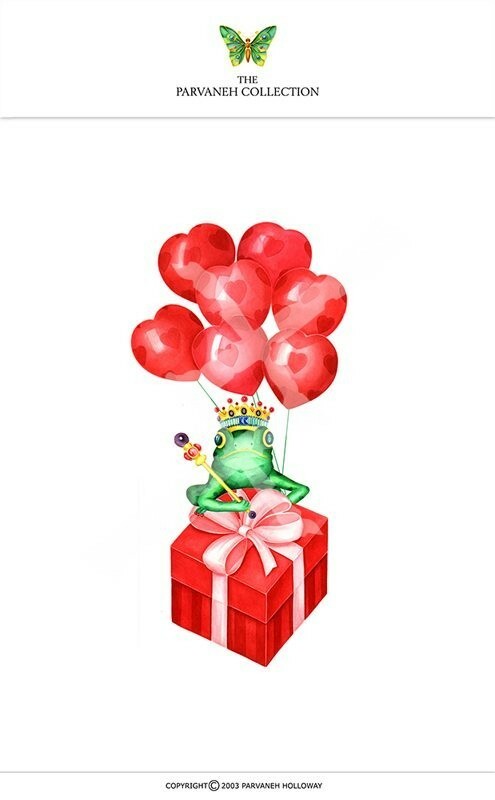 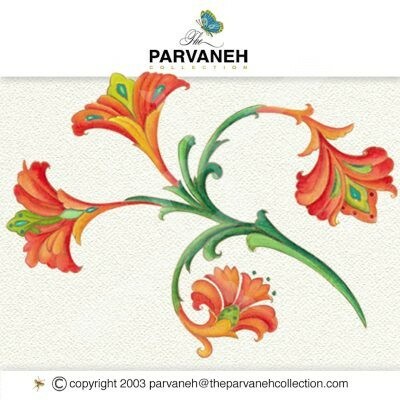 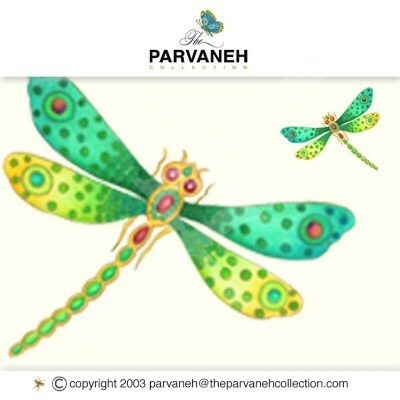 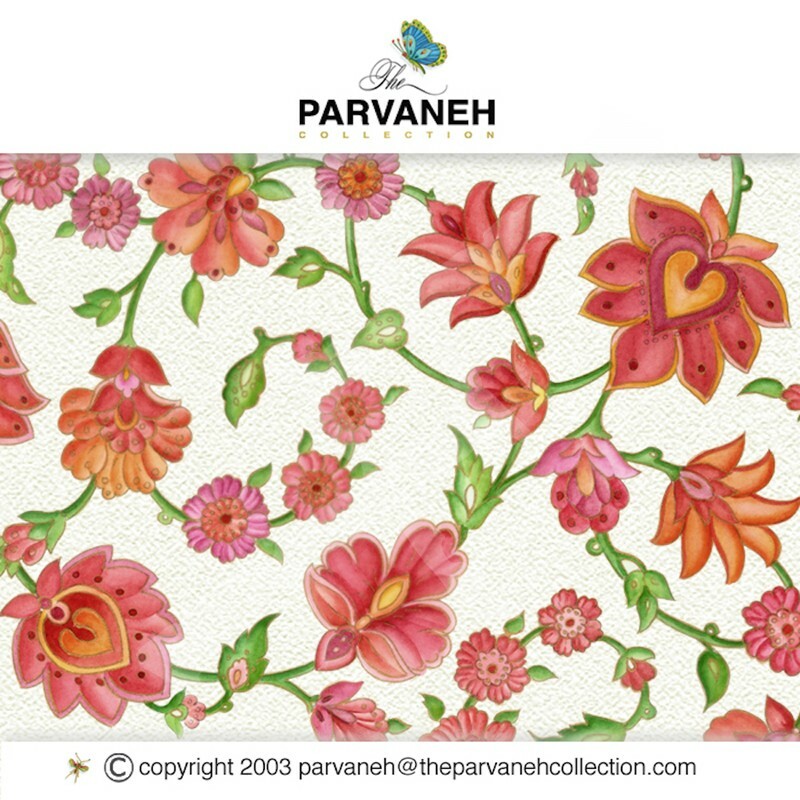 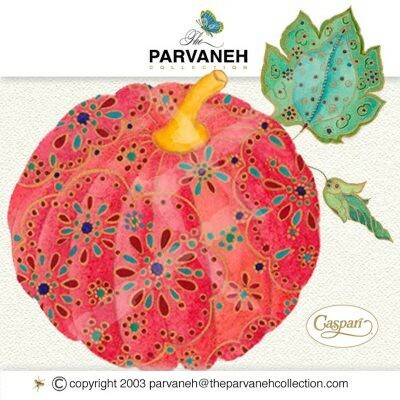 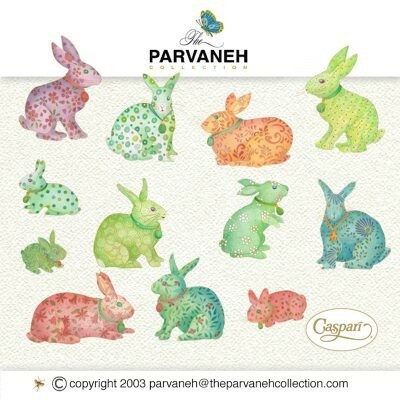 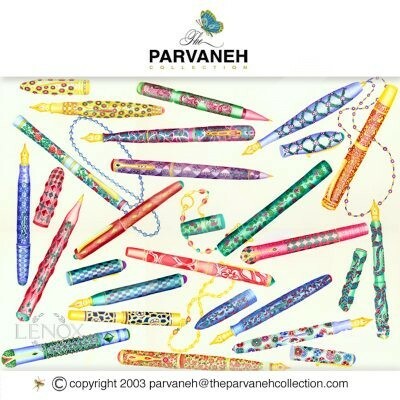 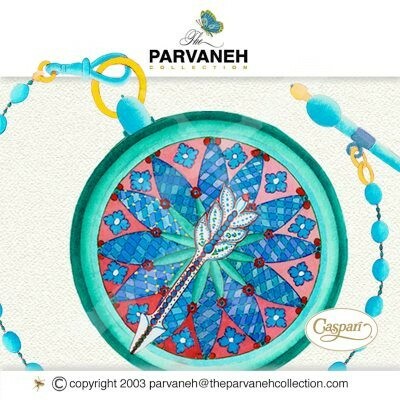 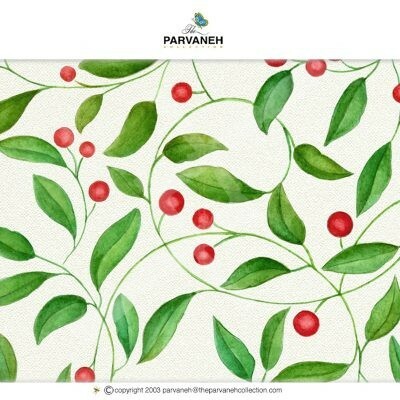 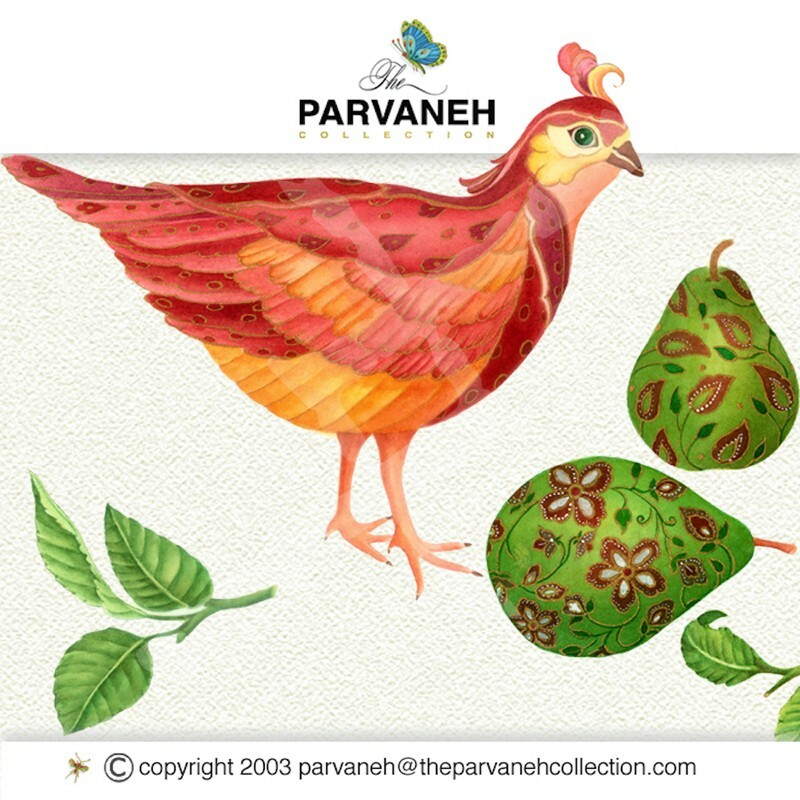 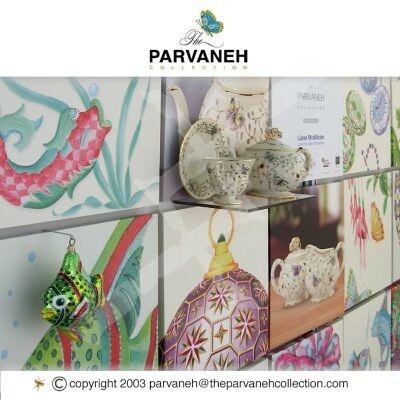 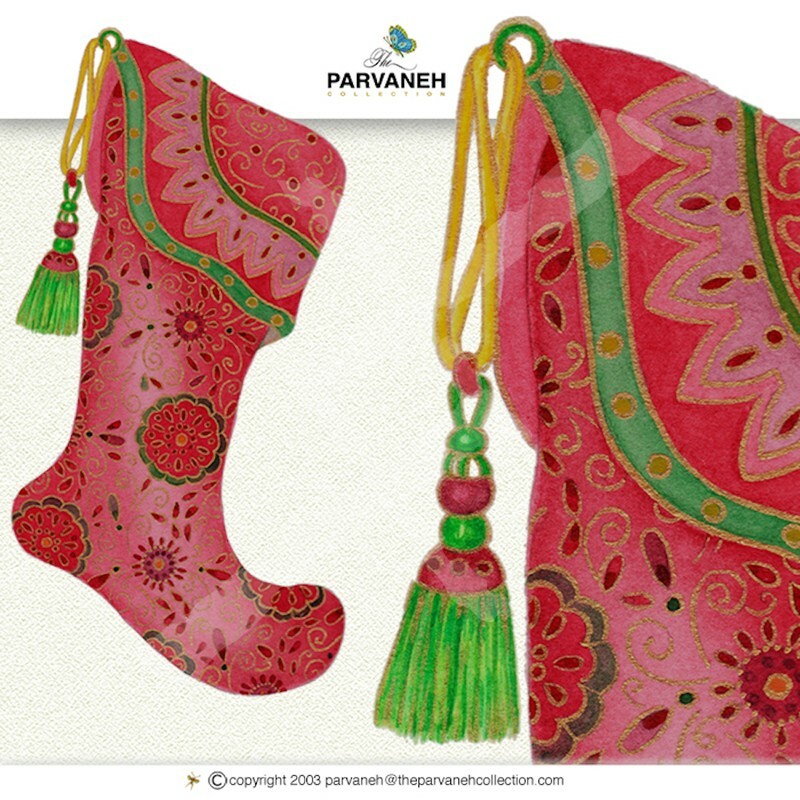 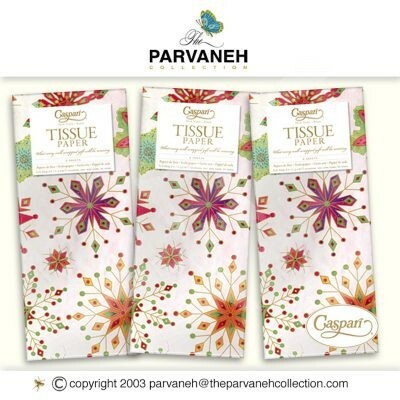 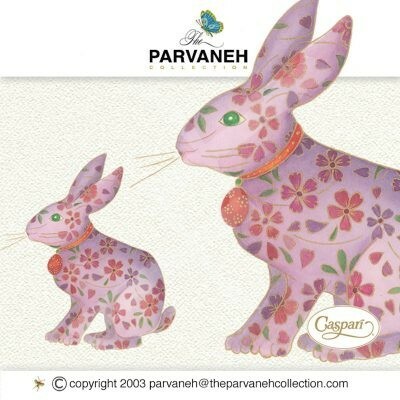 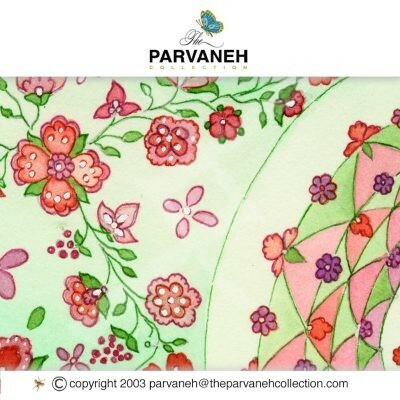 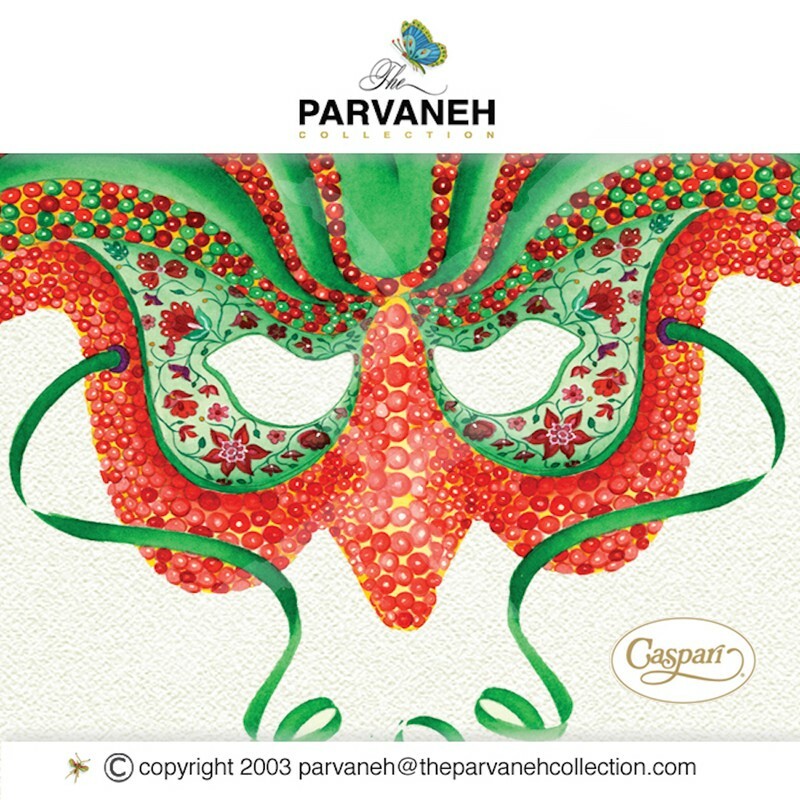 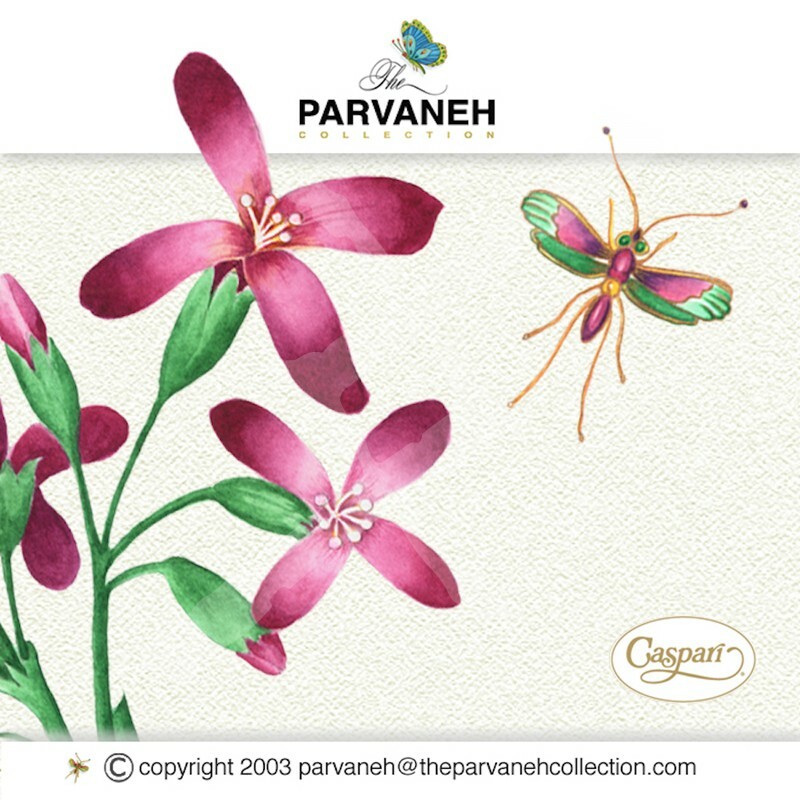 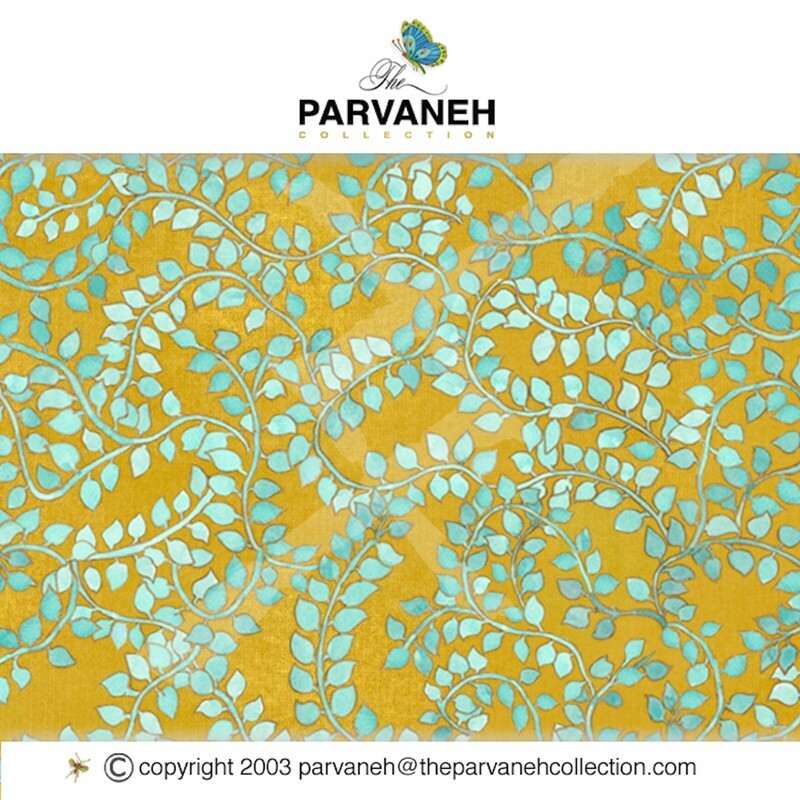 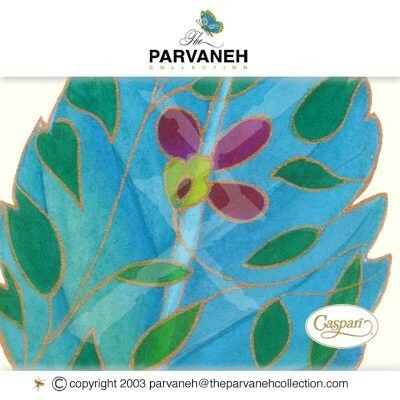 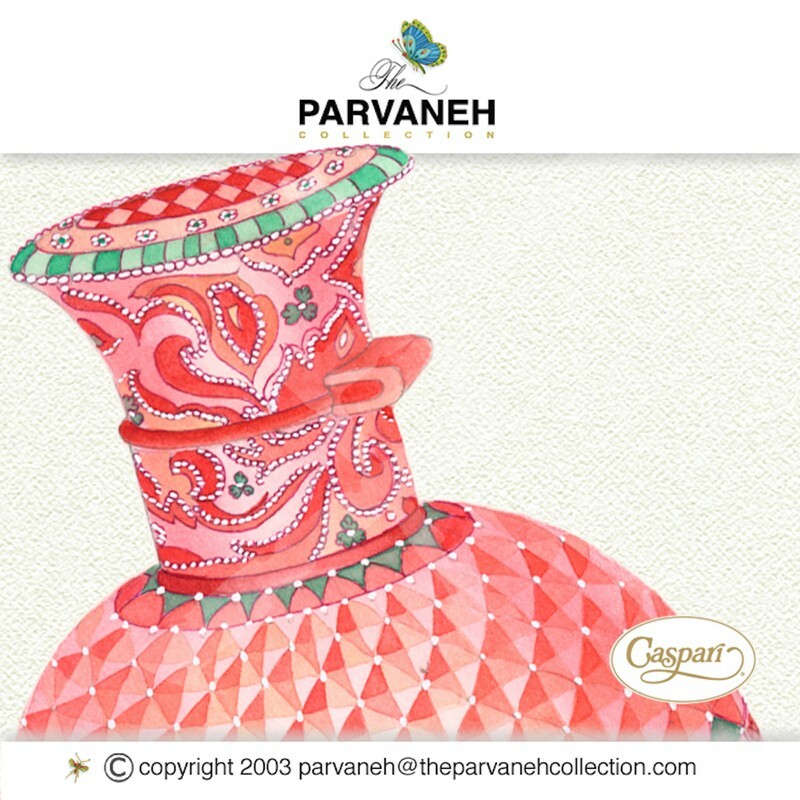 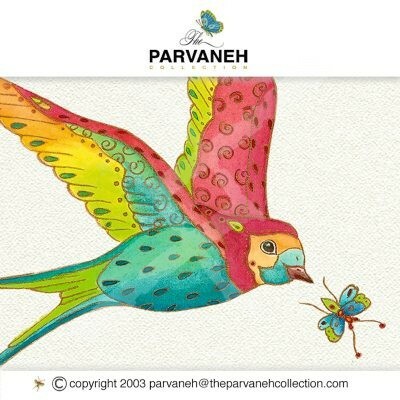 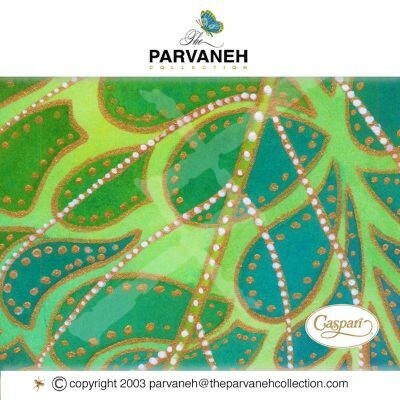 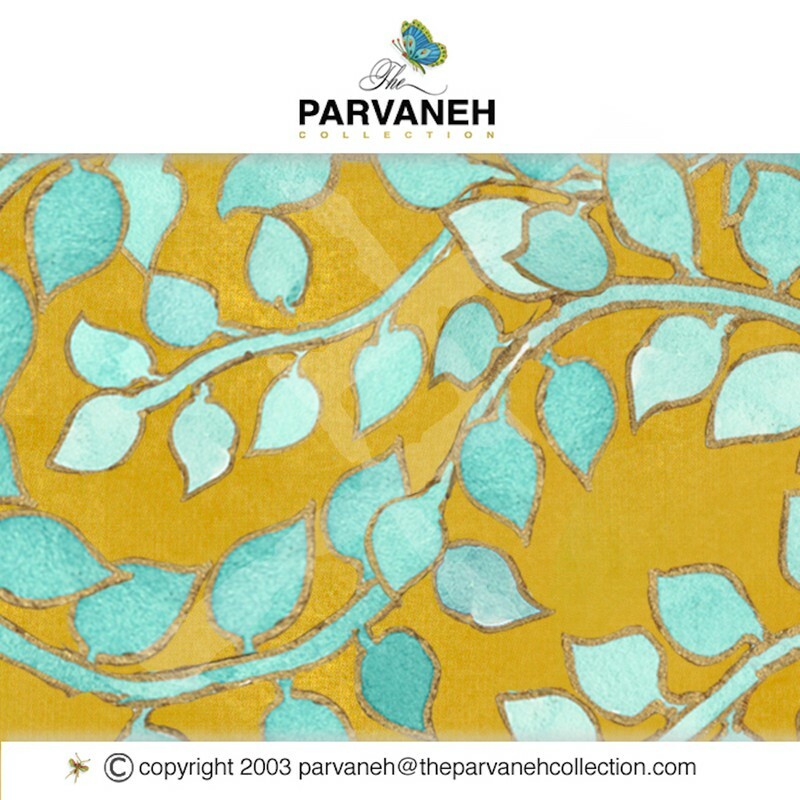 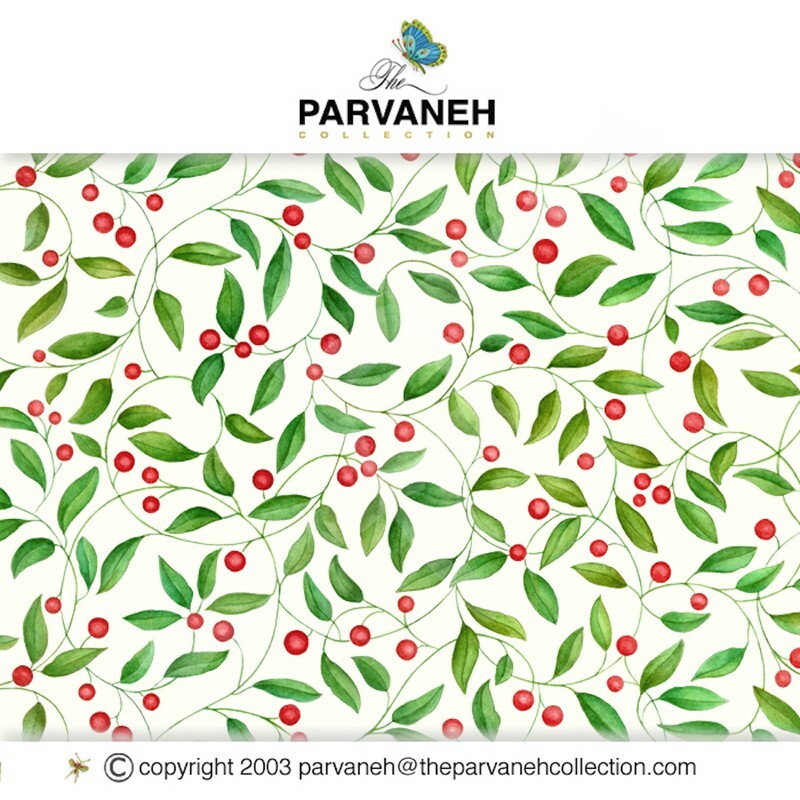 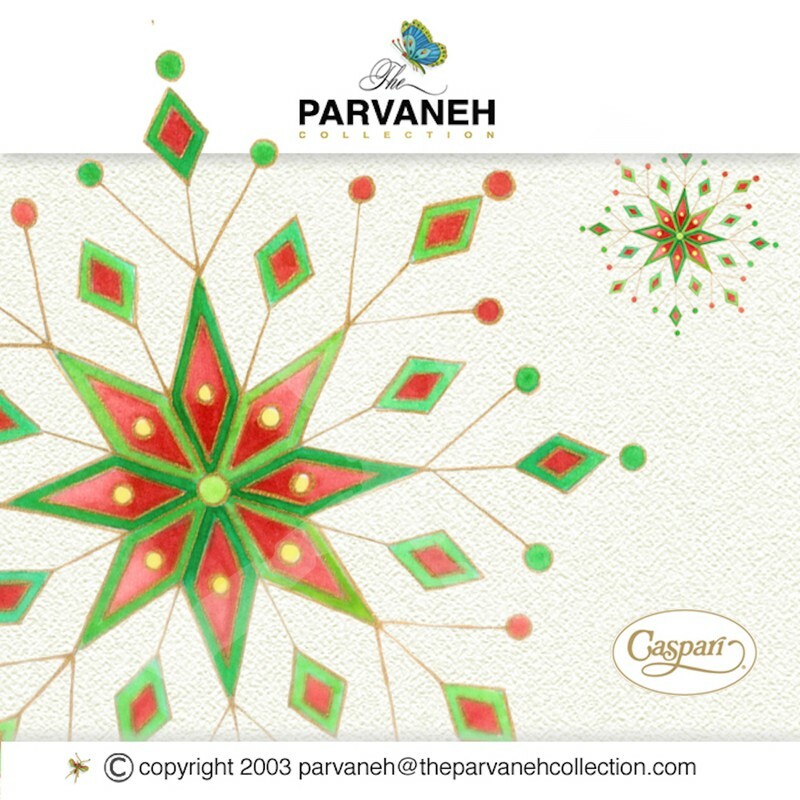 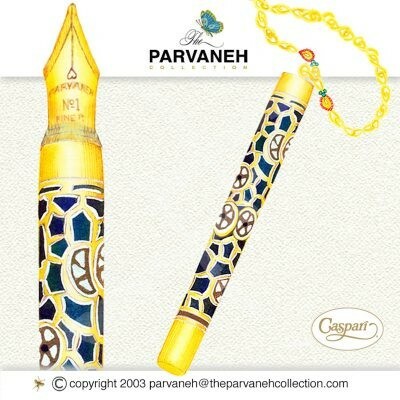 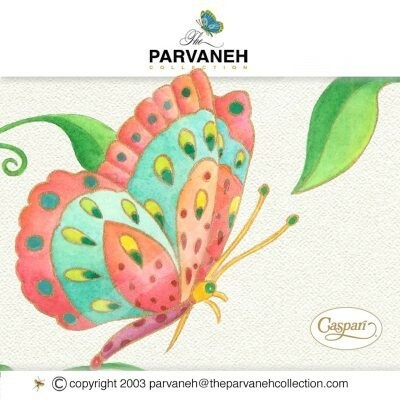 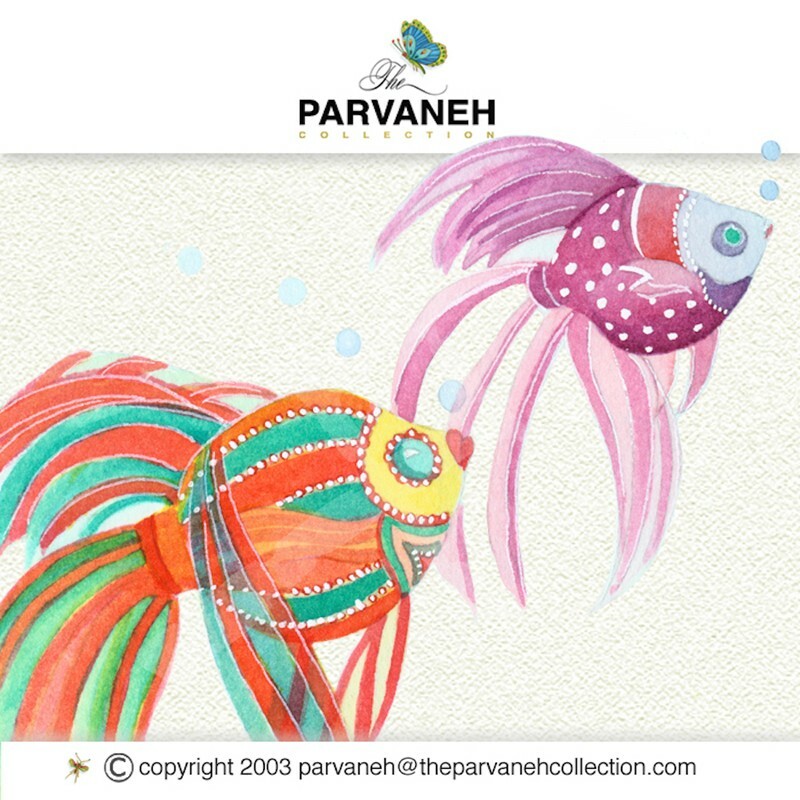 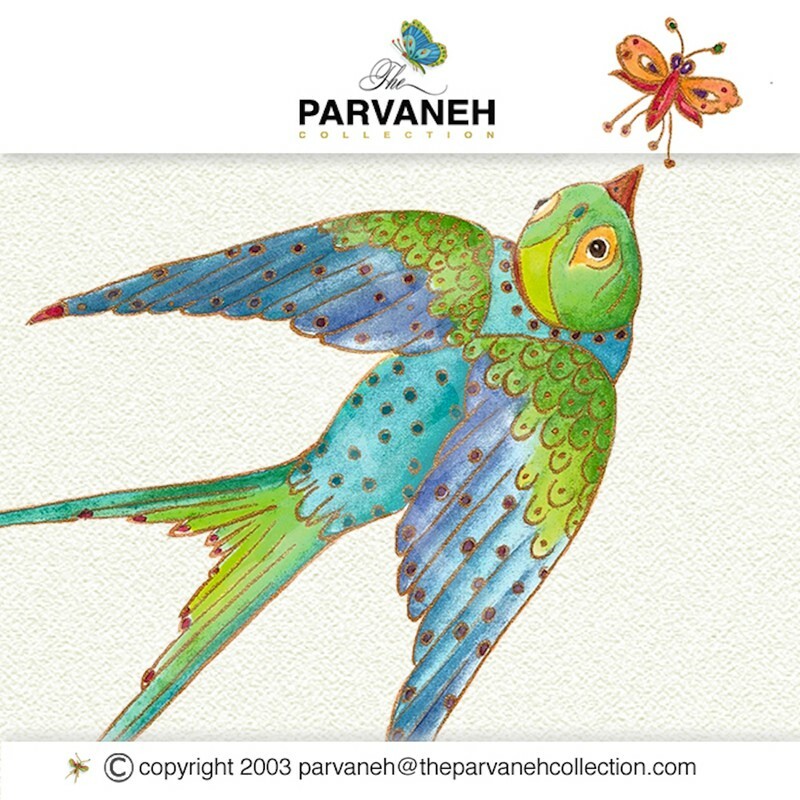 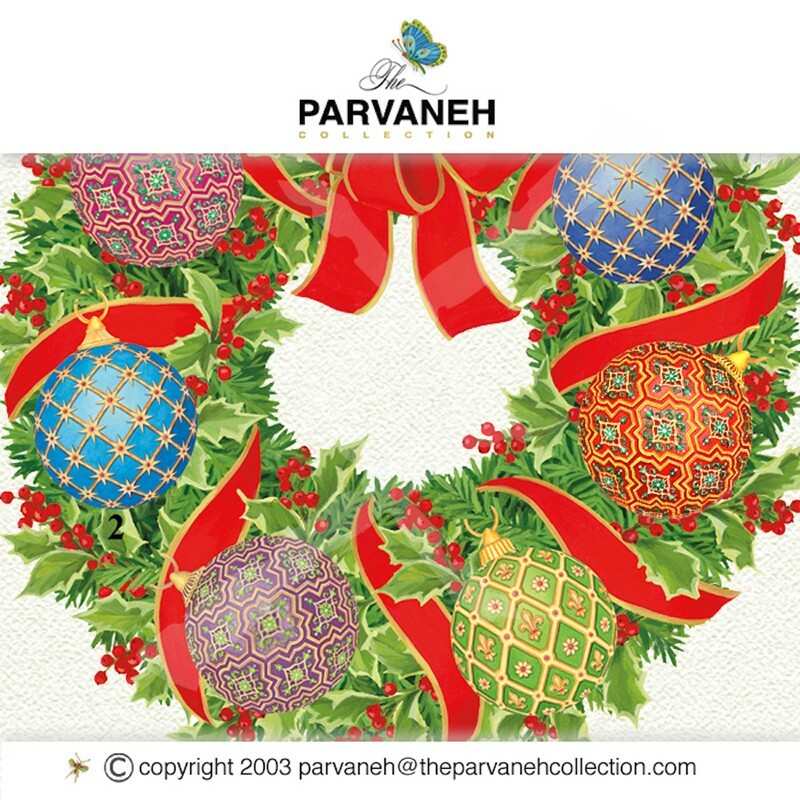 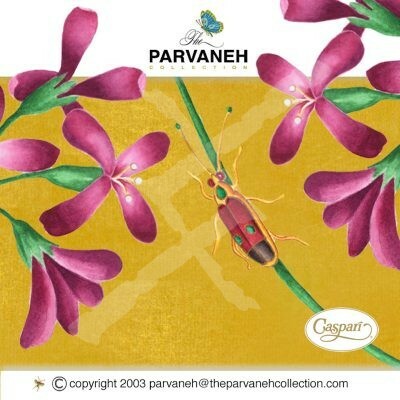 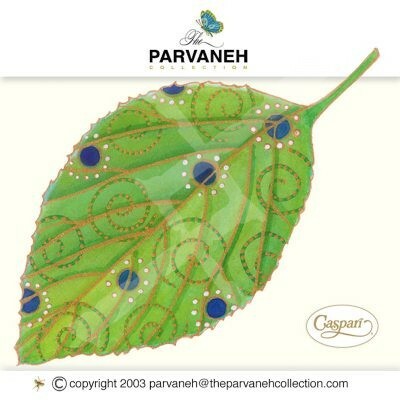 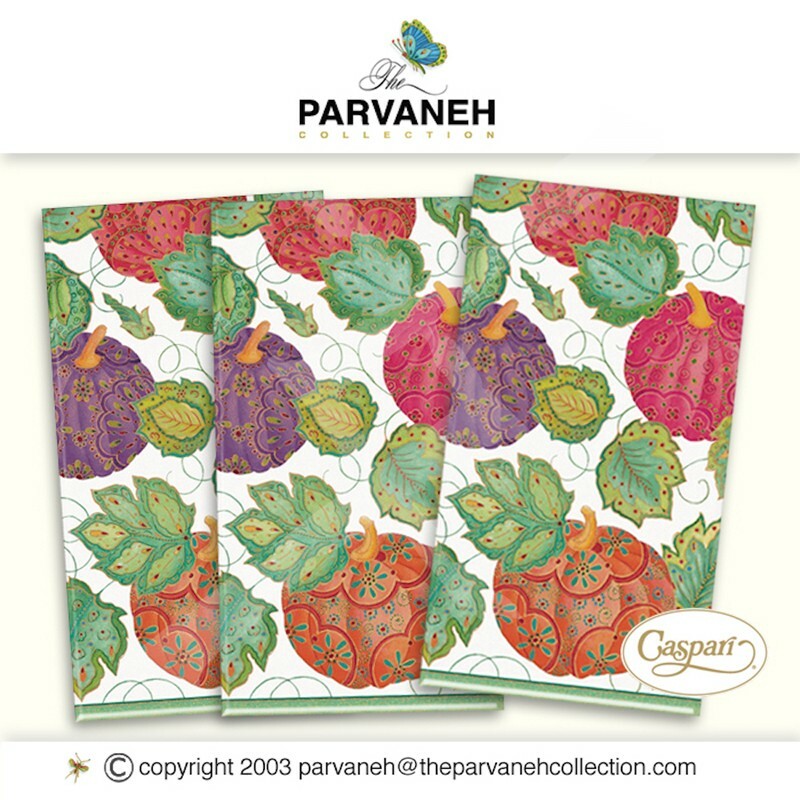 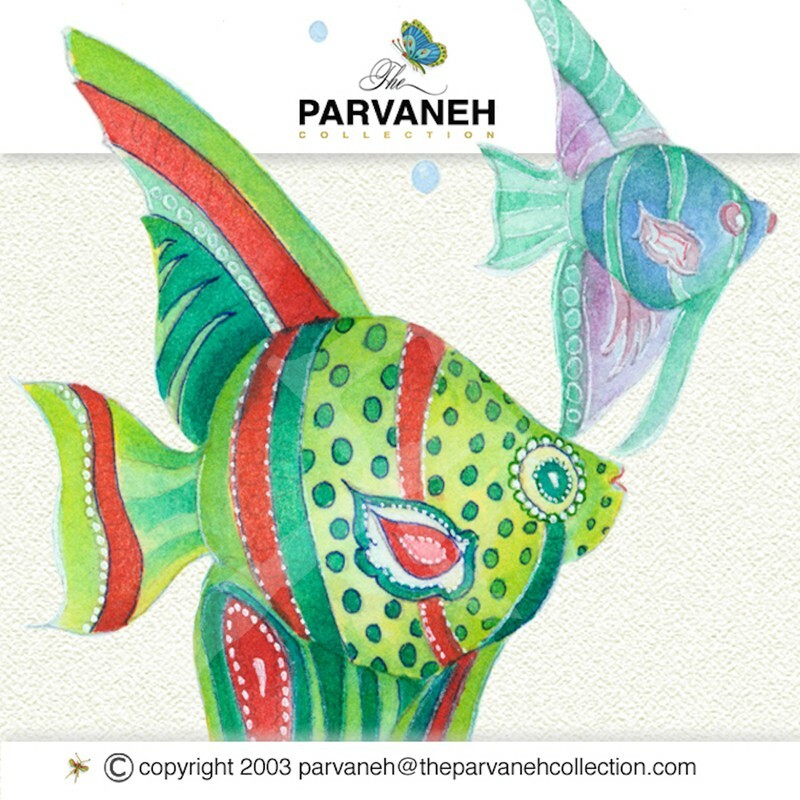 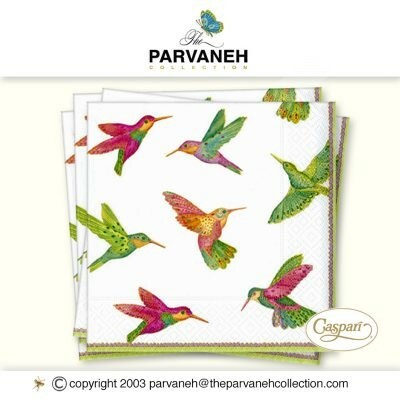 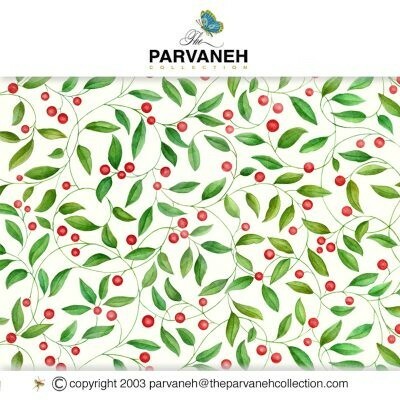 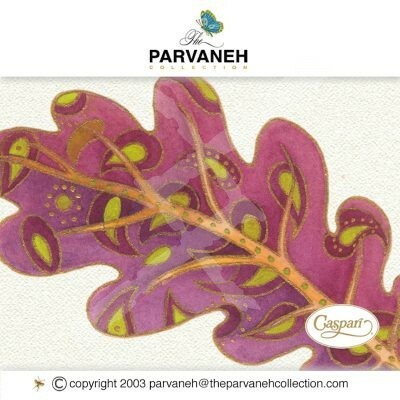 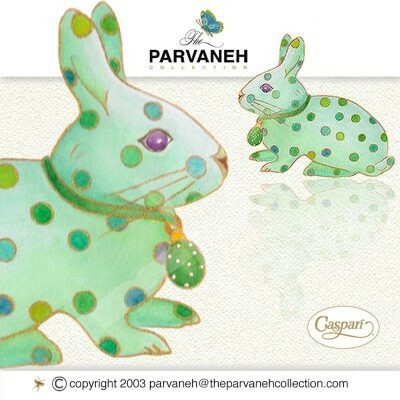 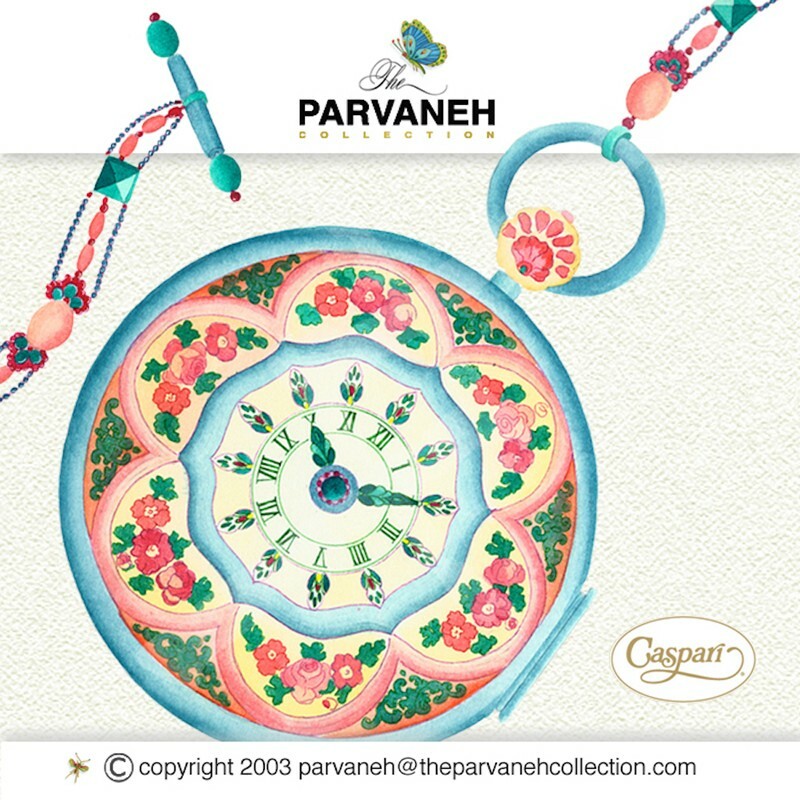 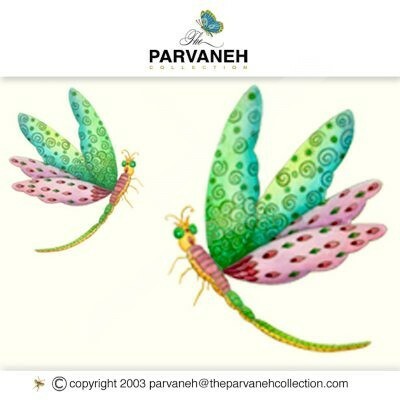 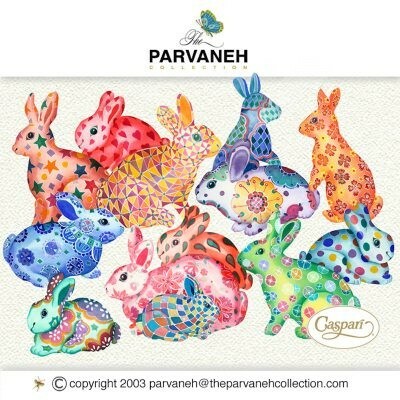 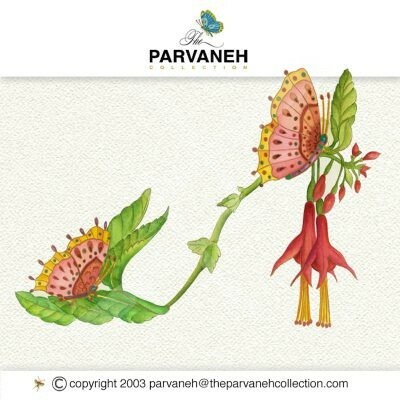 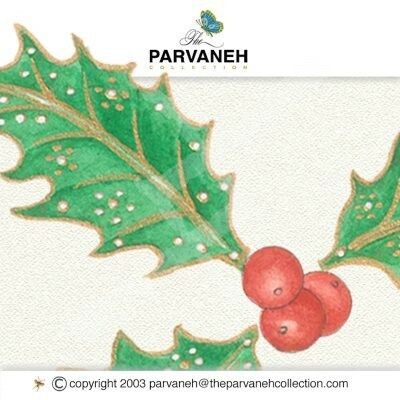 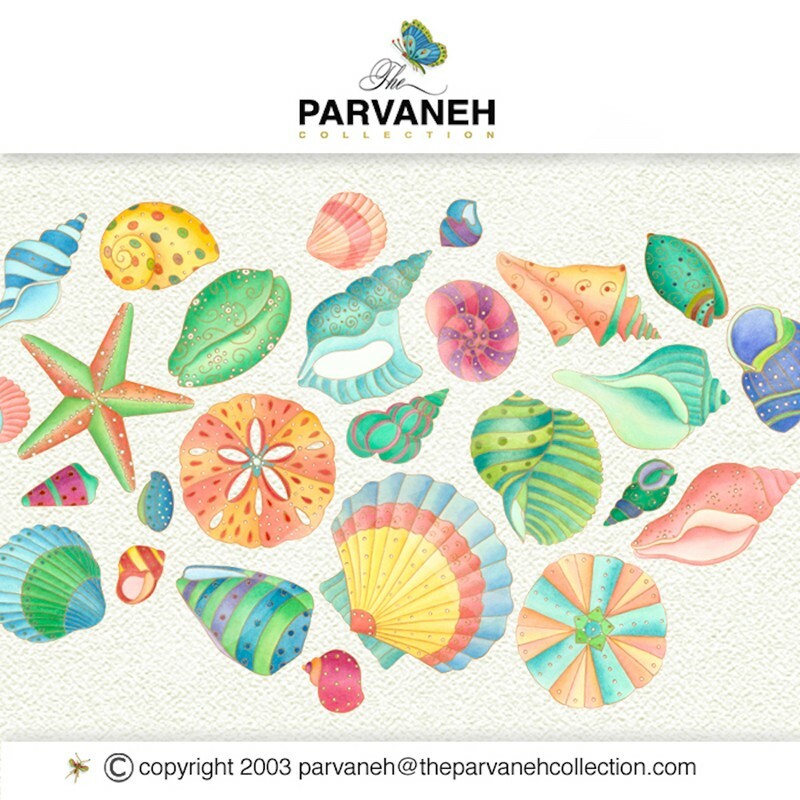 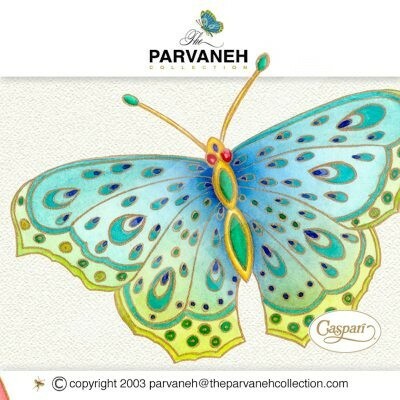 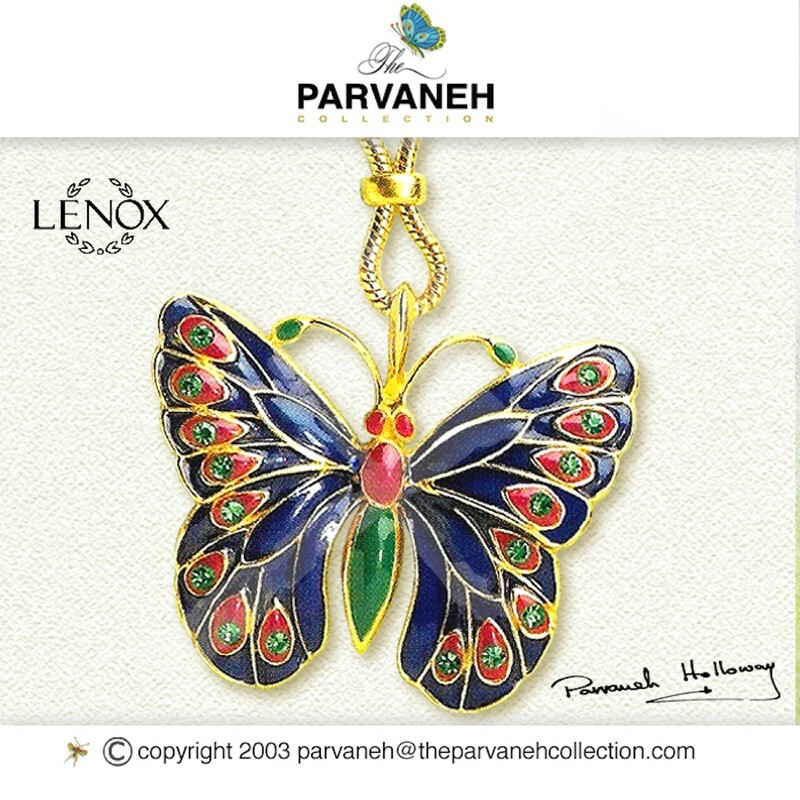 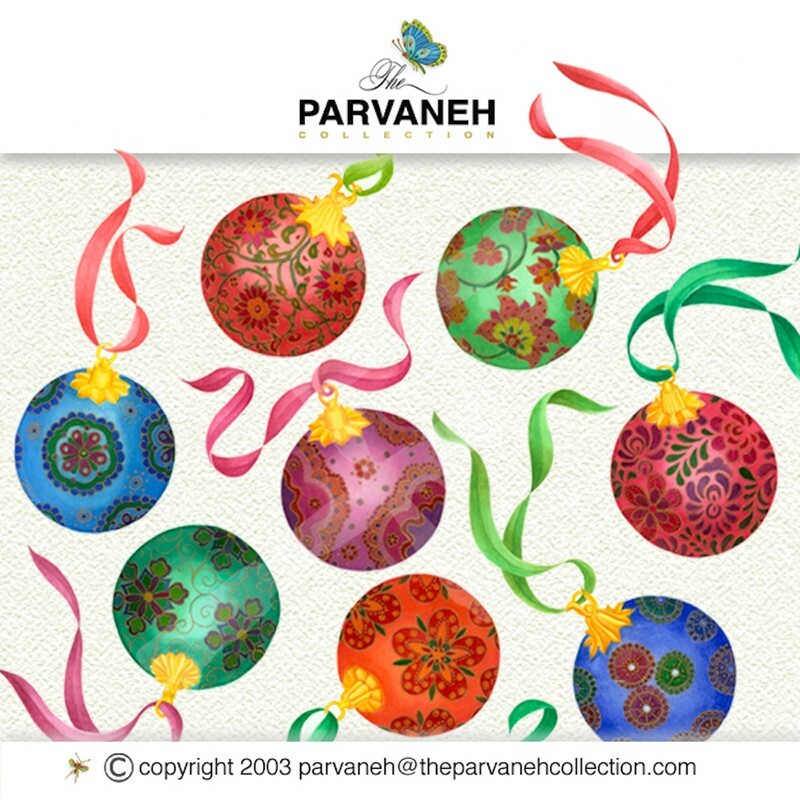 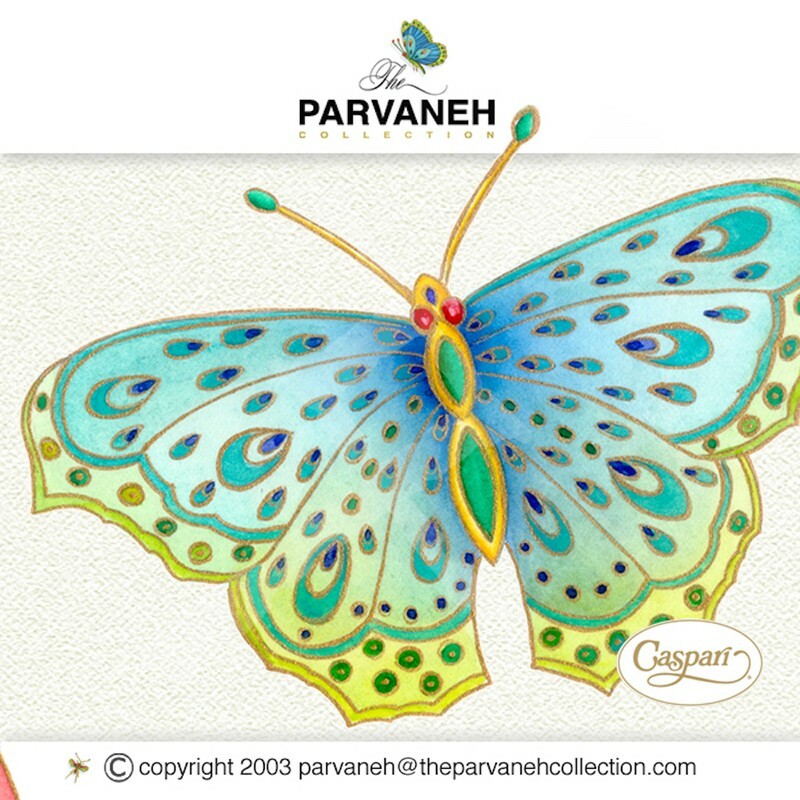 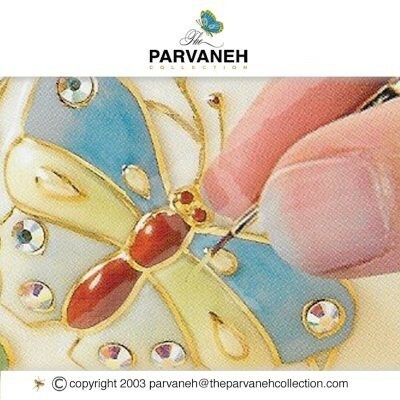 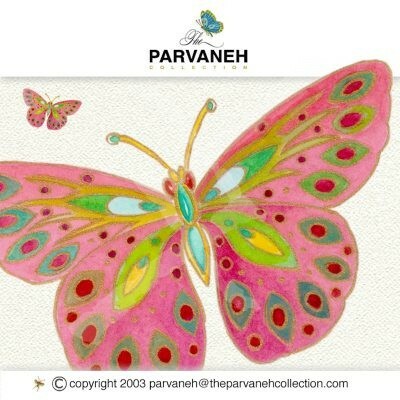 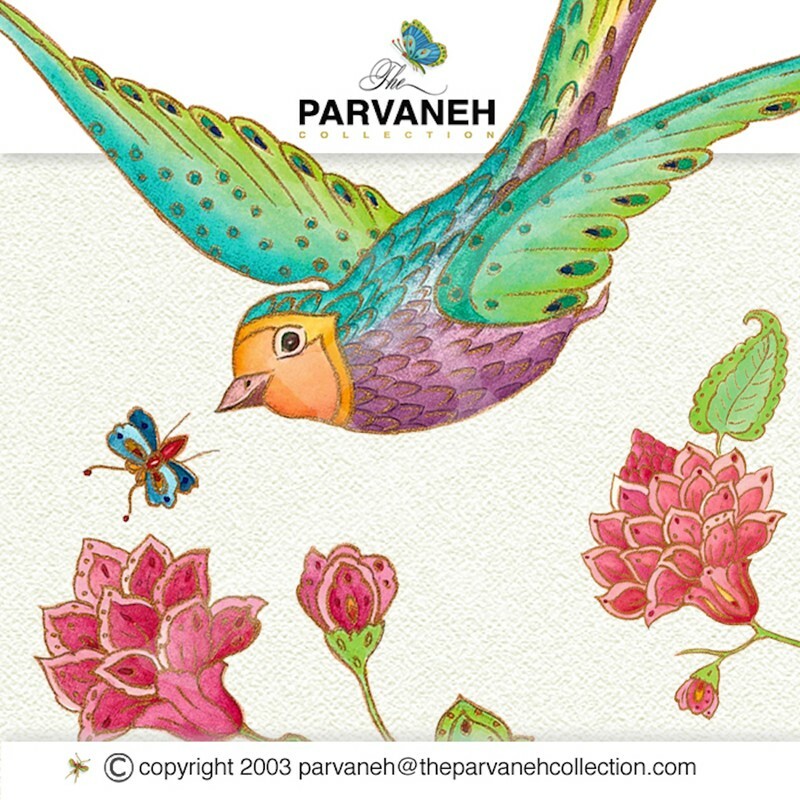 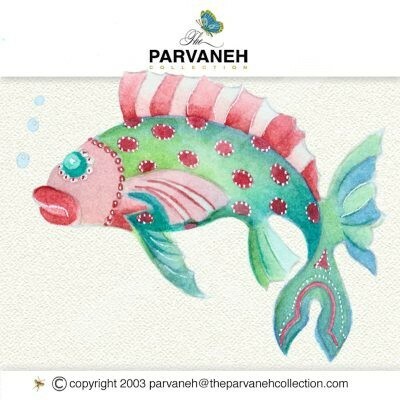 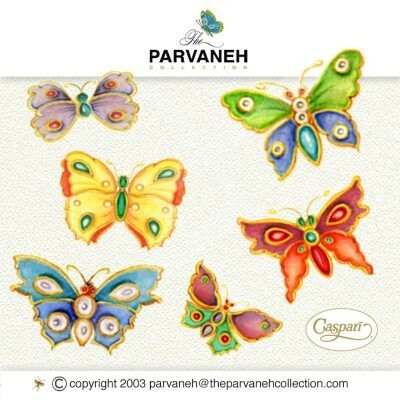 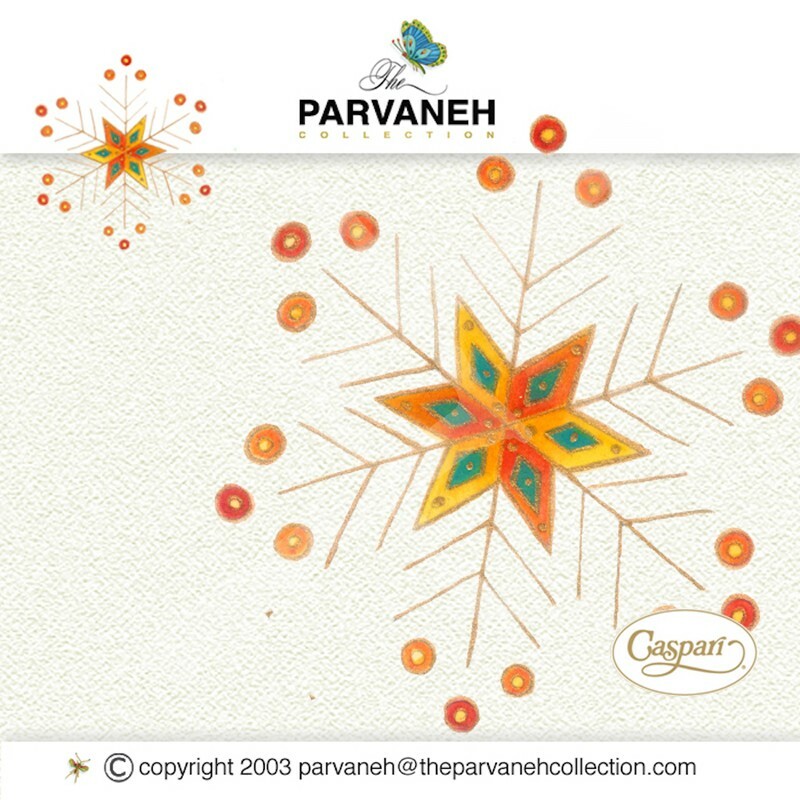 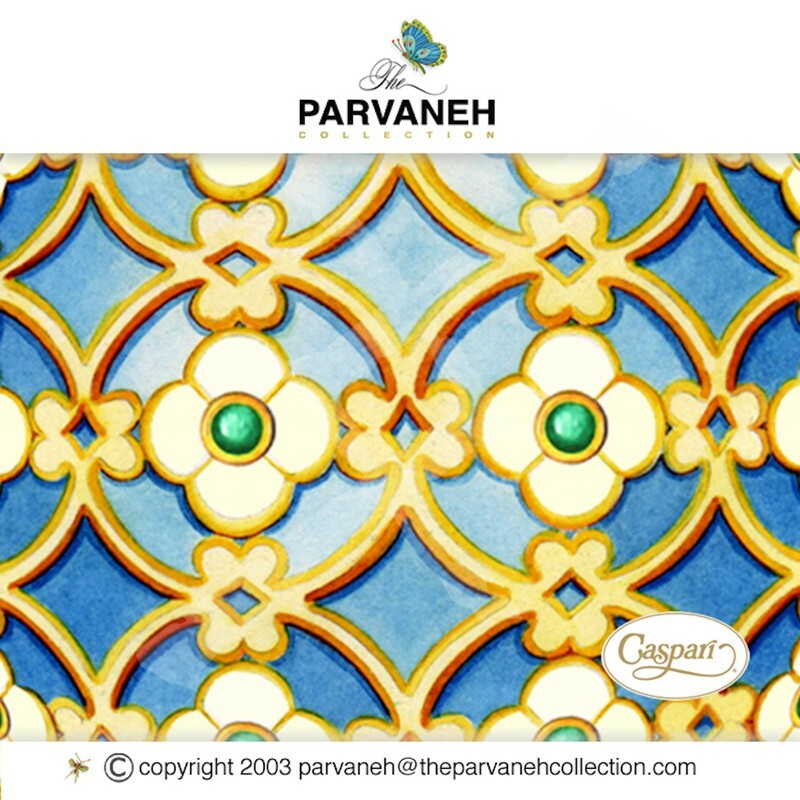 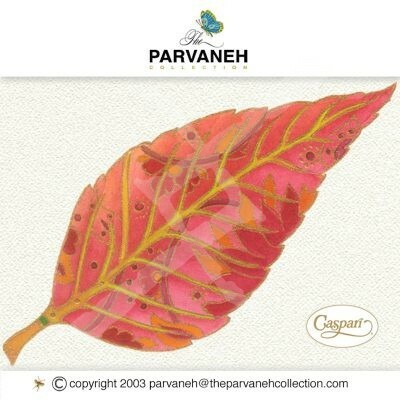 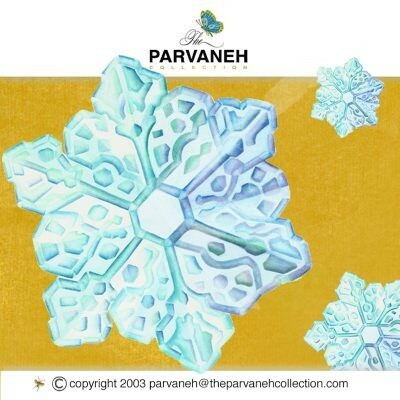 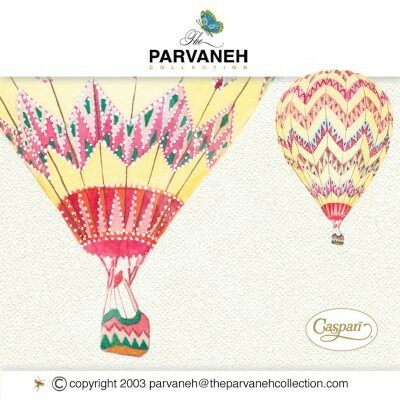 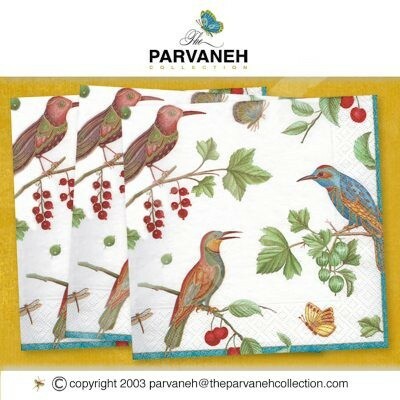 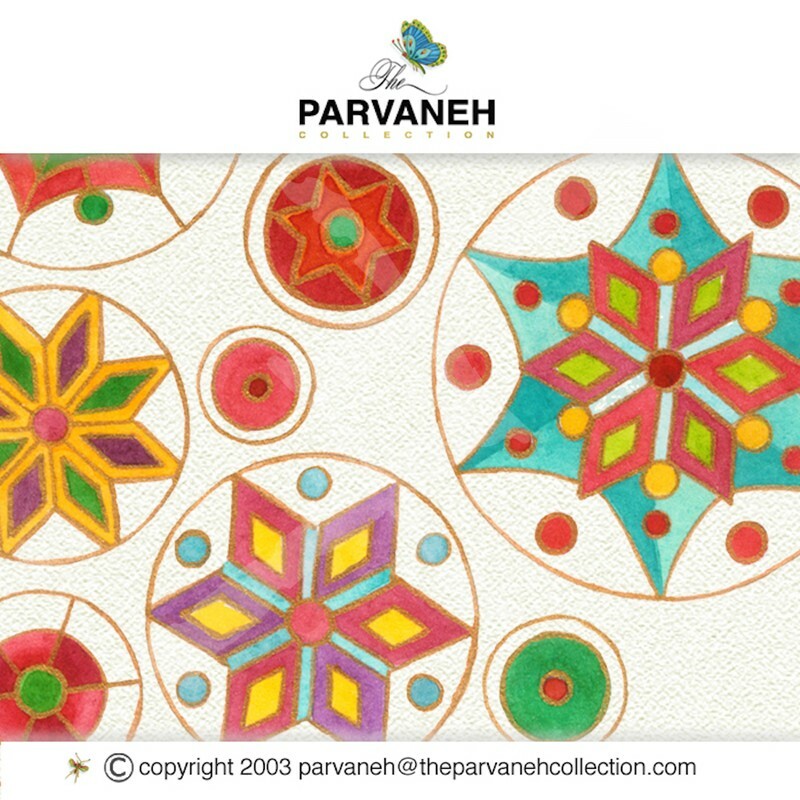 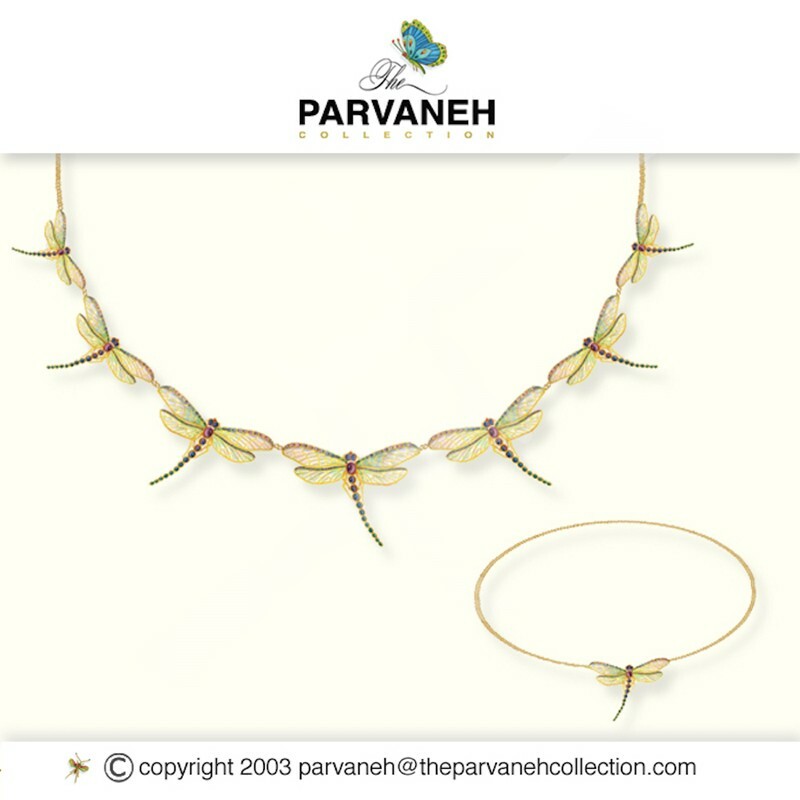 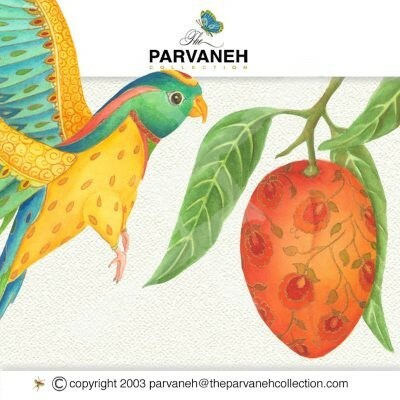 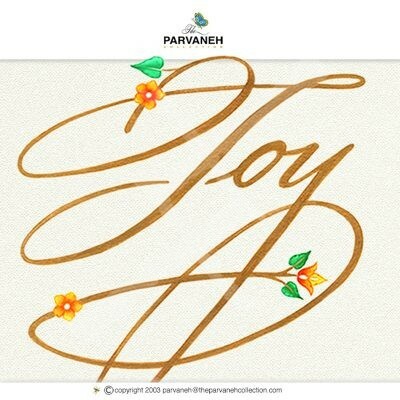 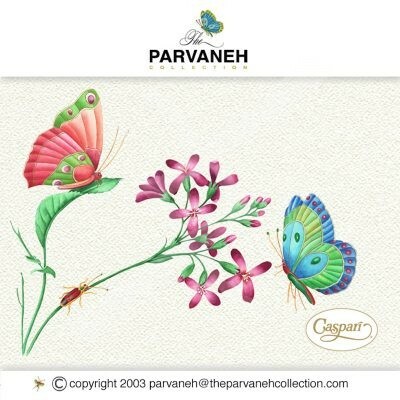 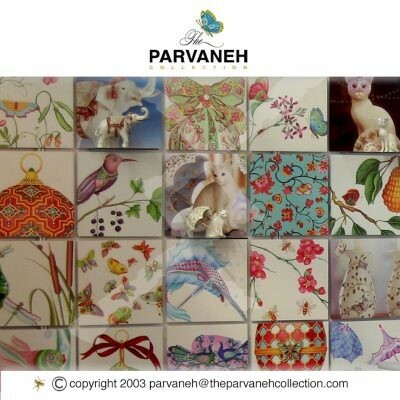 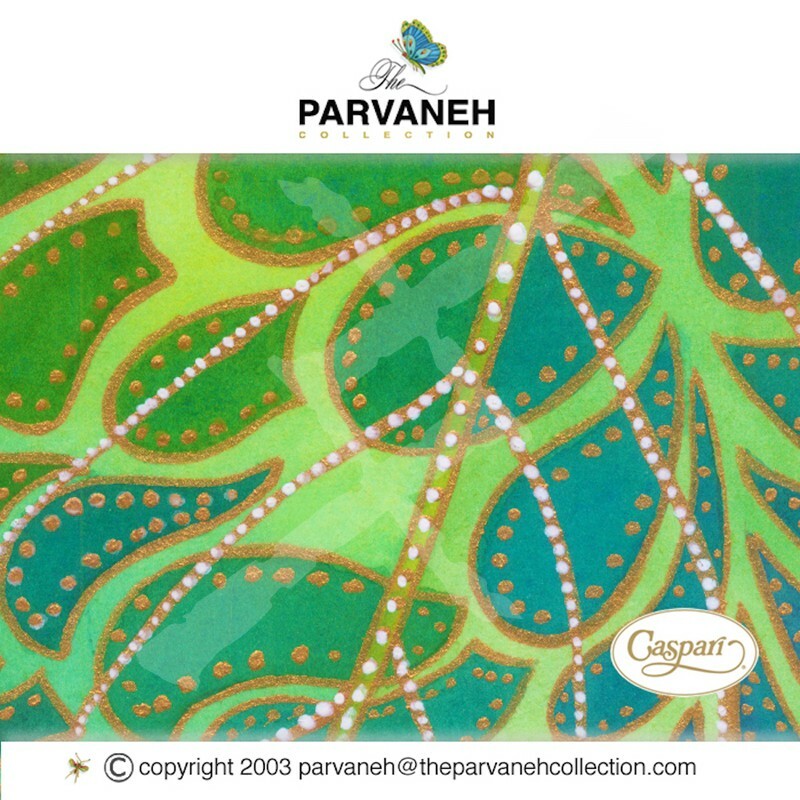 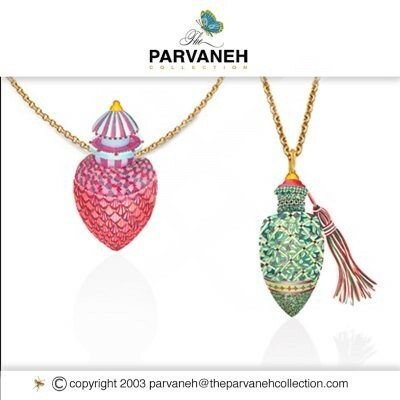 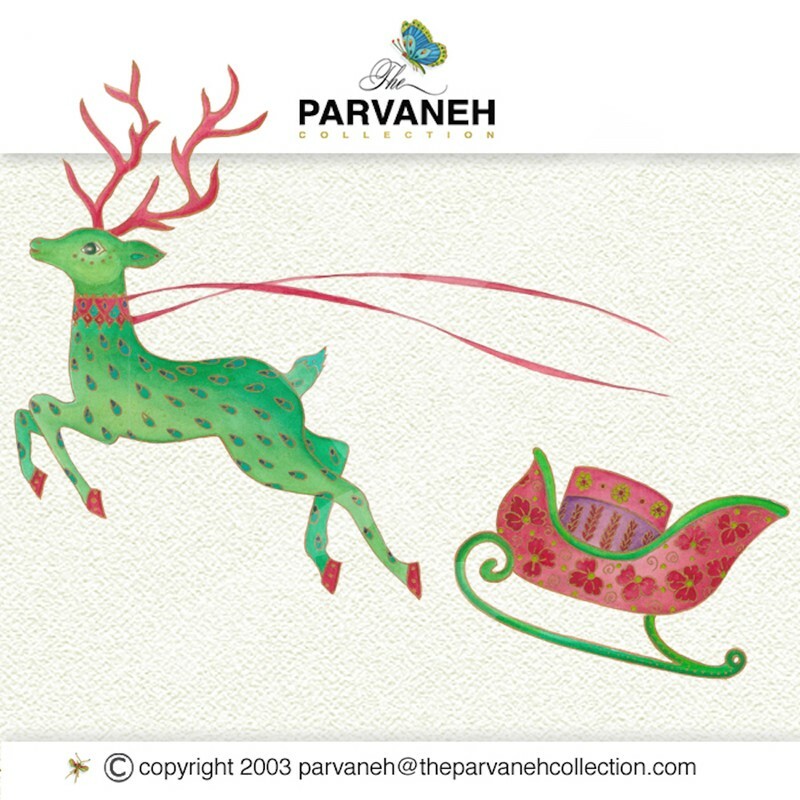 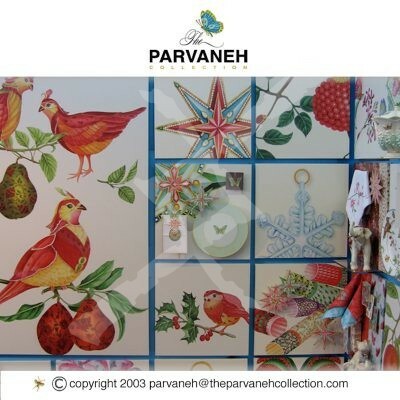 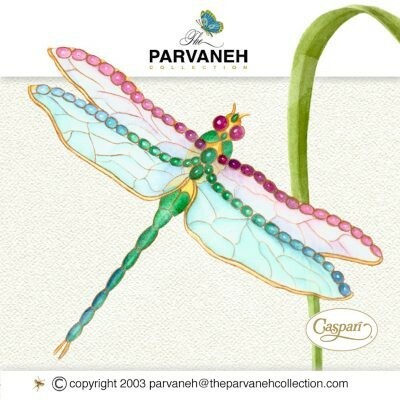 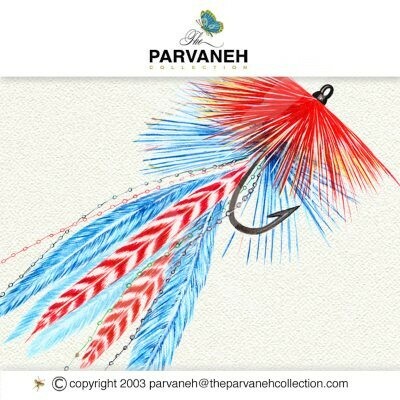 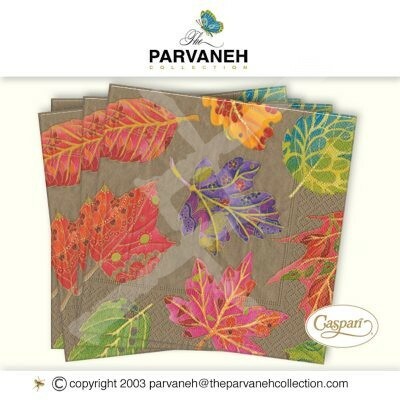 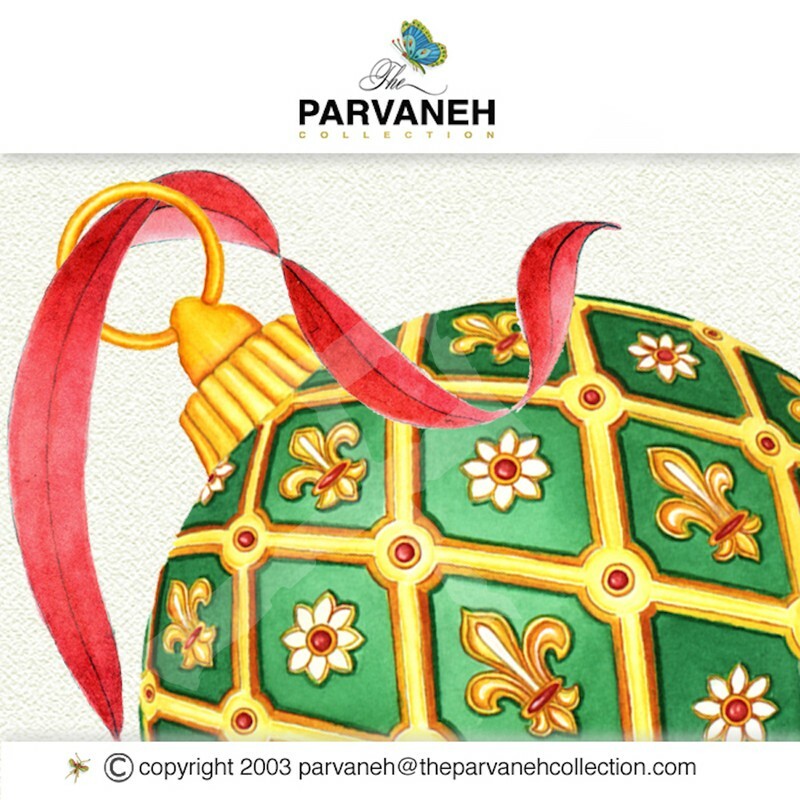 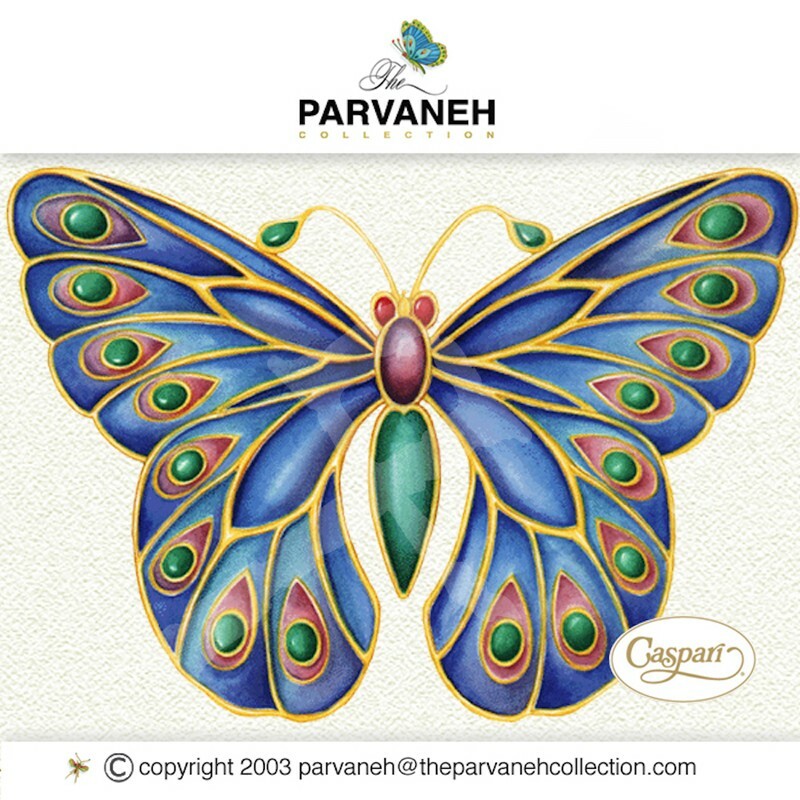 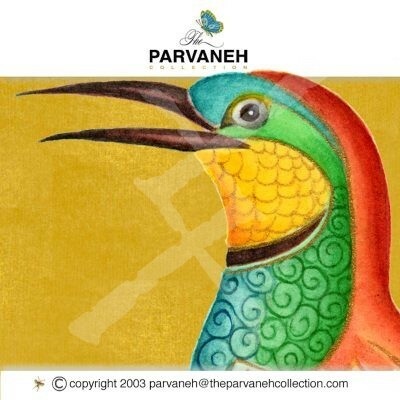 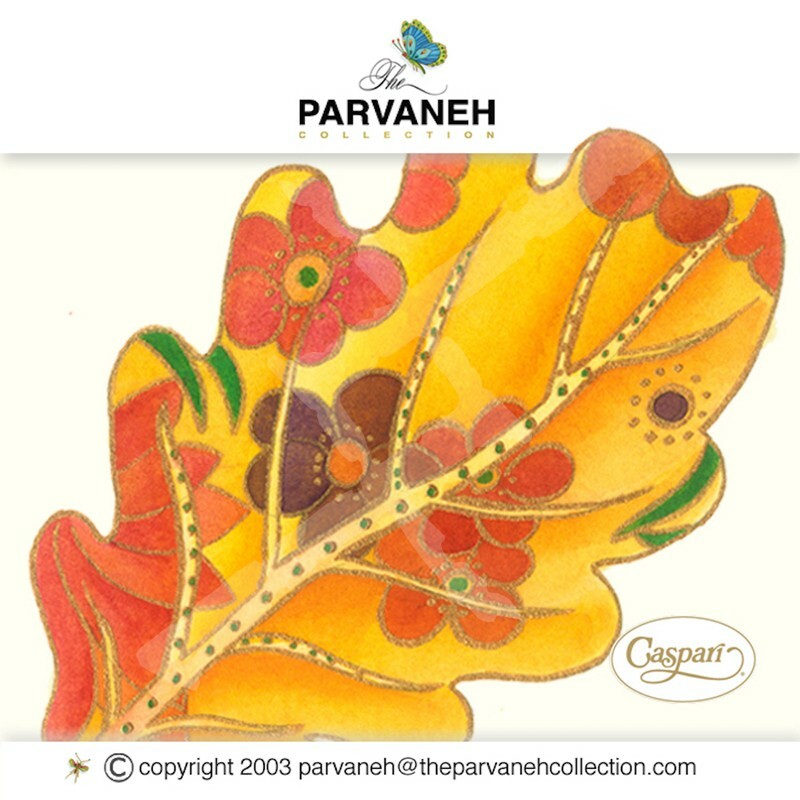 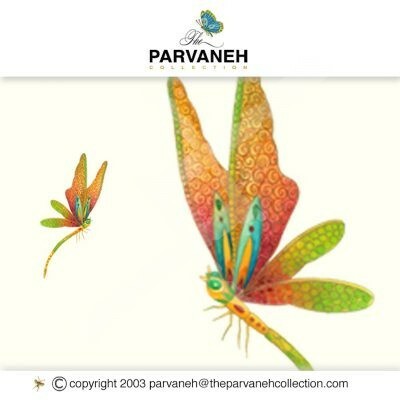 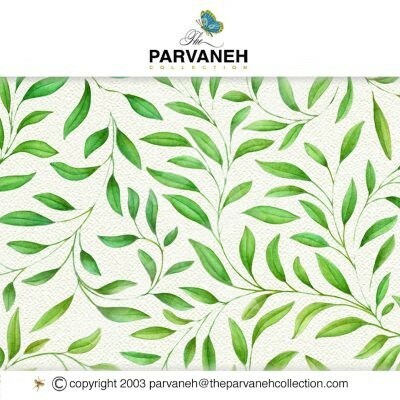 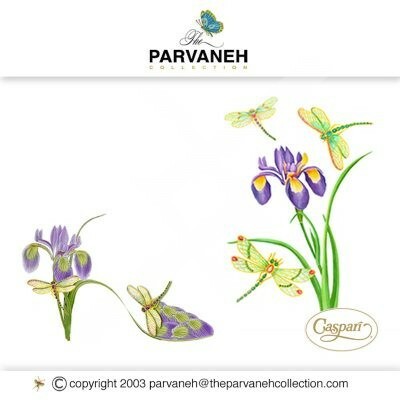 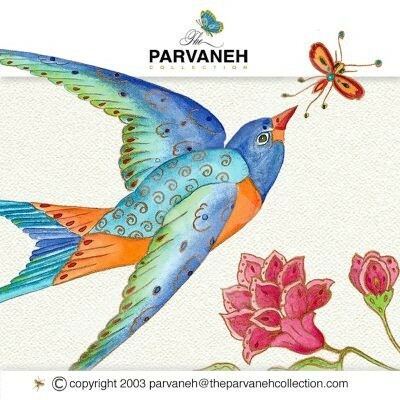 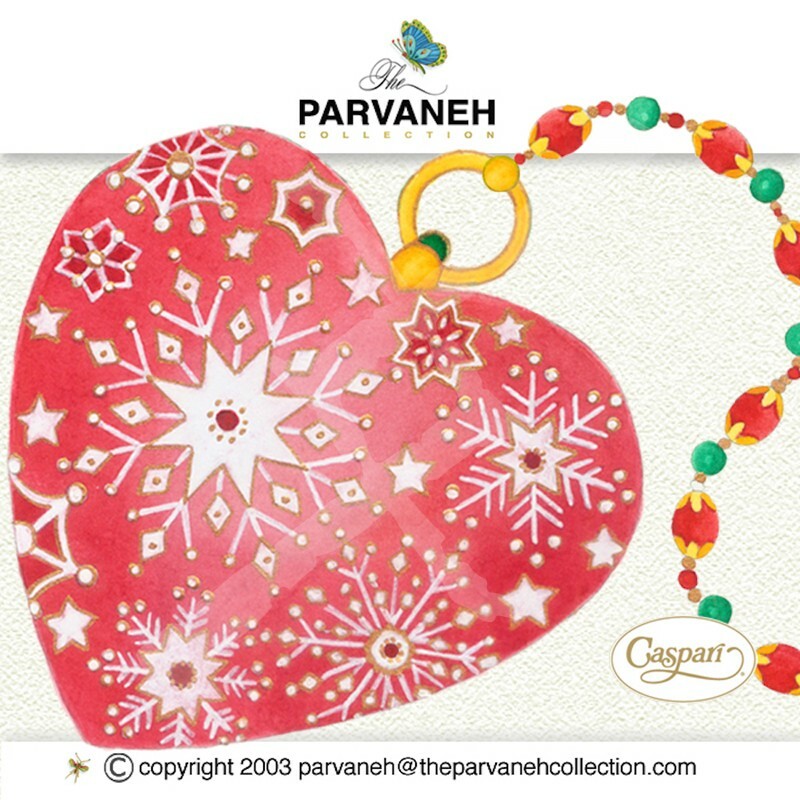 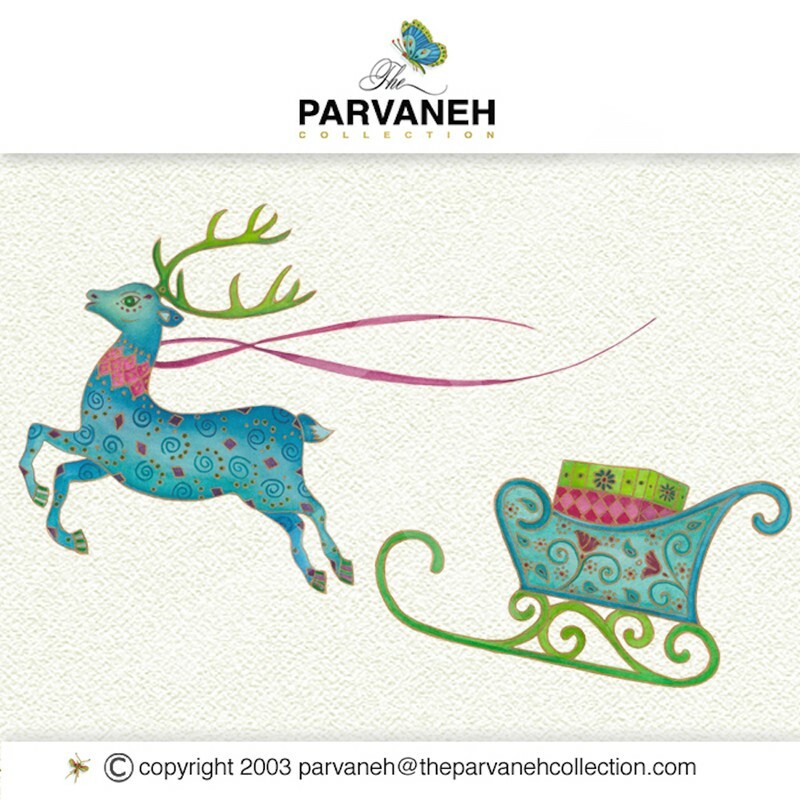 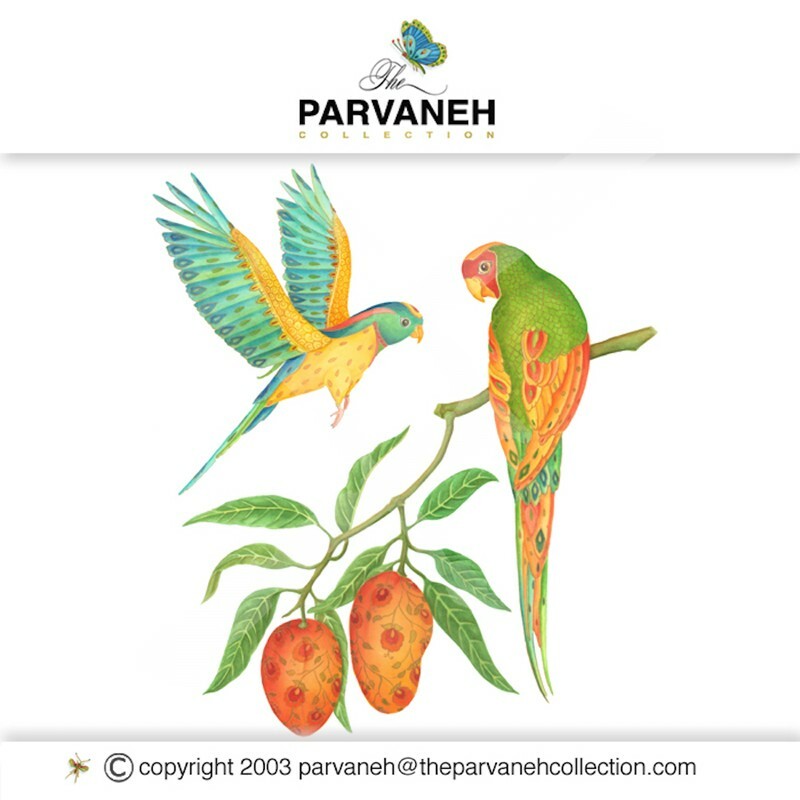 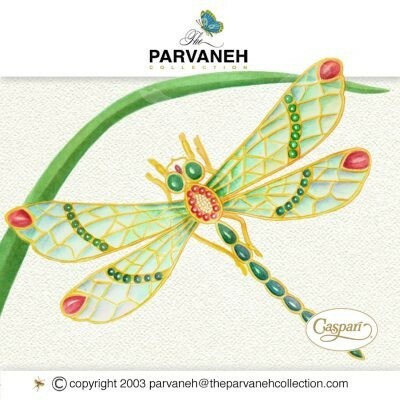 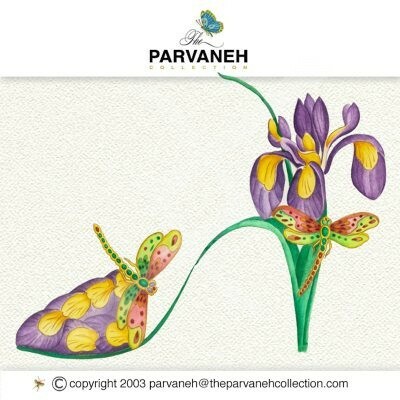 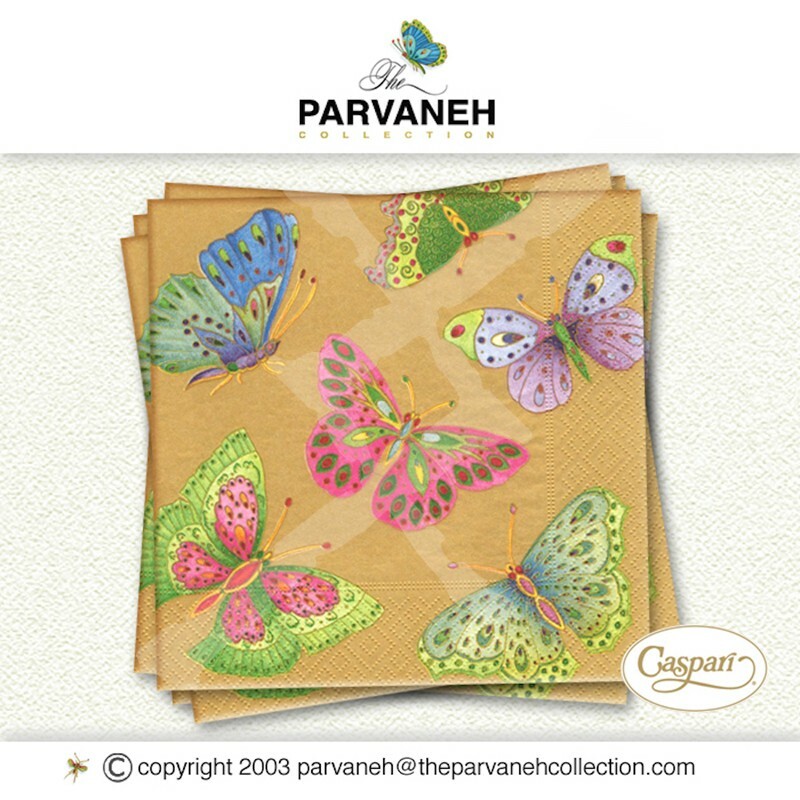 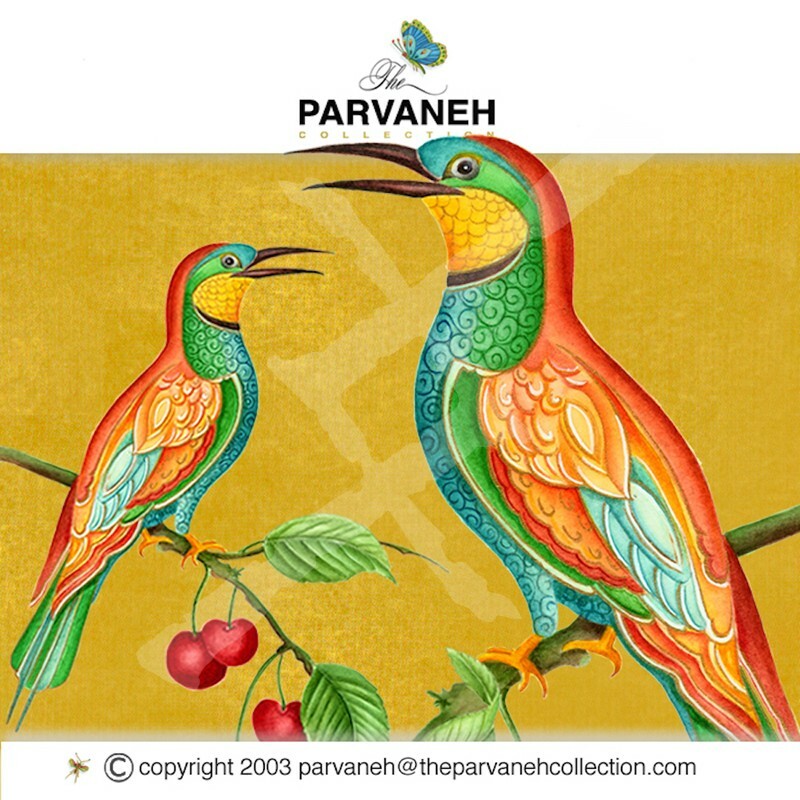 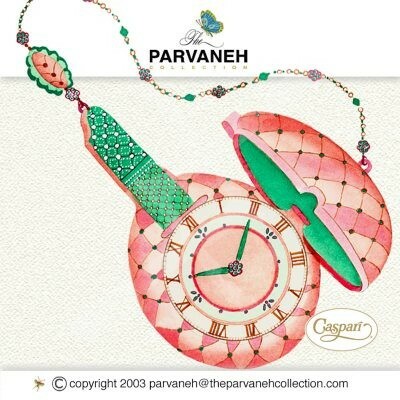 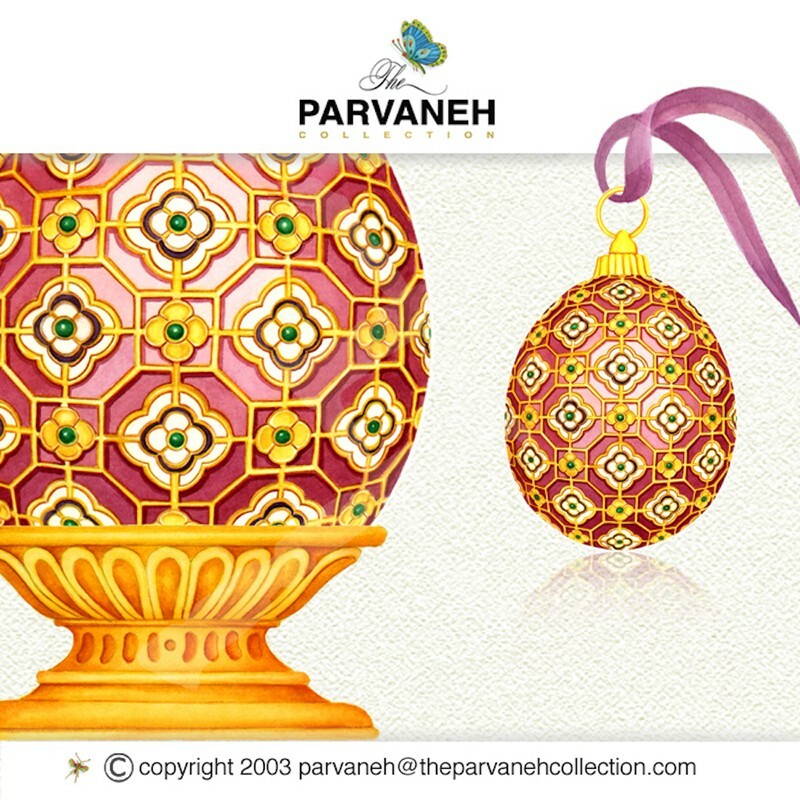 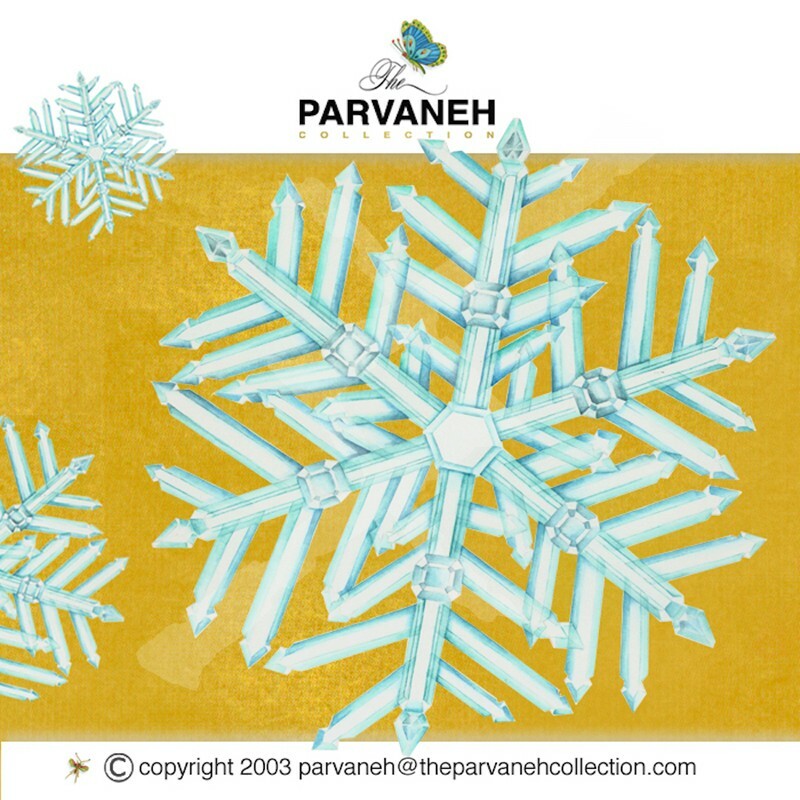 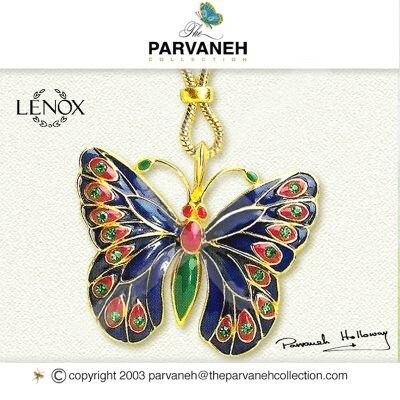 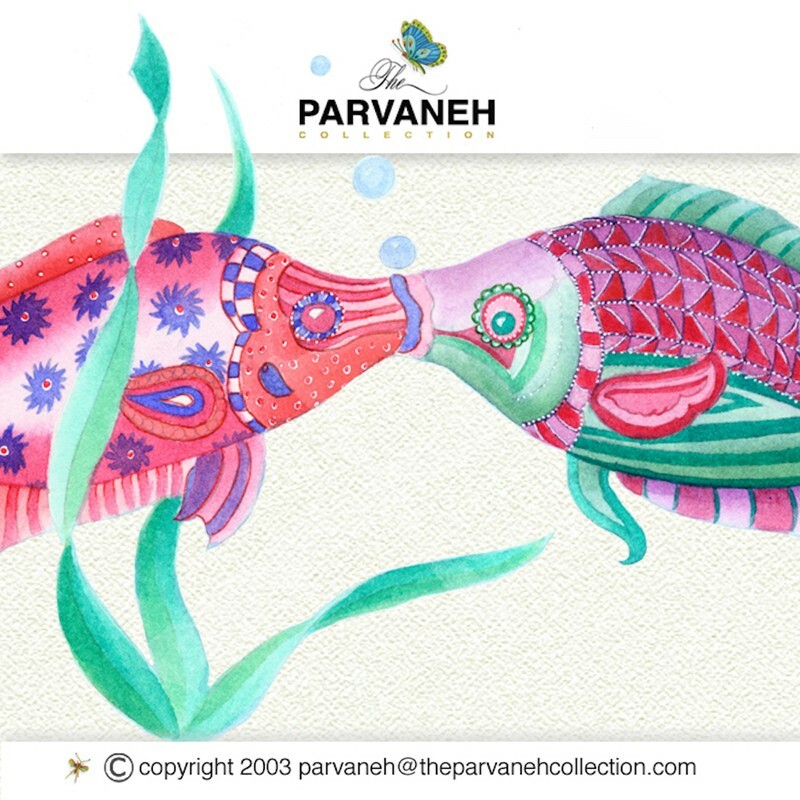 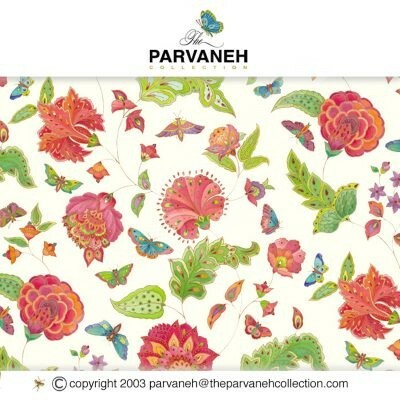 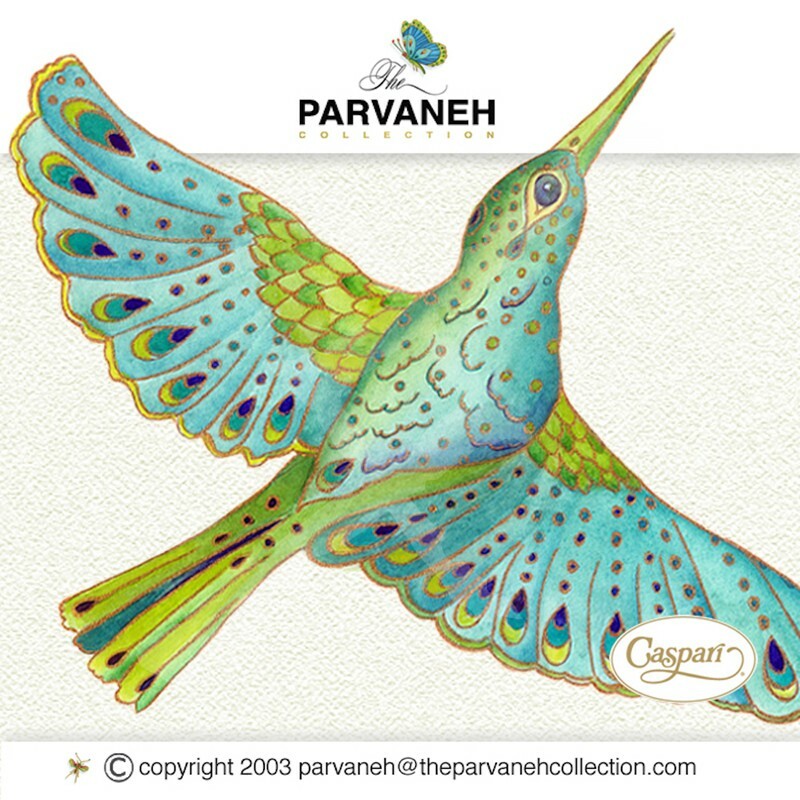 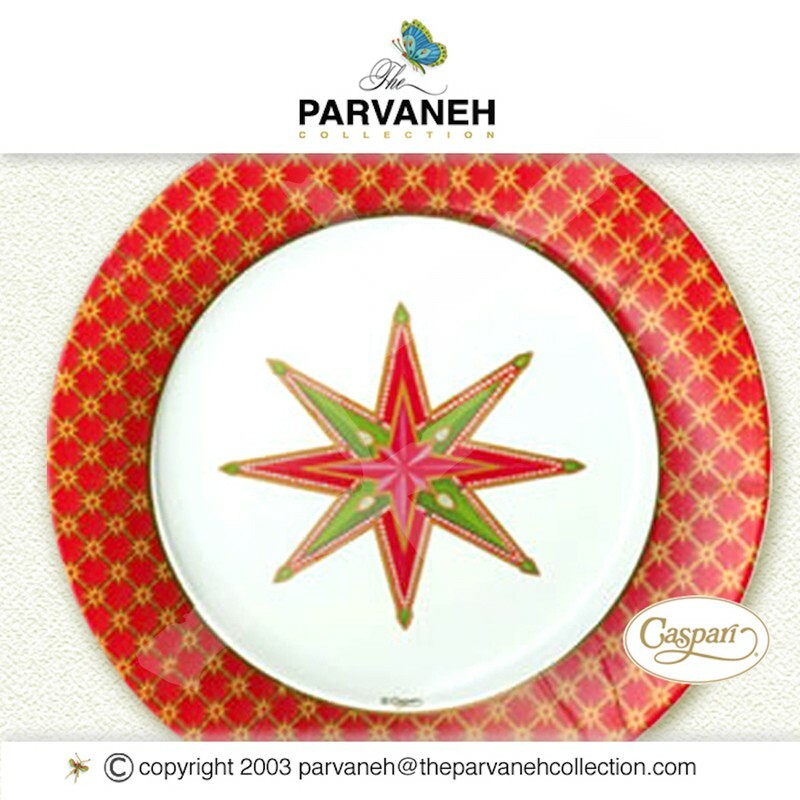 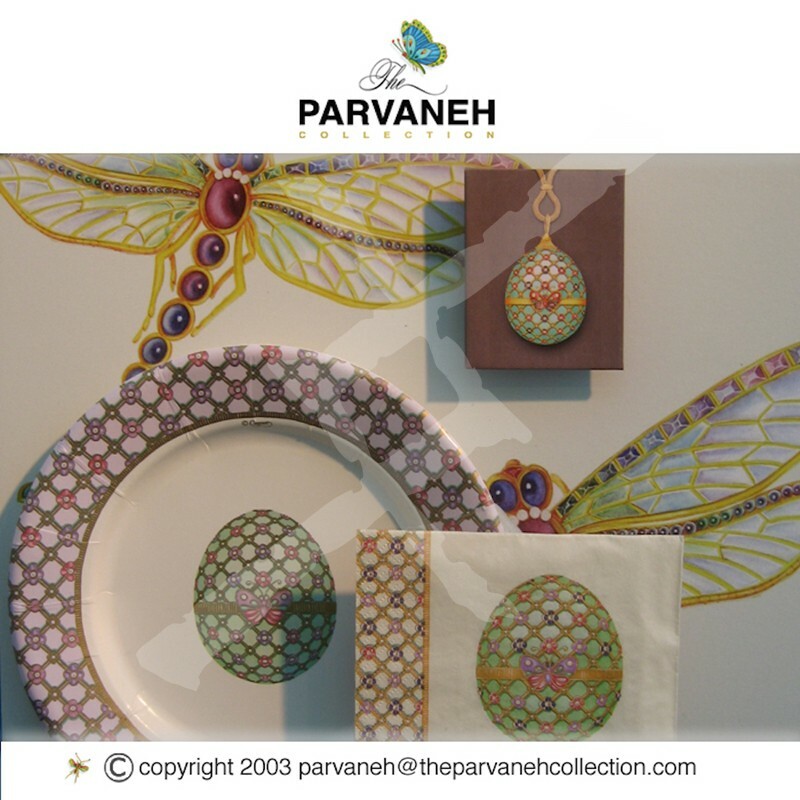 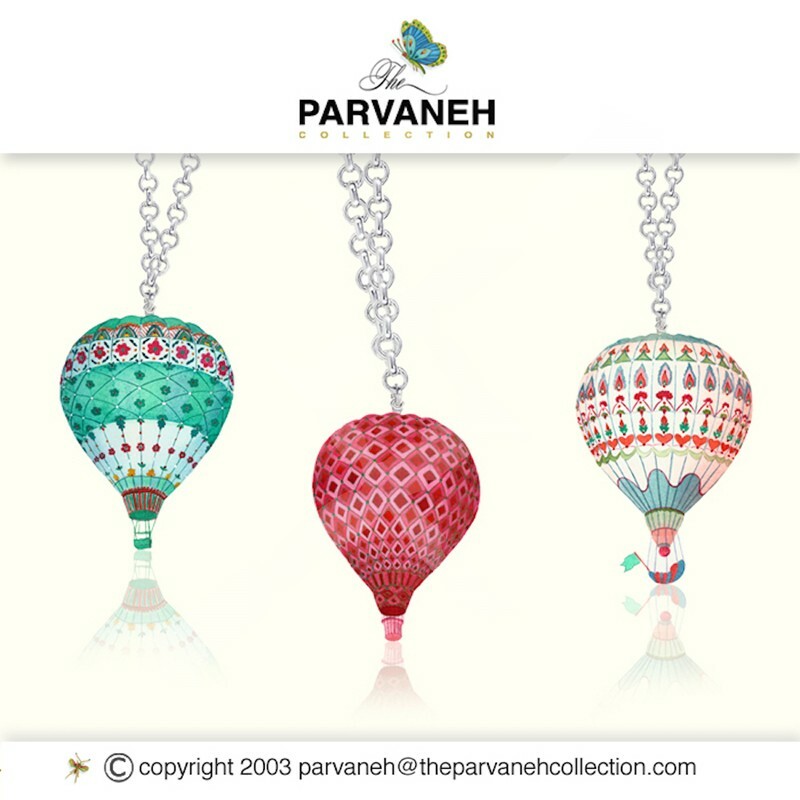 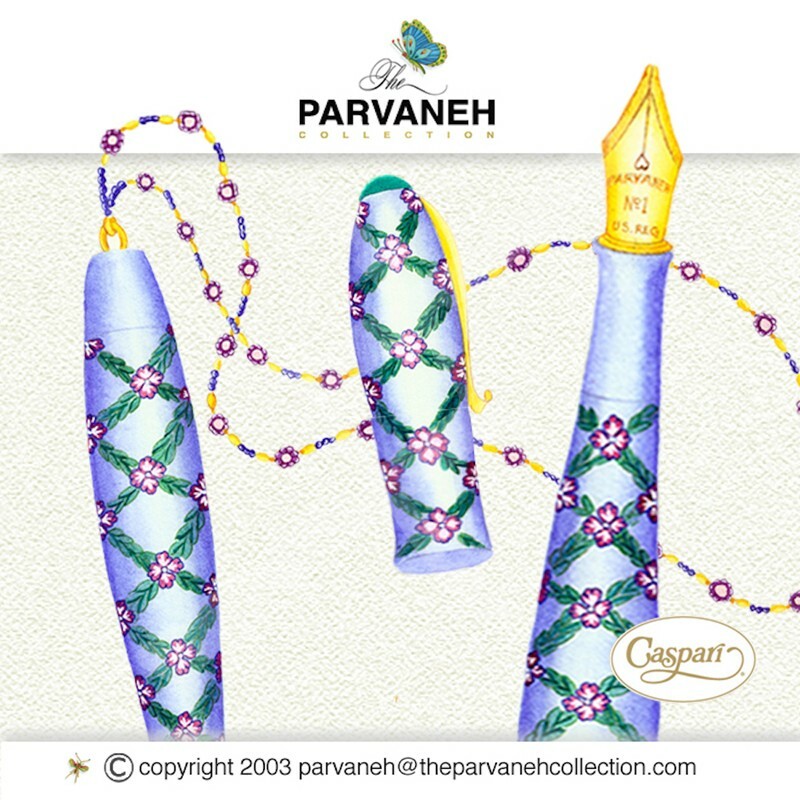 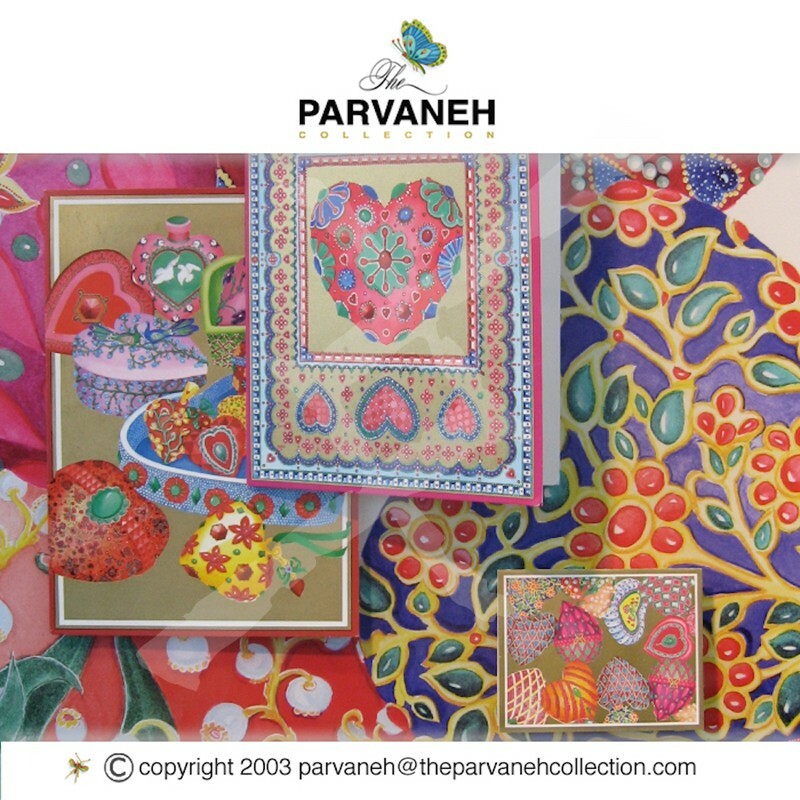 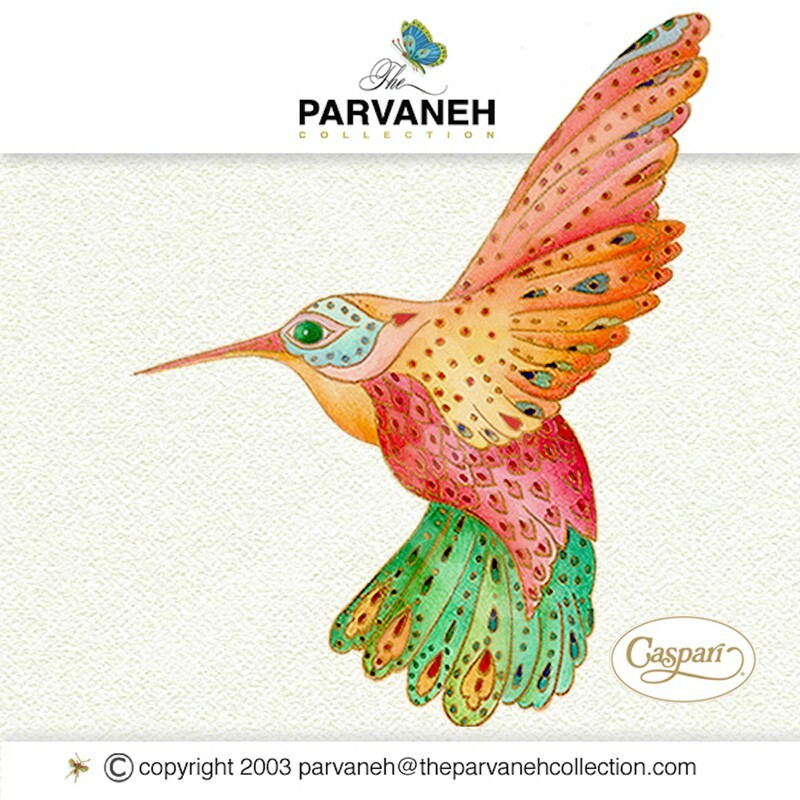 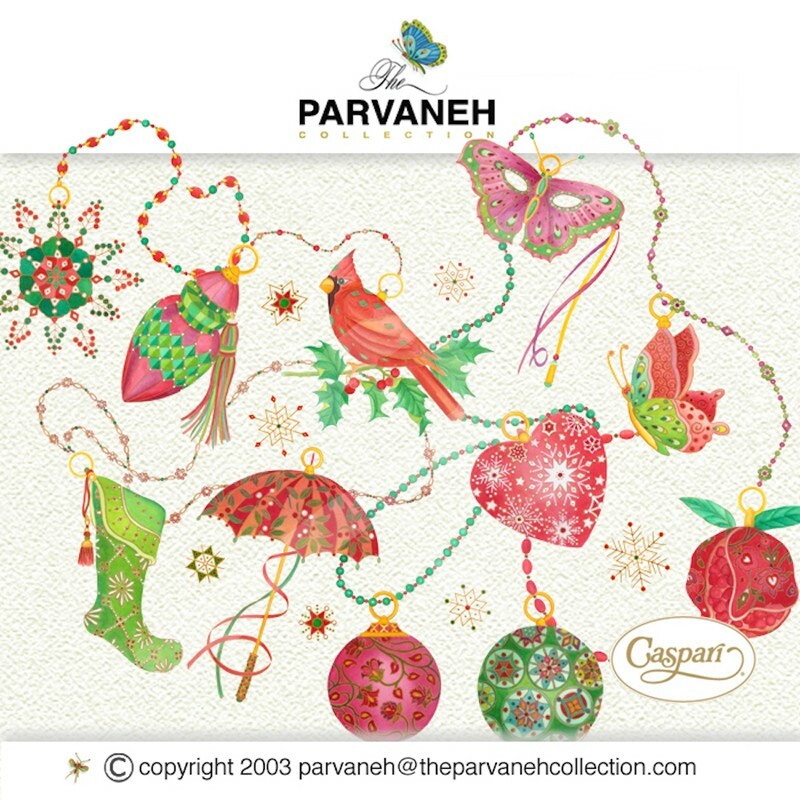 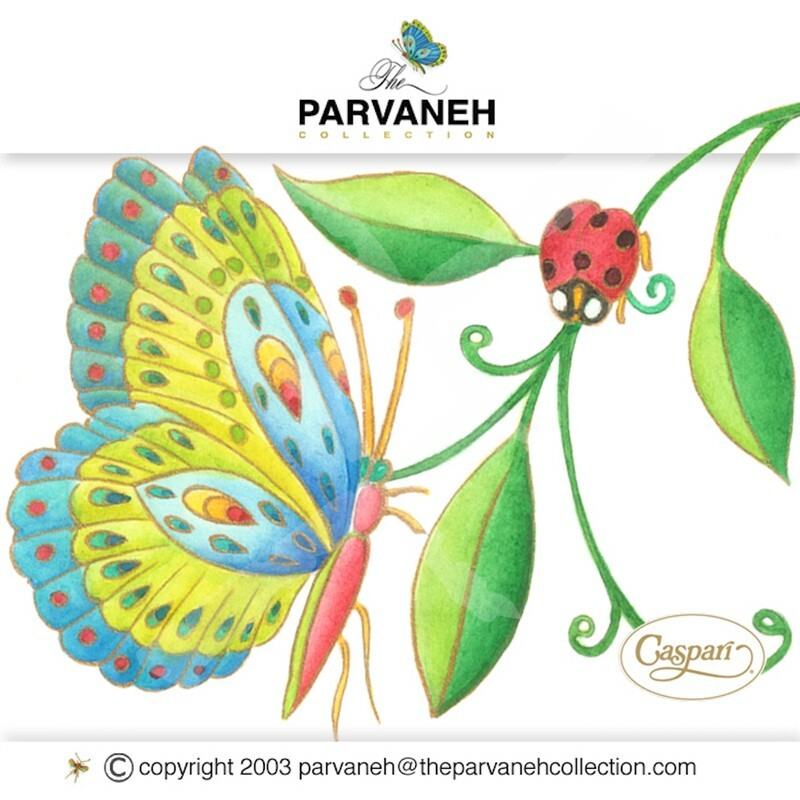 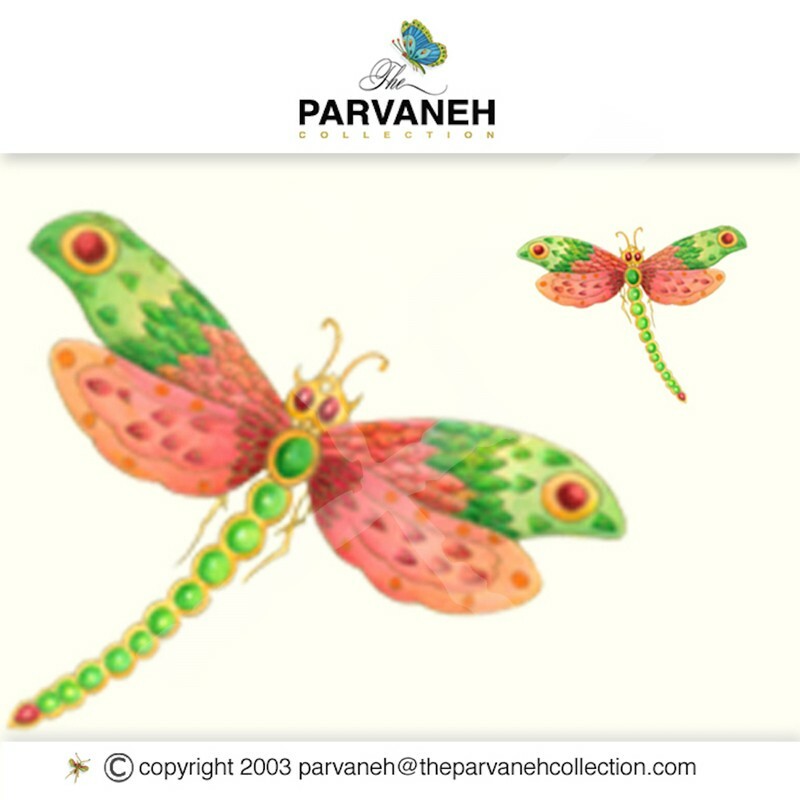 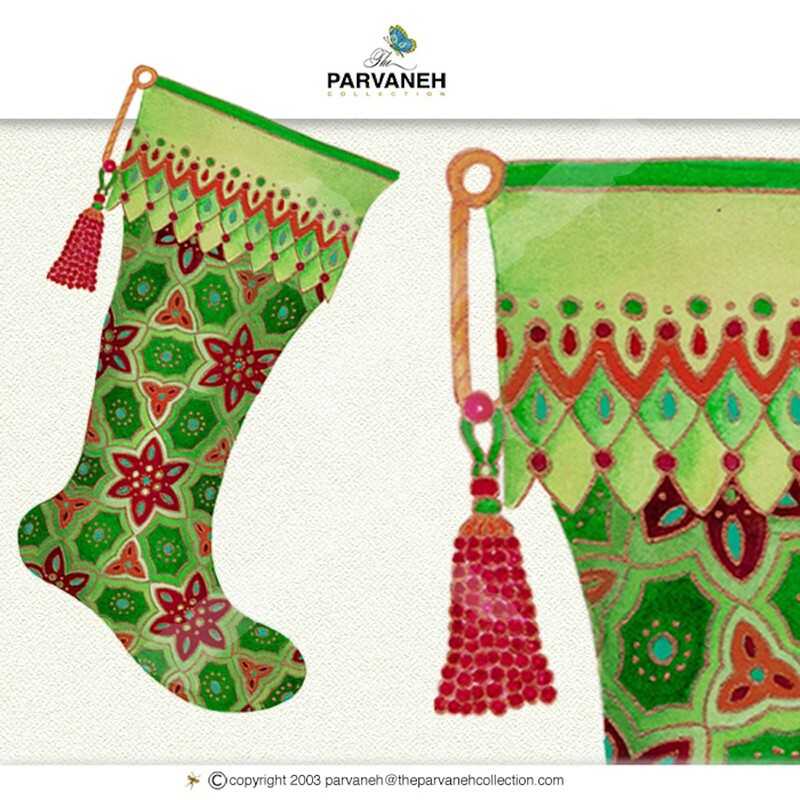 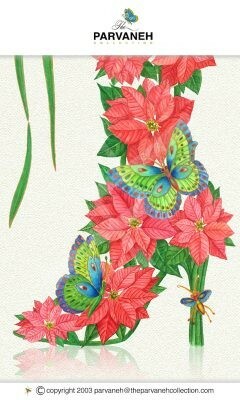 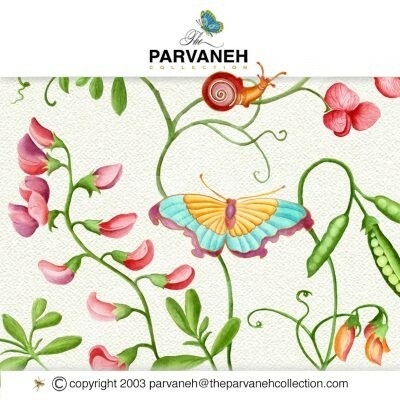 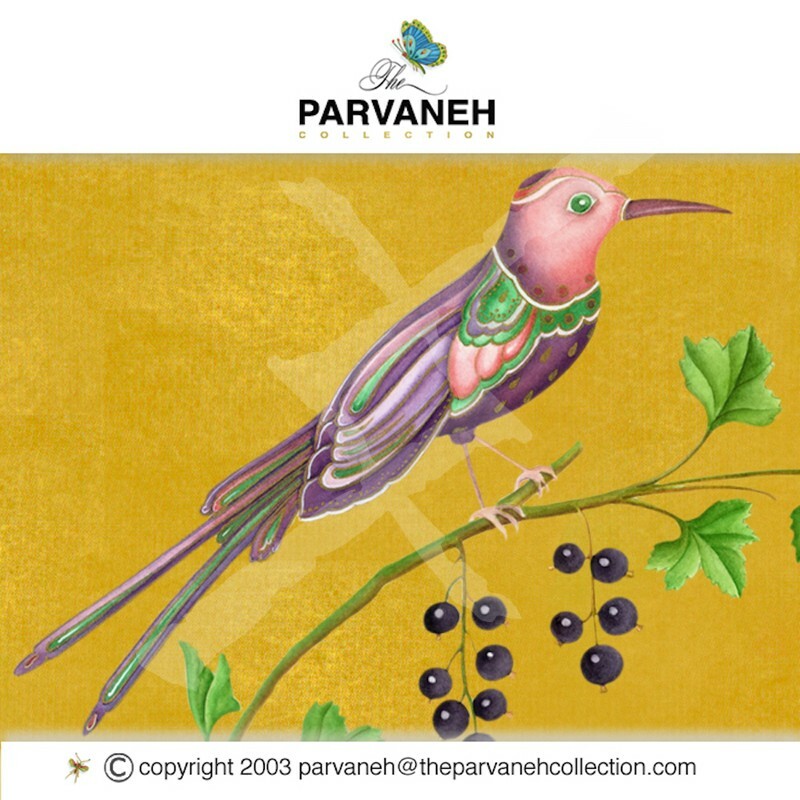 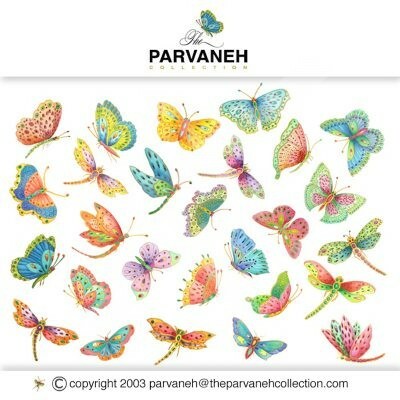 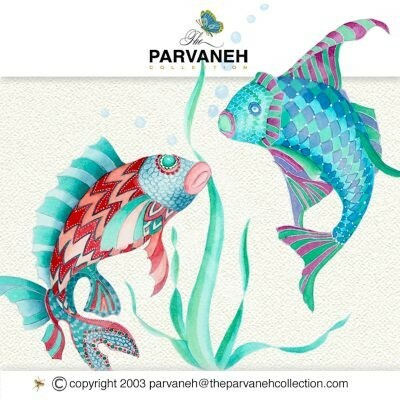 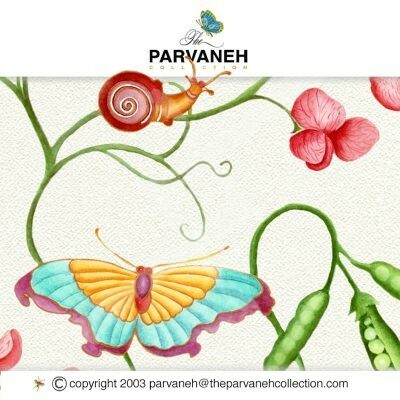 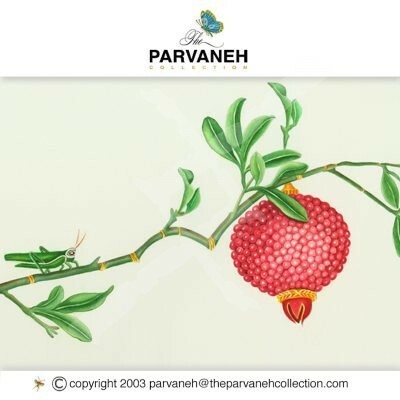 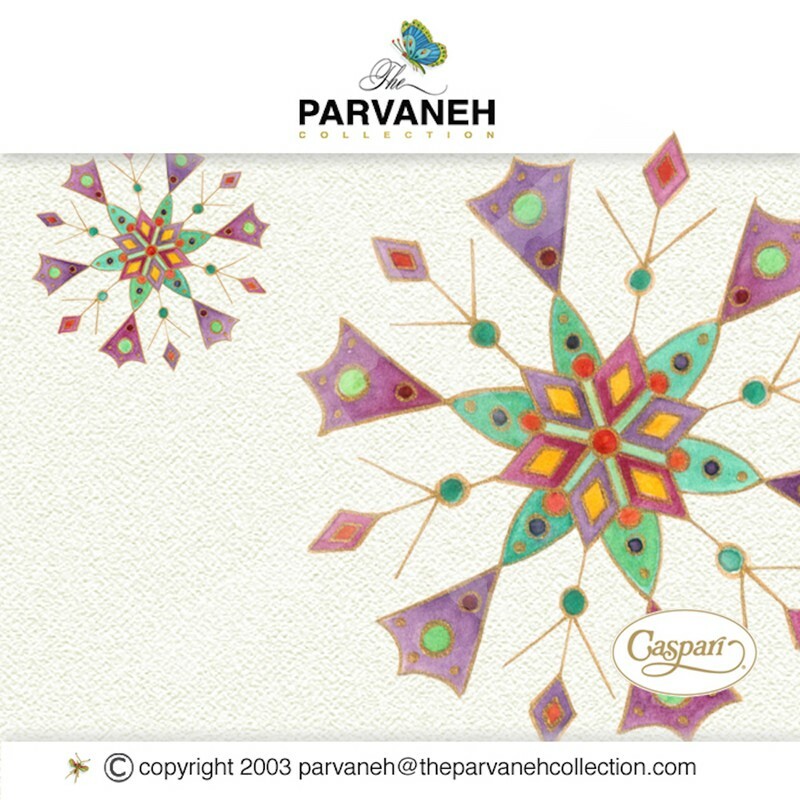 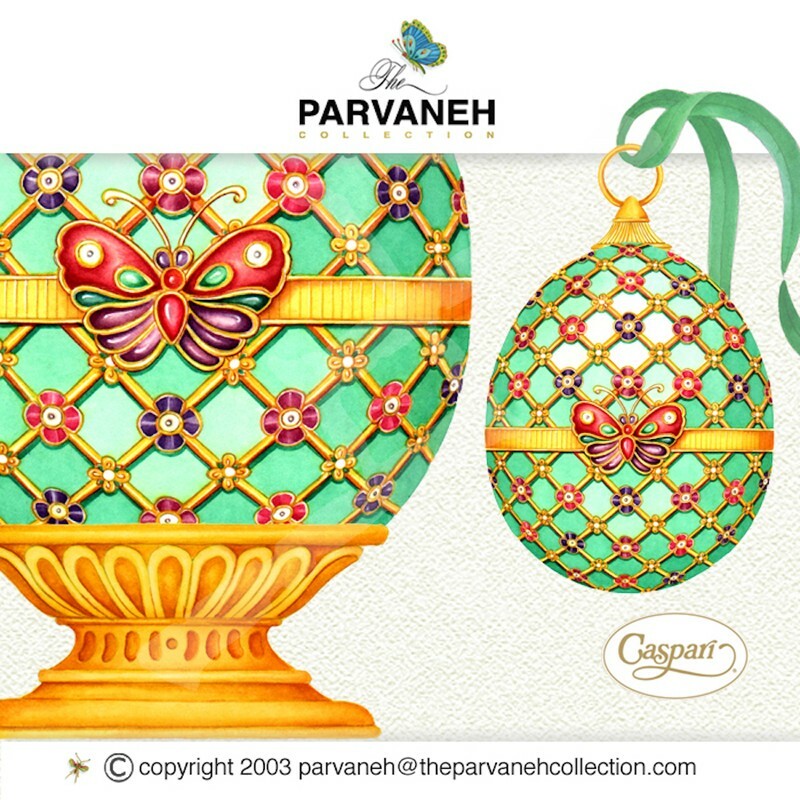 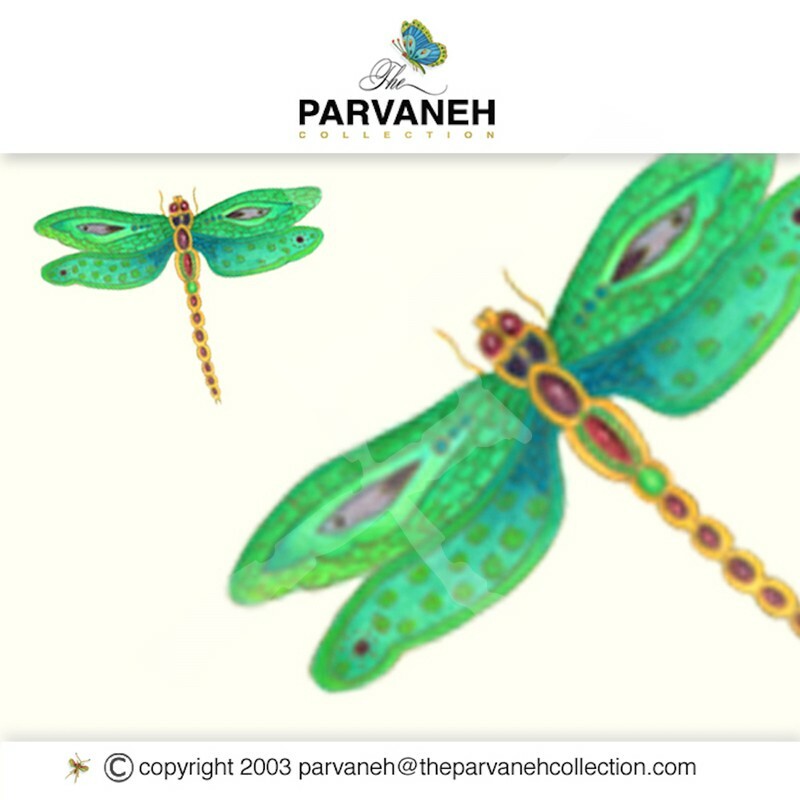 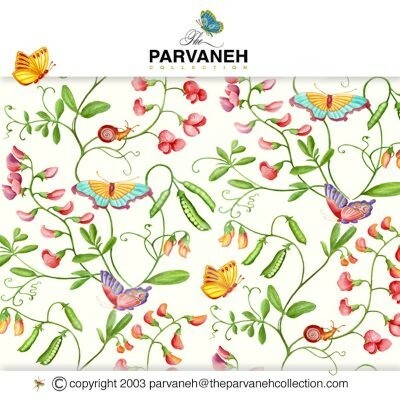 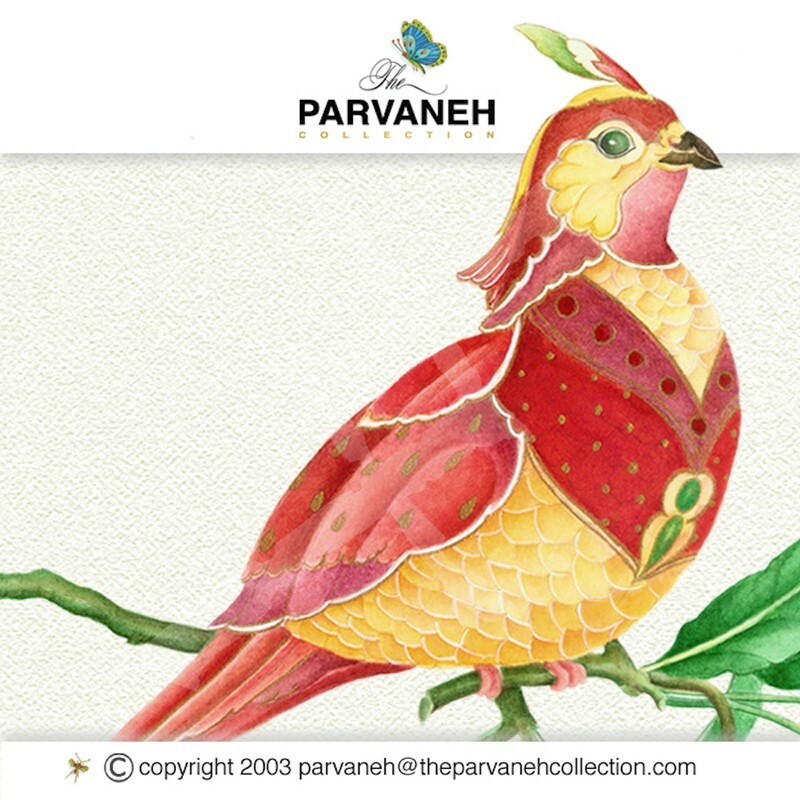 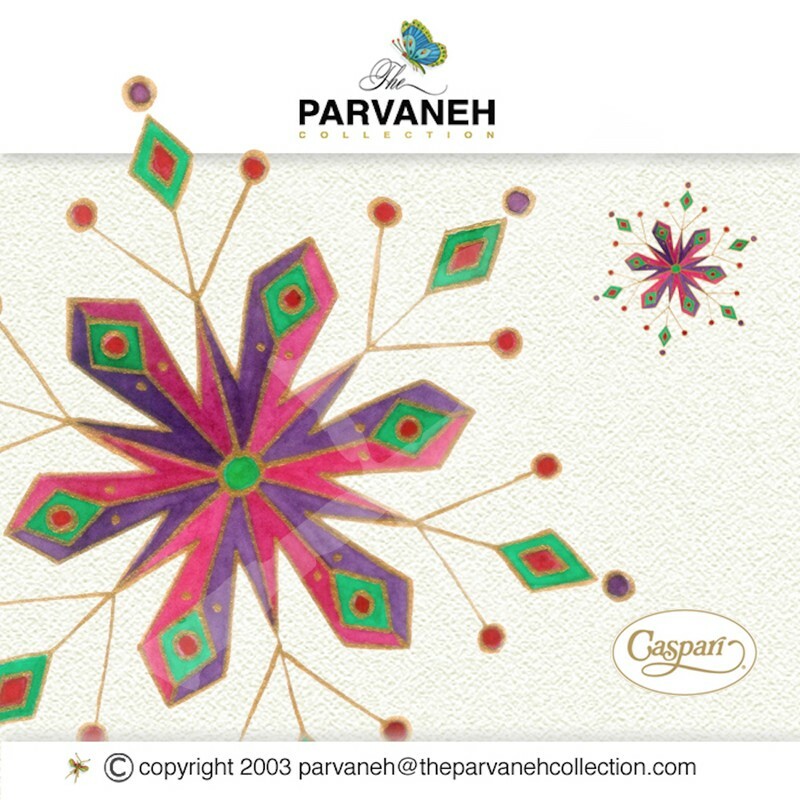 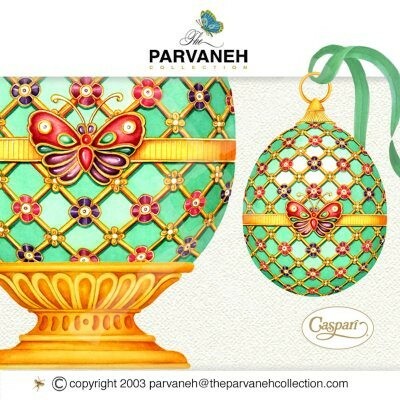 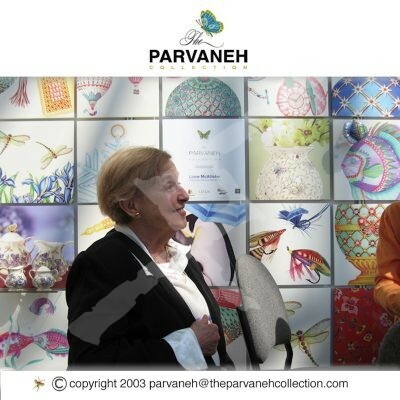 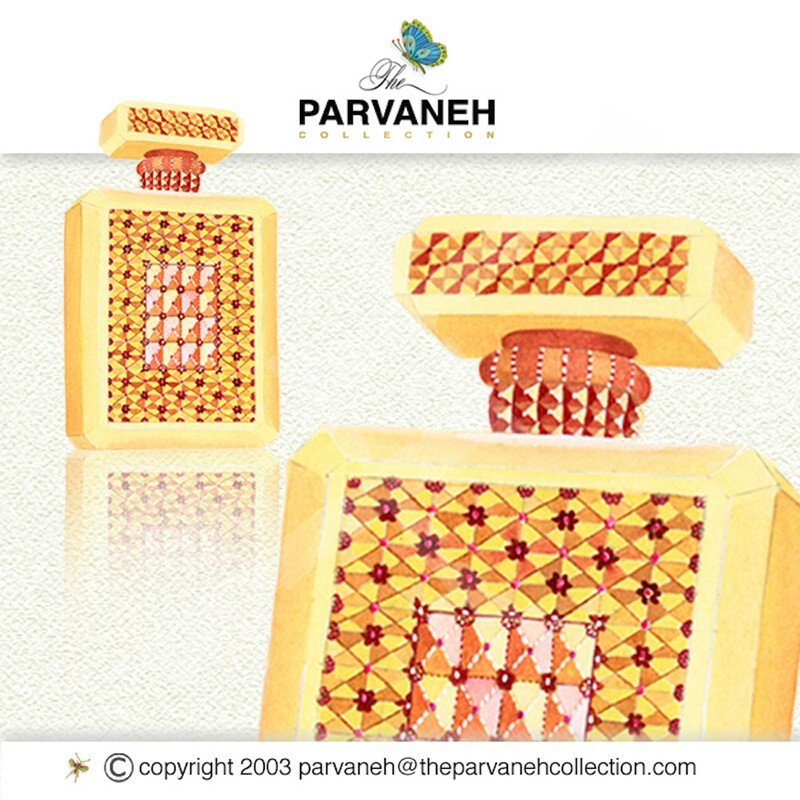 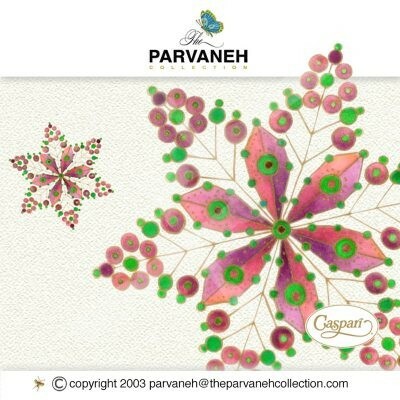 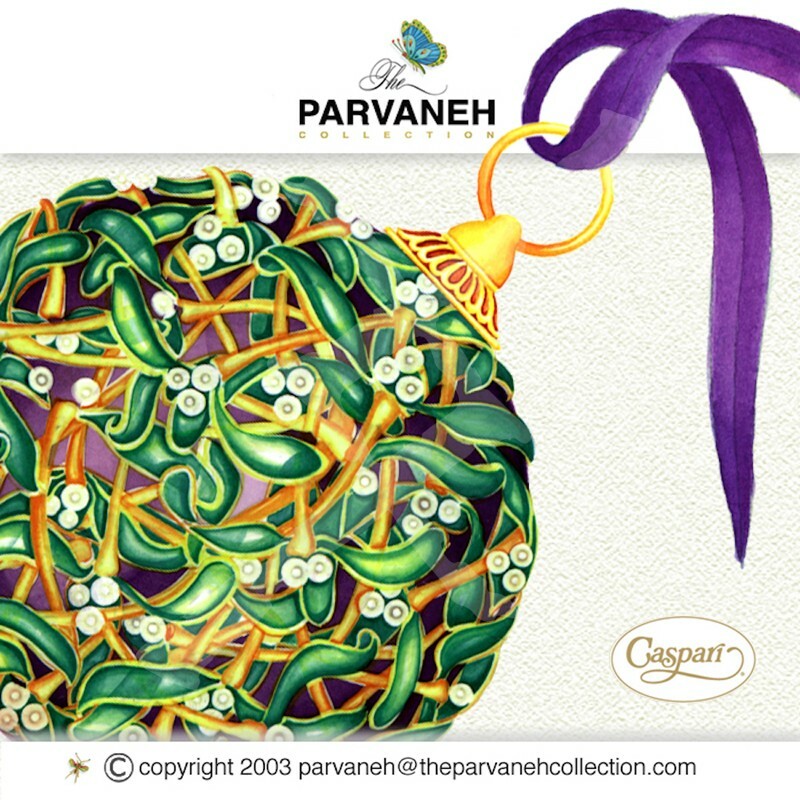 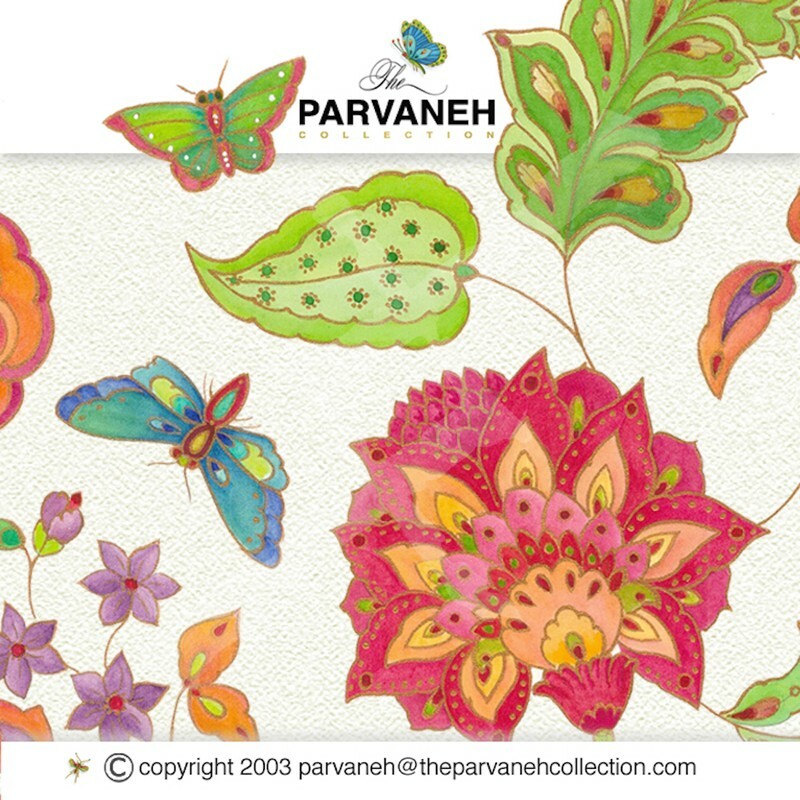 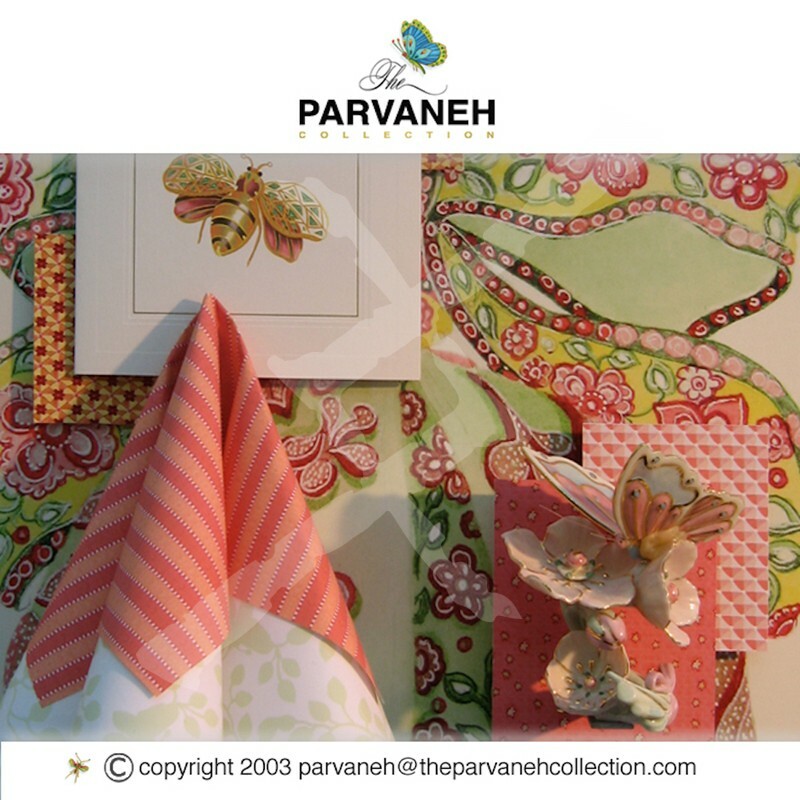 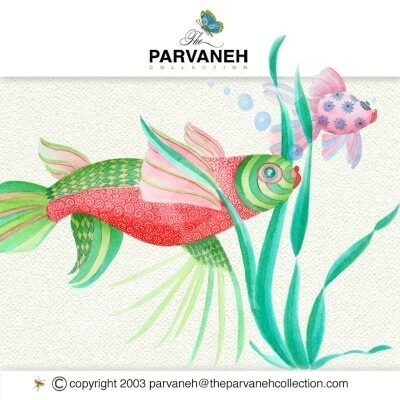 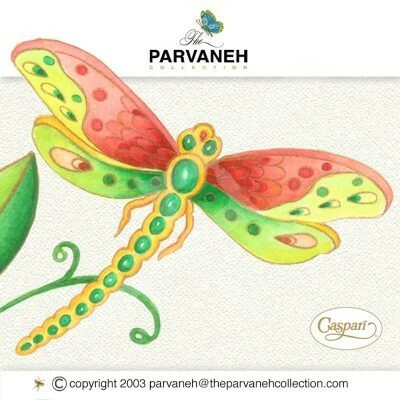 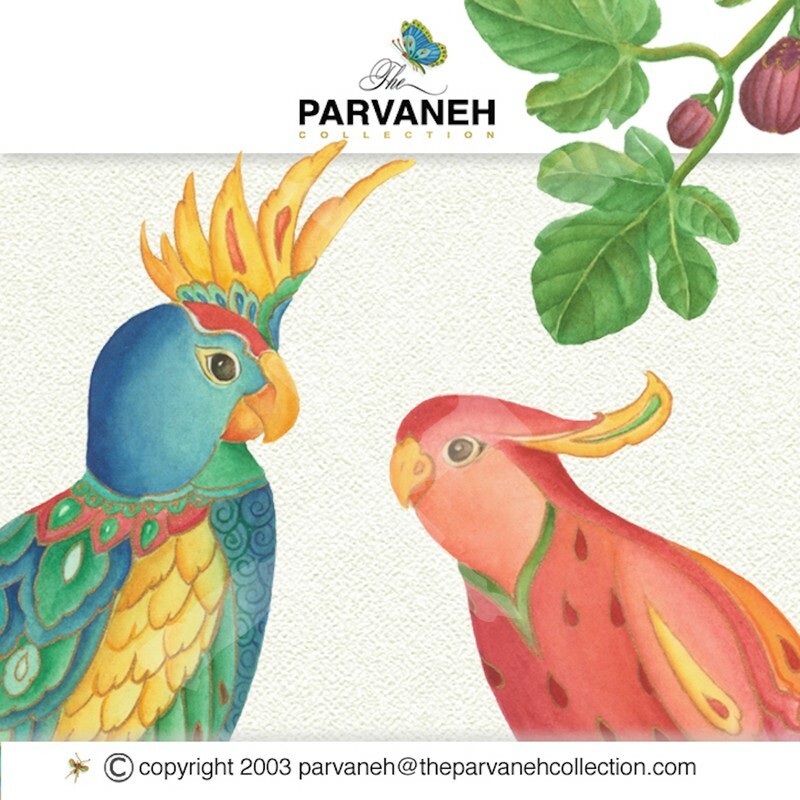 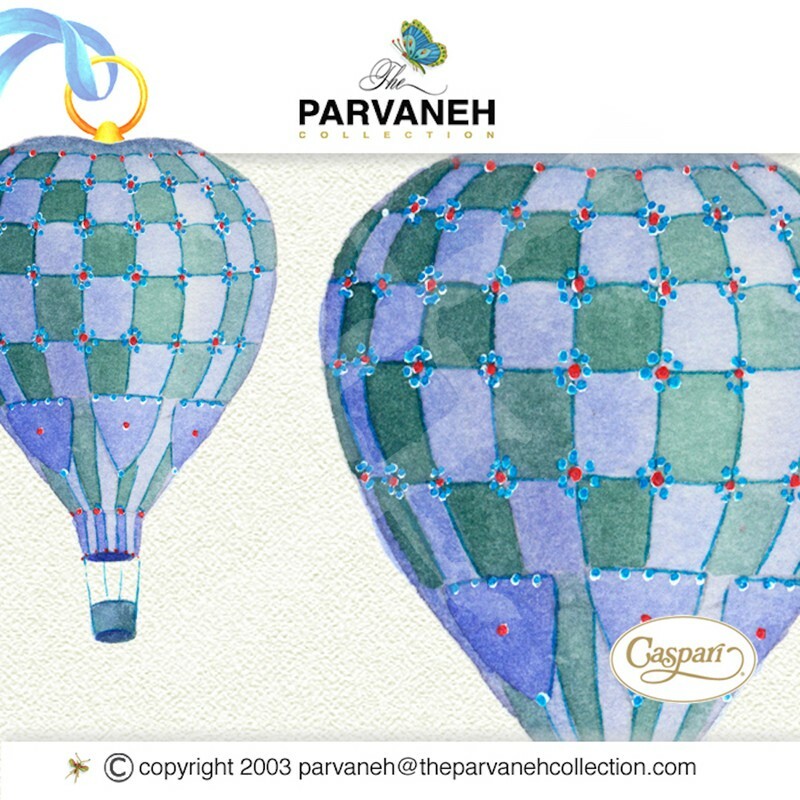 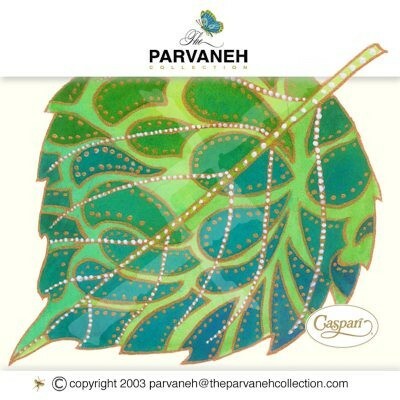 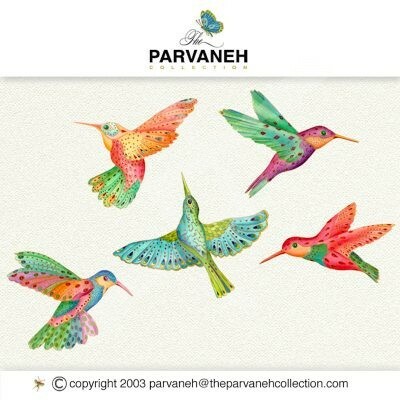 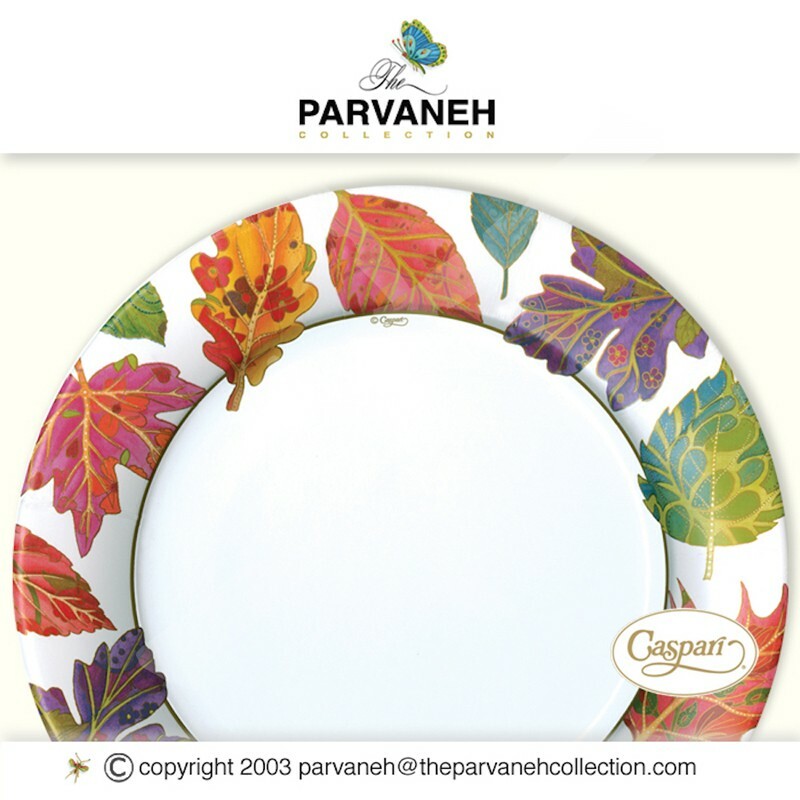 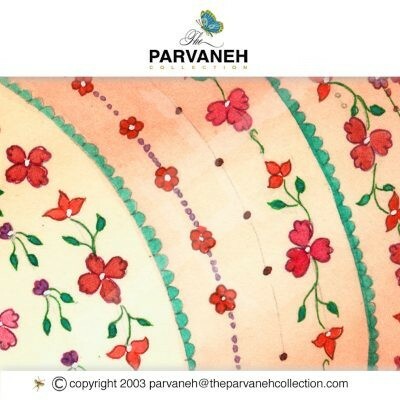 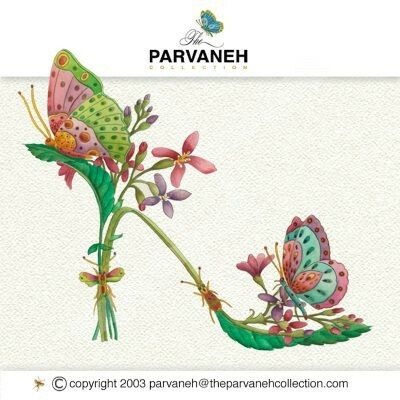 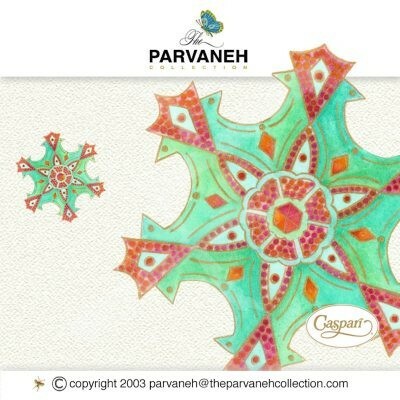 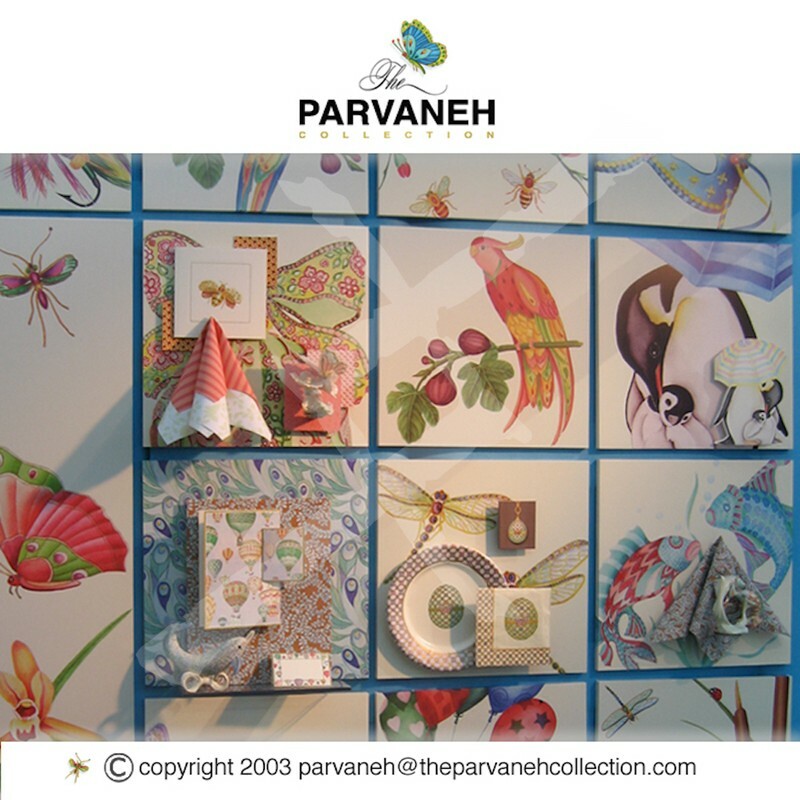 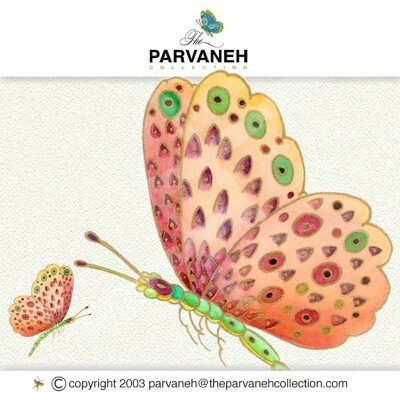 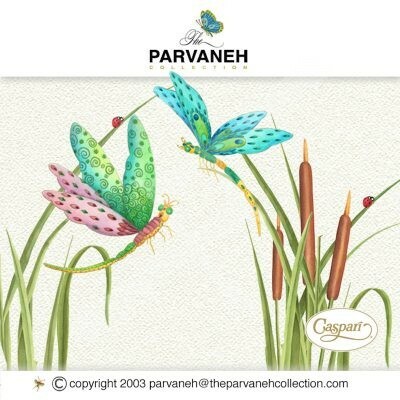 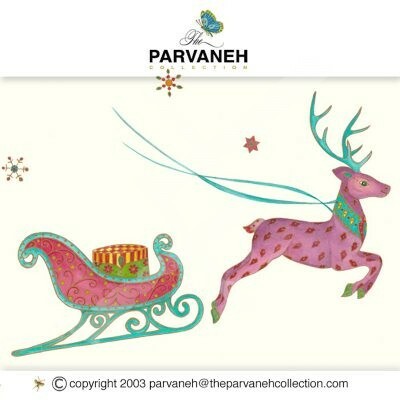 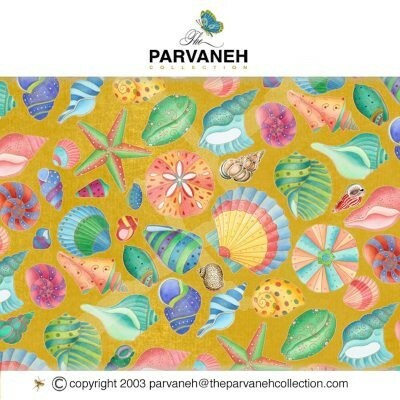 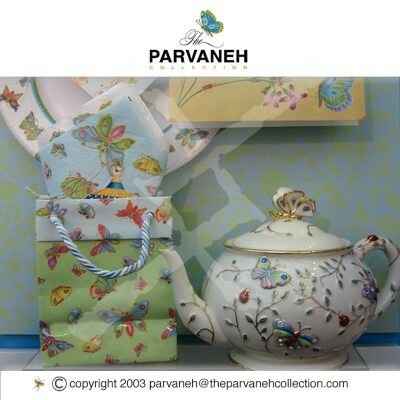 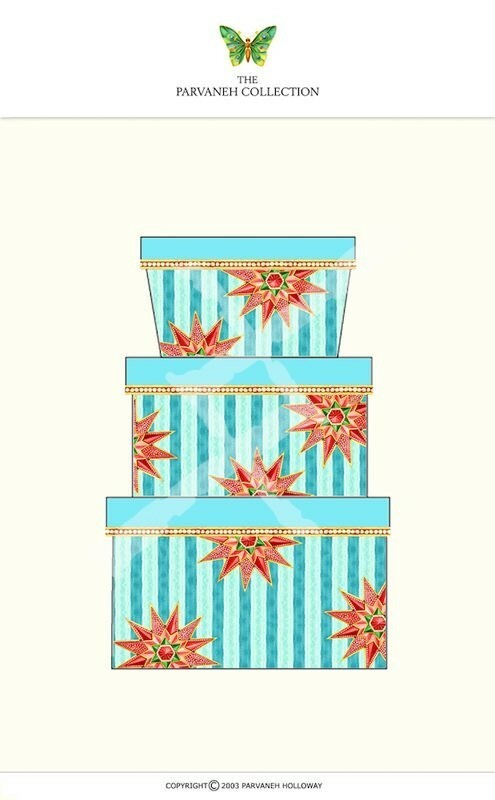 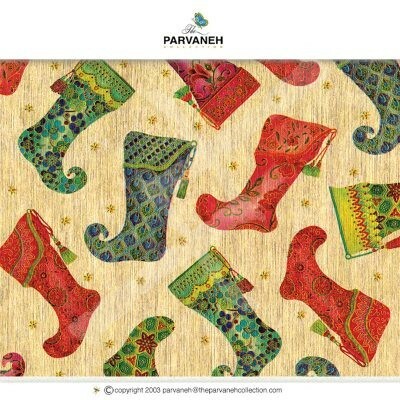 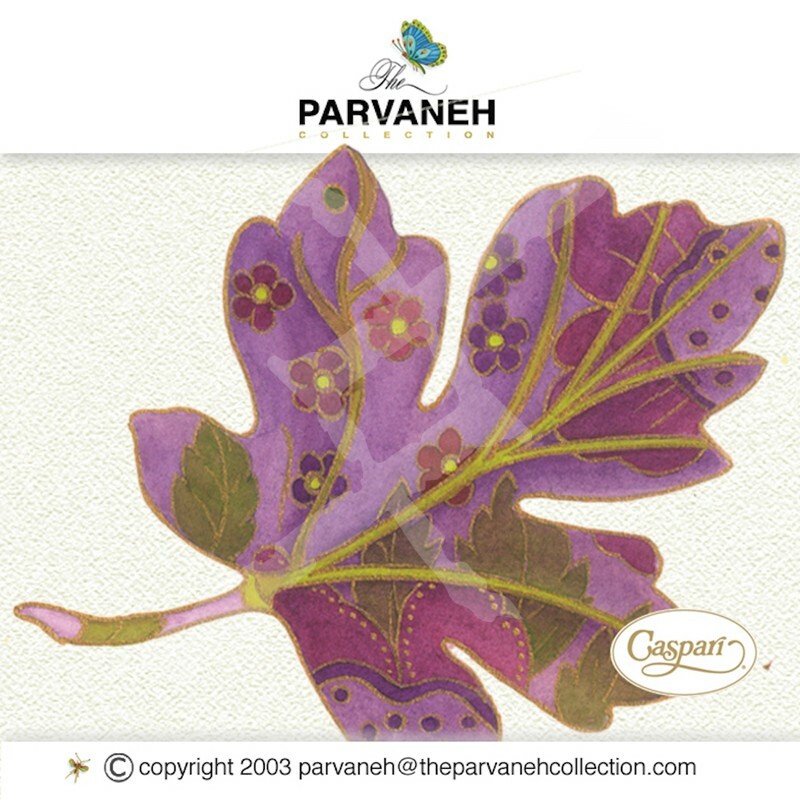 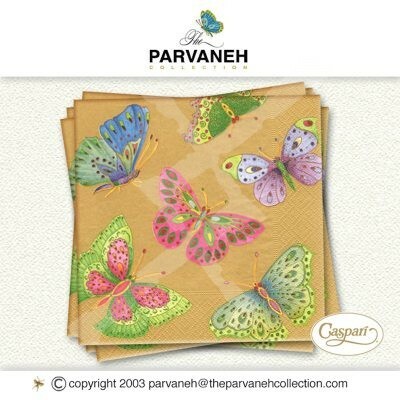 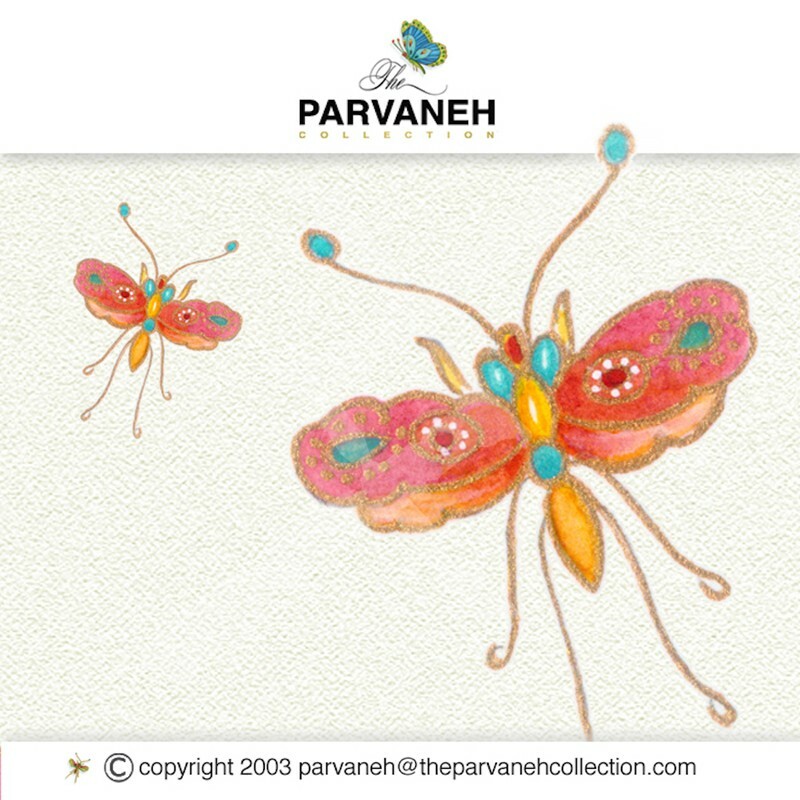 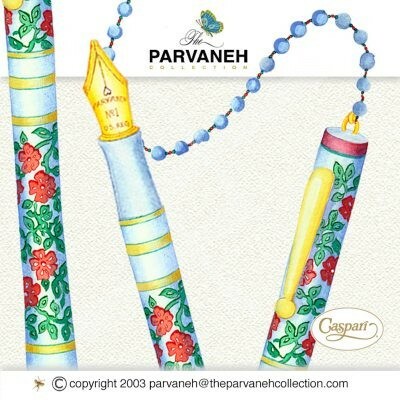 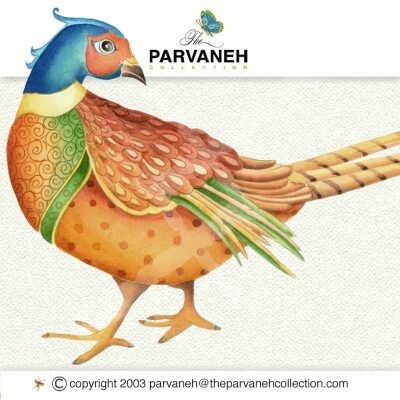 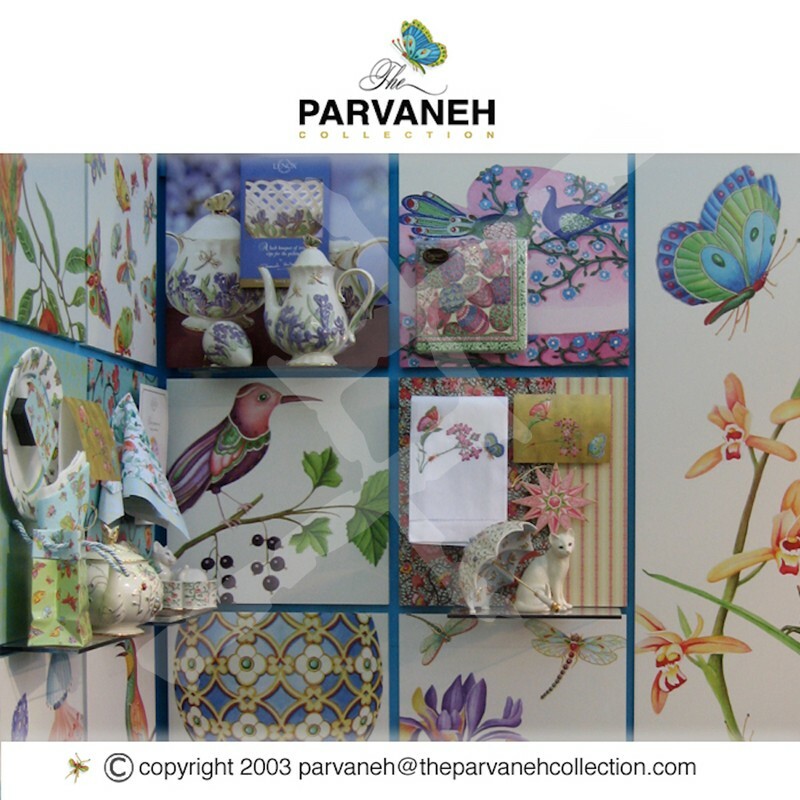 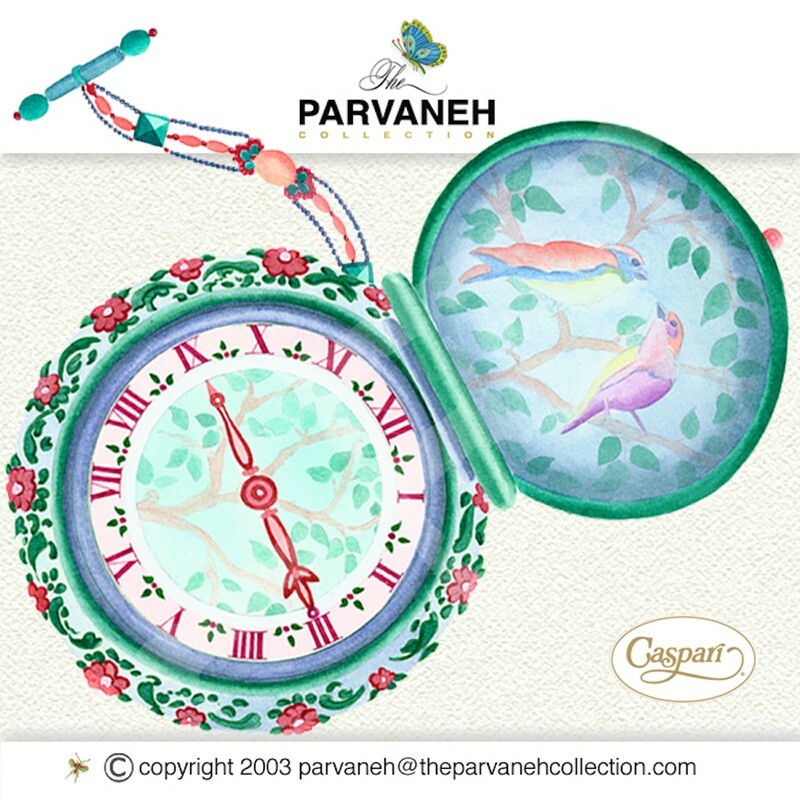 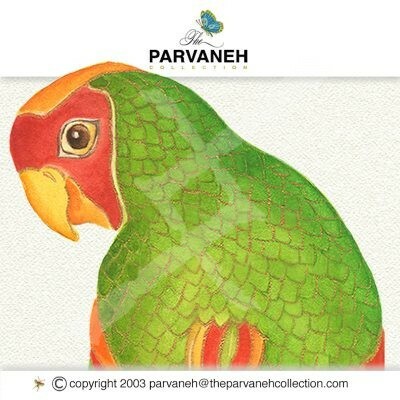 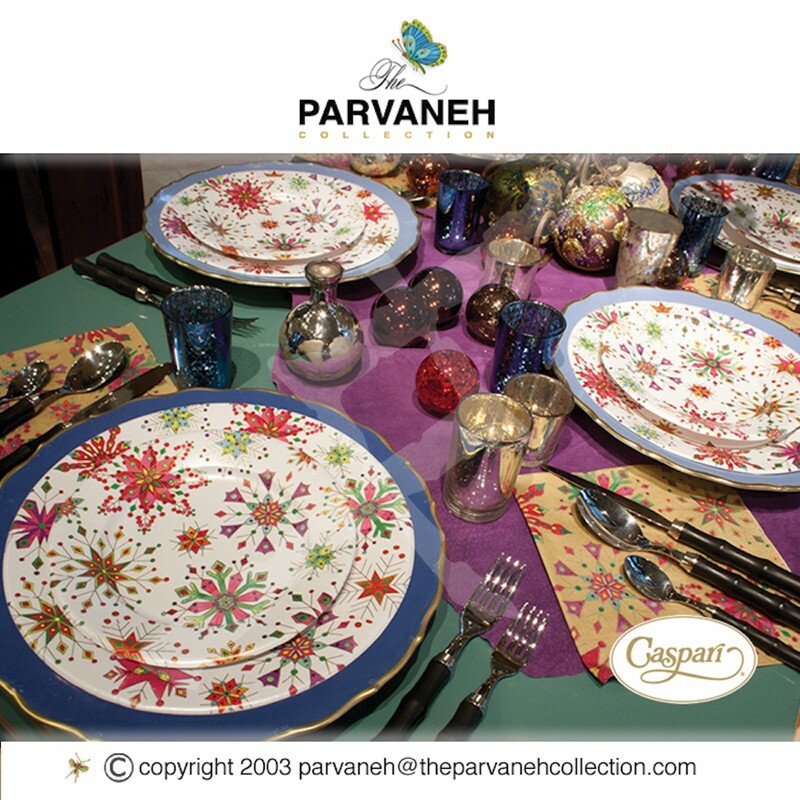 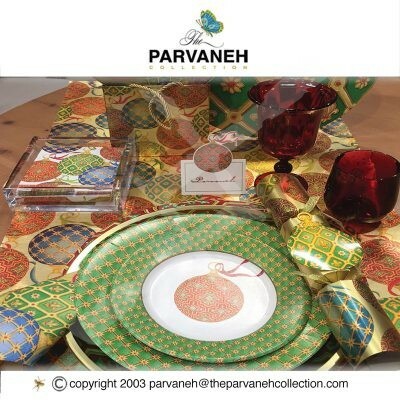 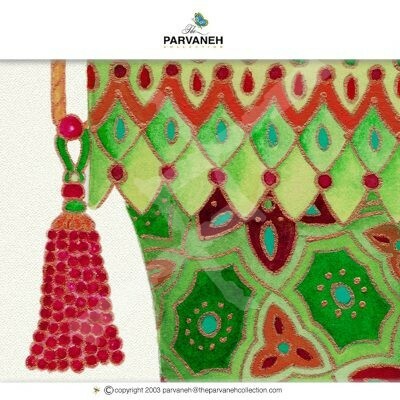 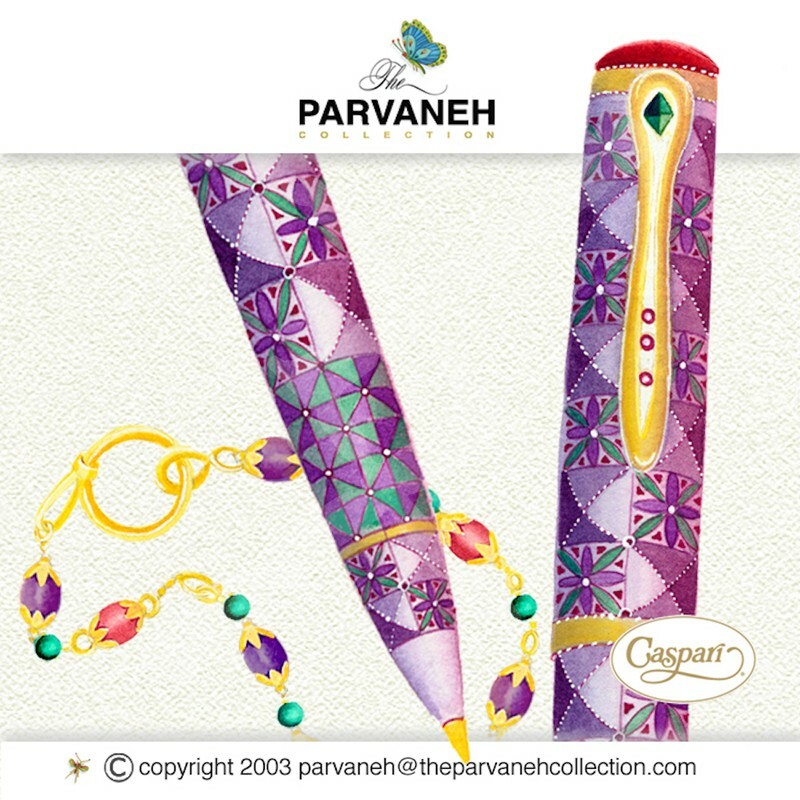 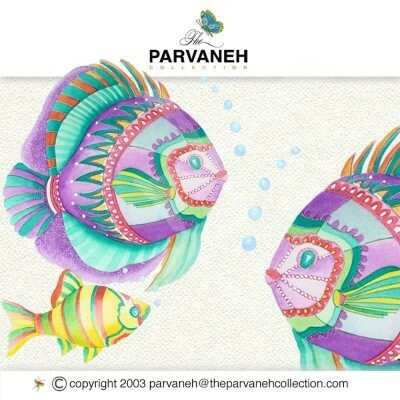 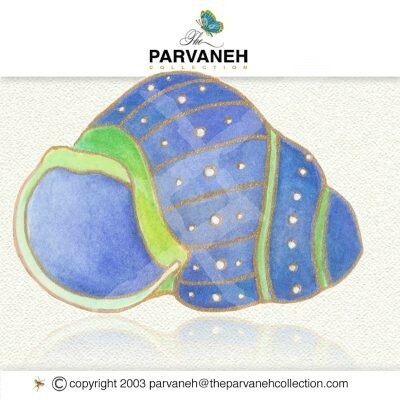 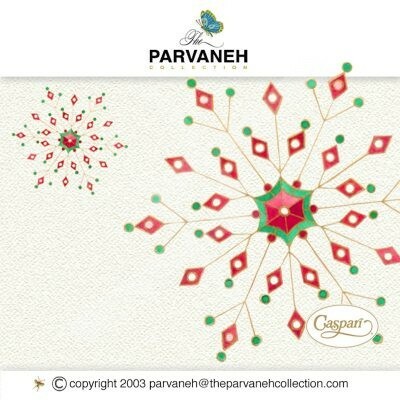 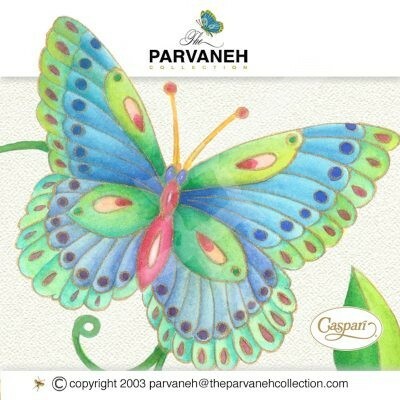 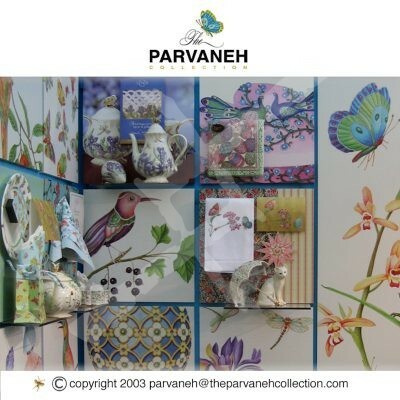 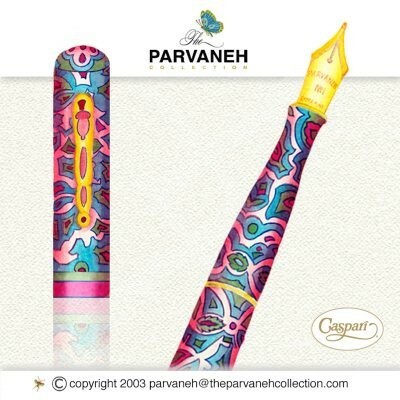 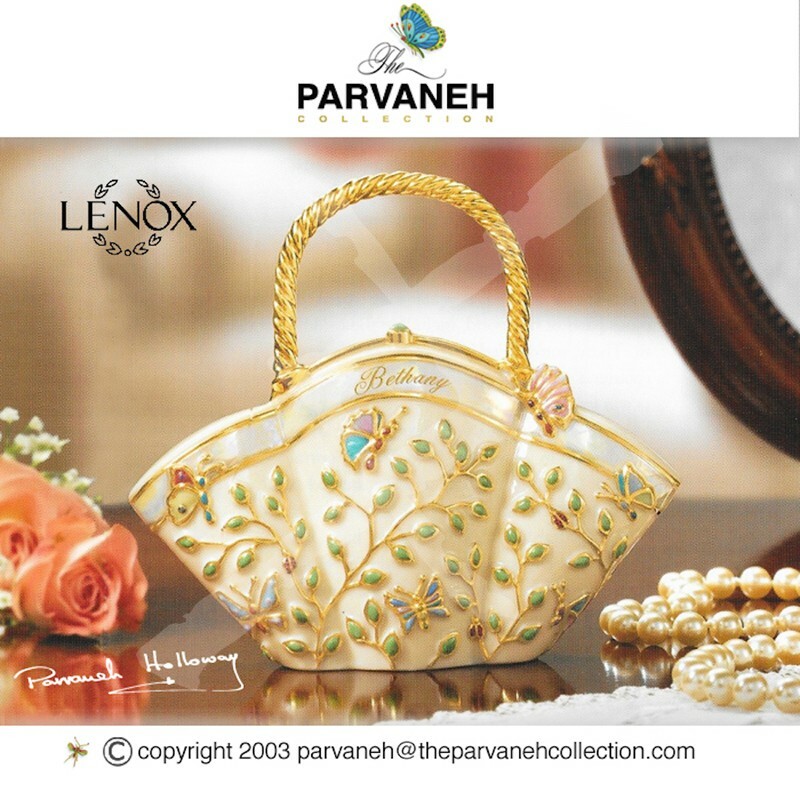 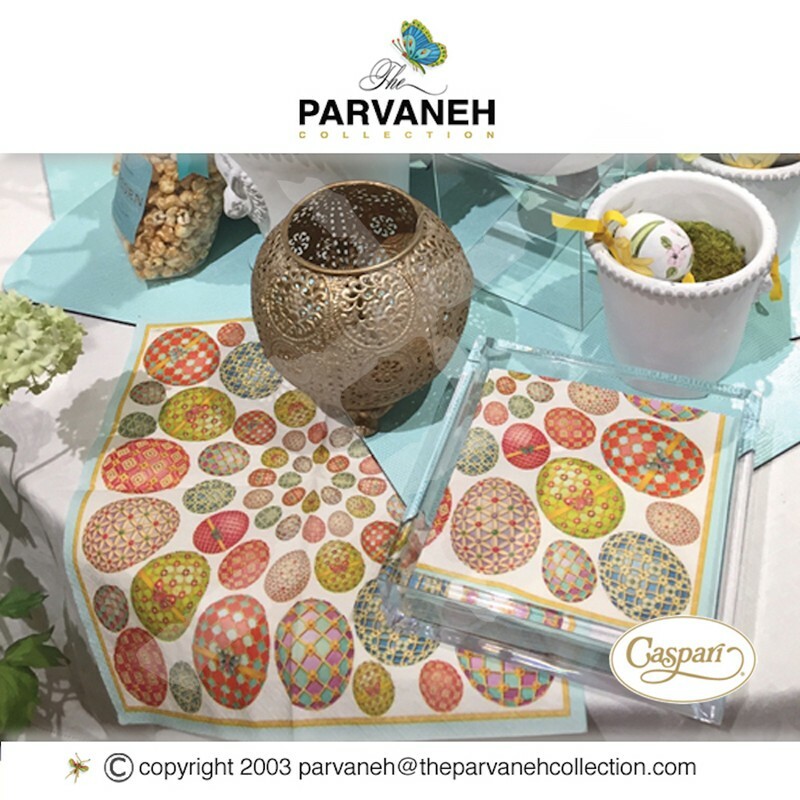 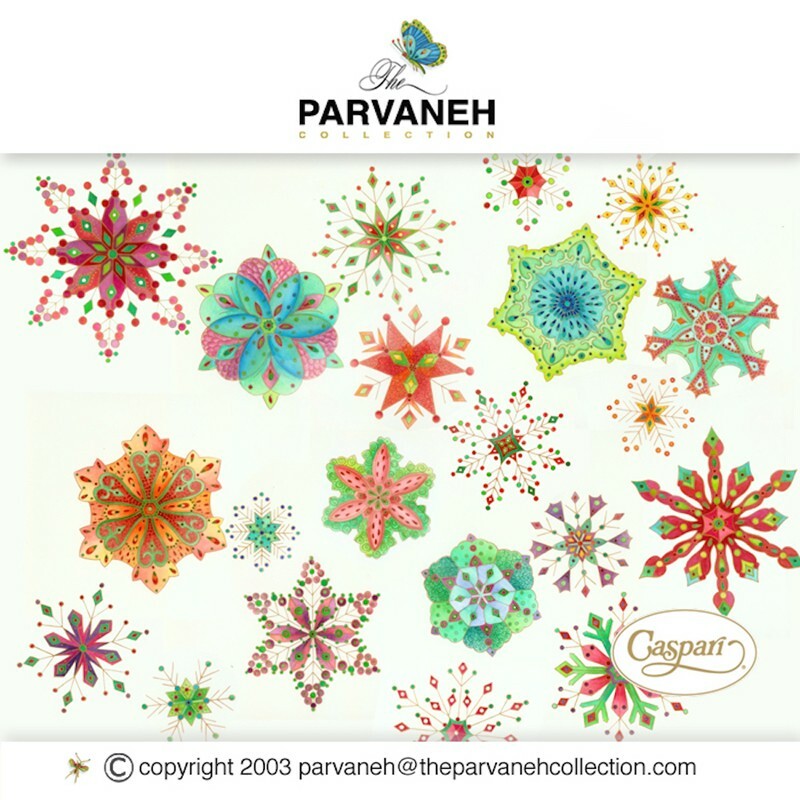 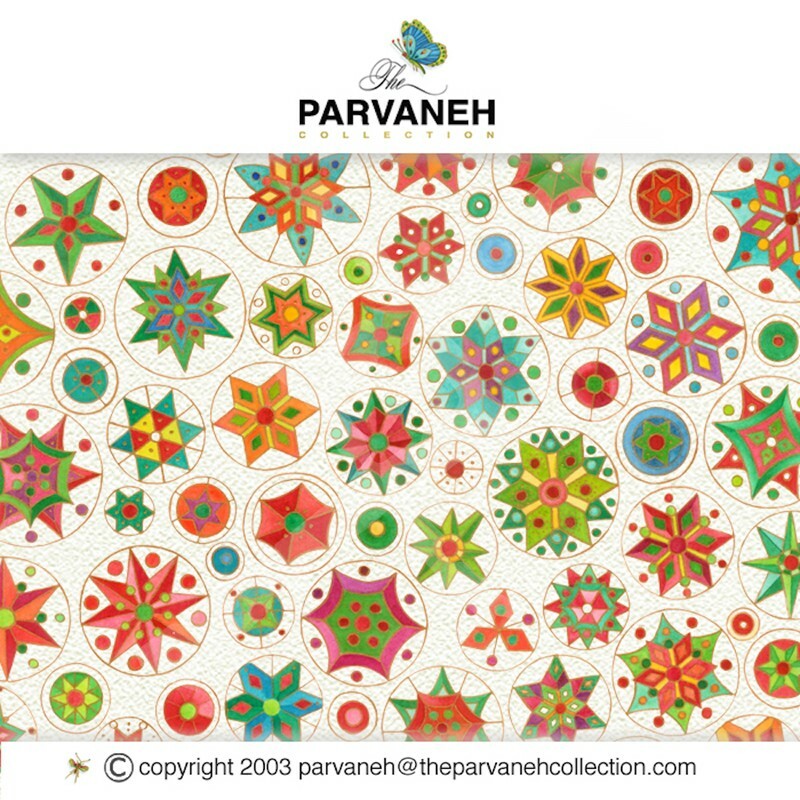 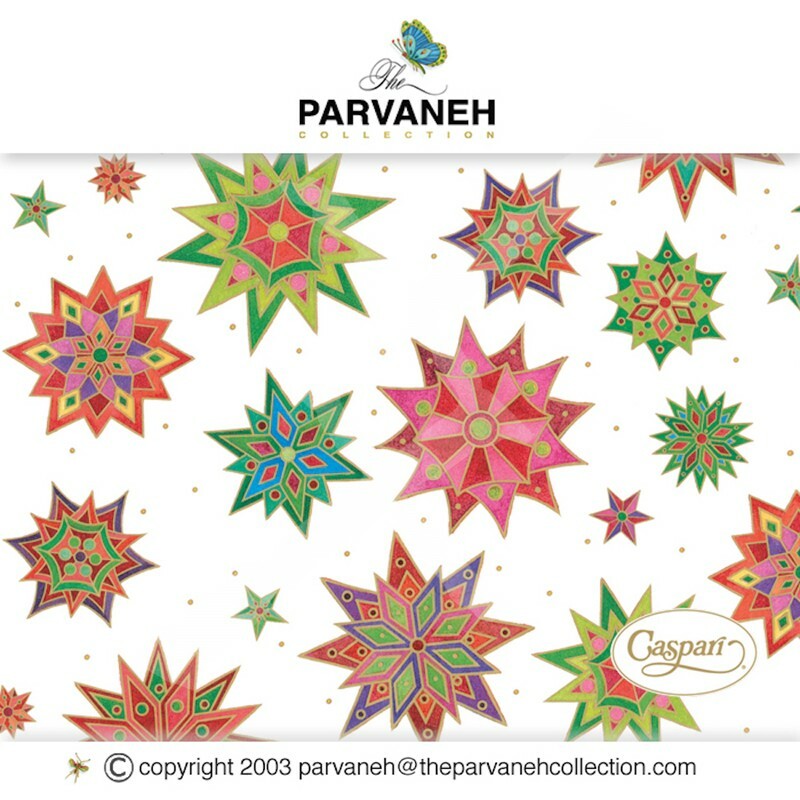 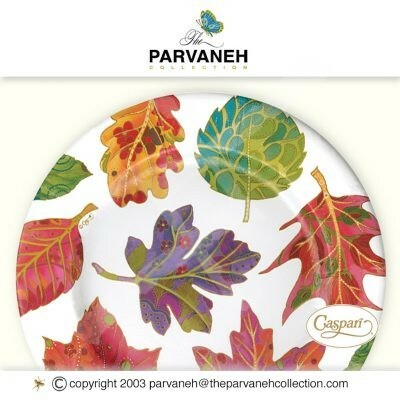 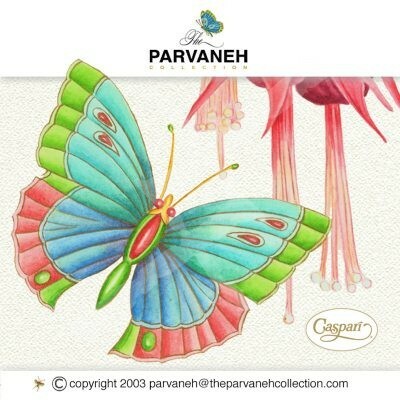 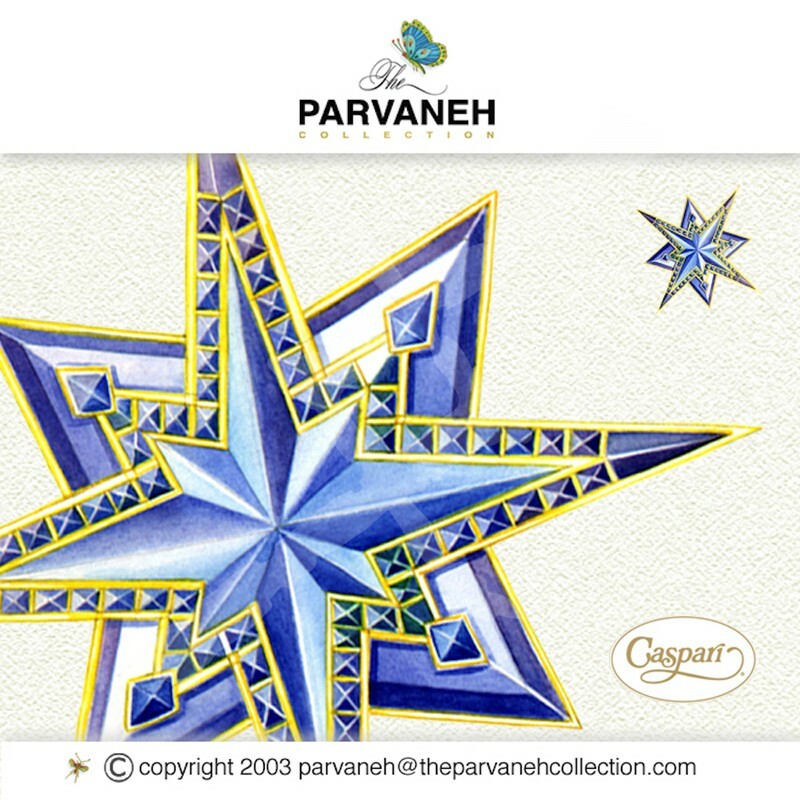 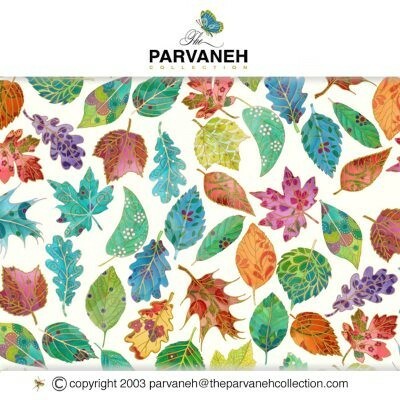 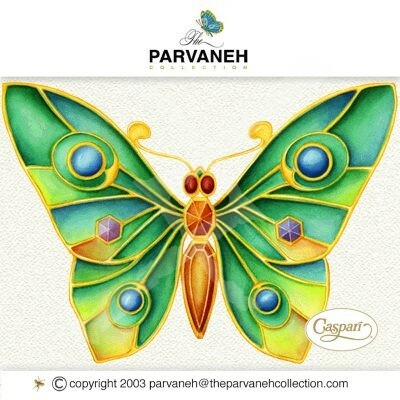 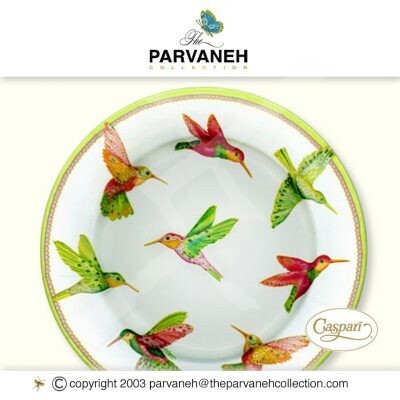 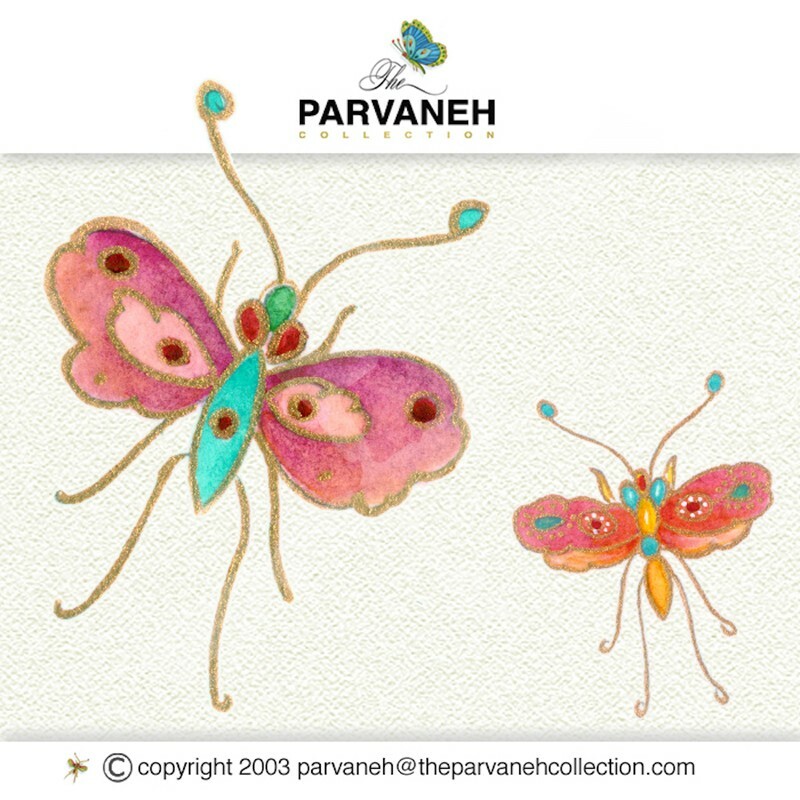 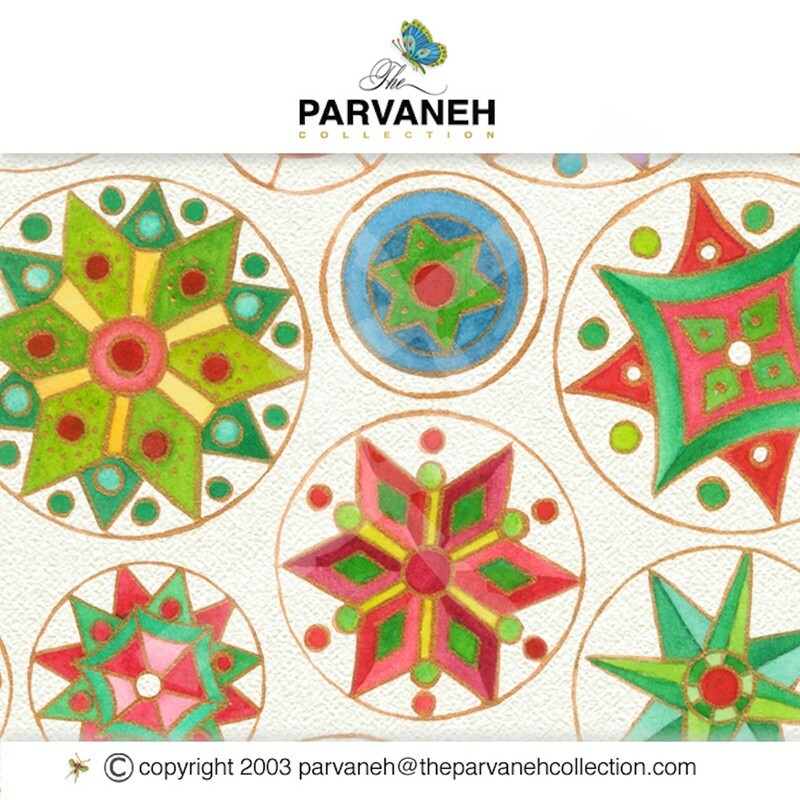 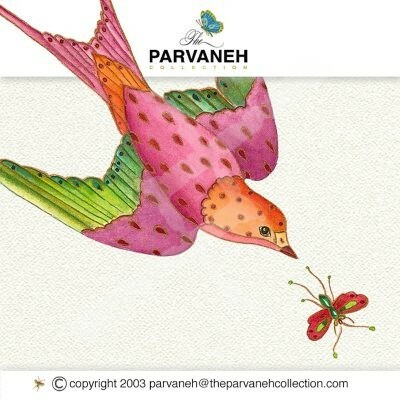 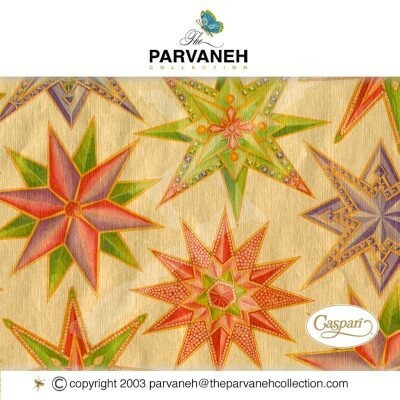 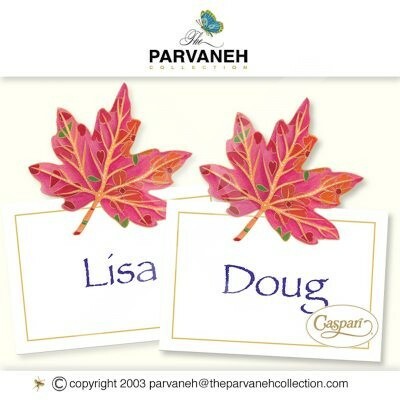 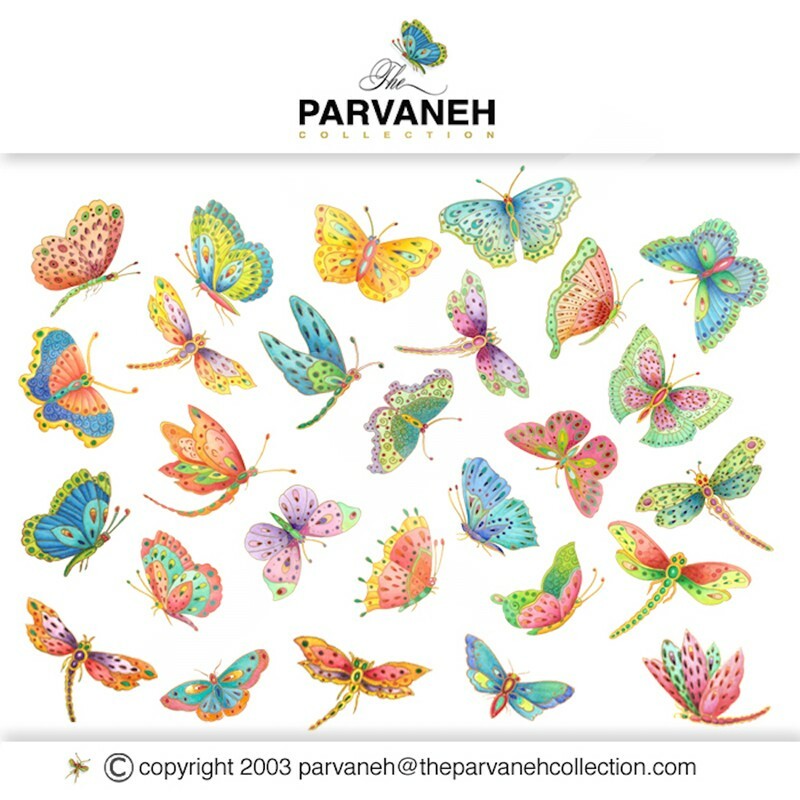 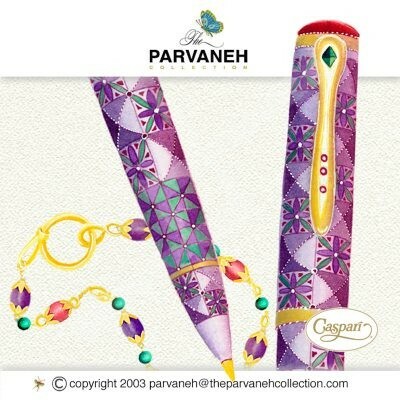 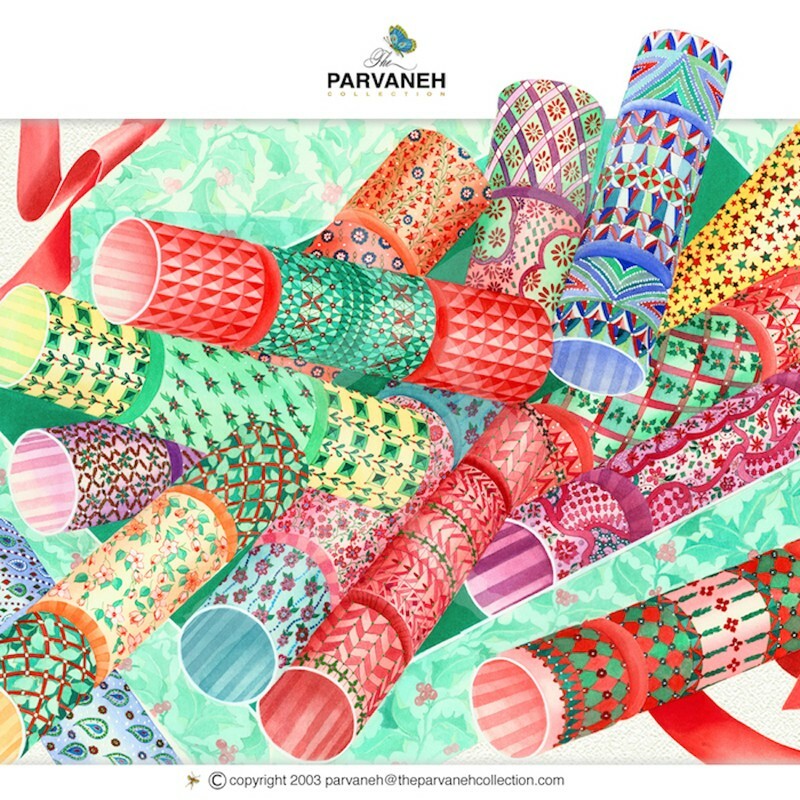 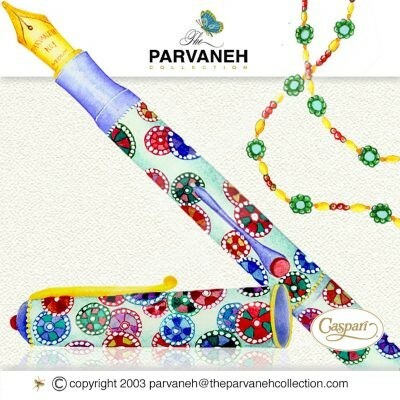 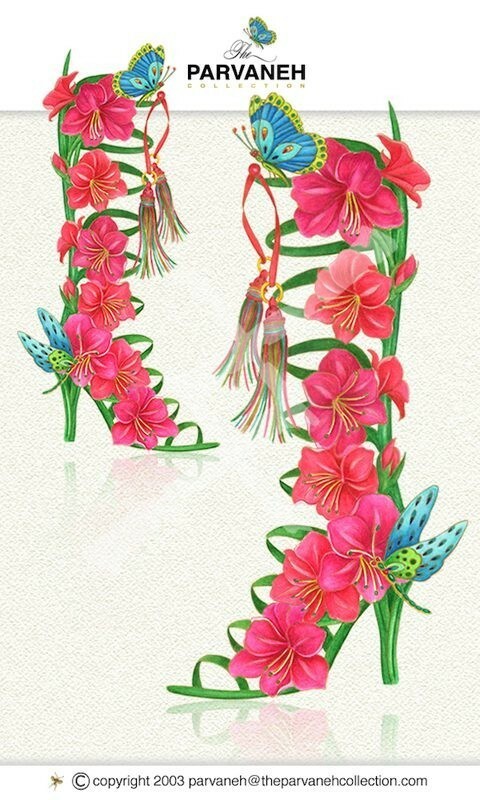 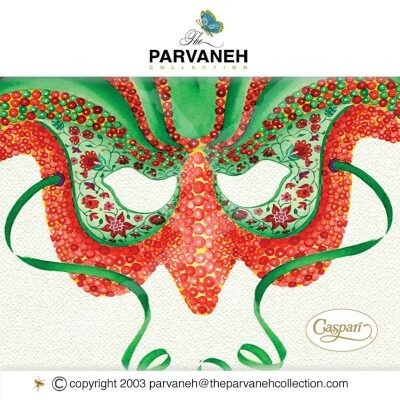 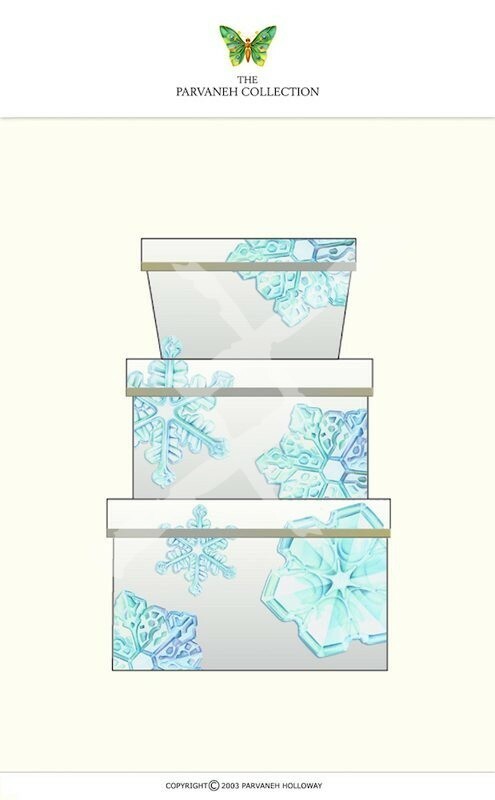 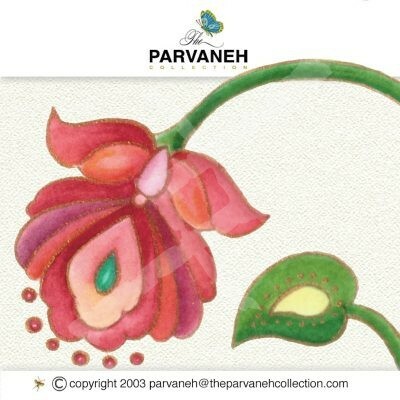 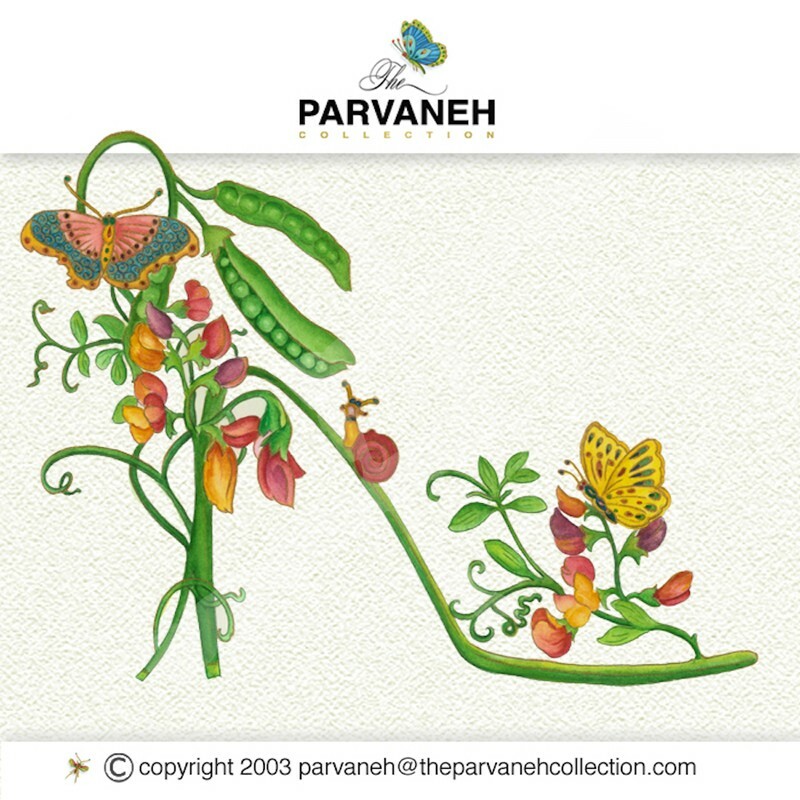 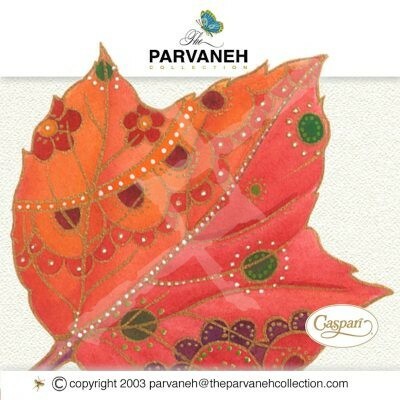 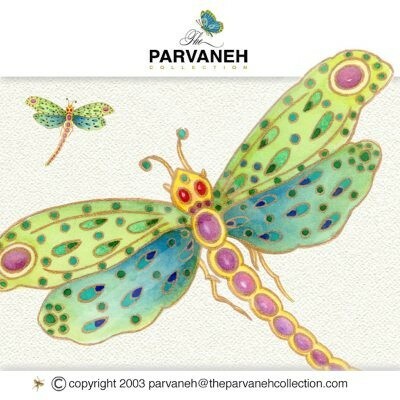 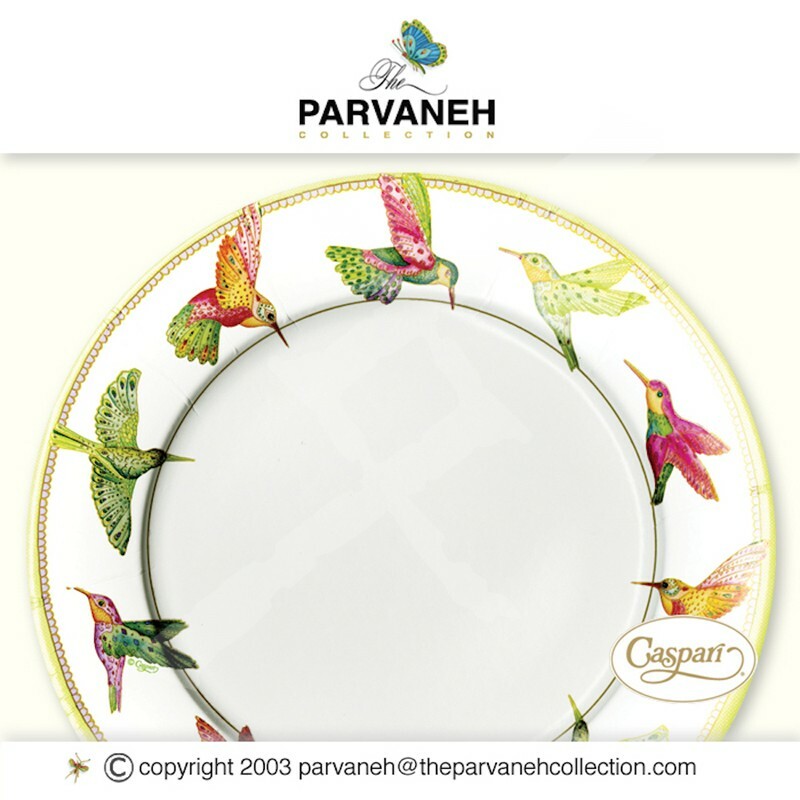 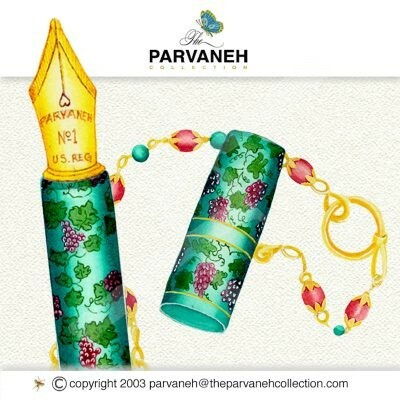 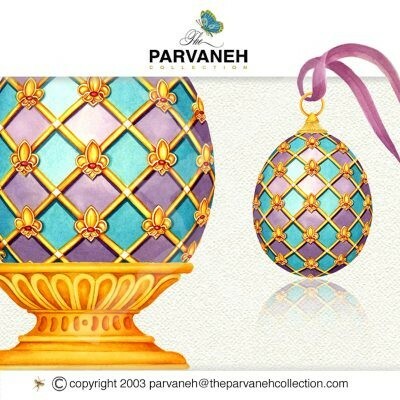 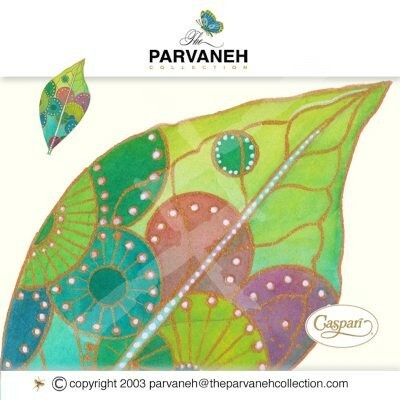 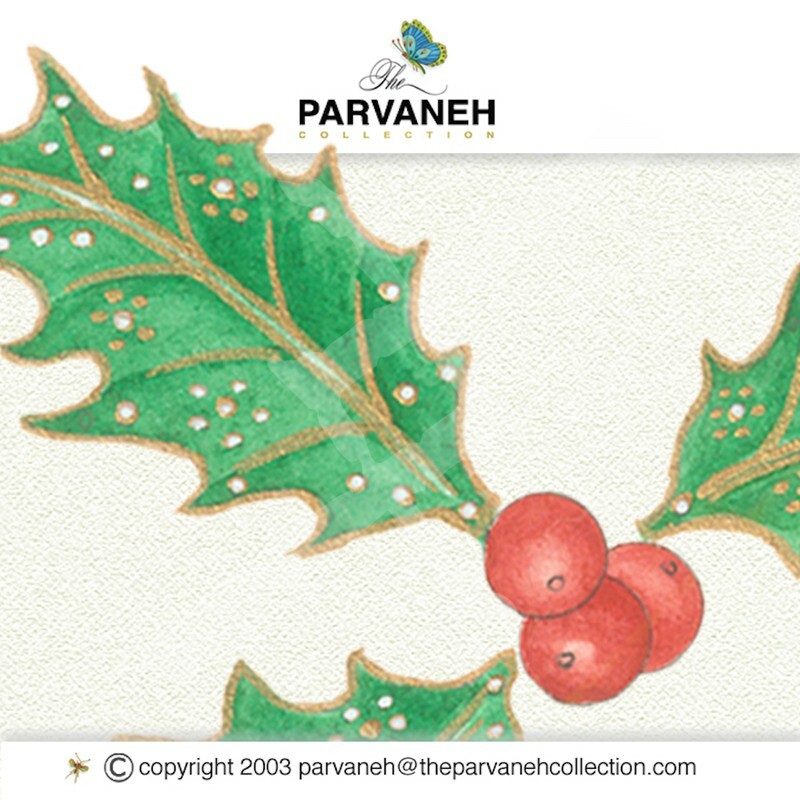 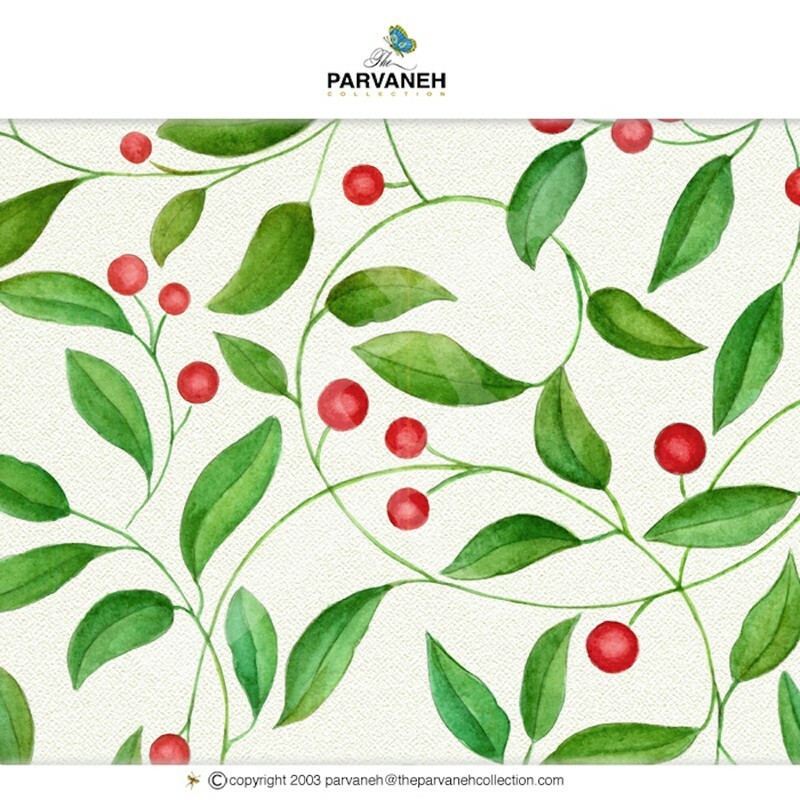 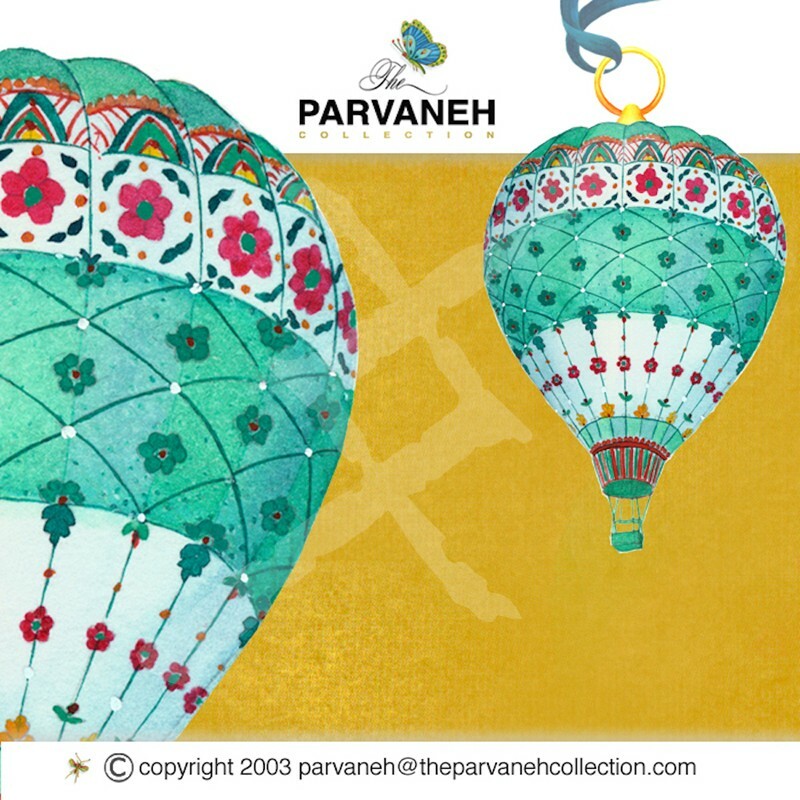 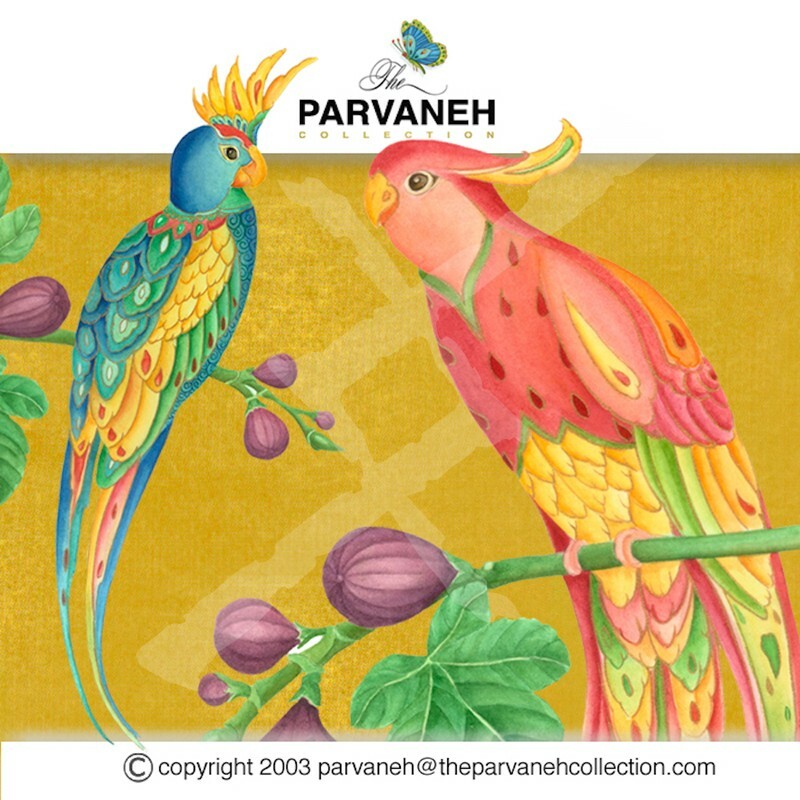 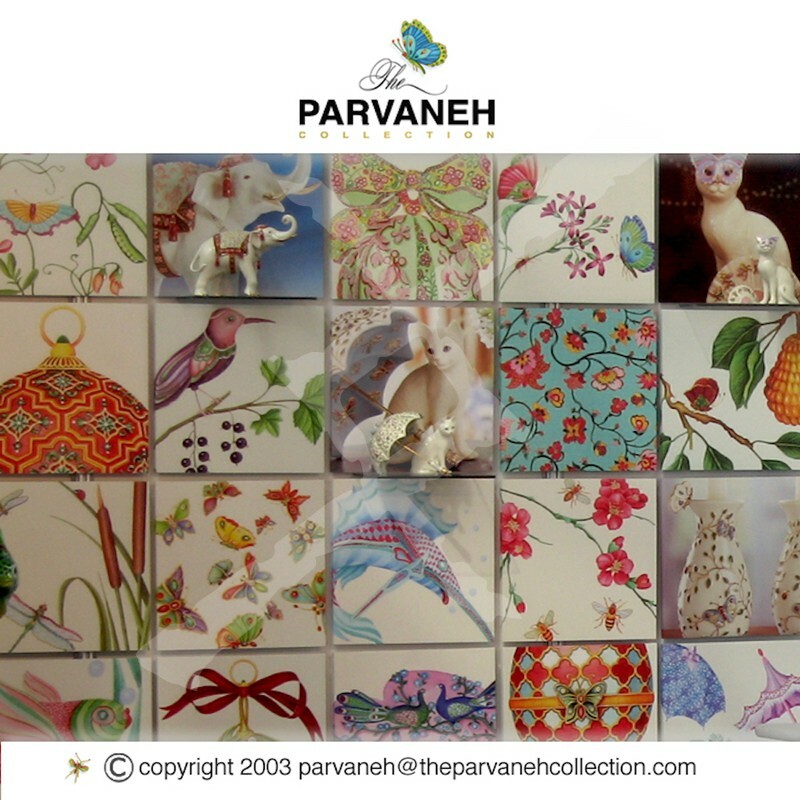 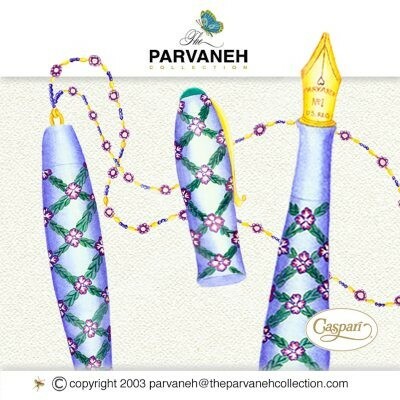 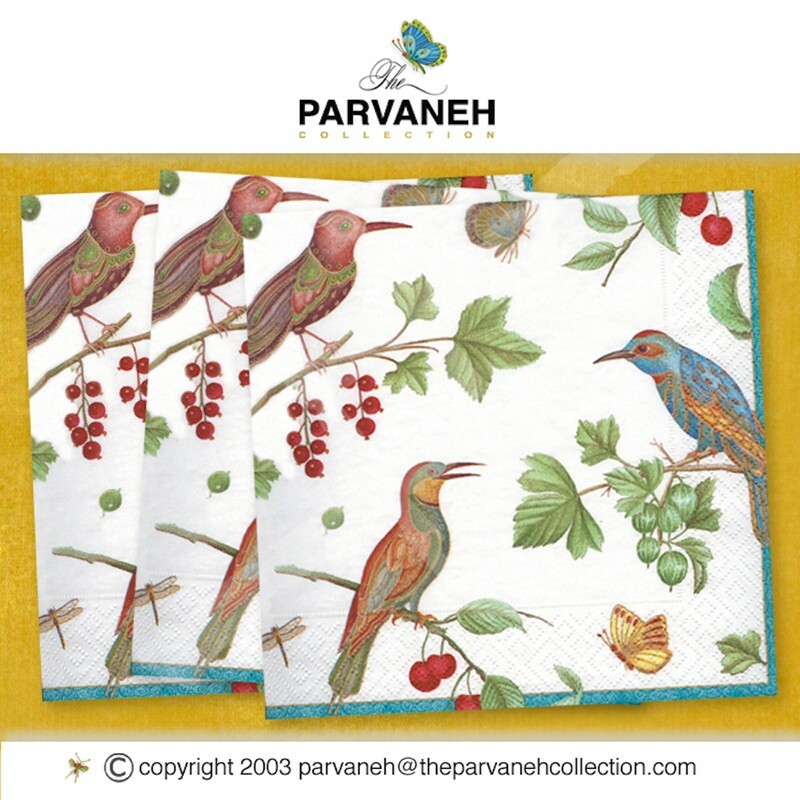 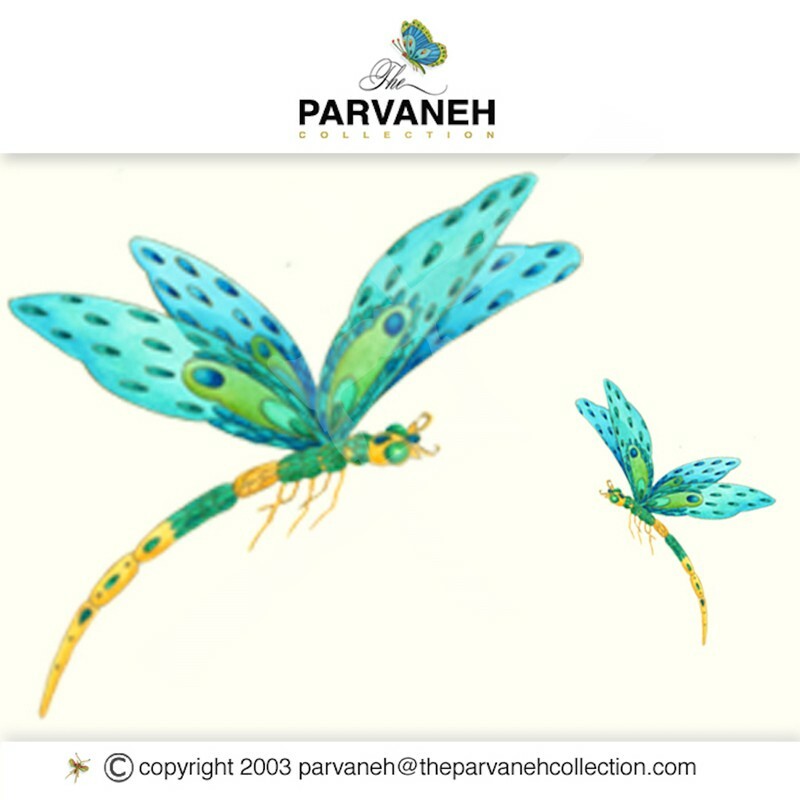 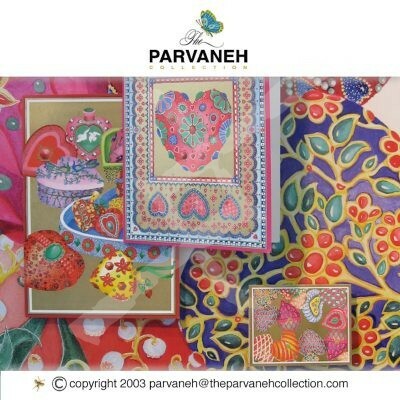 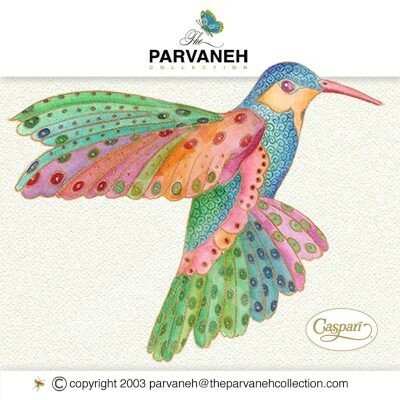 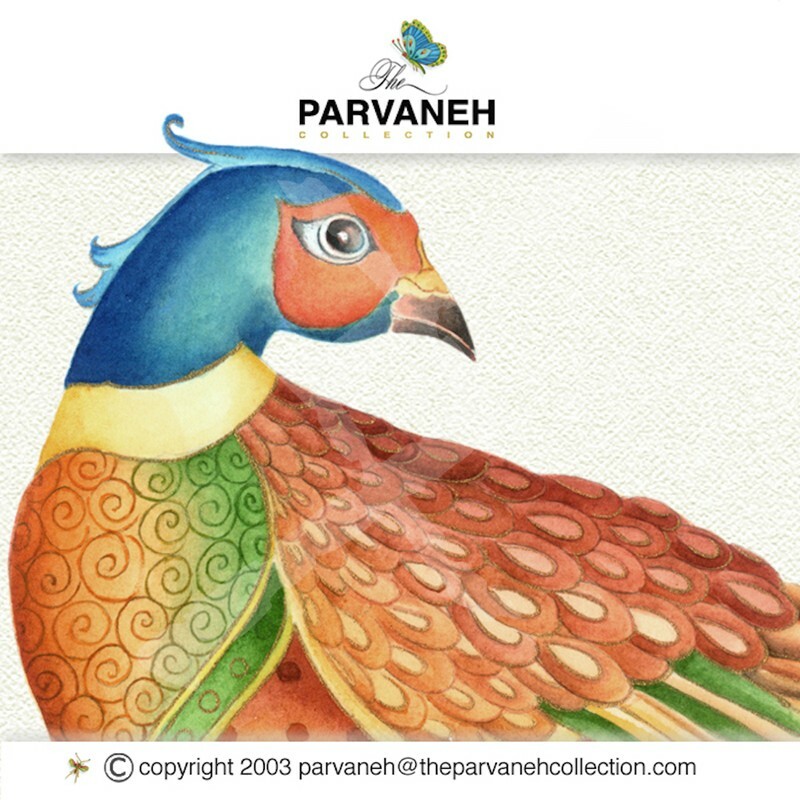 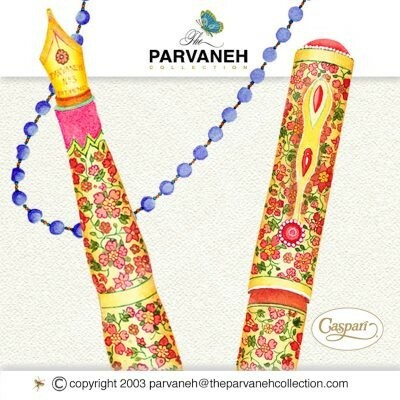 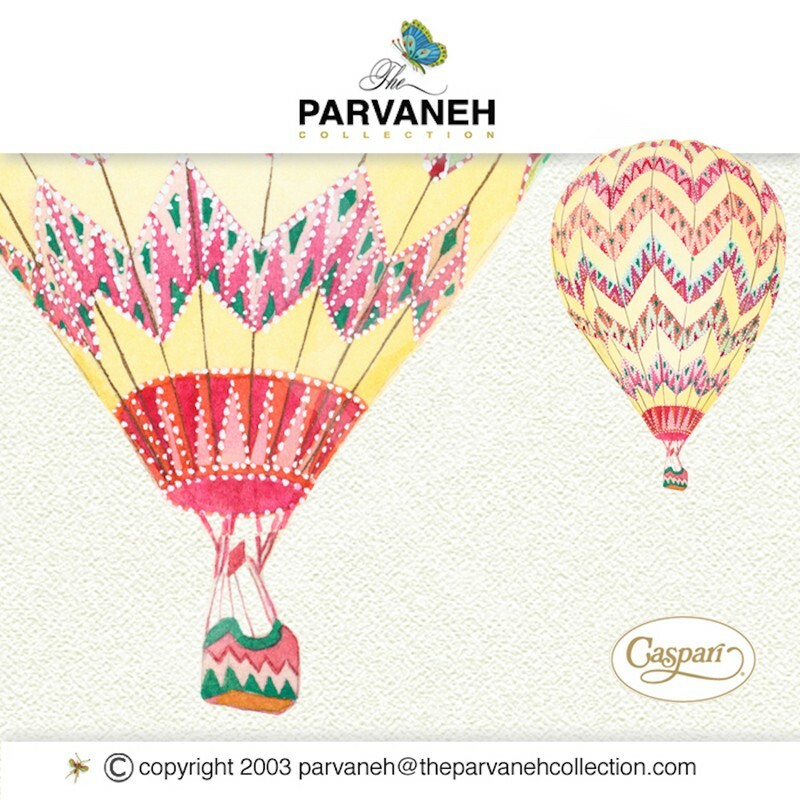 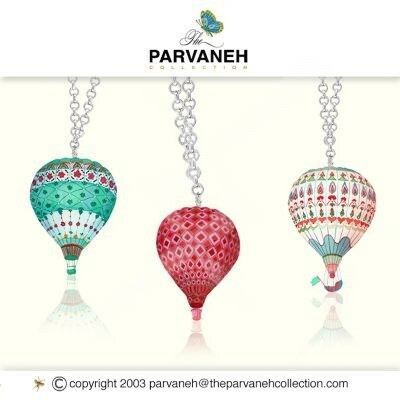 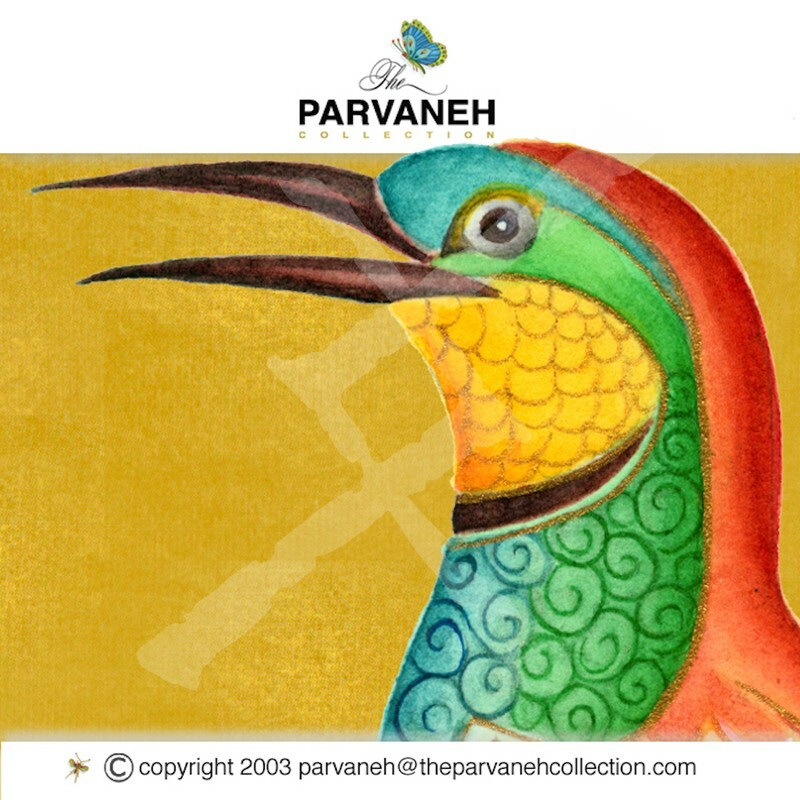 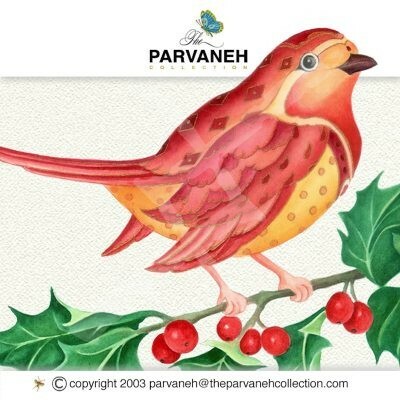 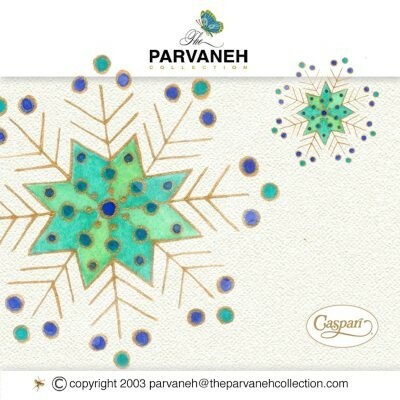 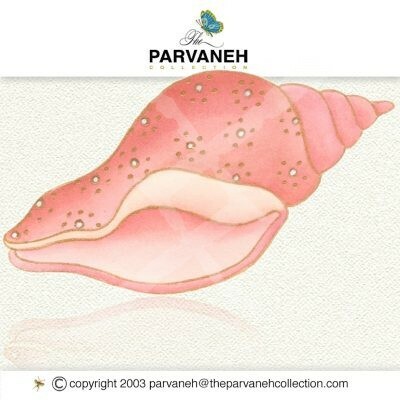 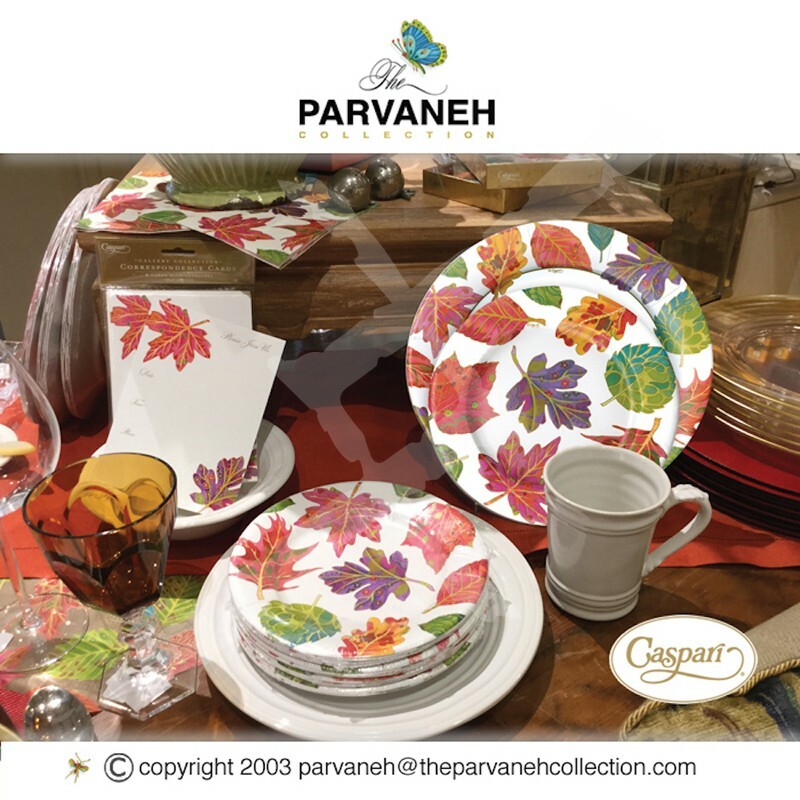 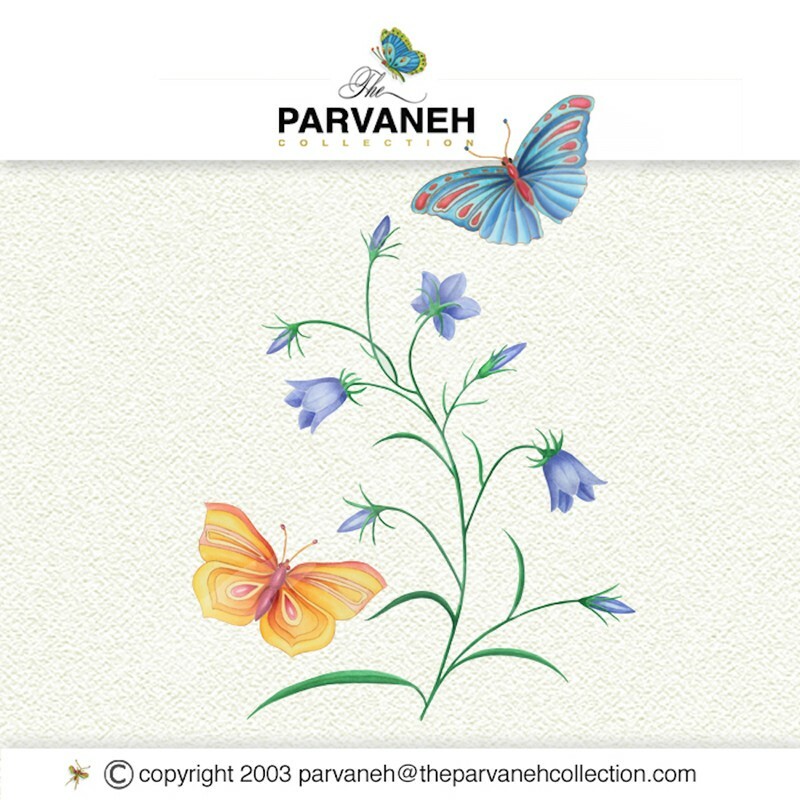 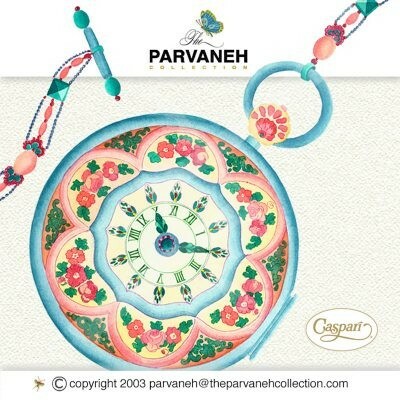 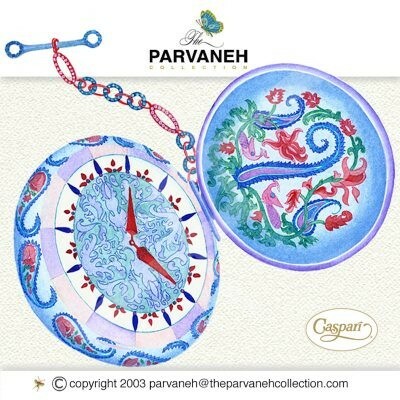 Parvaneh’s products have been sold in prestigious department stores such as Neiman Marcus and Bloomingdale’s, and in museums, stationery, and gift stores all over the world. 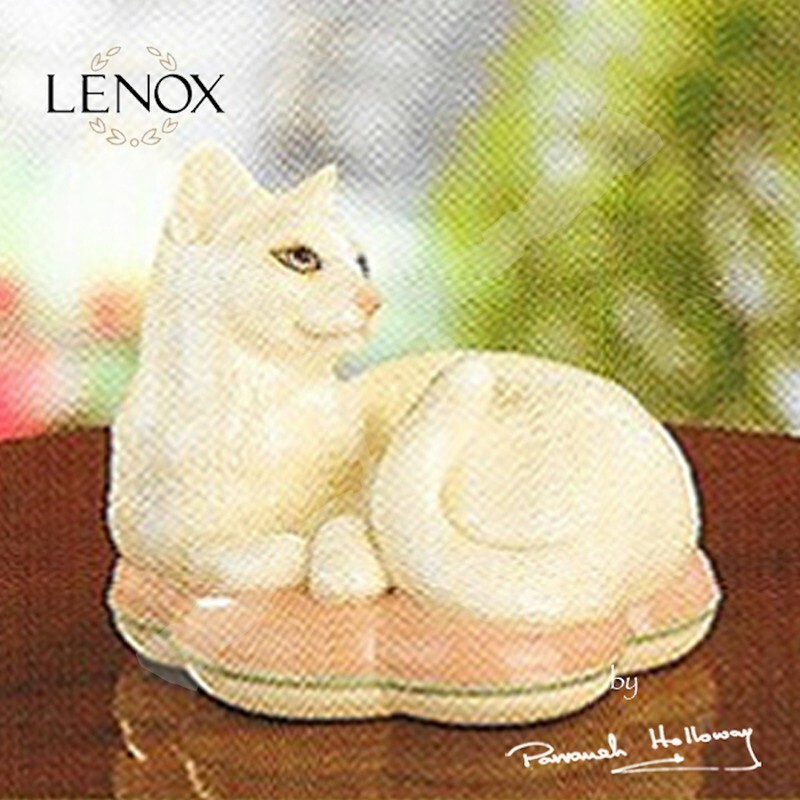 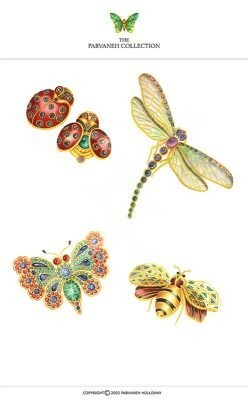 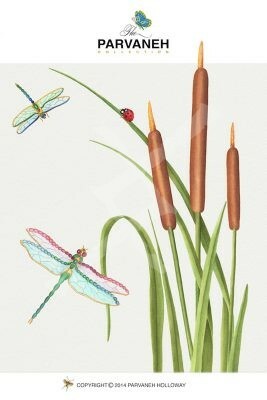 Her work has been featured in catalogues such as Horchow, and Gumps. 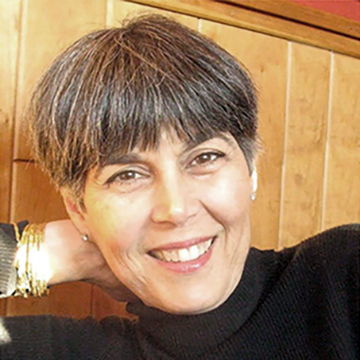 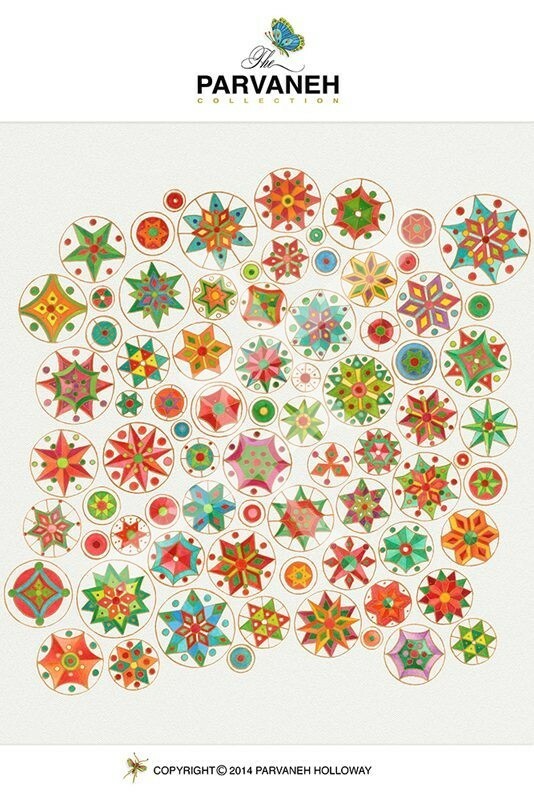 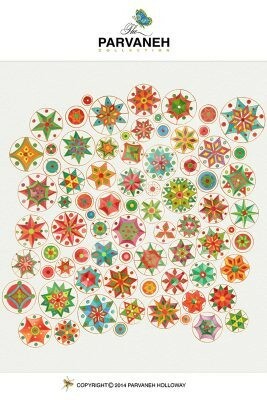 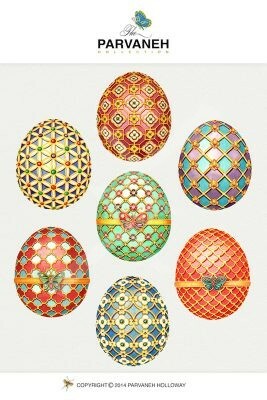 Parvaneh lives in the Hudson Valley with her husband, artist/designer Richard Holloway. 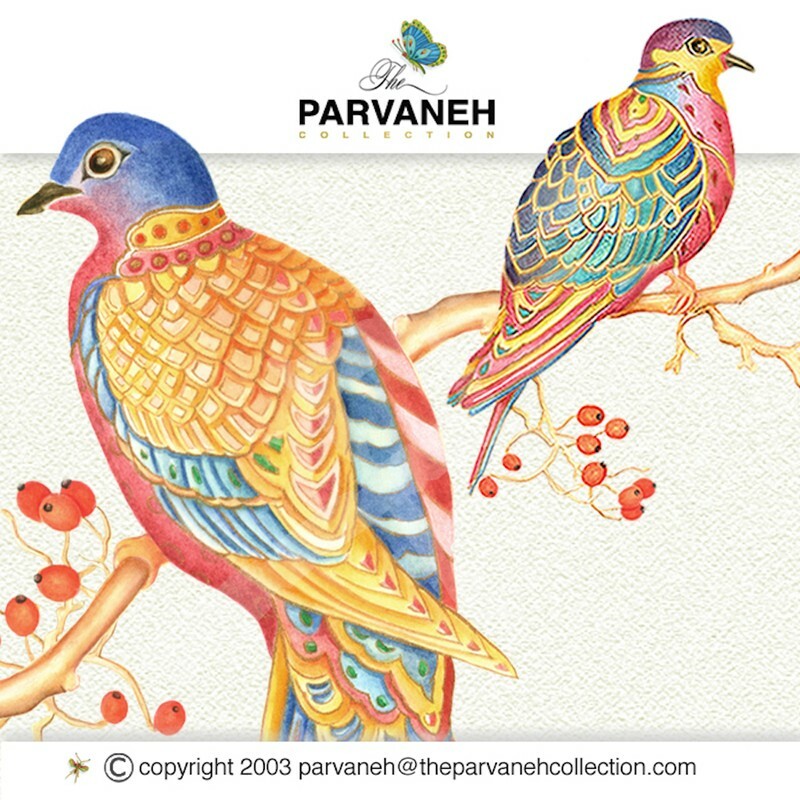 They feel blessed to have a beautiful studio, where they work side by side, inspiring each other’s creative vision.